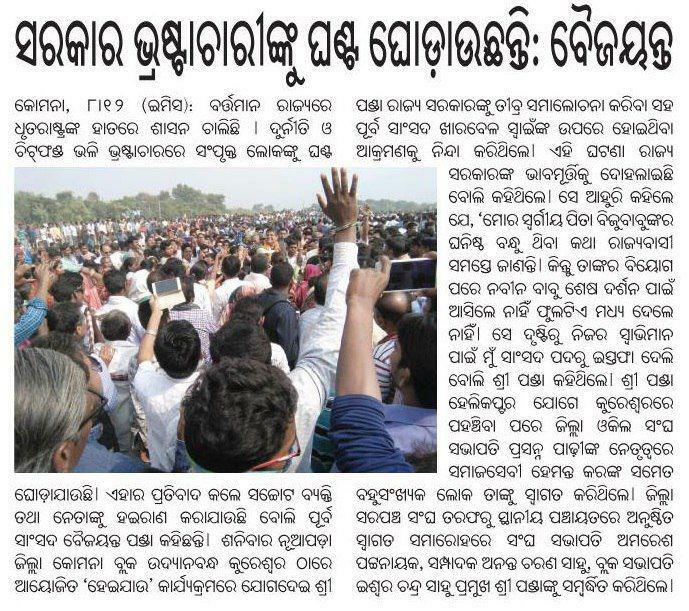 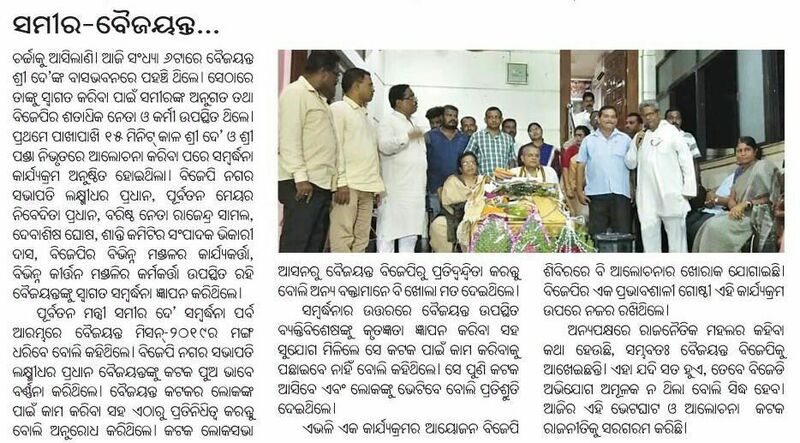 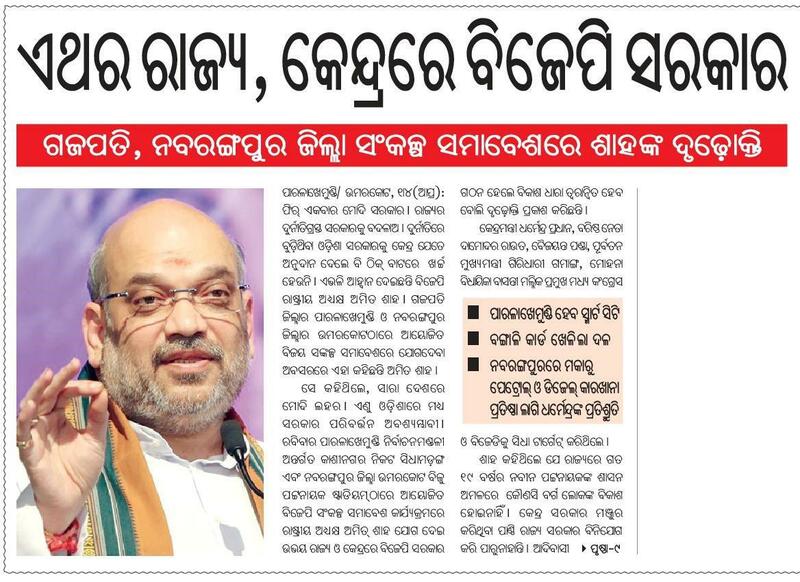 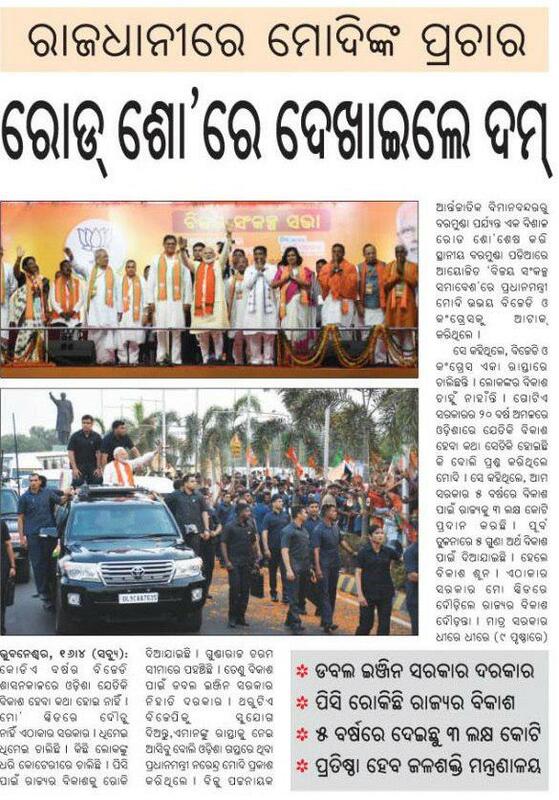 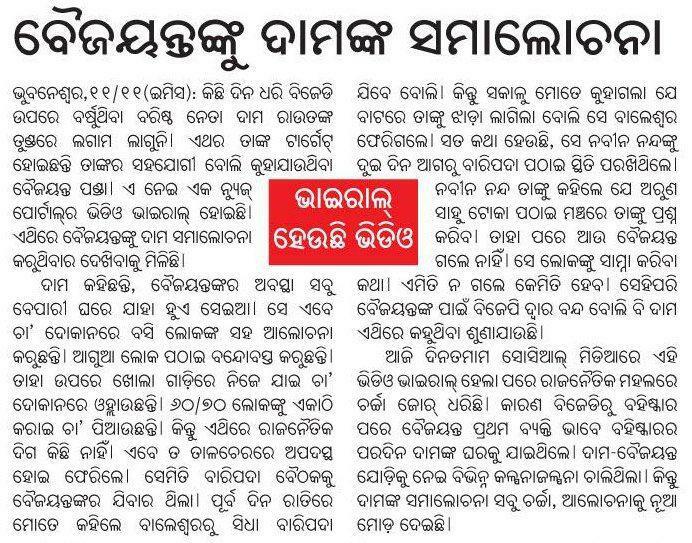 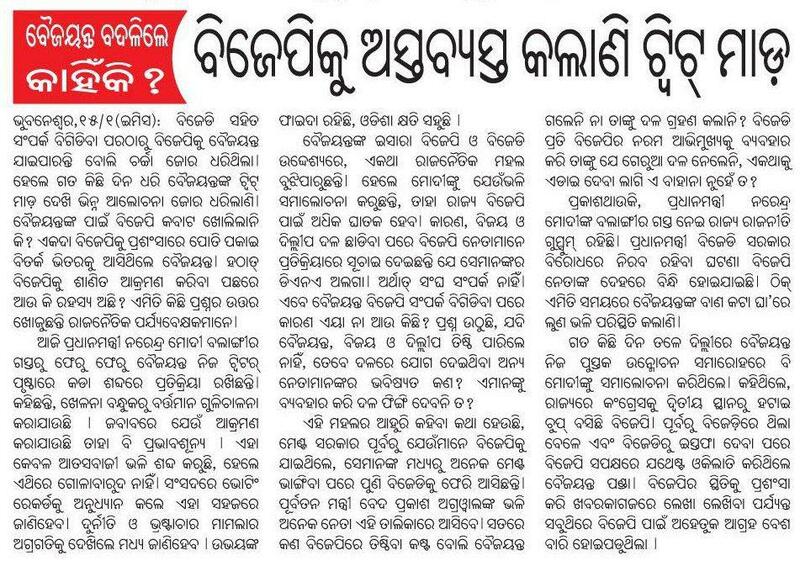 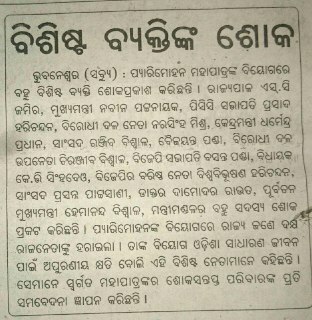 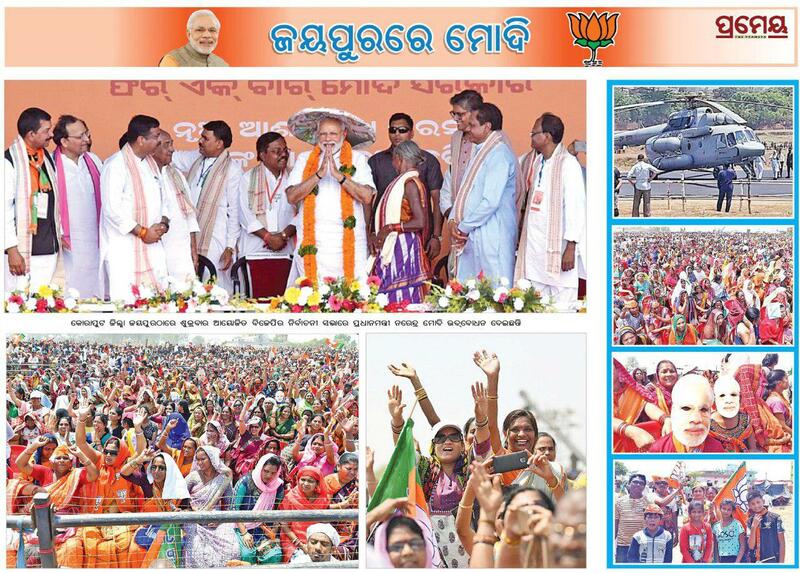 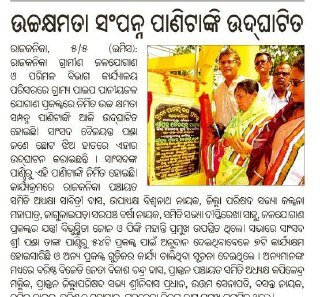 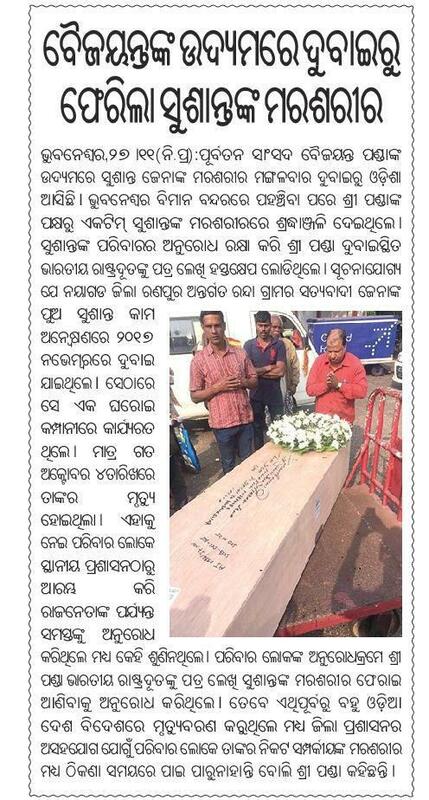 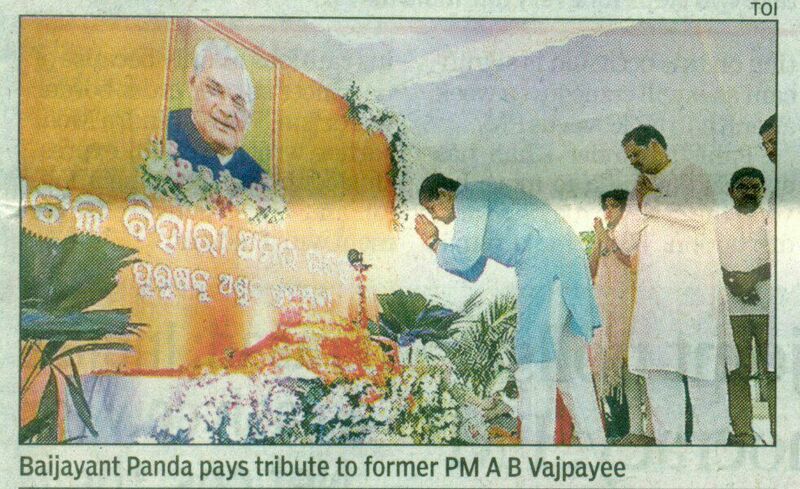 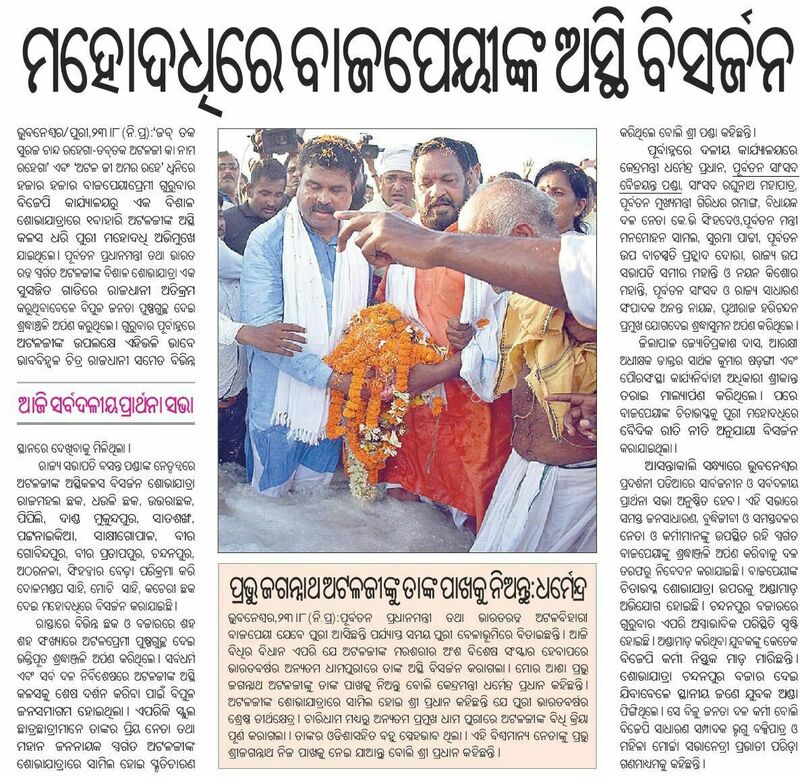 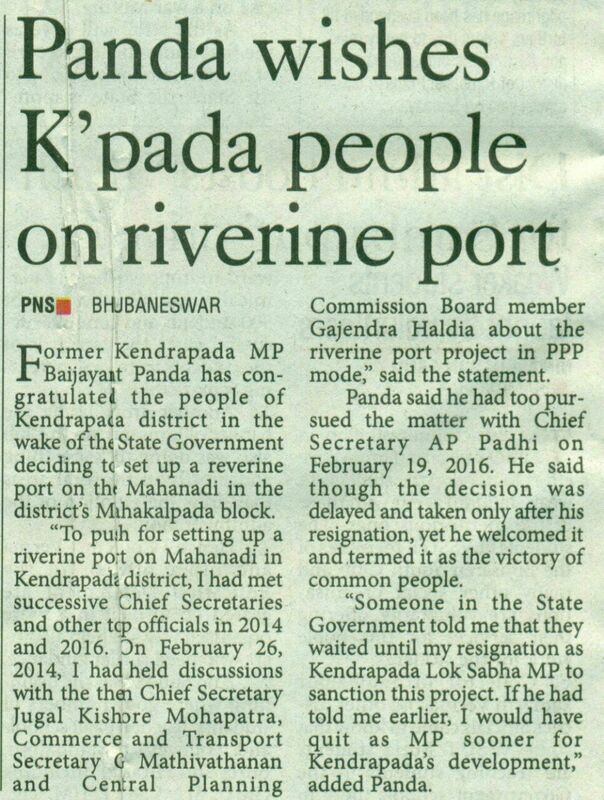 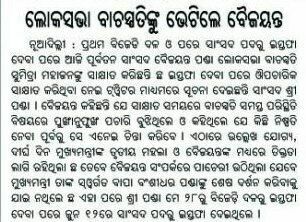 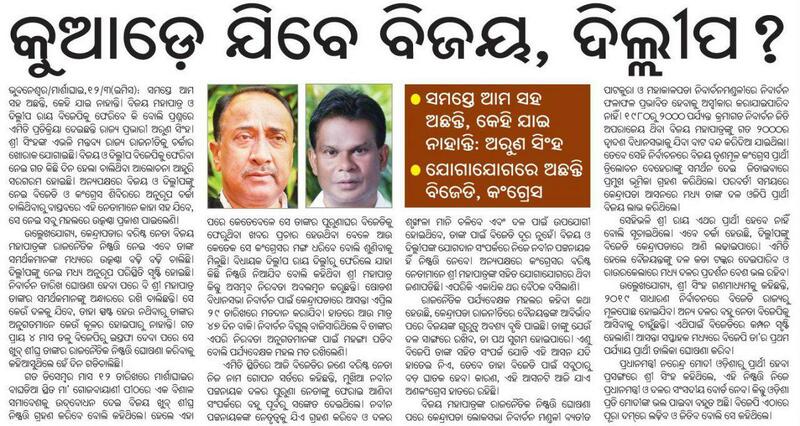 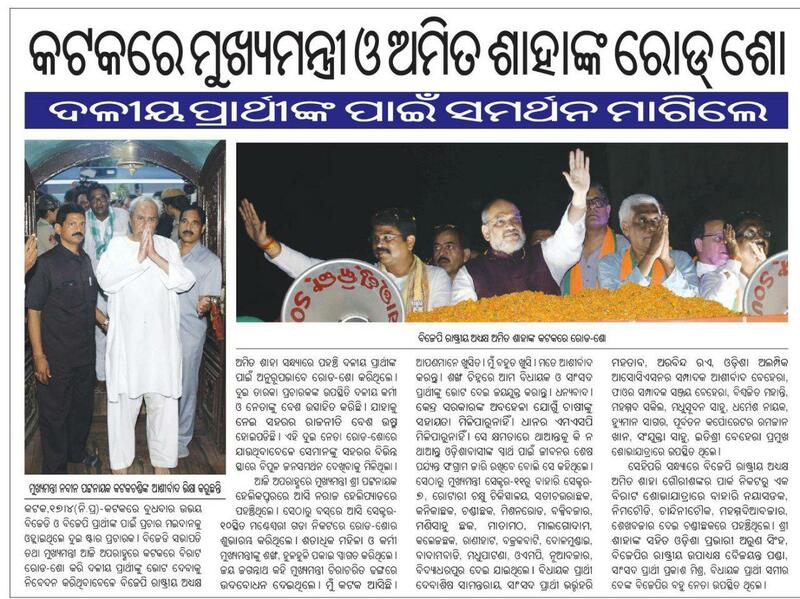 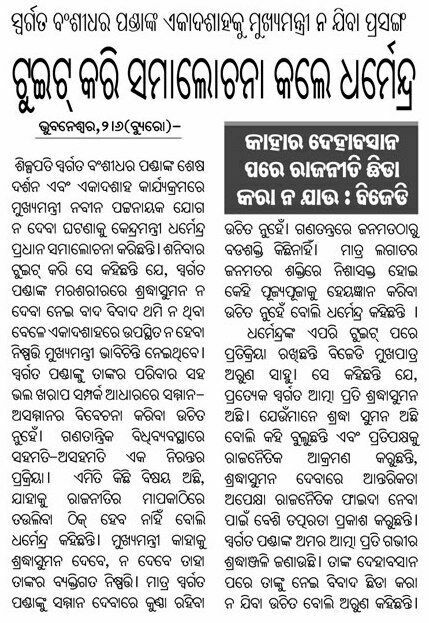 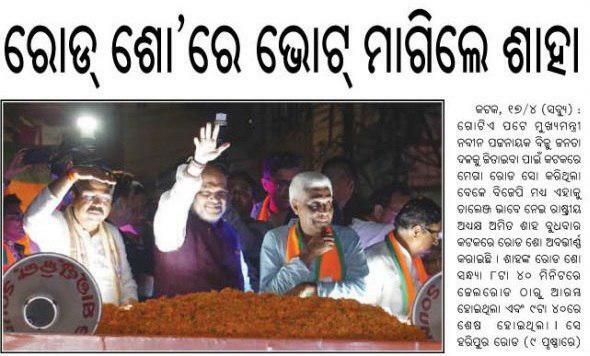 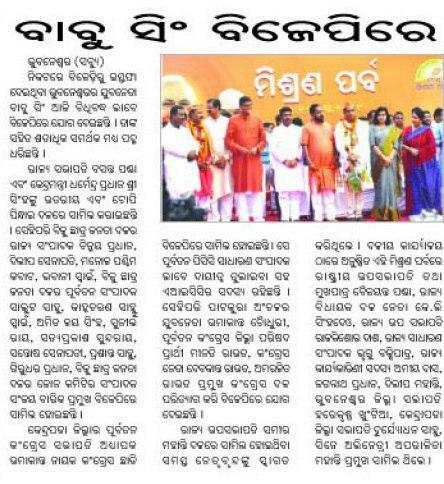 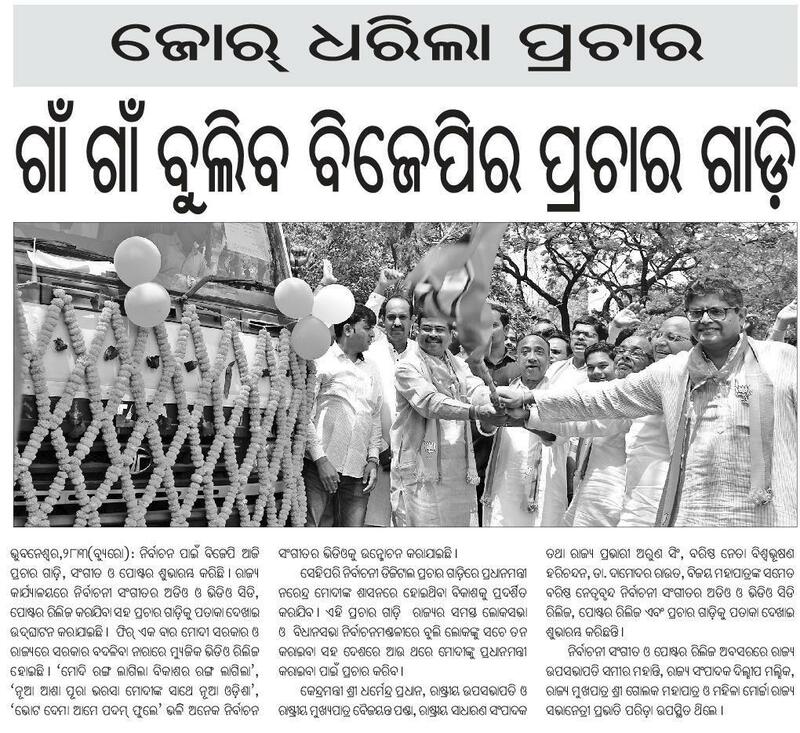 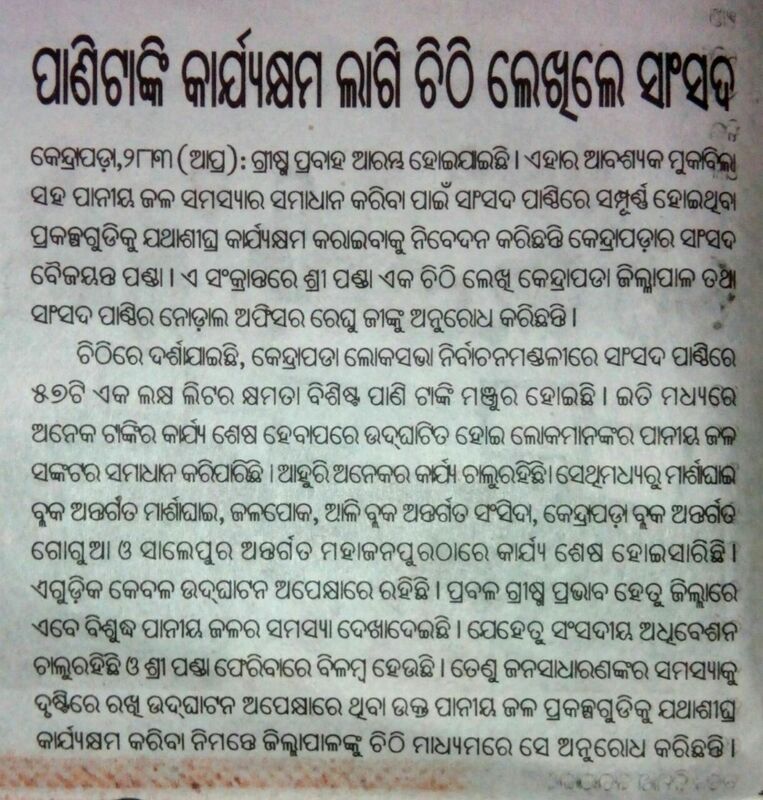 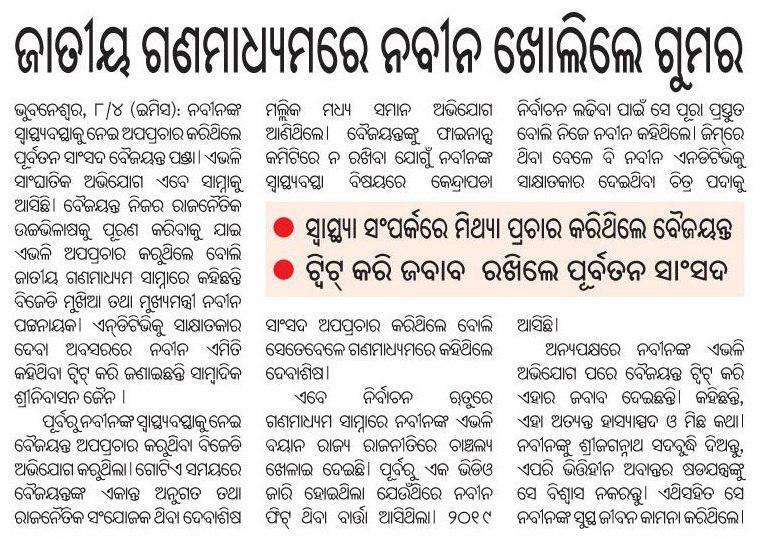 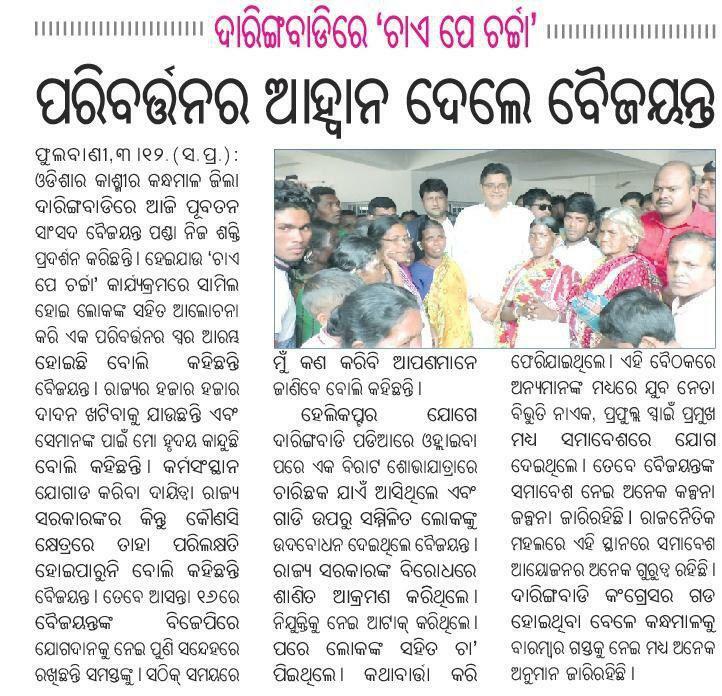 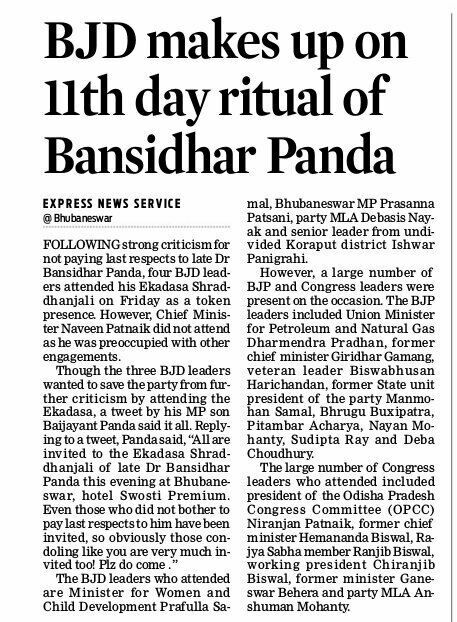 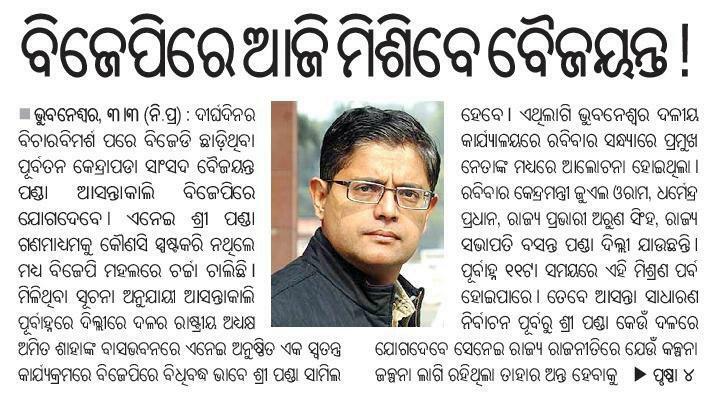 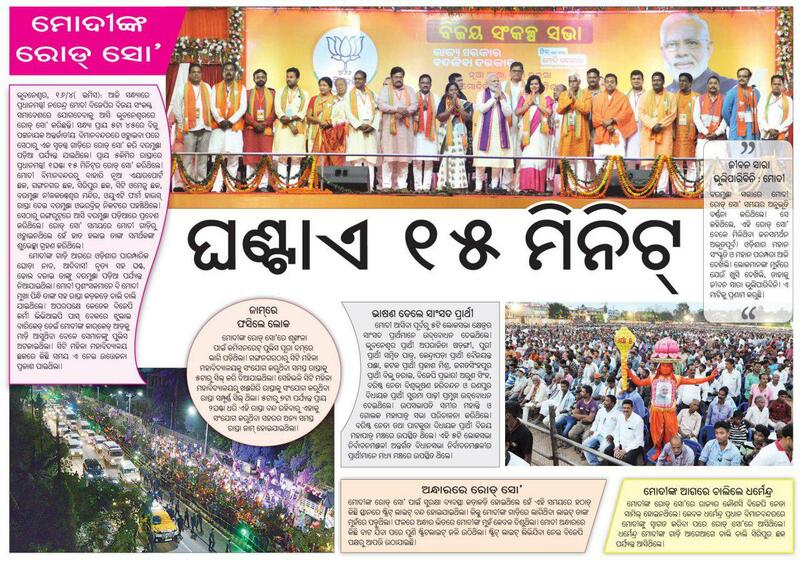 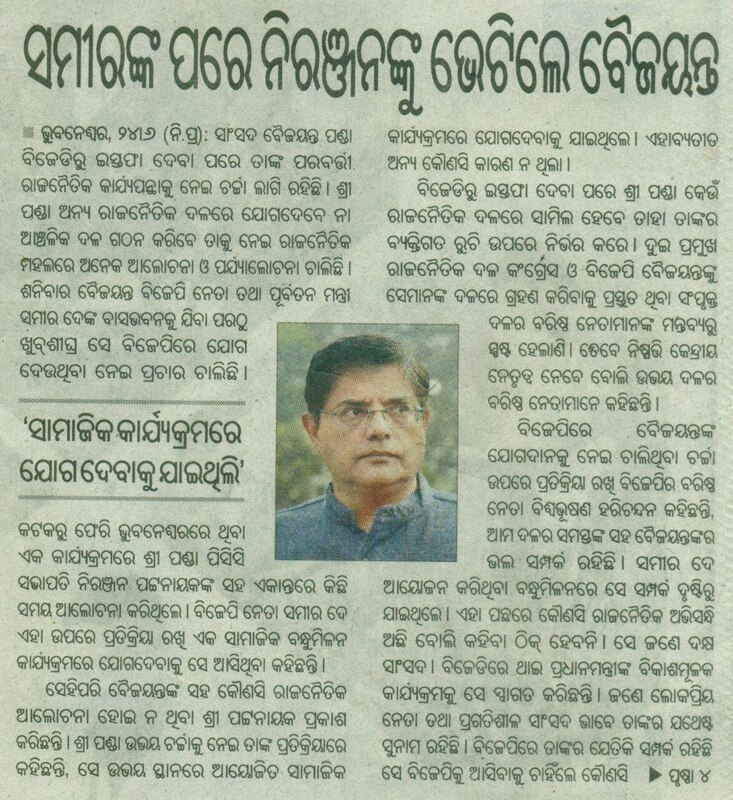 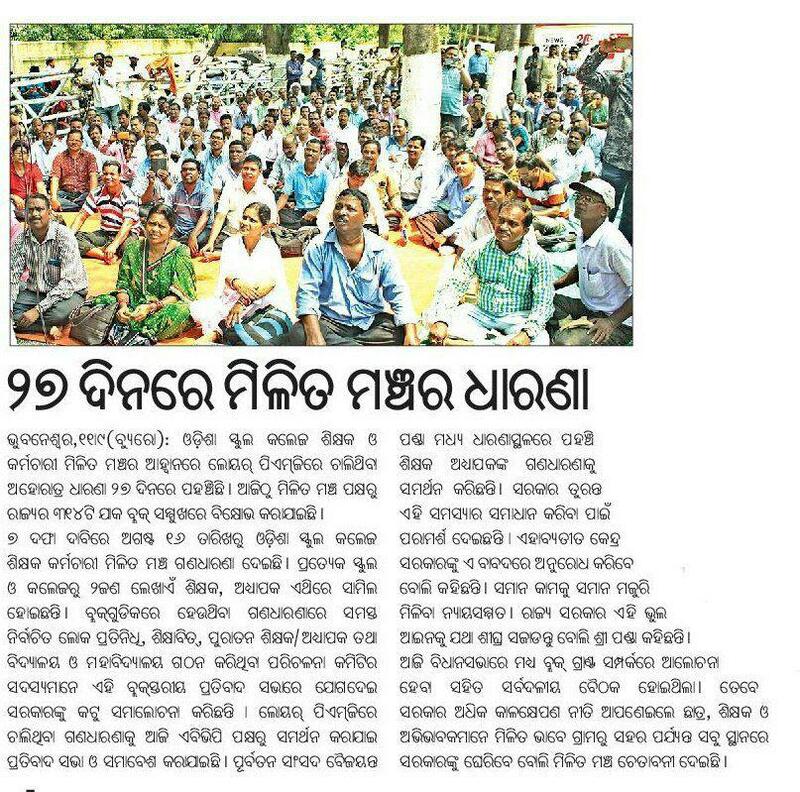 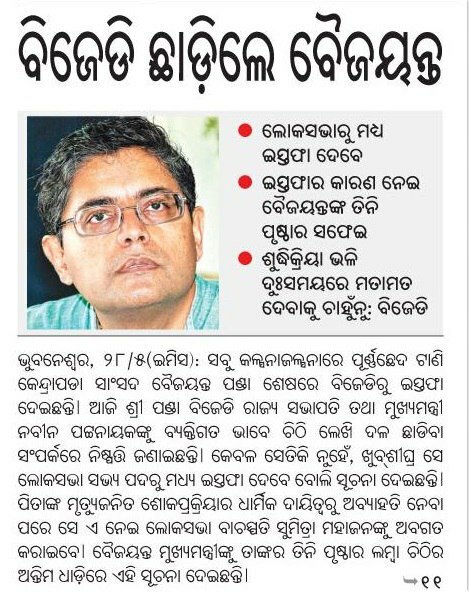 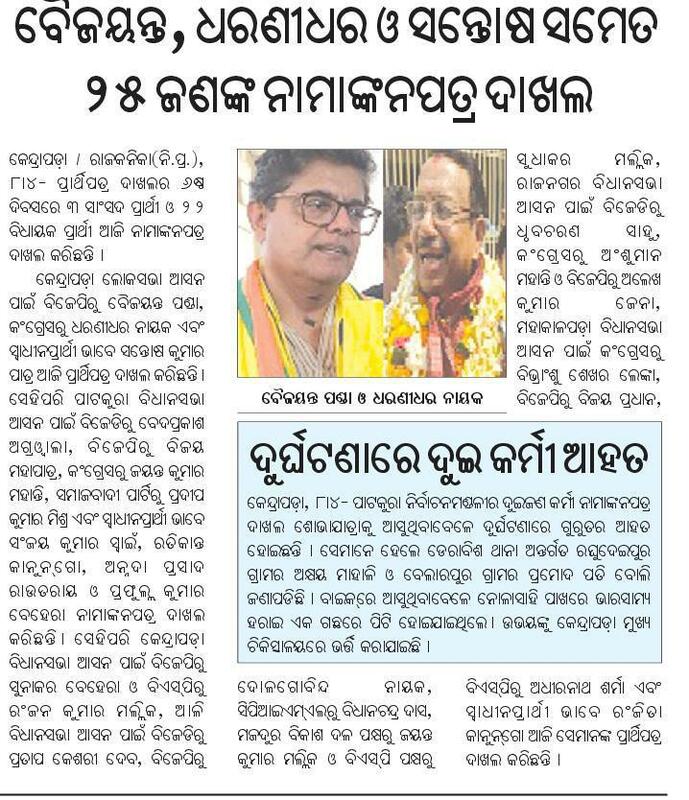 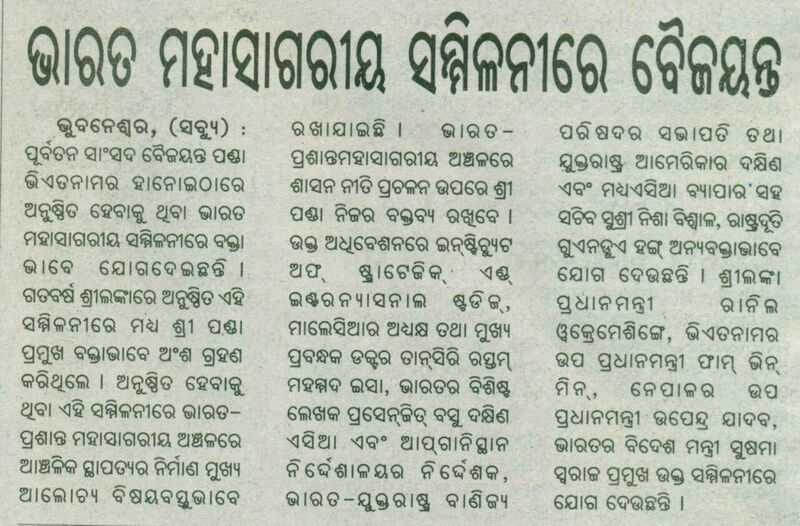 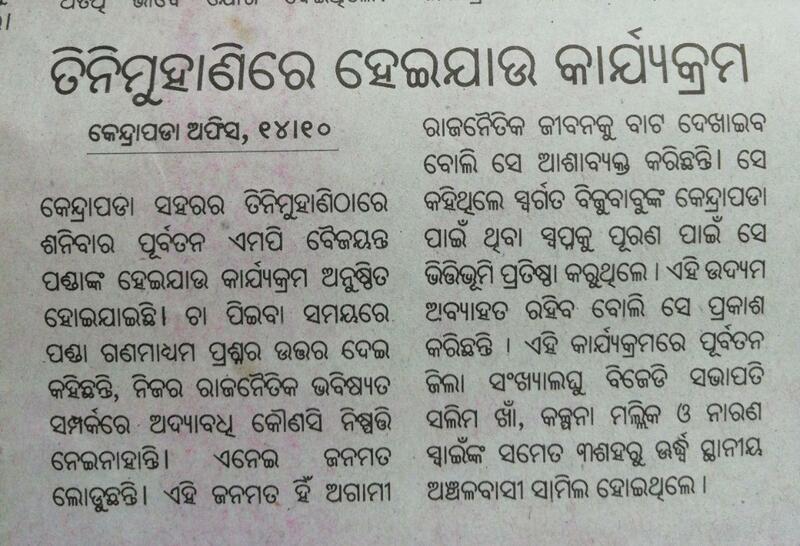 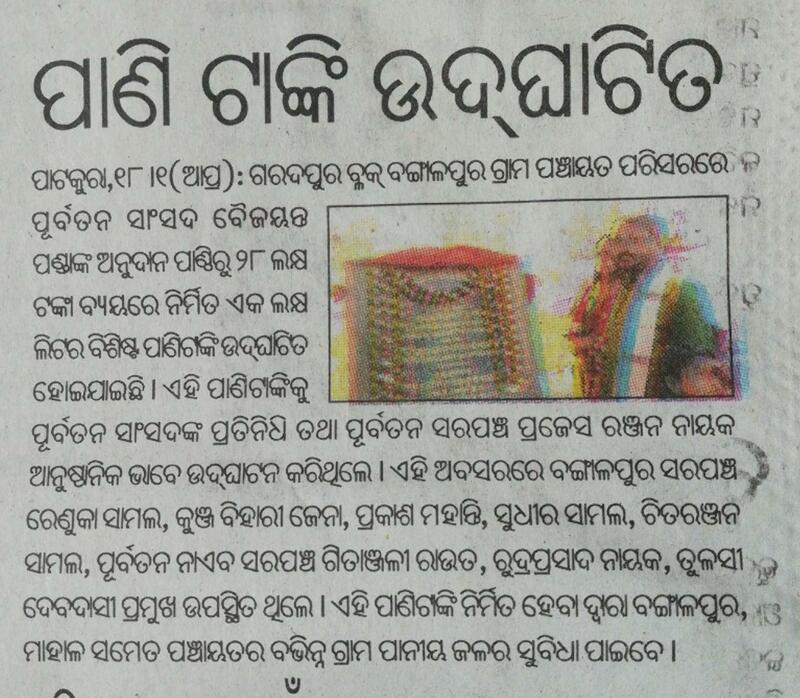 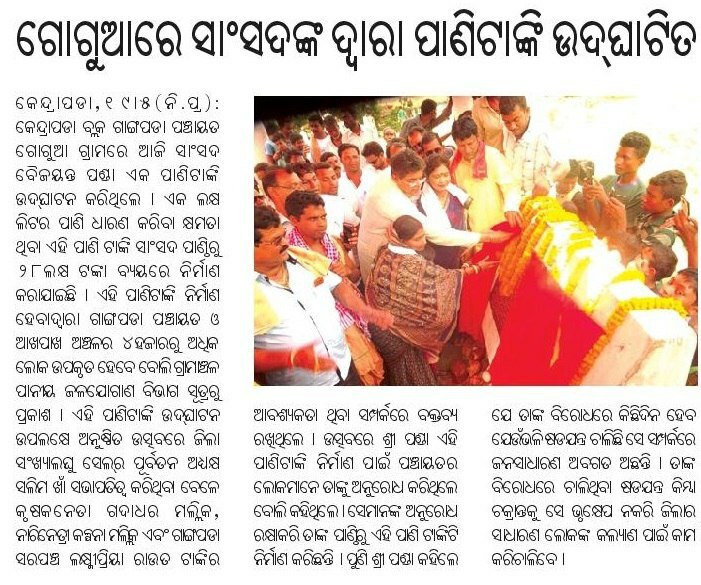 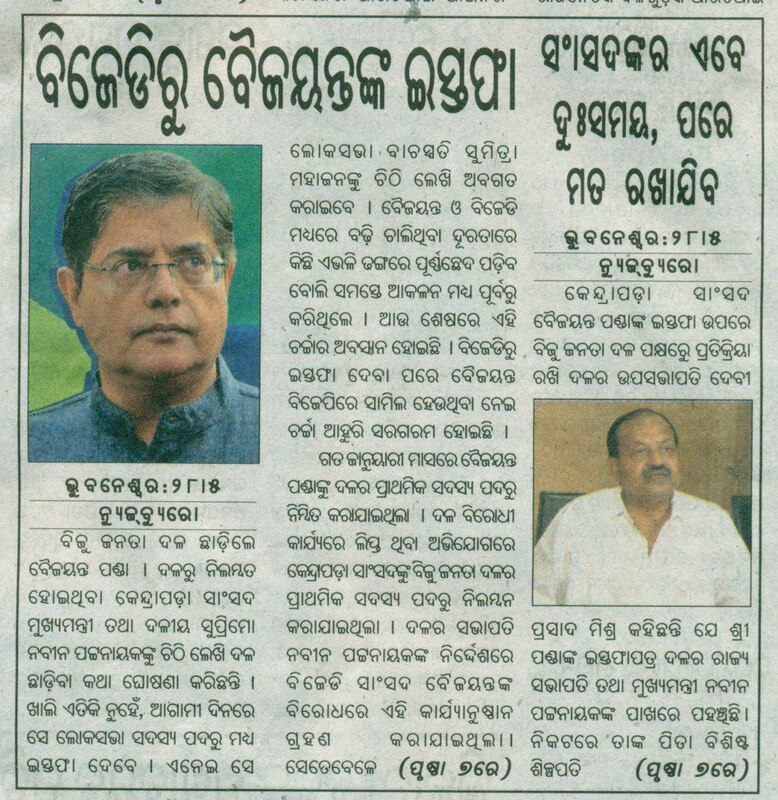 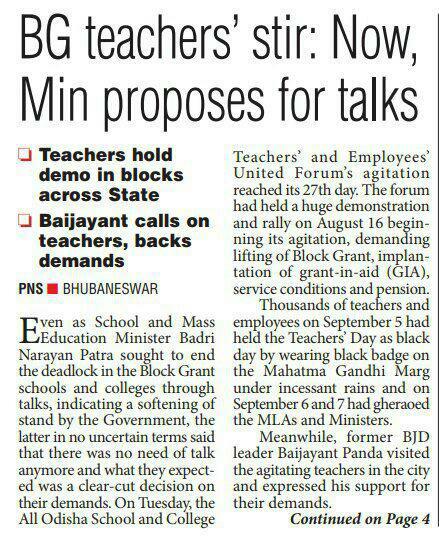 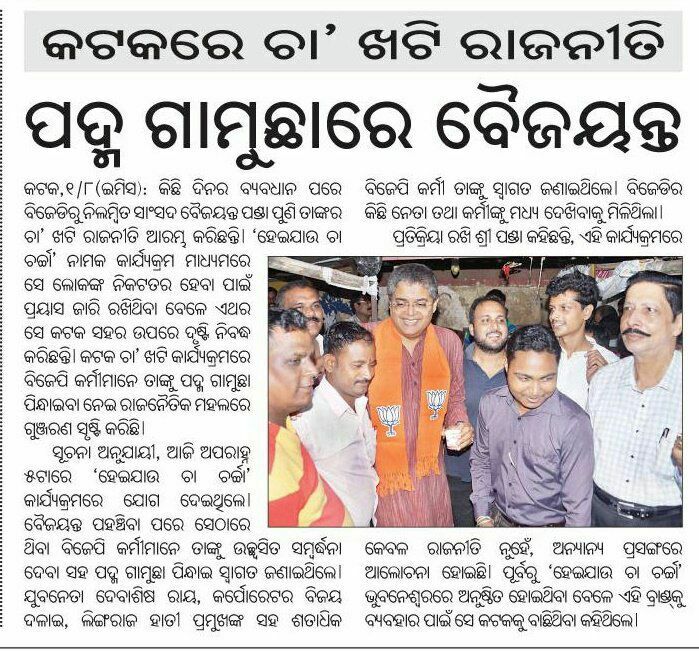 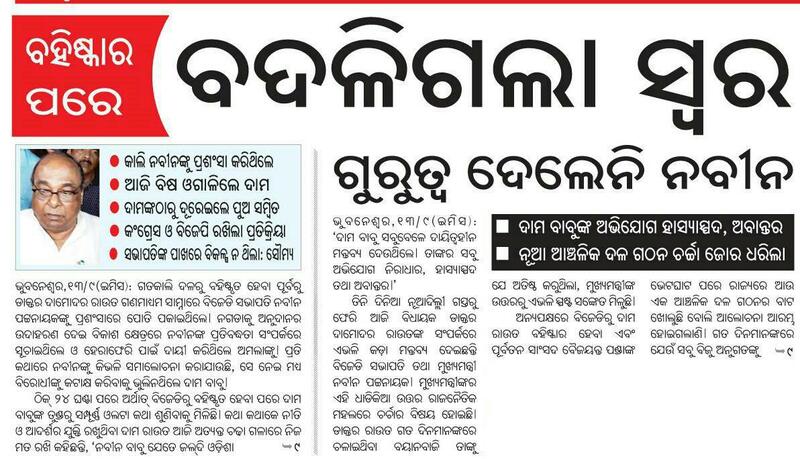 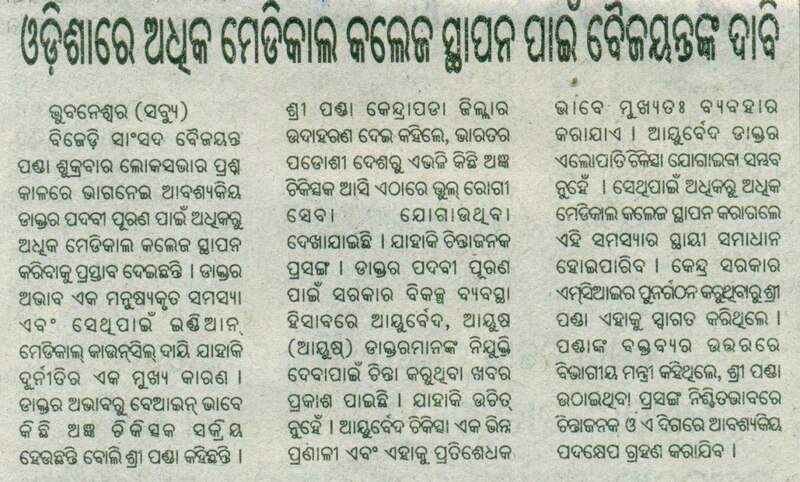 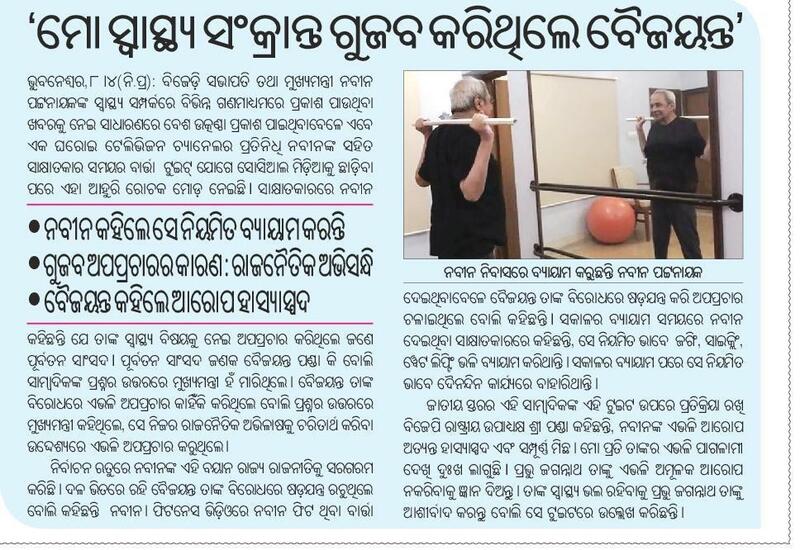 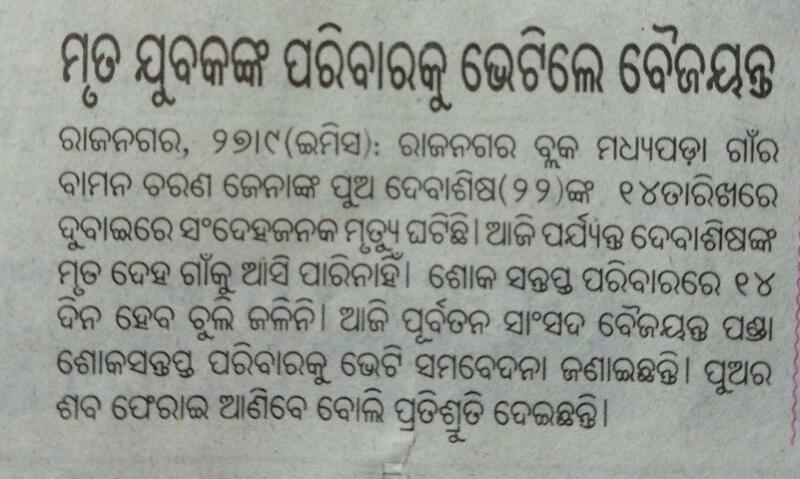 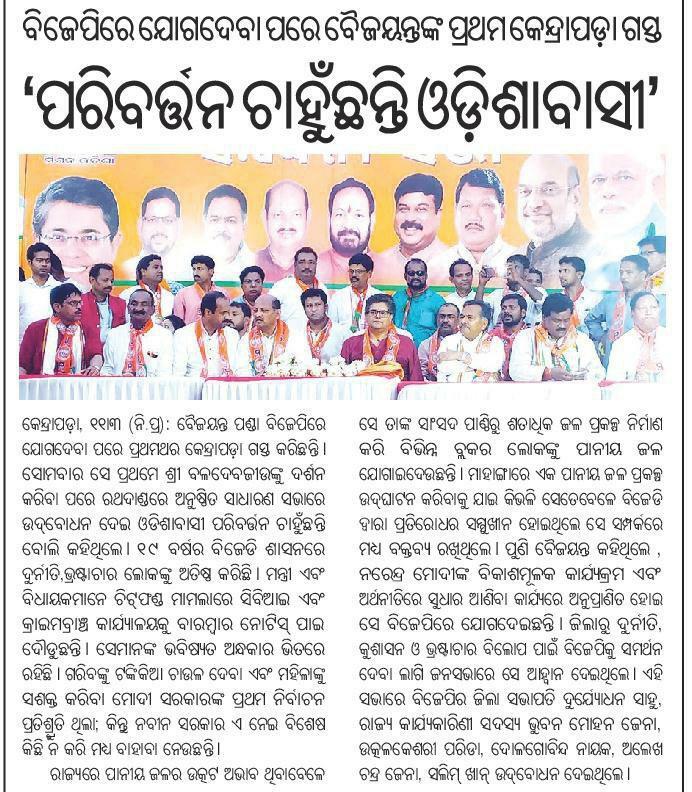 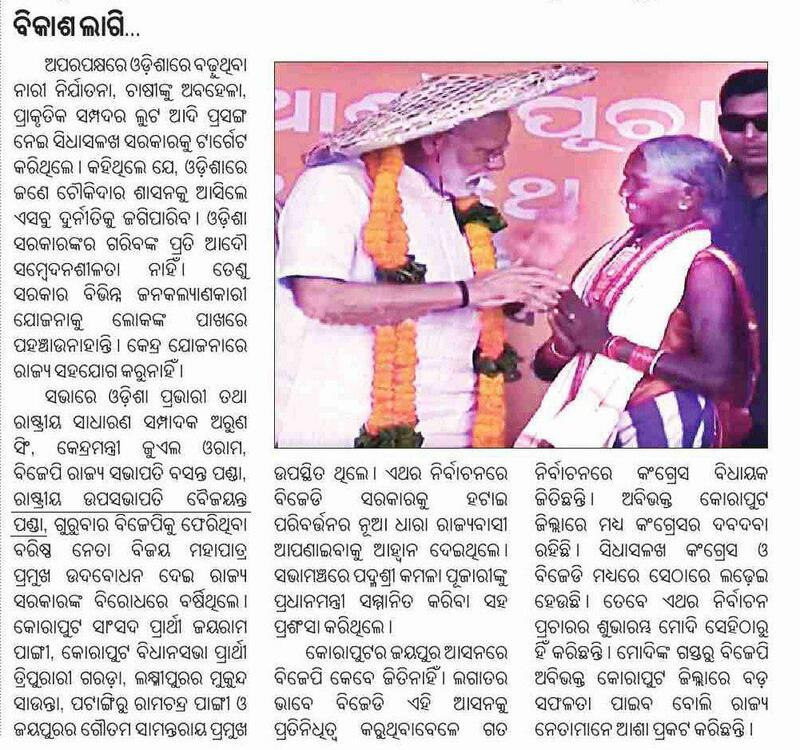 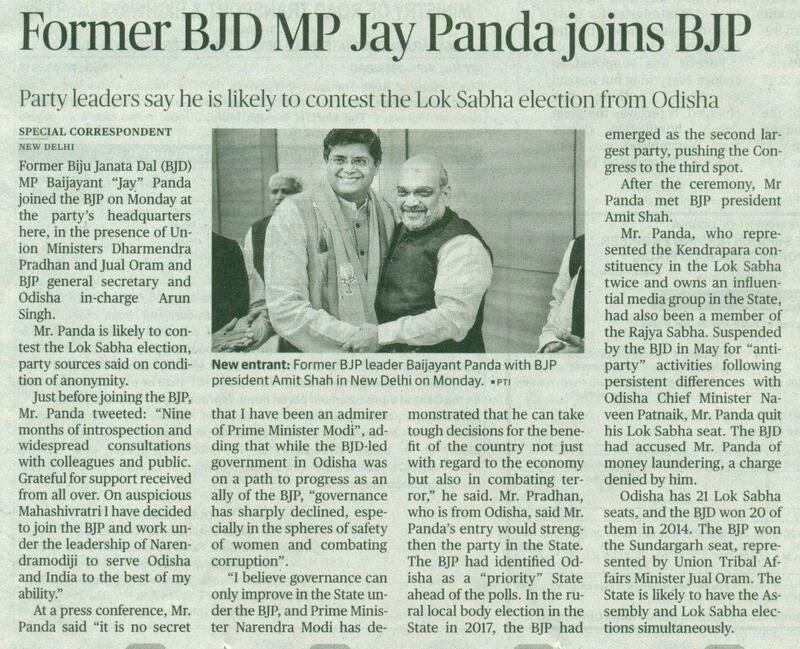 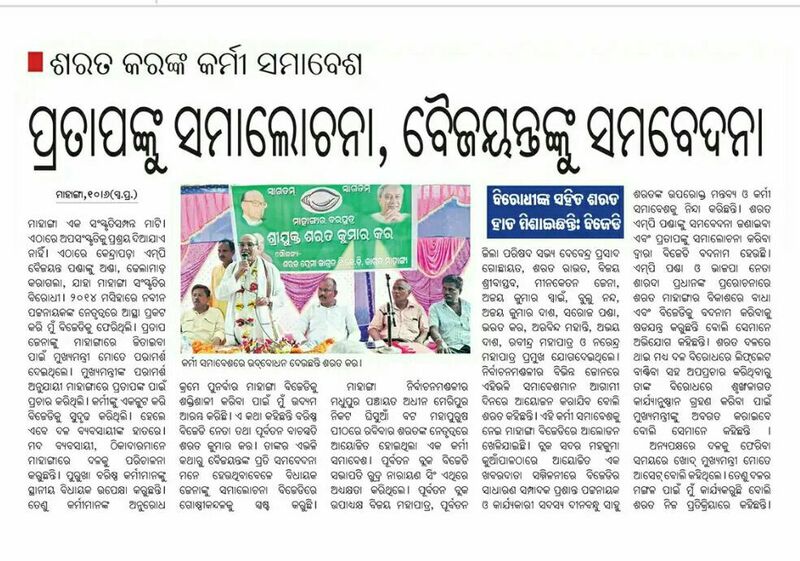 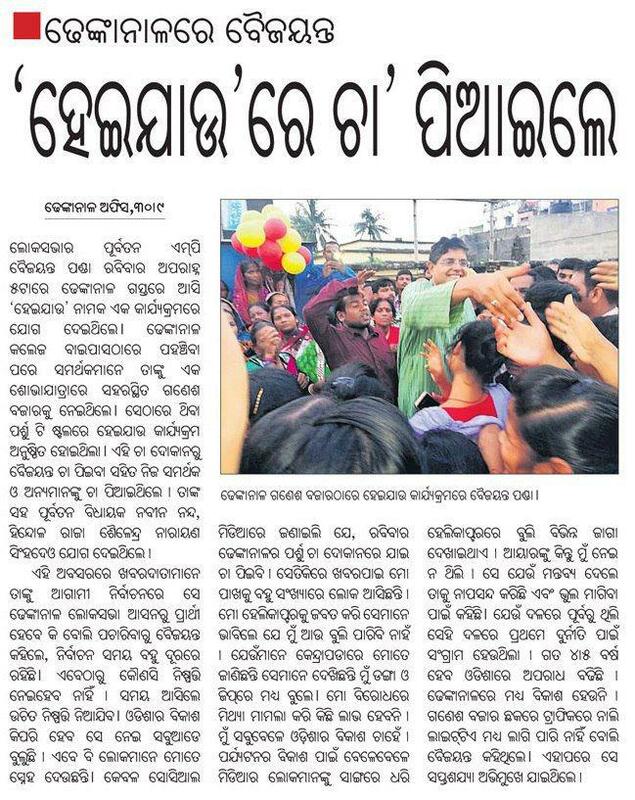 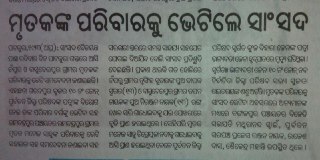 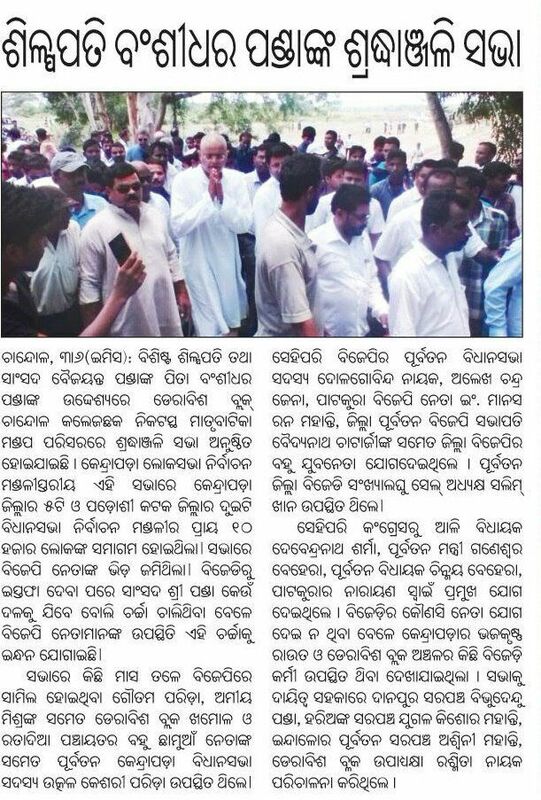 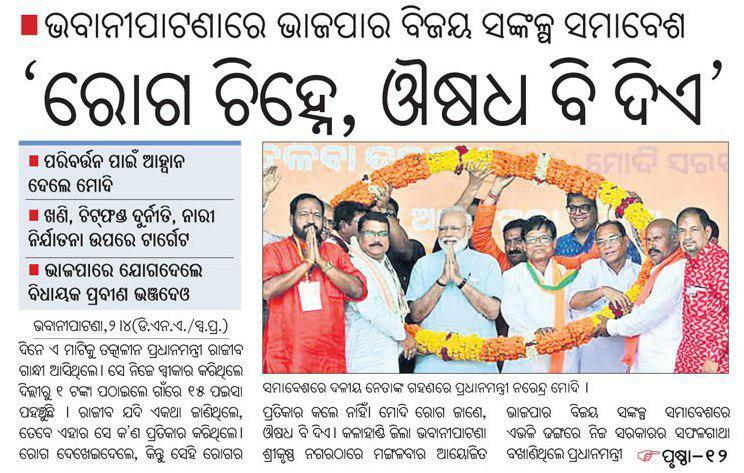 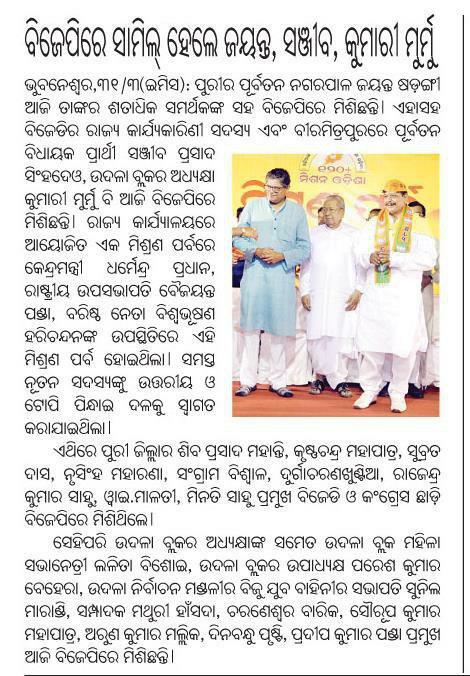 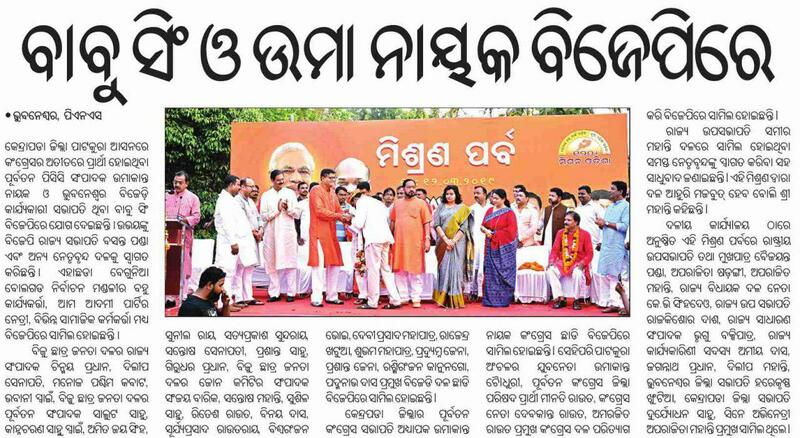 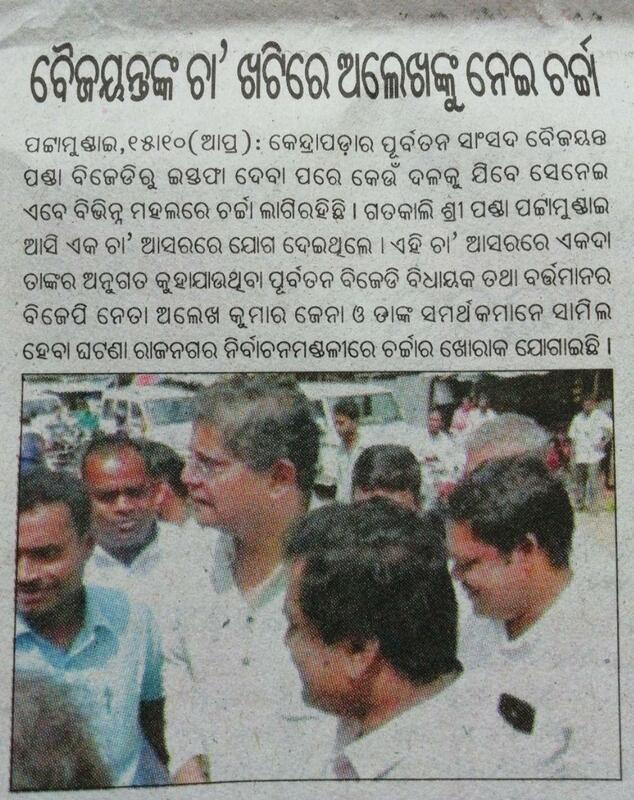 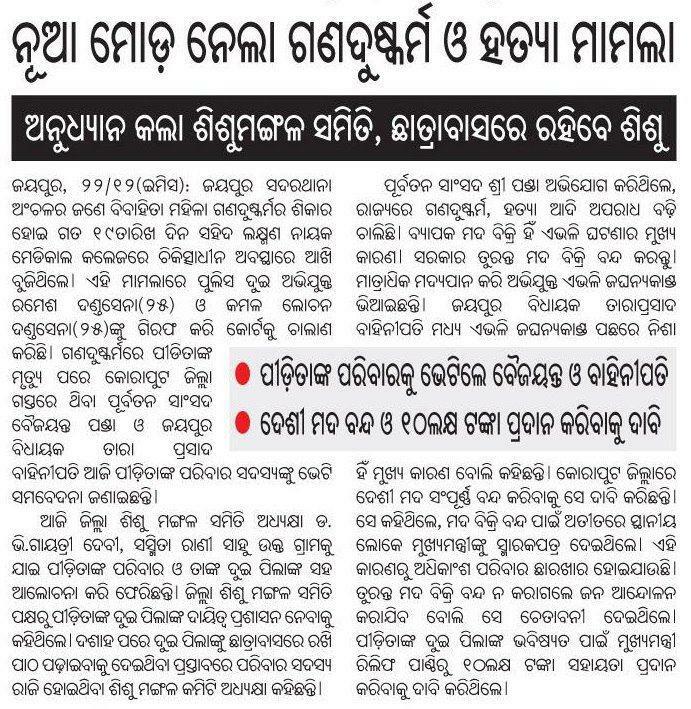 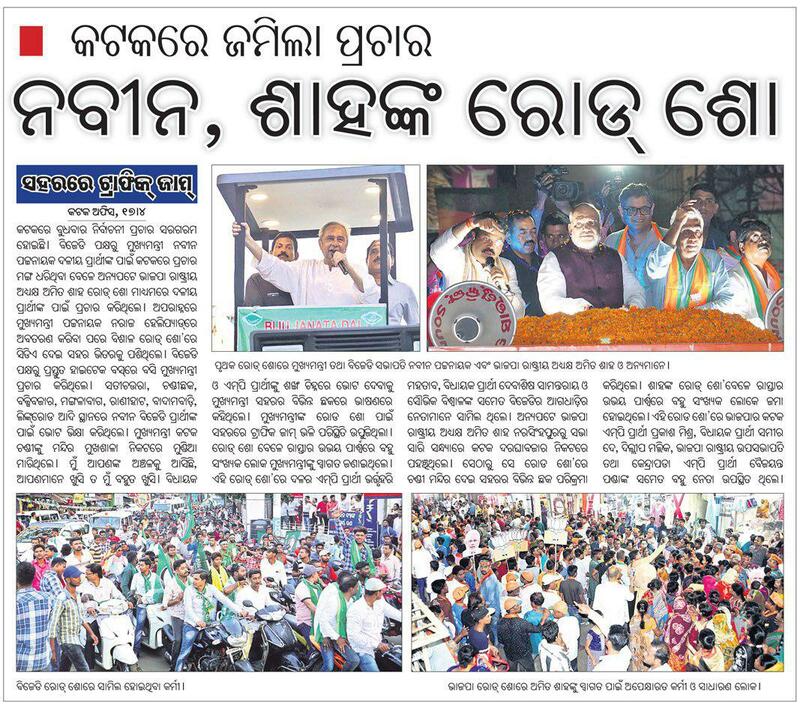 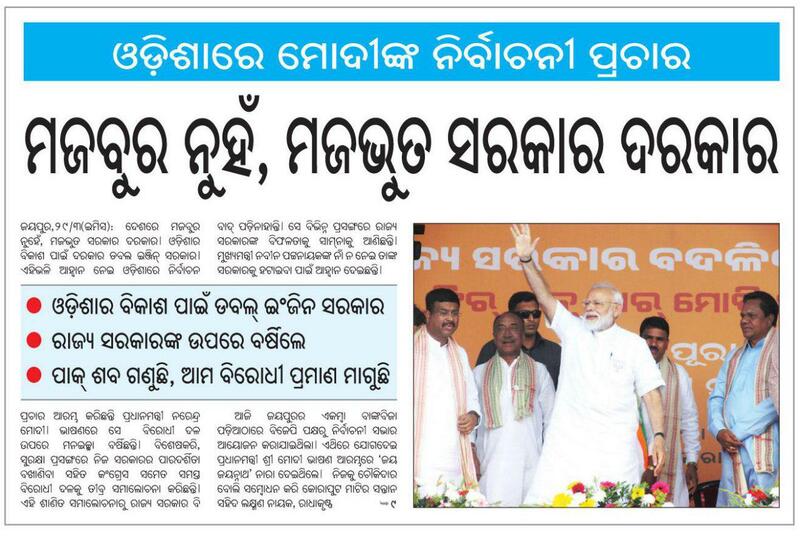 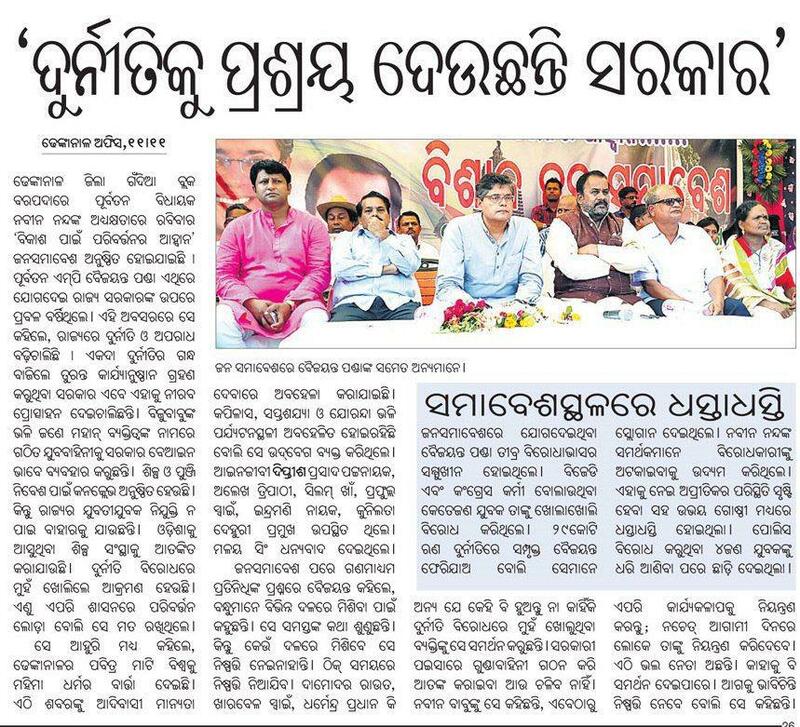 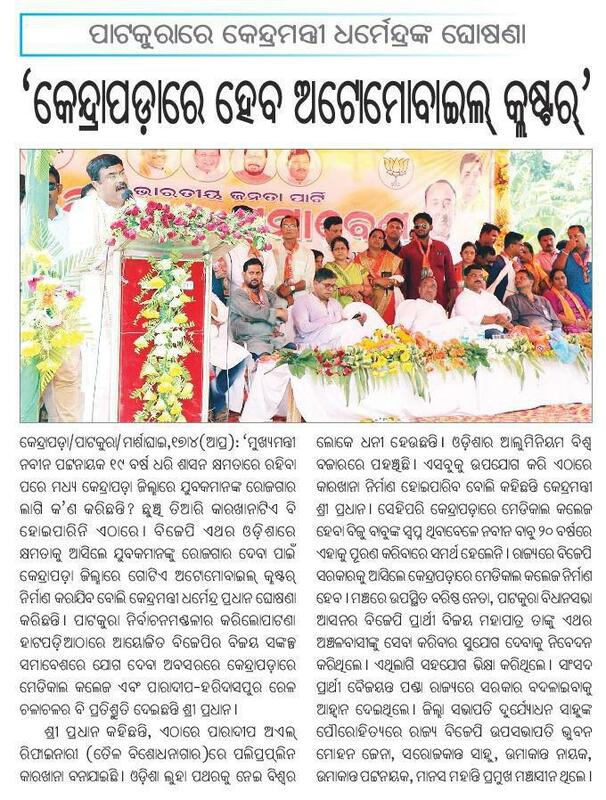 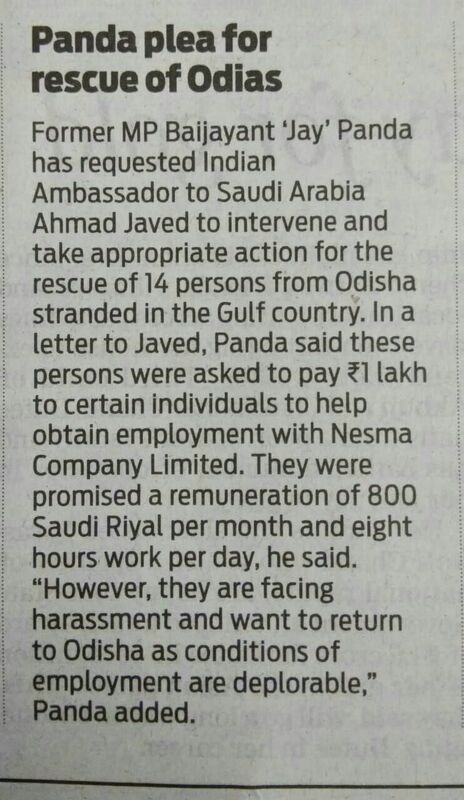 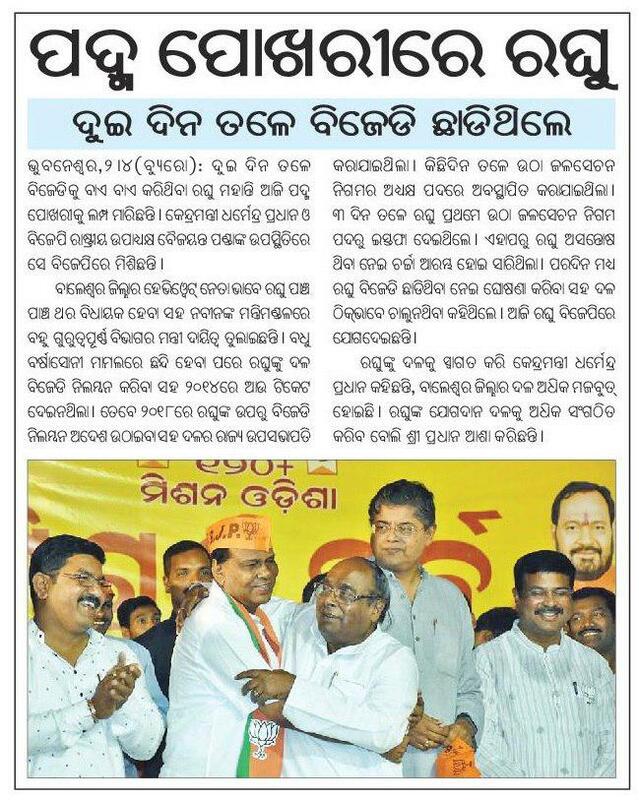 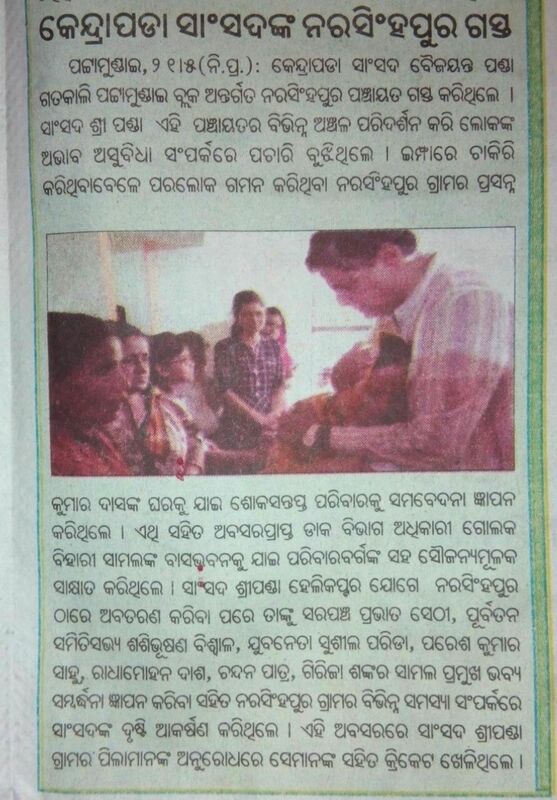 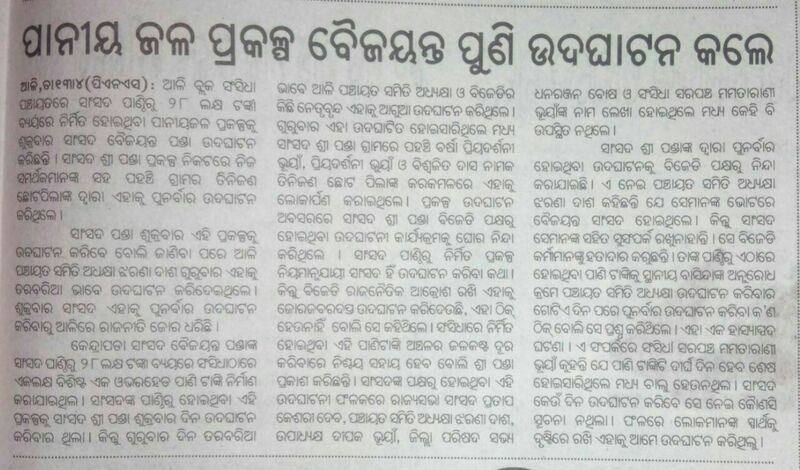 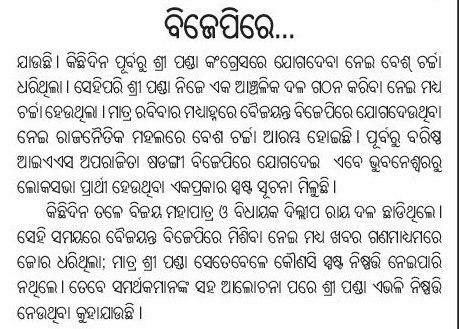 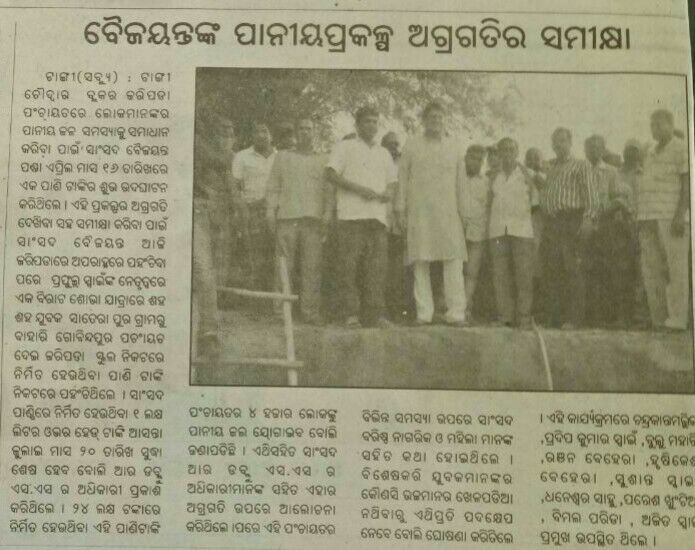 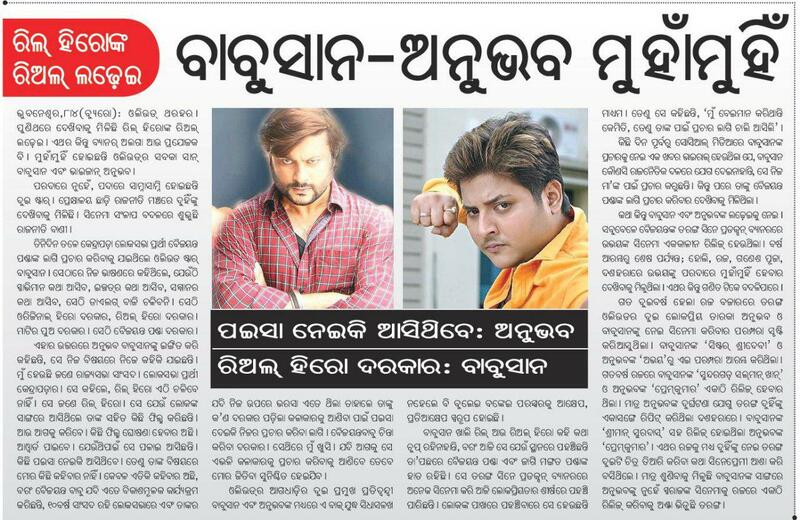 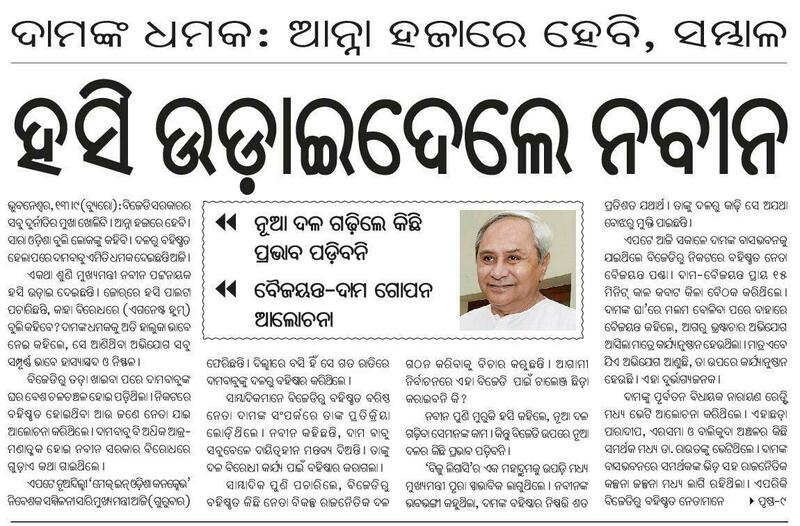 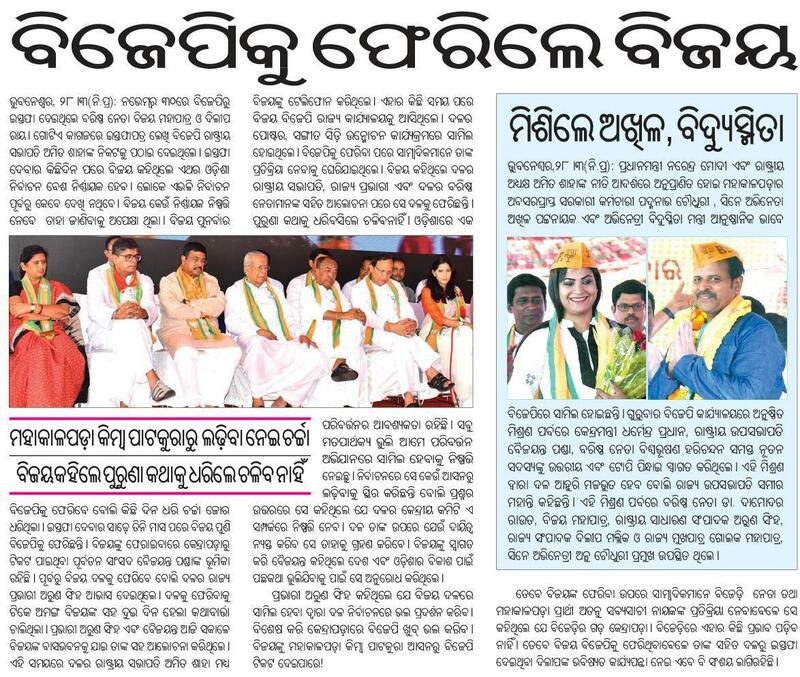 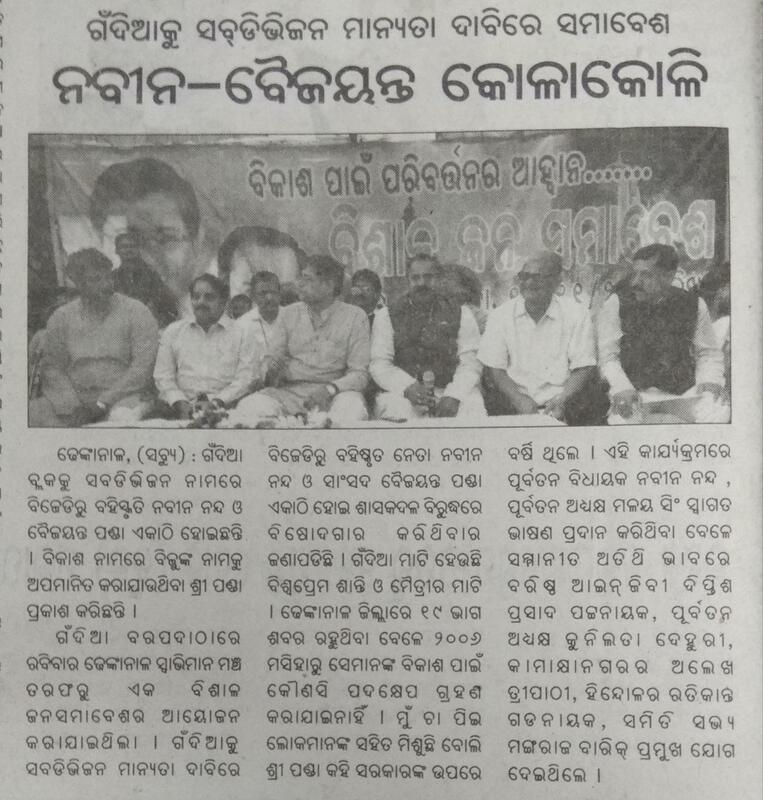 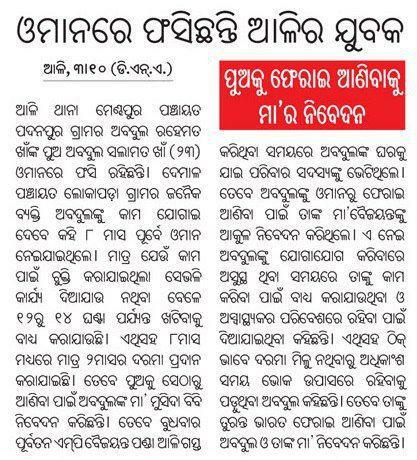 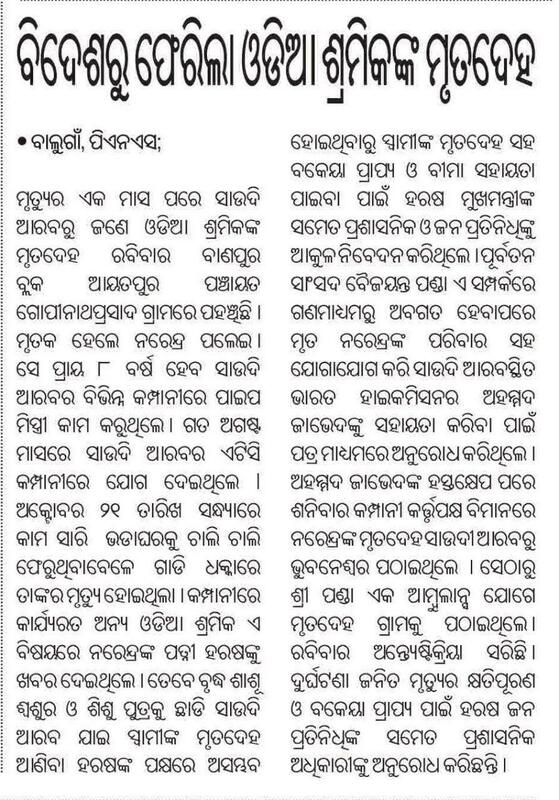 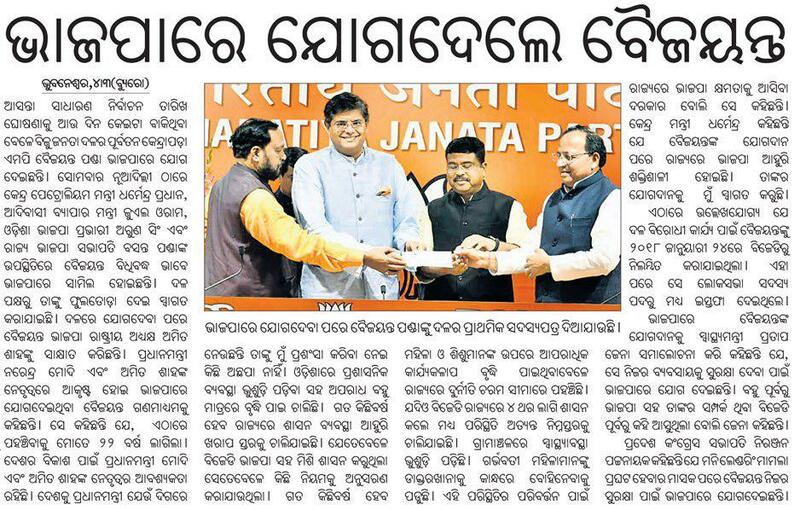 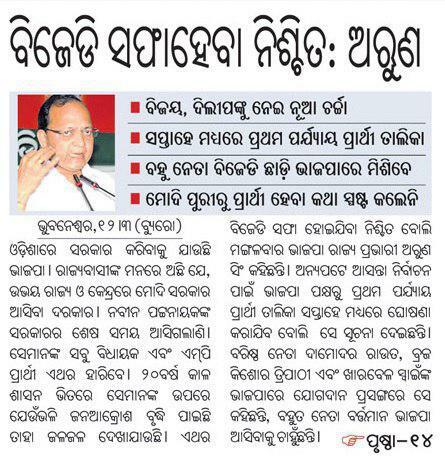 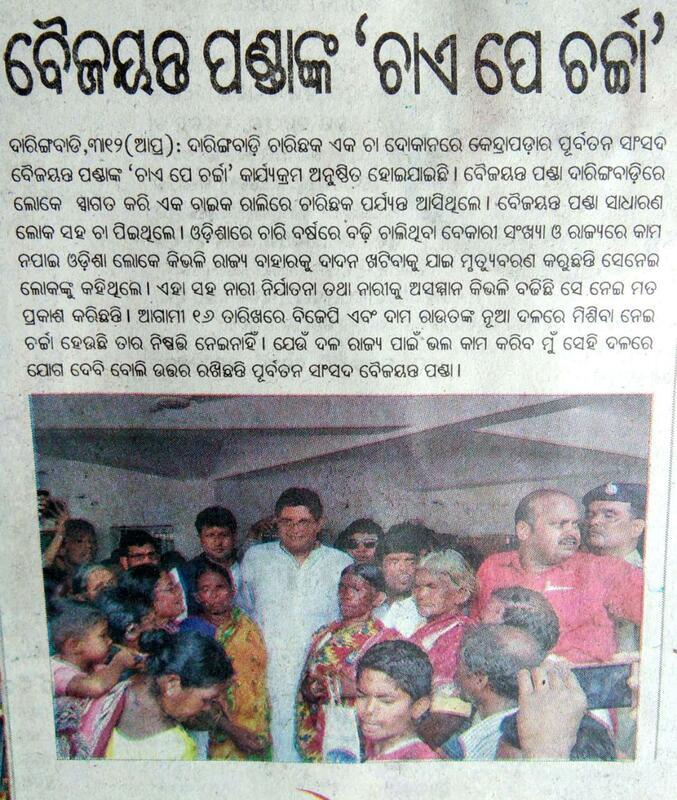 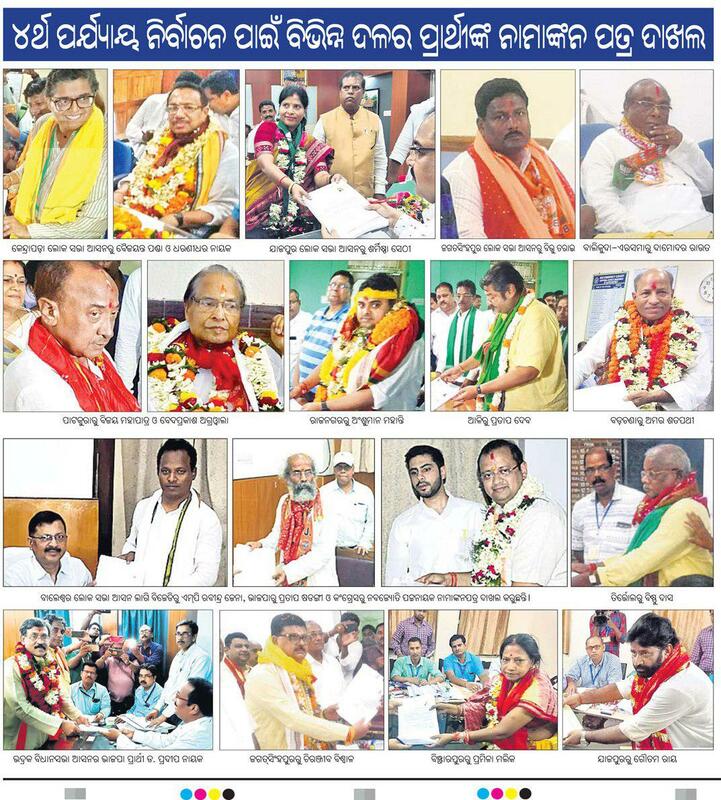 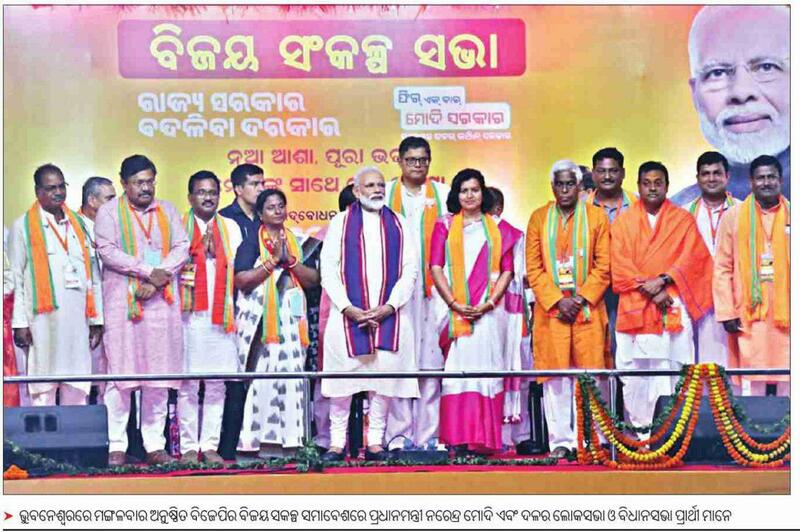 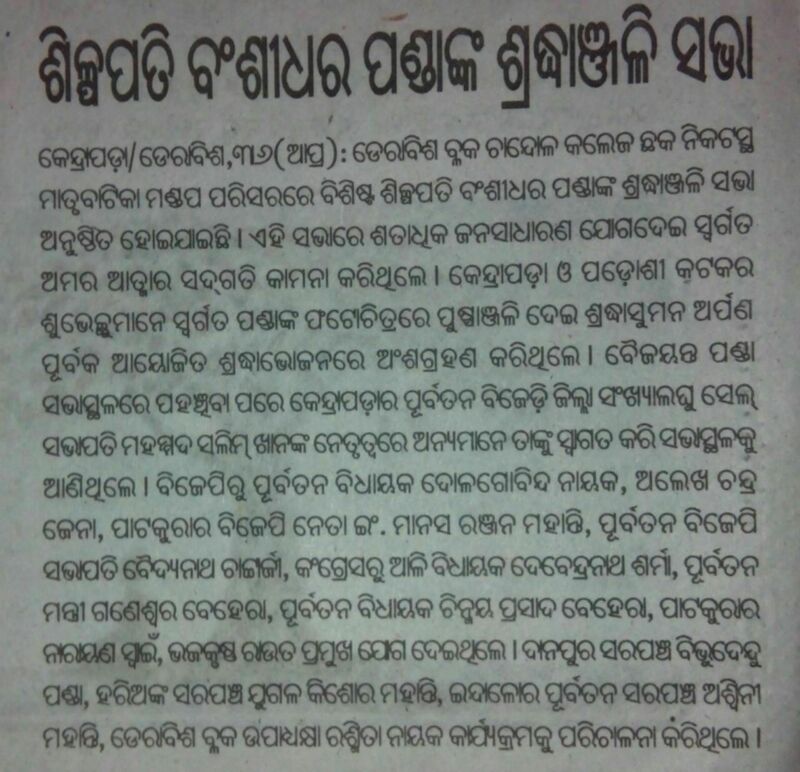 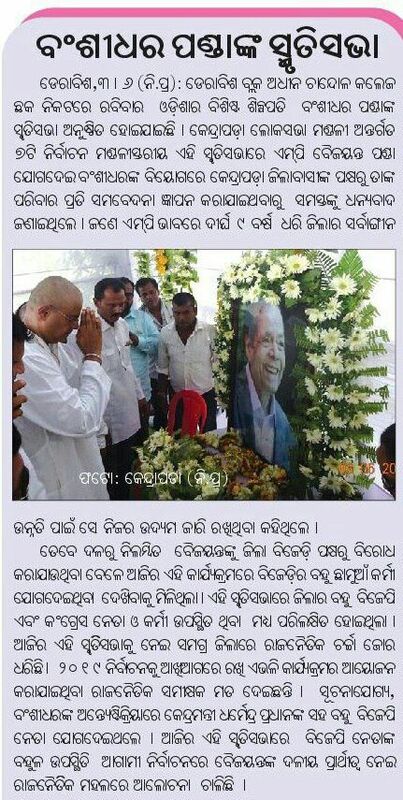 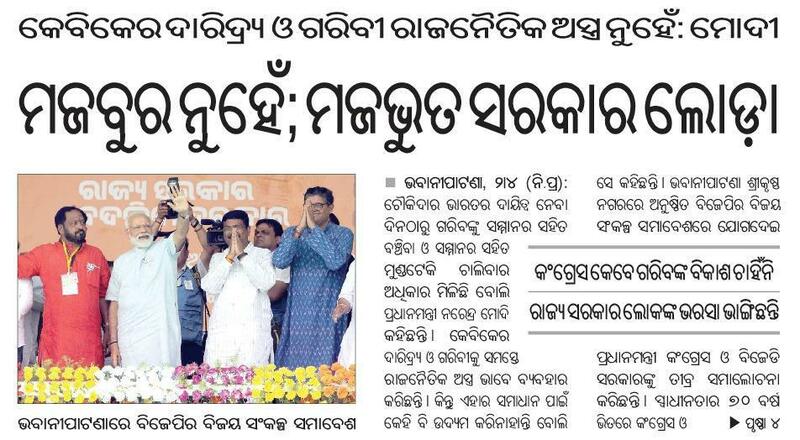 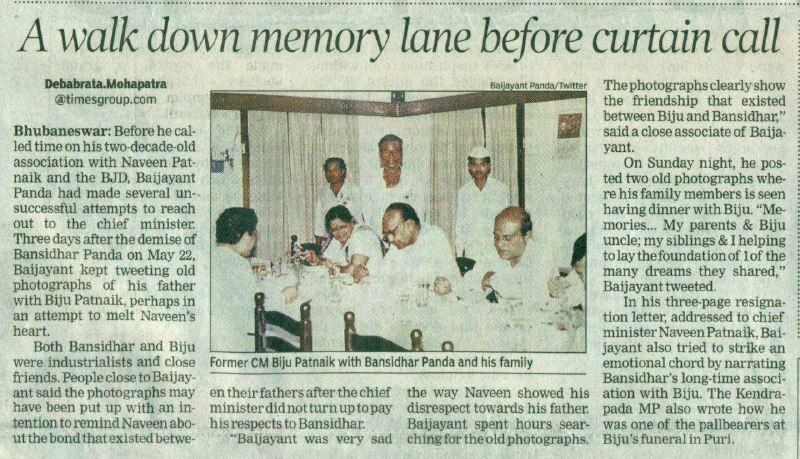 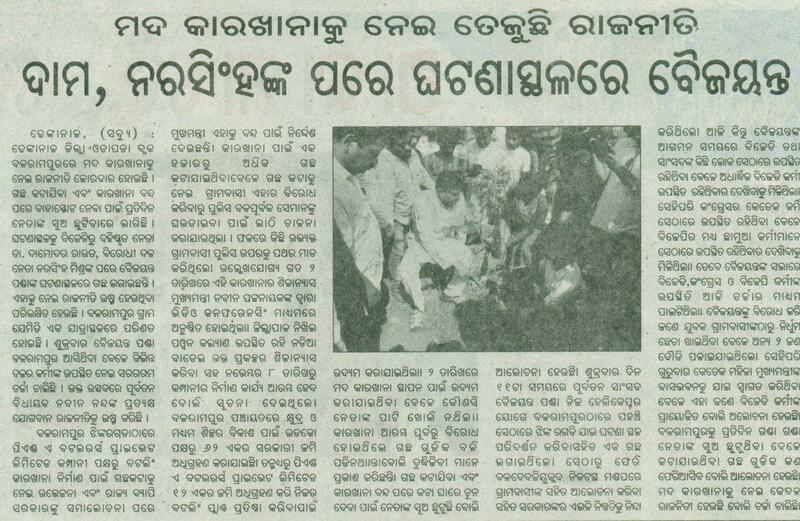 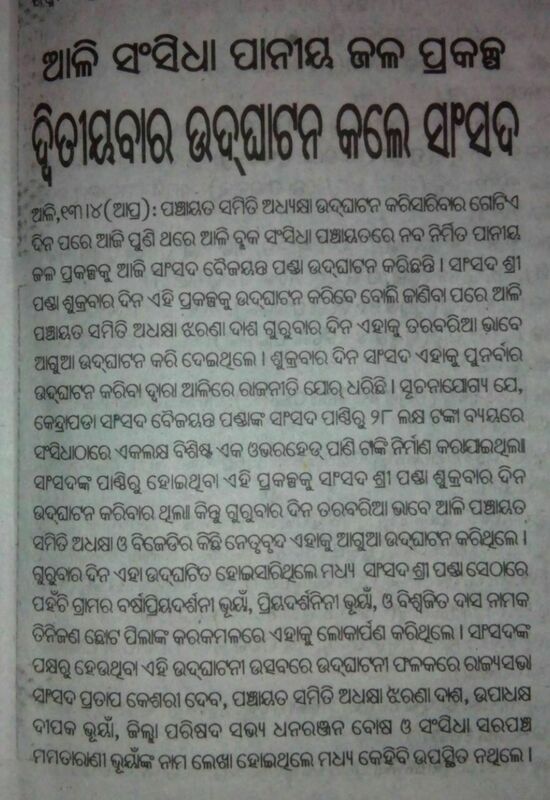 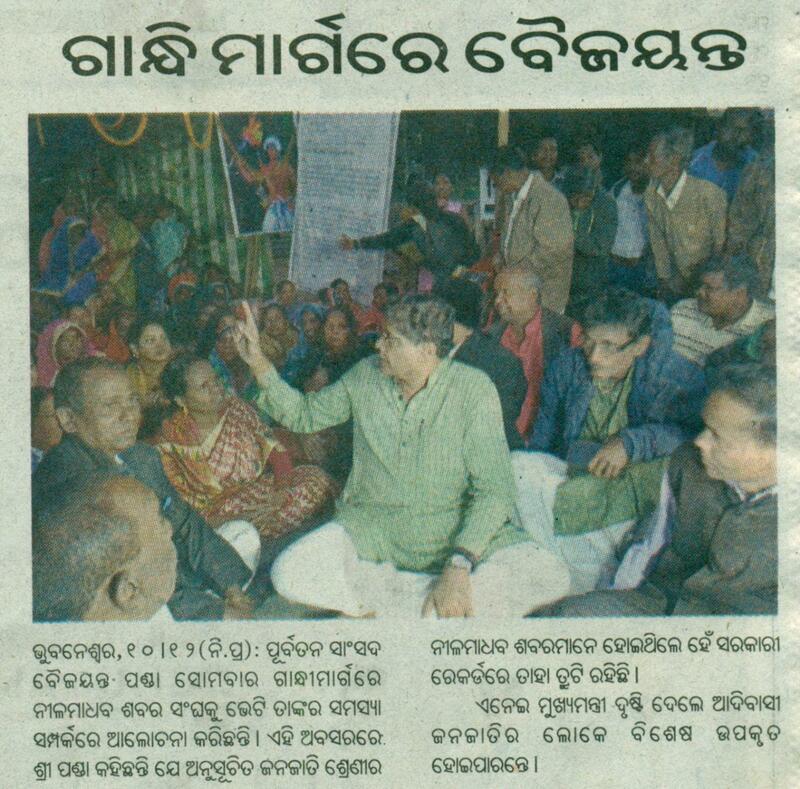 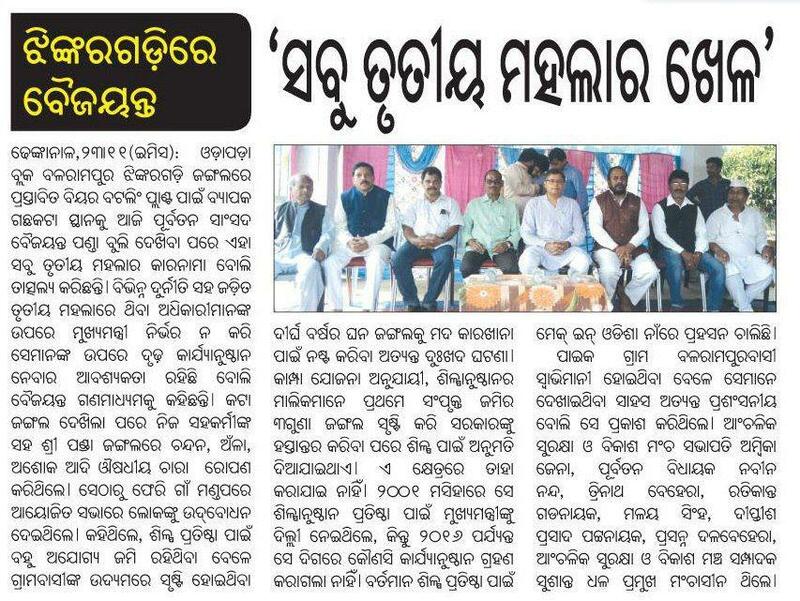 Samaja, Dt. 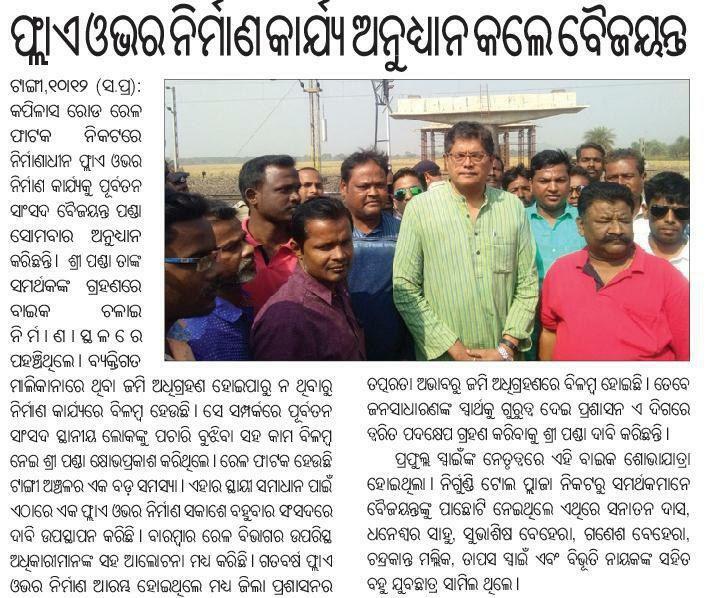 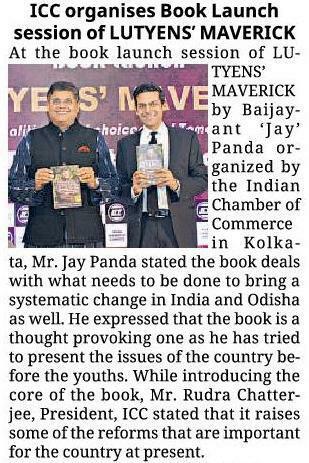 12.09.18, Biju Bichara Mancha alternative for Dama! 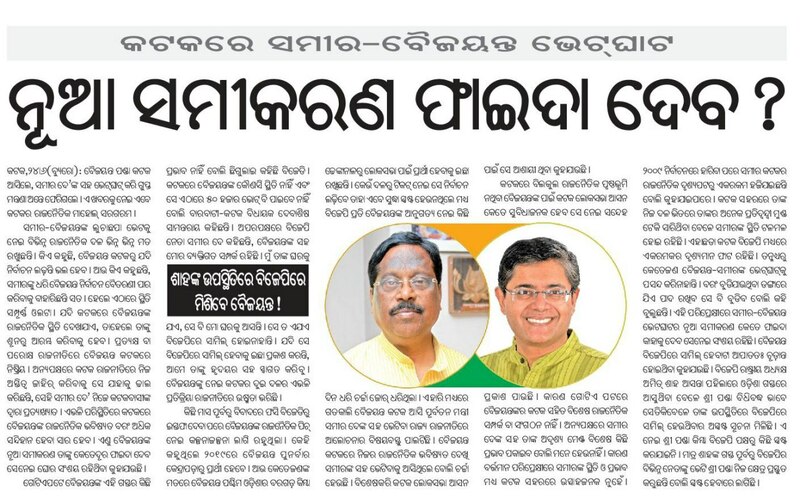 Samaja, Dt. 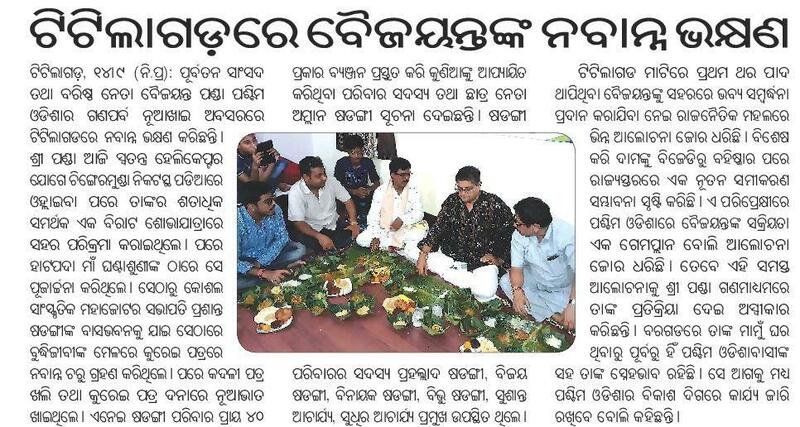 12.09.18, Biju Bichara Mancha alternative for Dama! 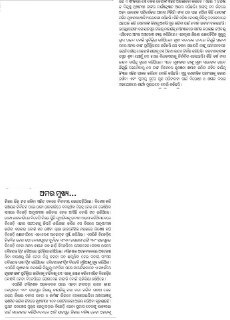 cont. 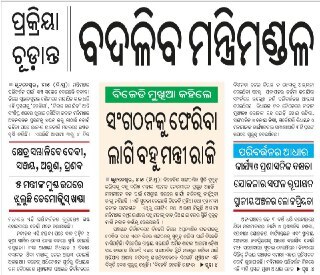 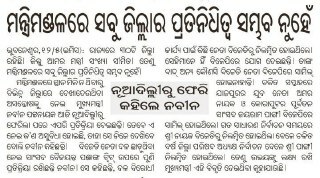 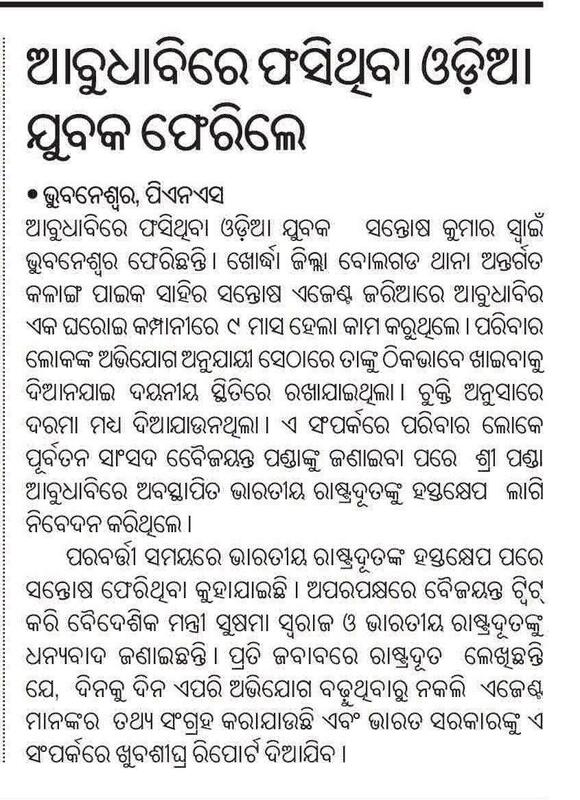 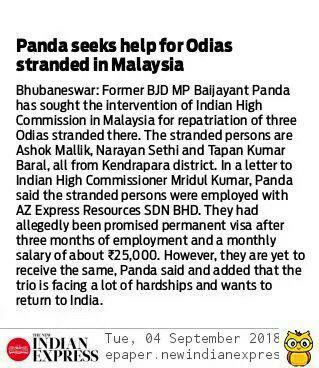 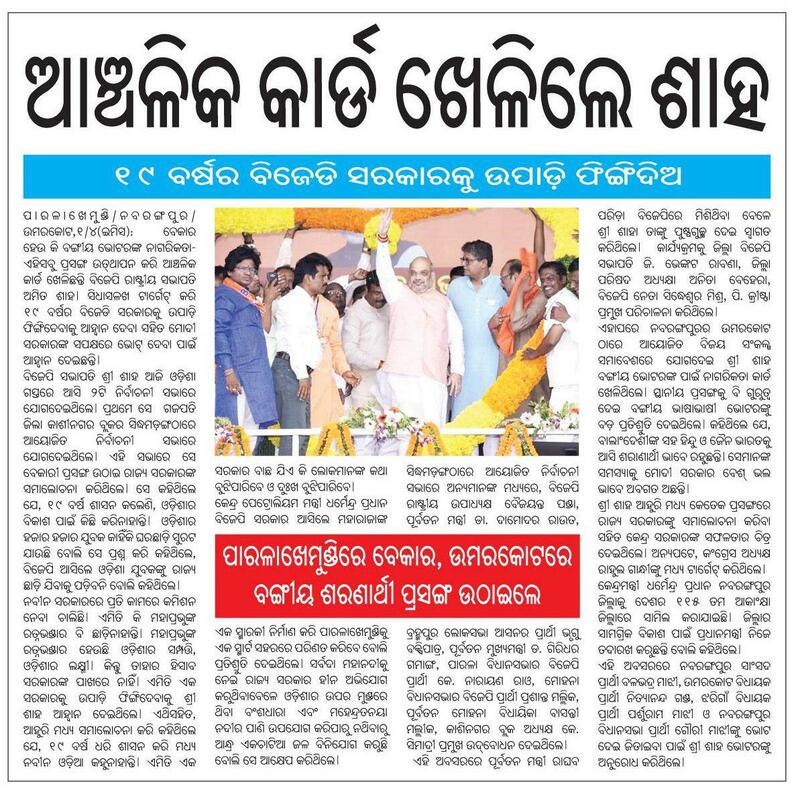 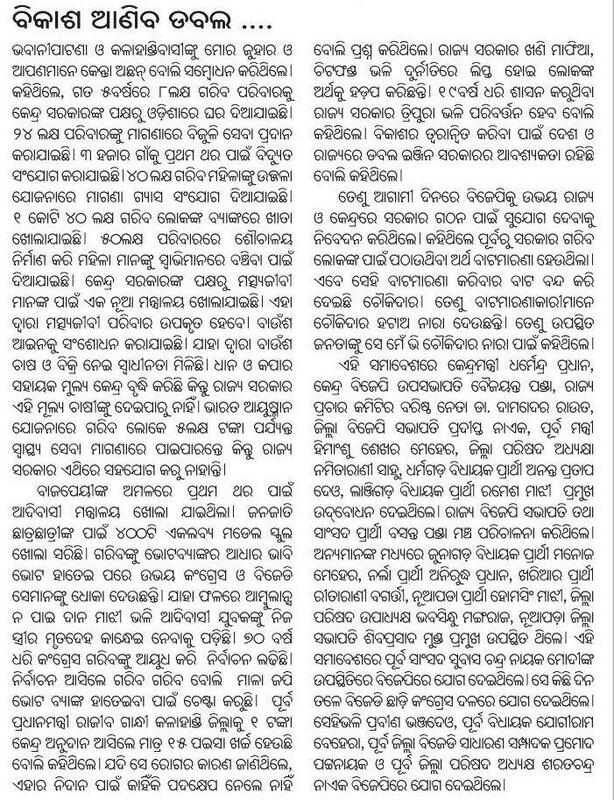 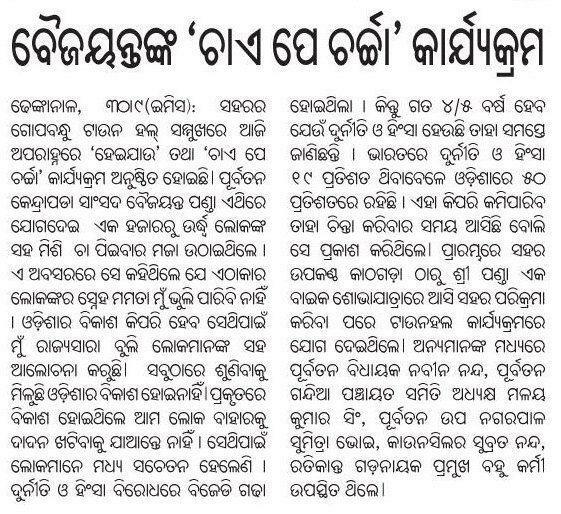 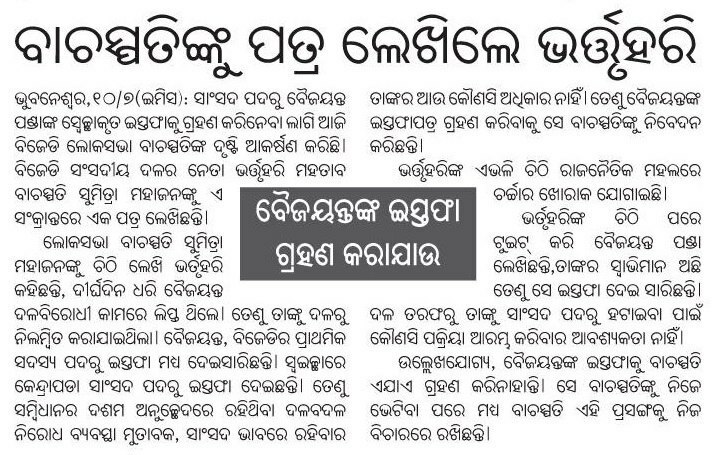 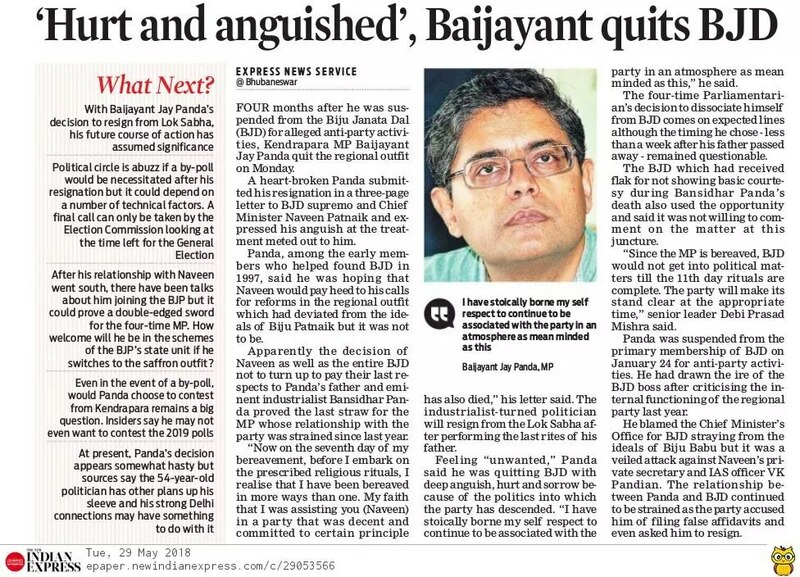 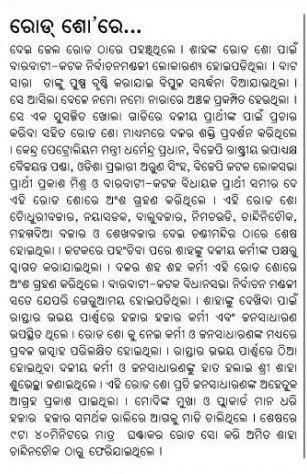 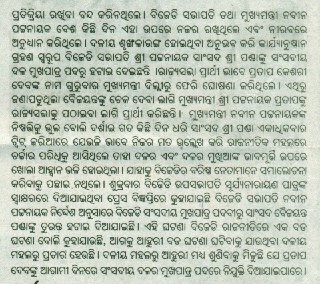 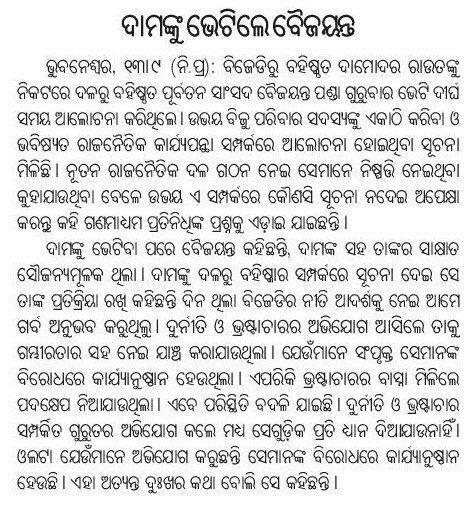 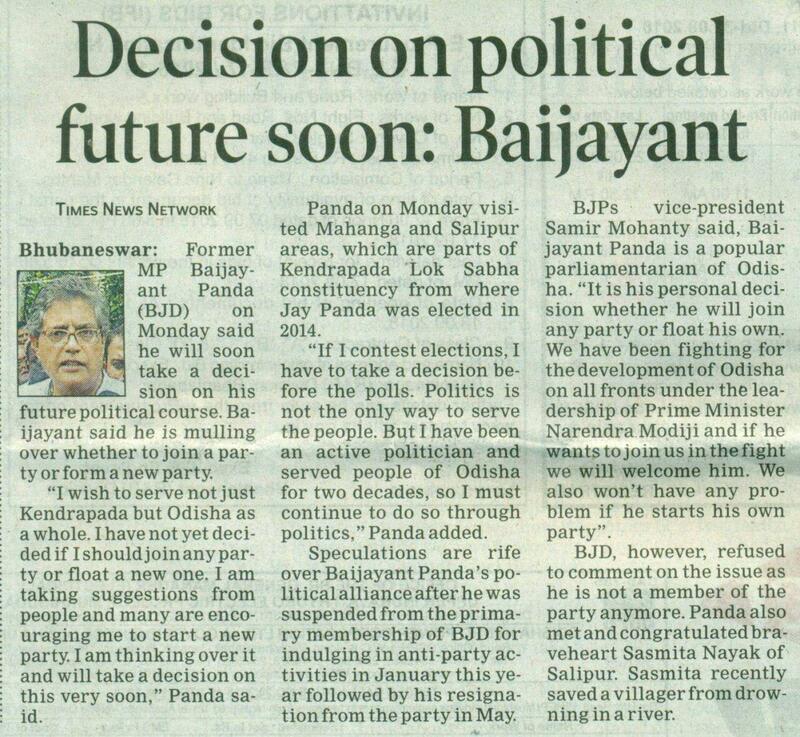 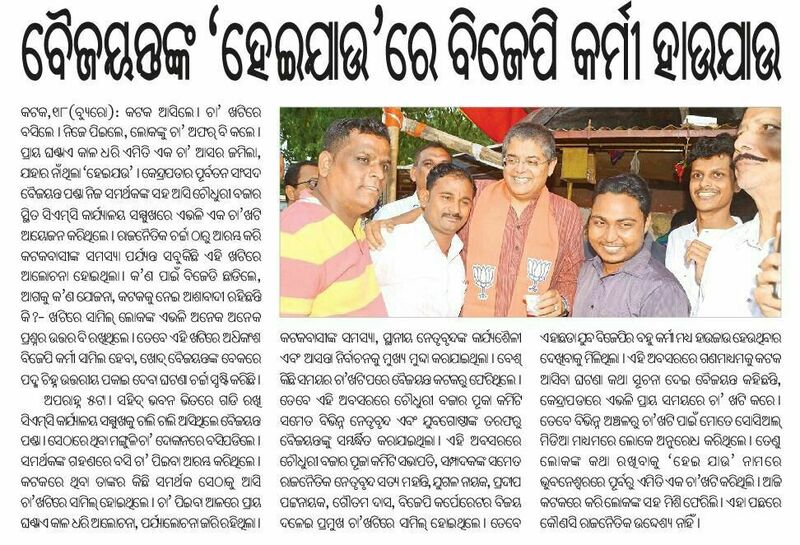 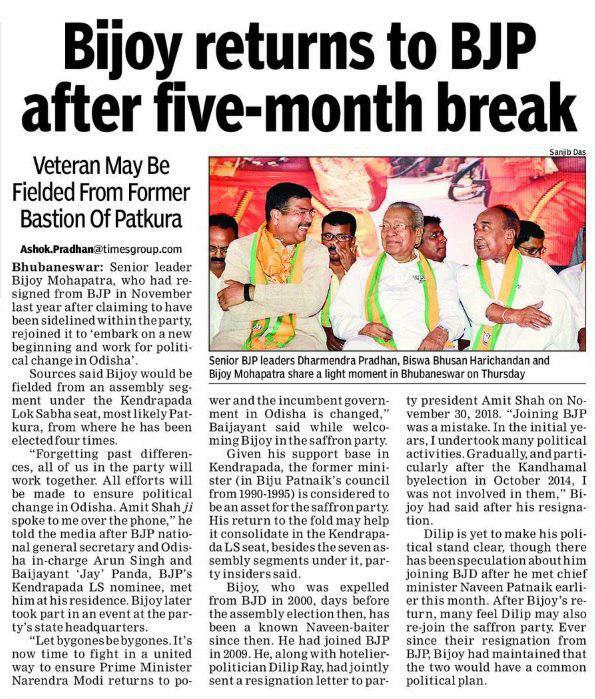 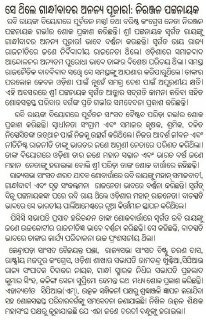 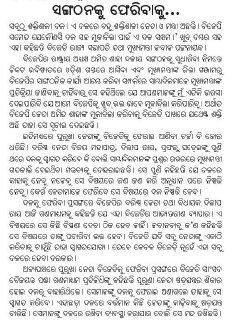 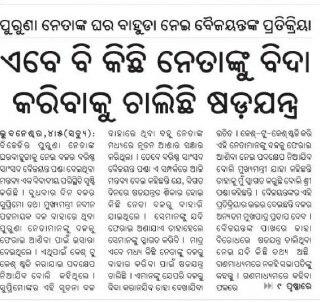 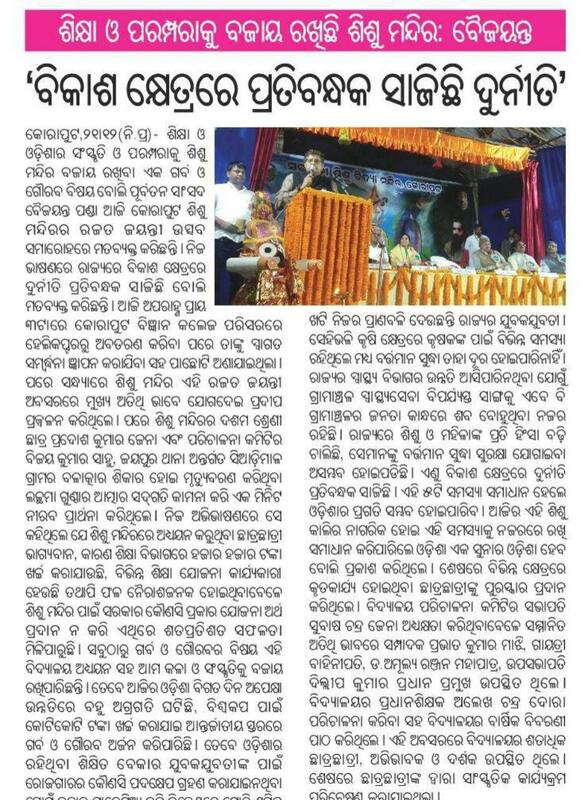 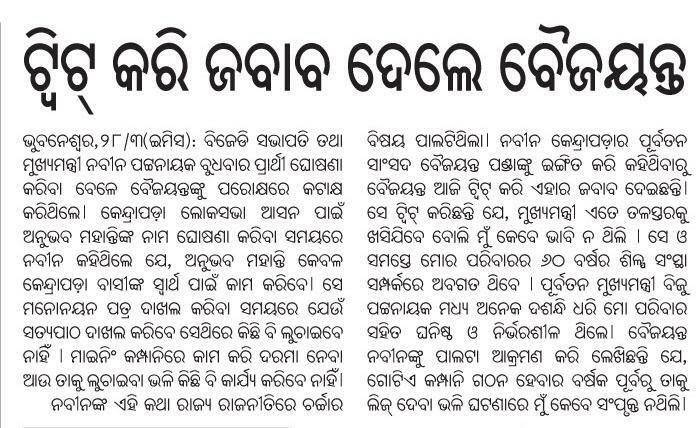 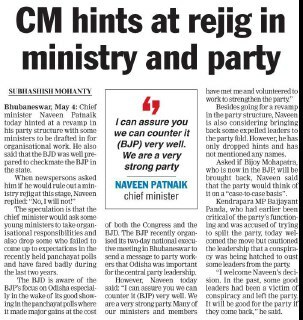 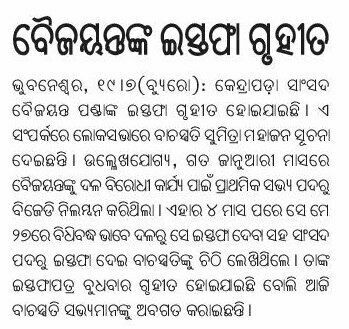 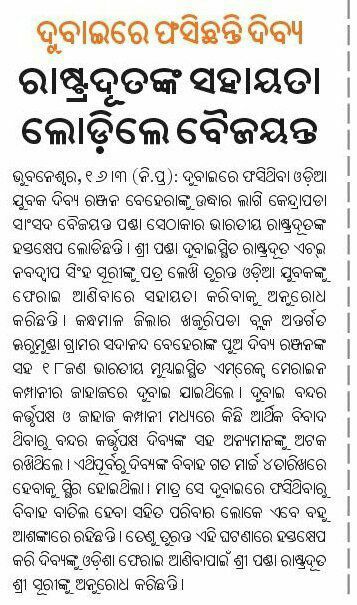 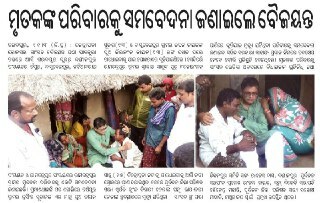 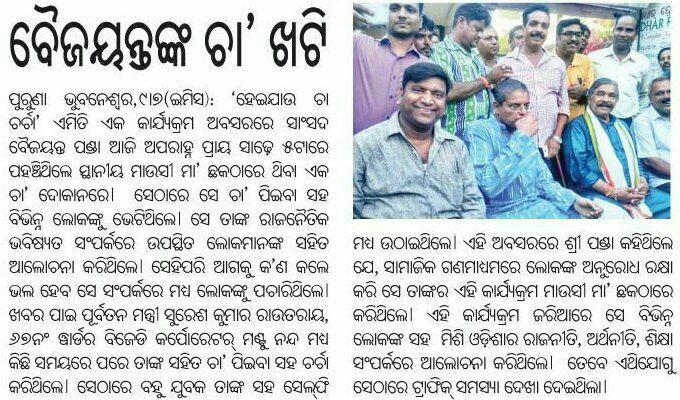 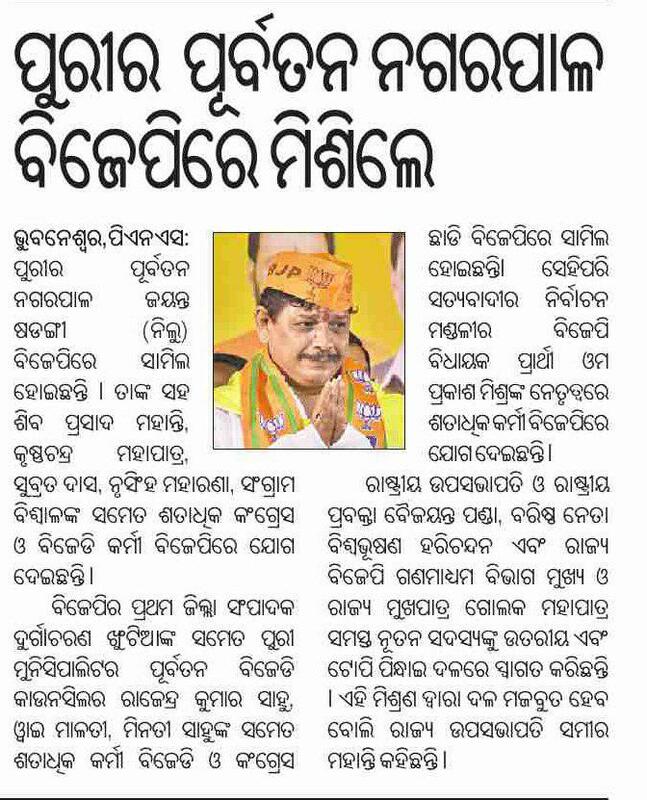 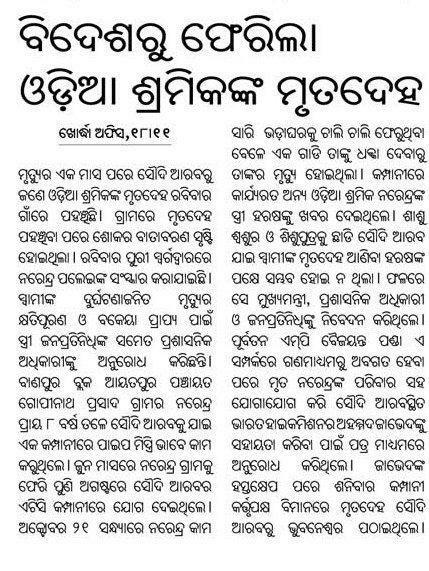 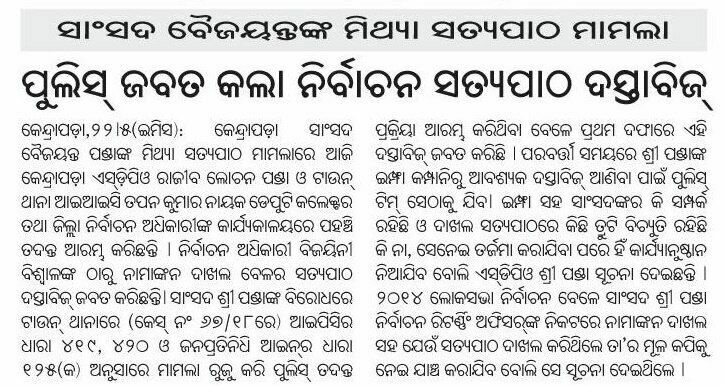 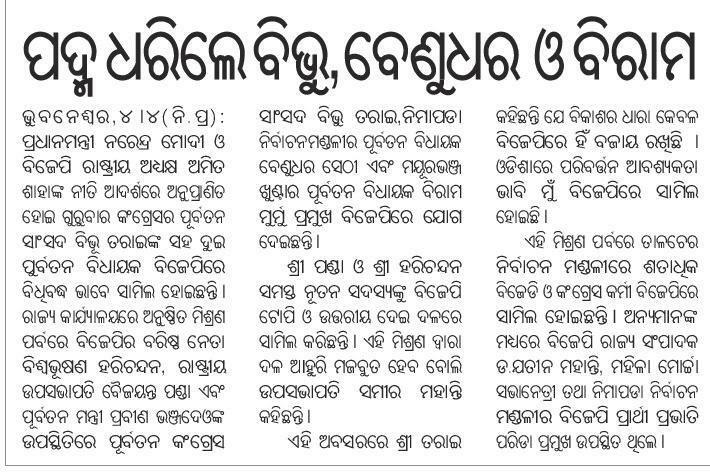 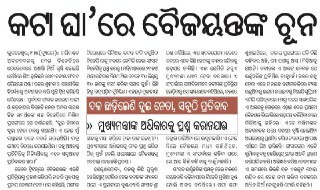 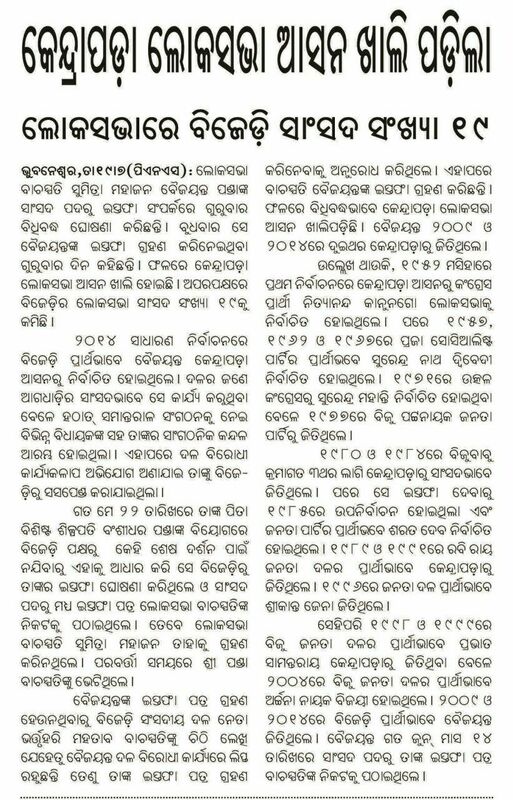 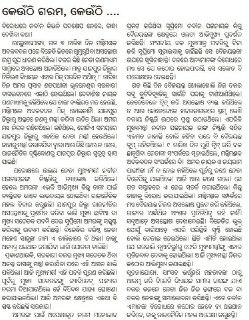 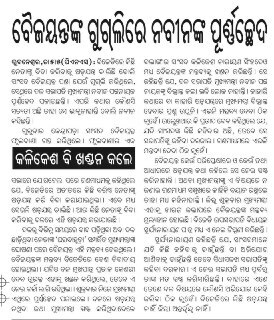 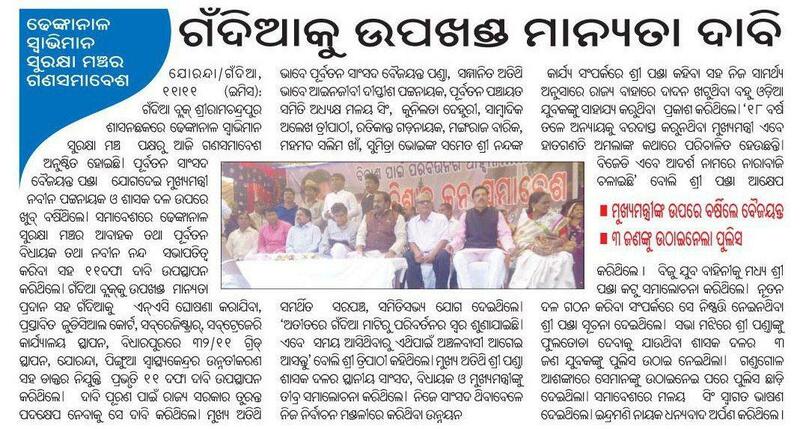 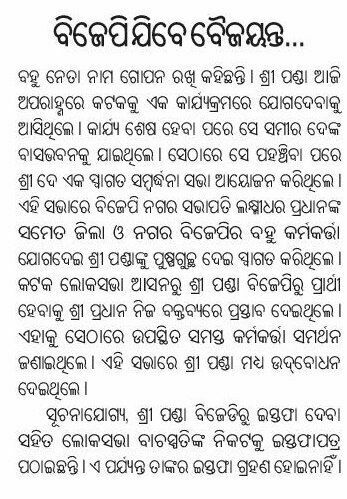 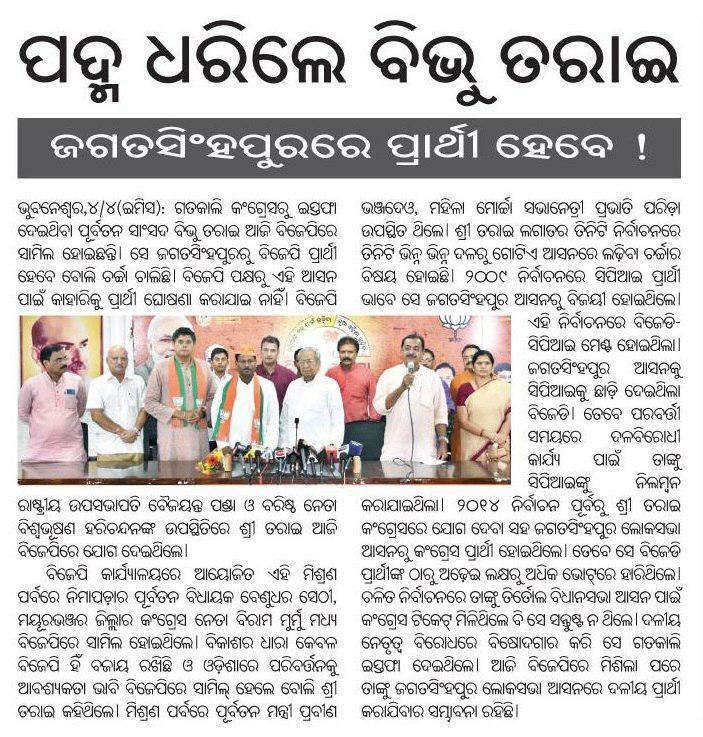 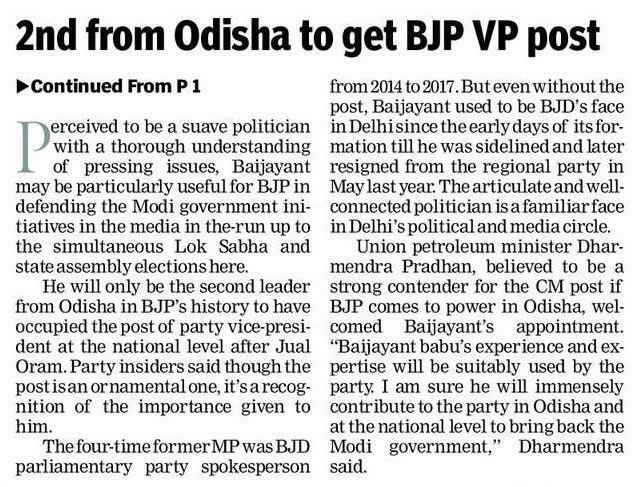 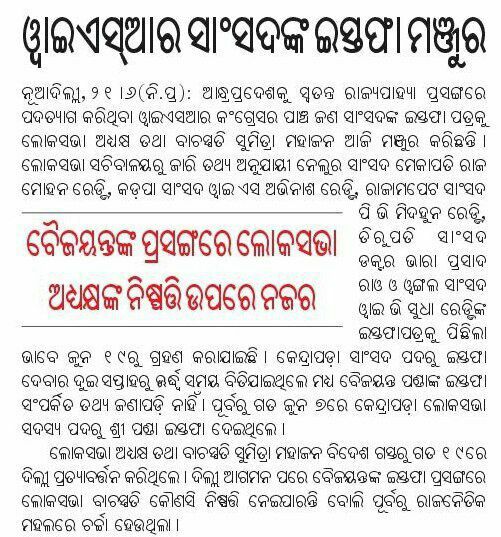 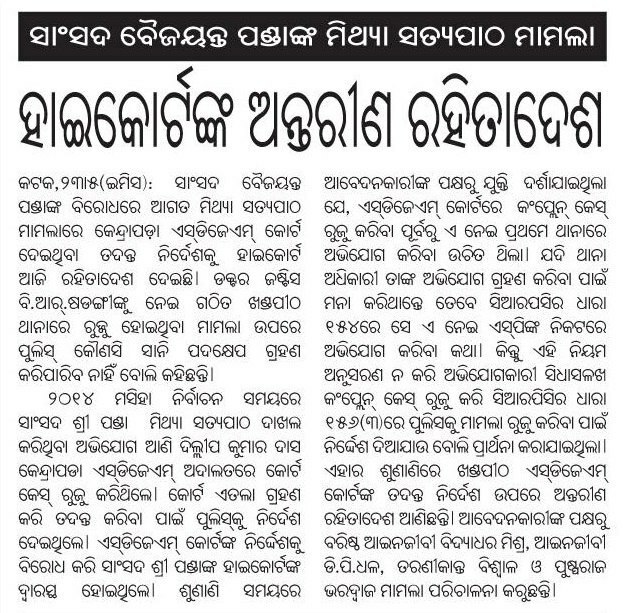 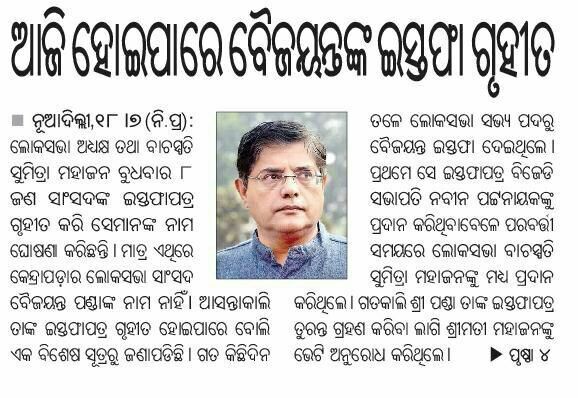 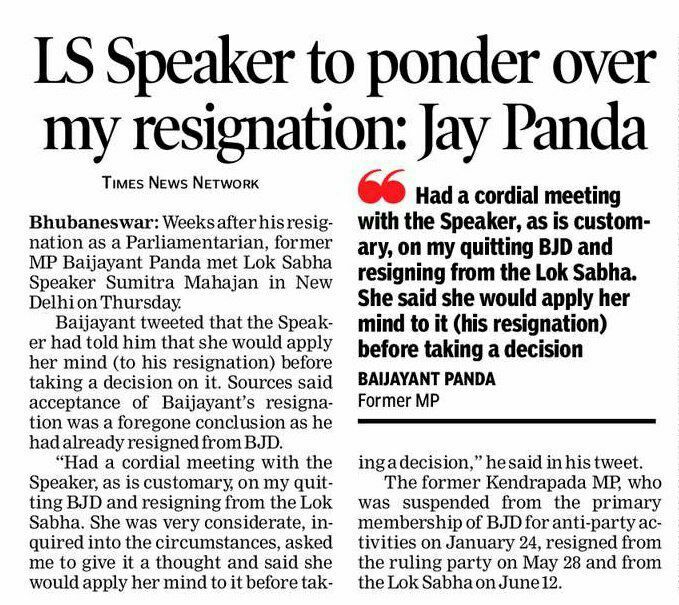 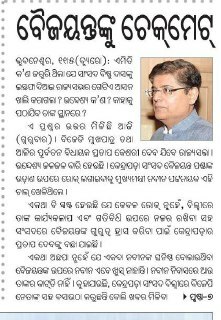 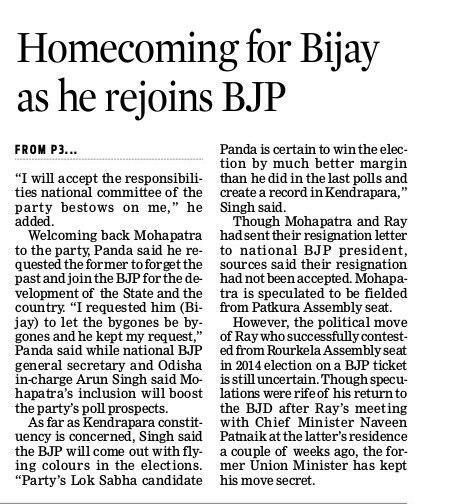 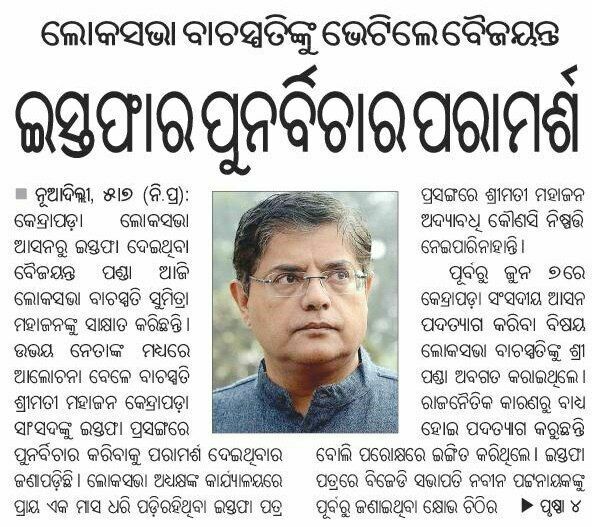 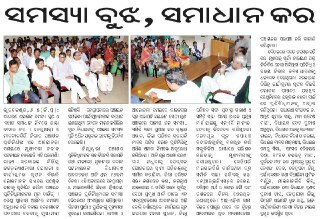 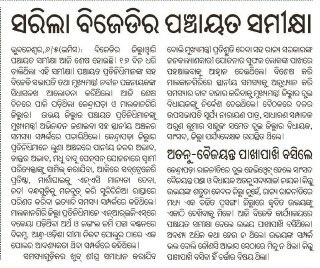 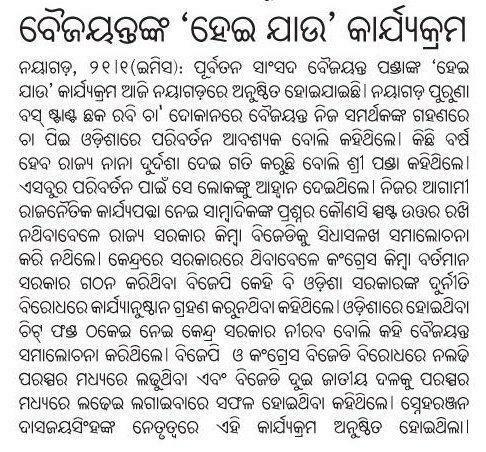 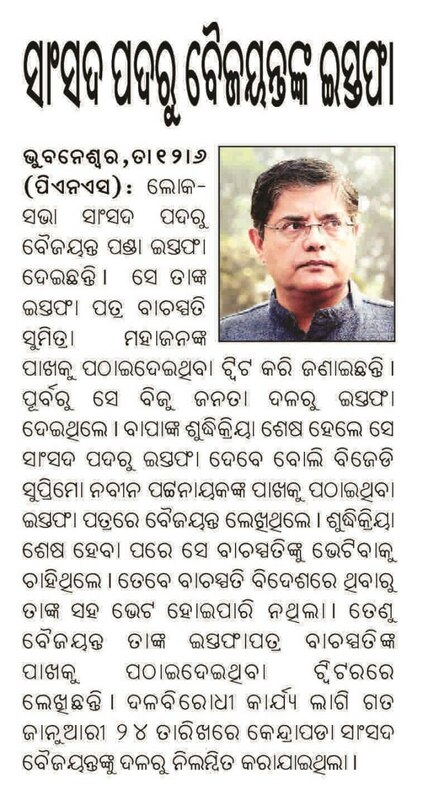 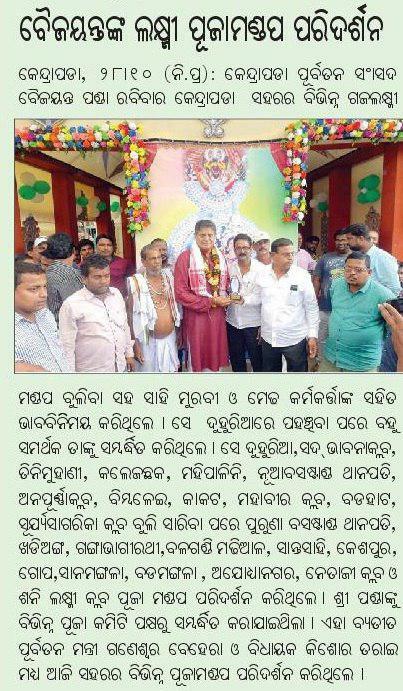 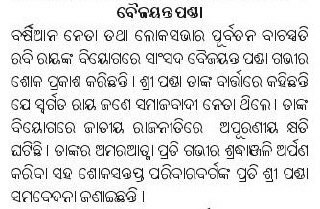 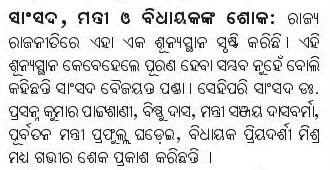 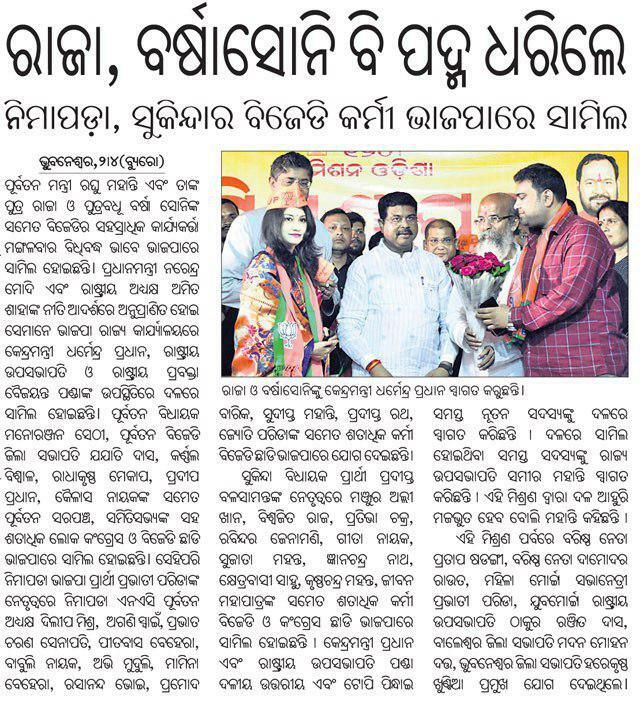 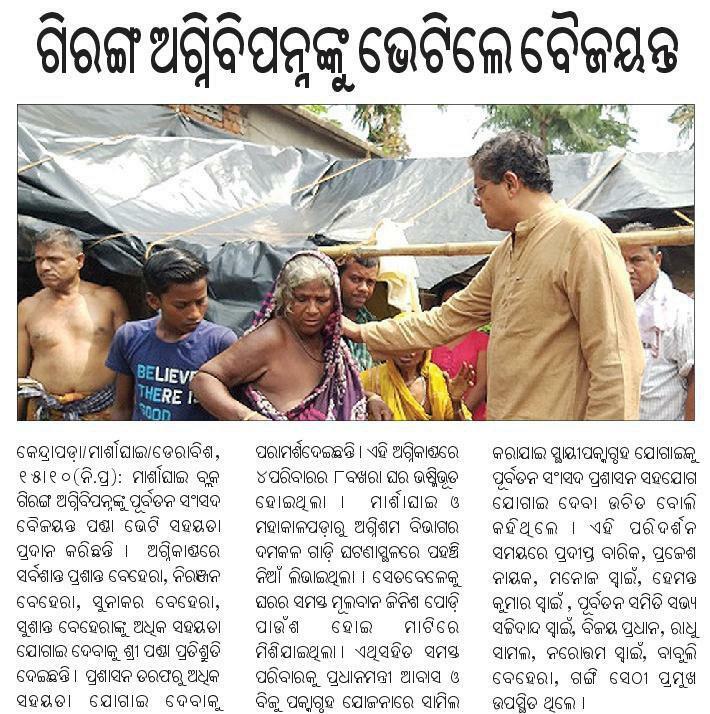 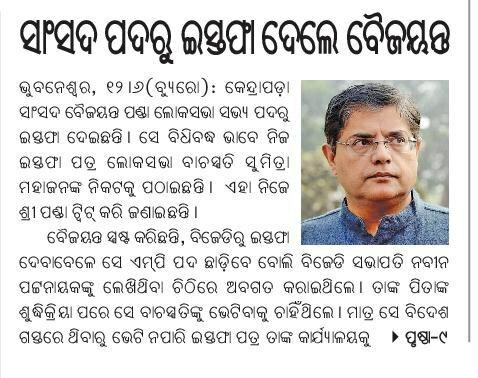 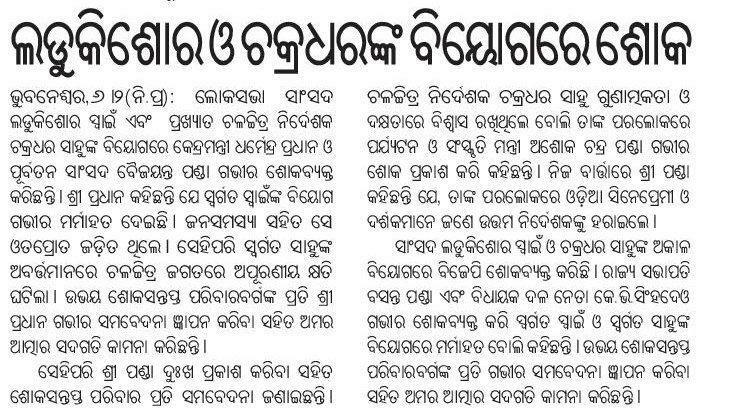 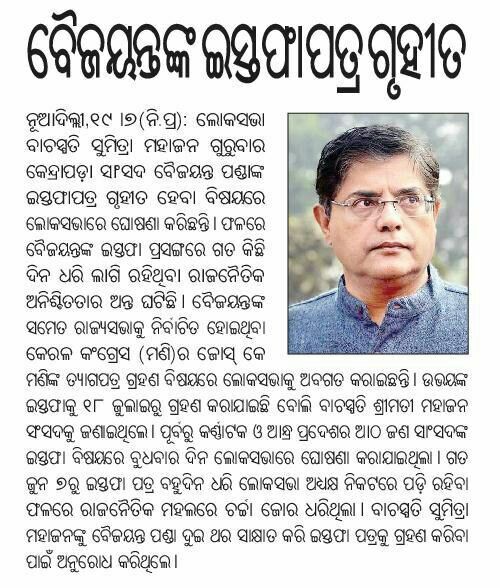 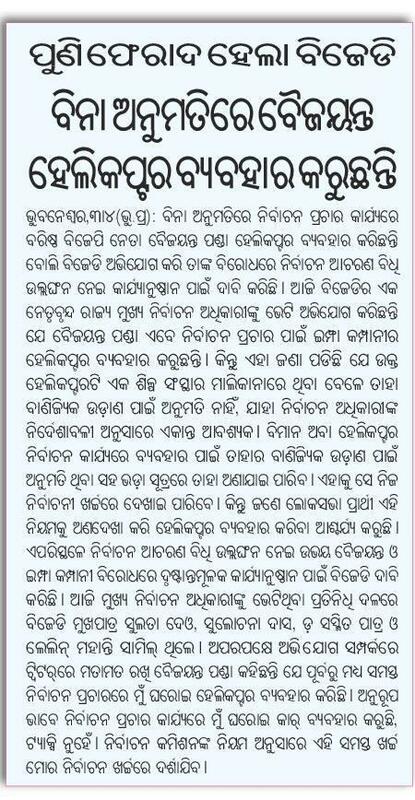 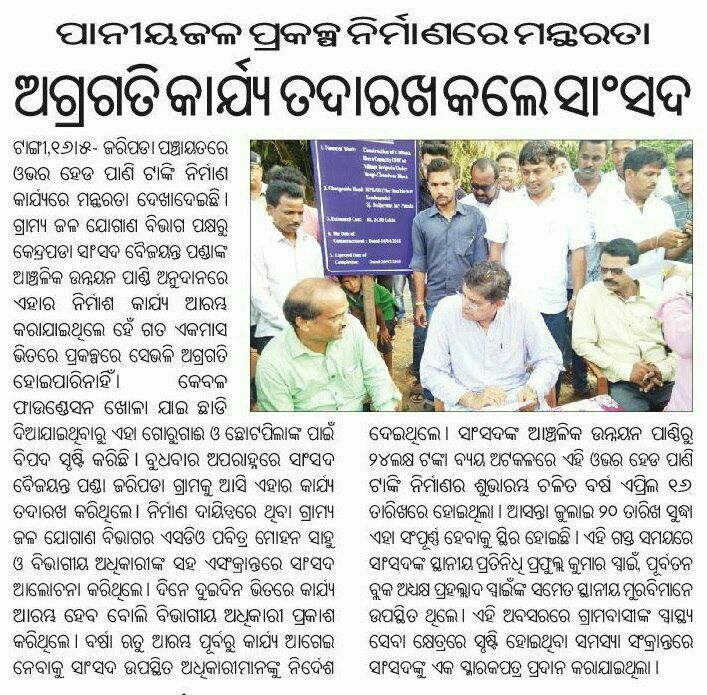 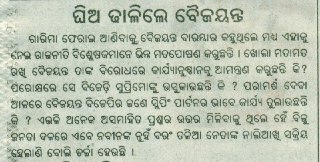 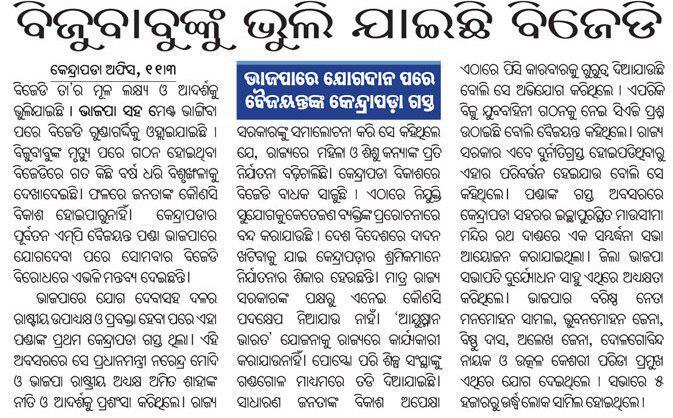 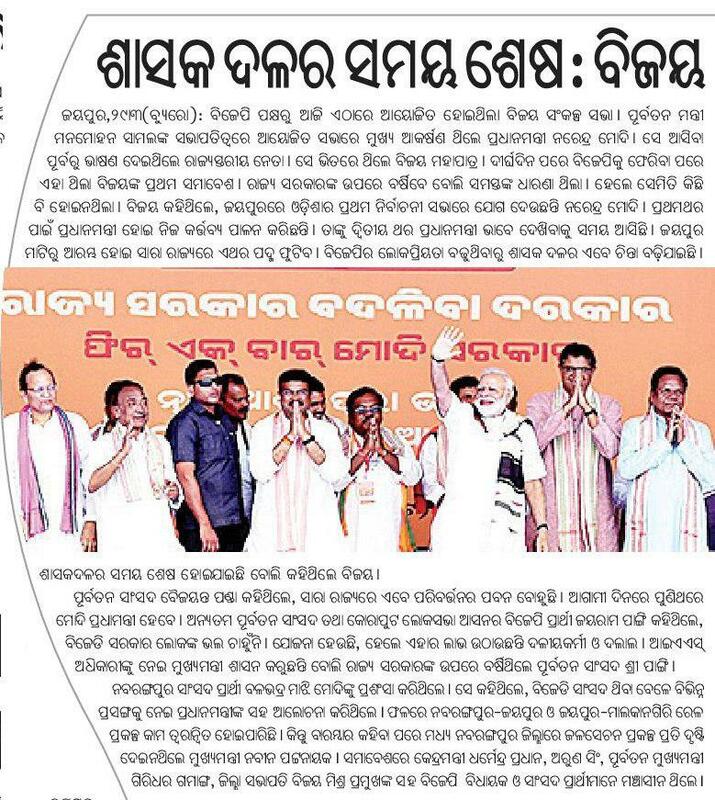 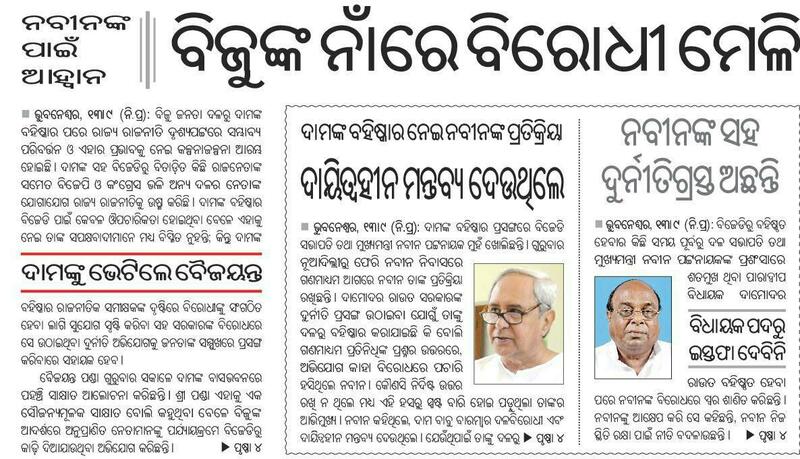 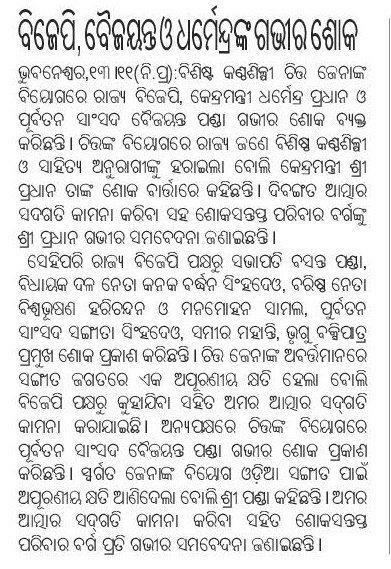 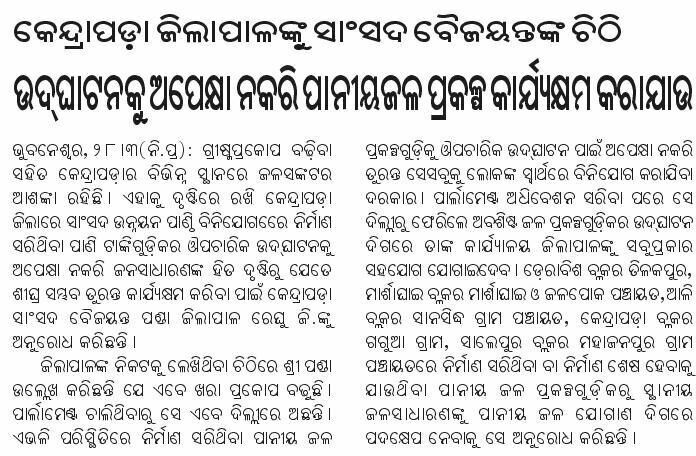 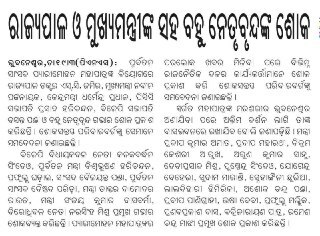 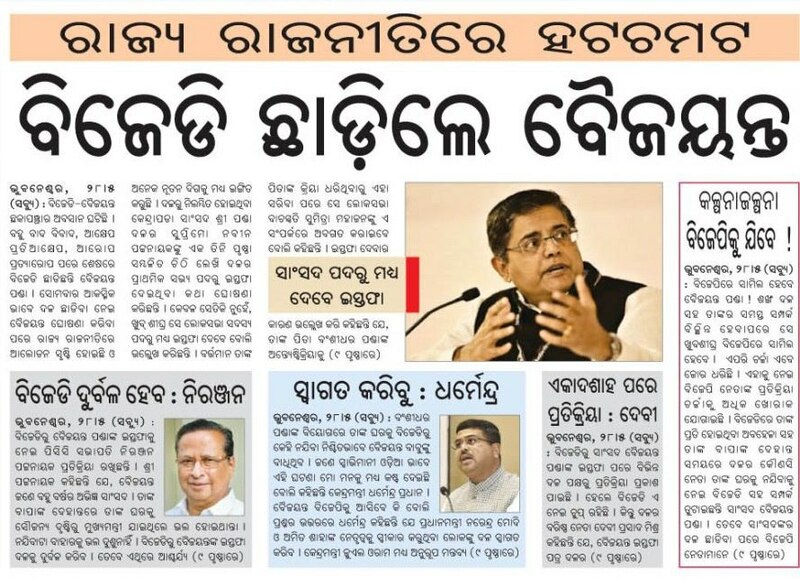 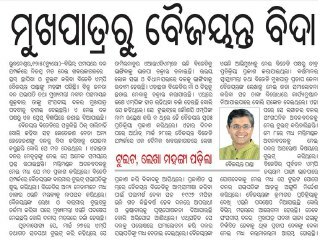 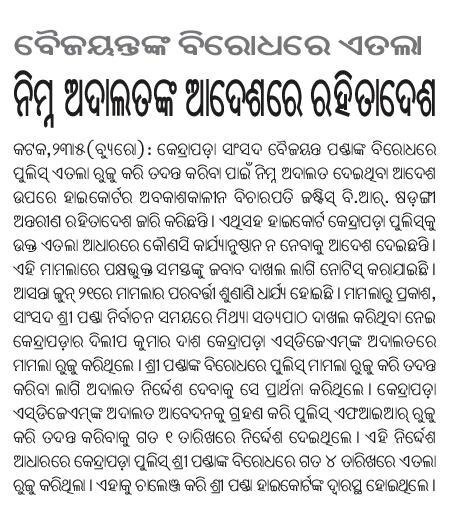 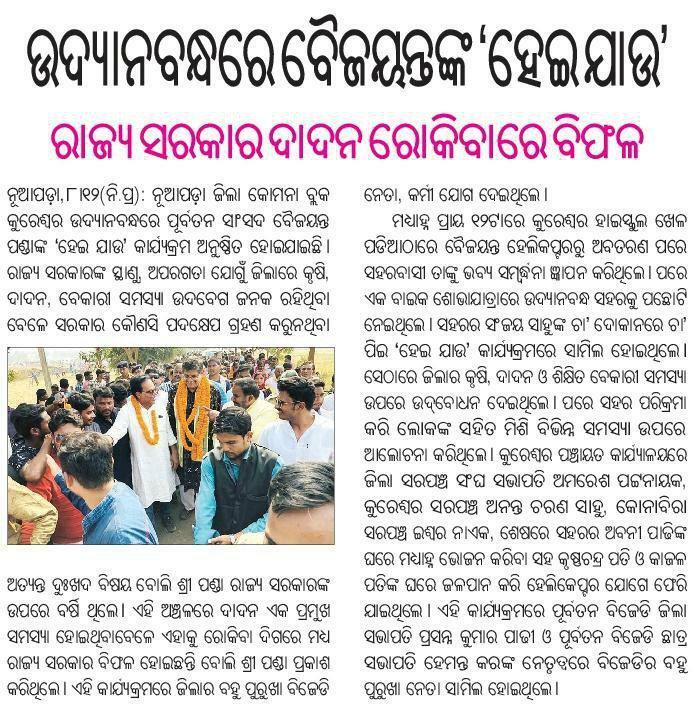 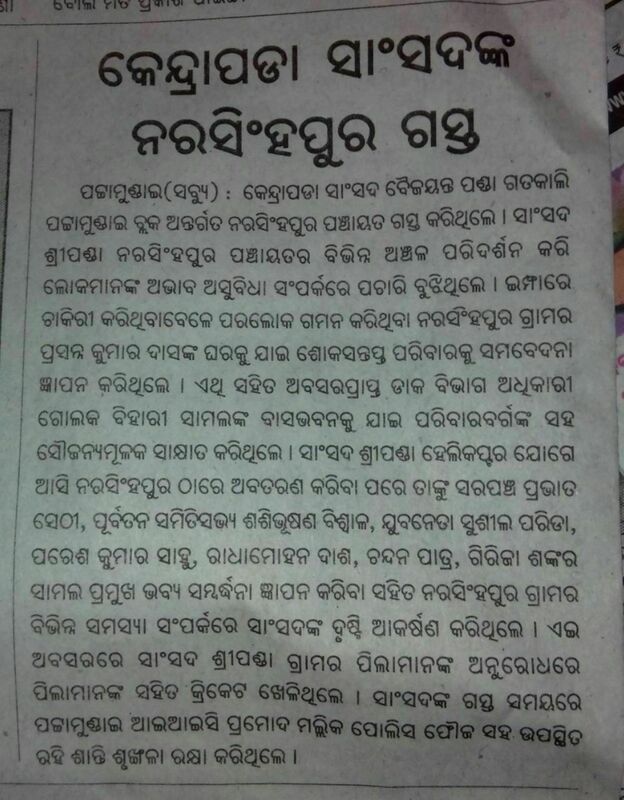 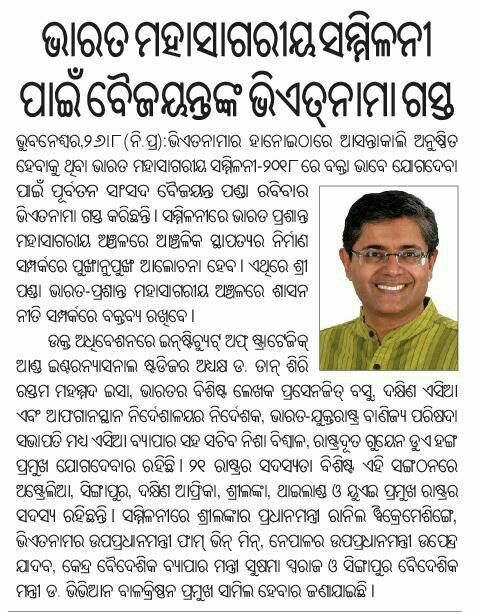 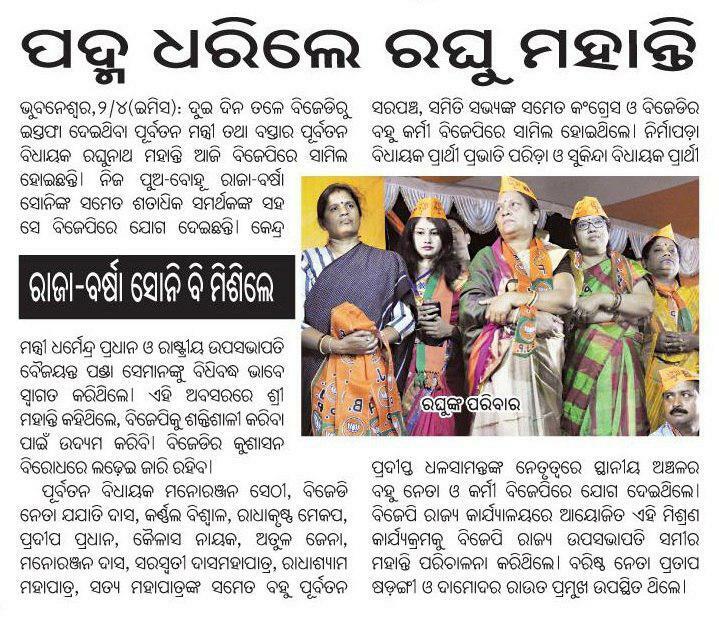 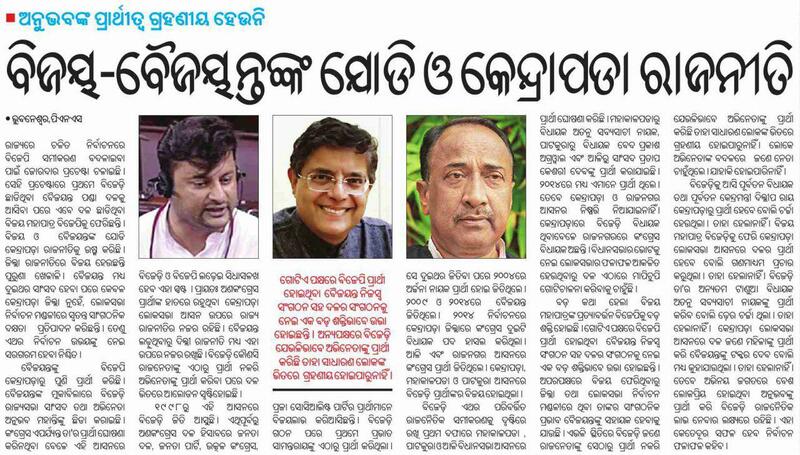 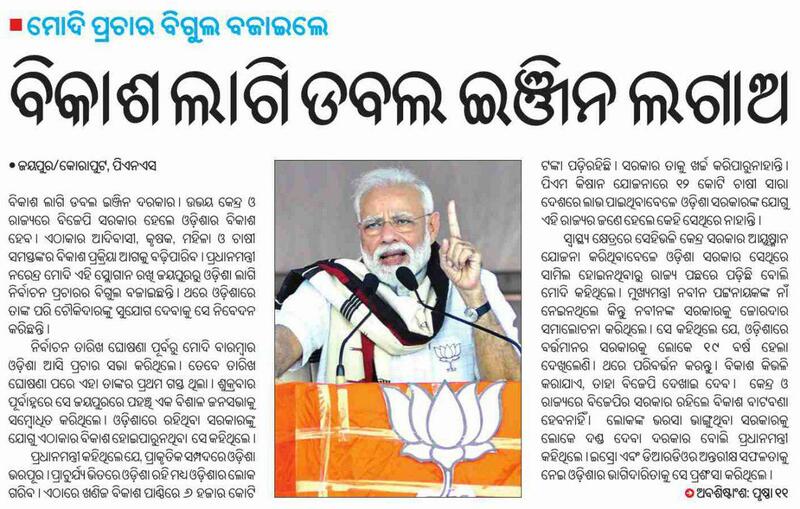 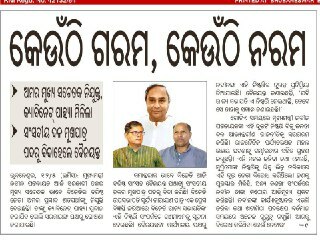 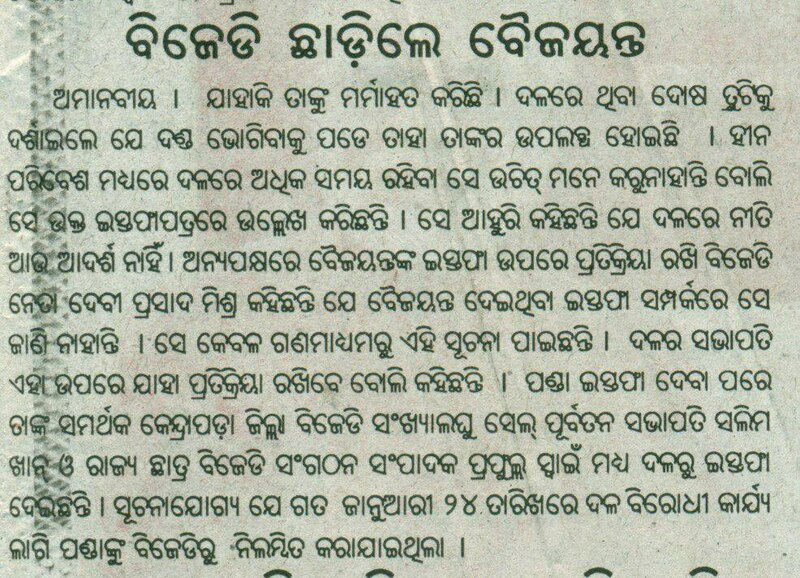 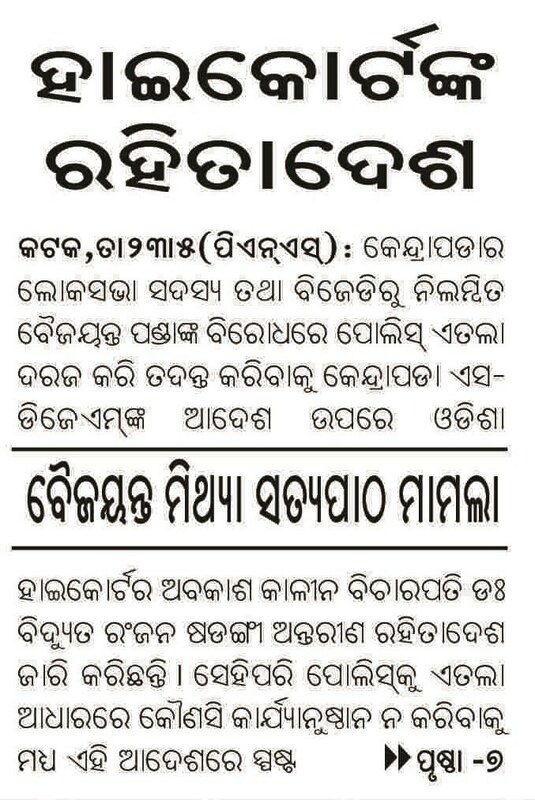 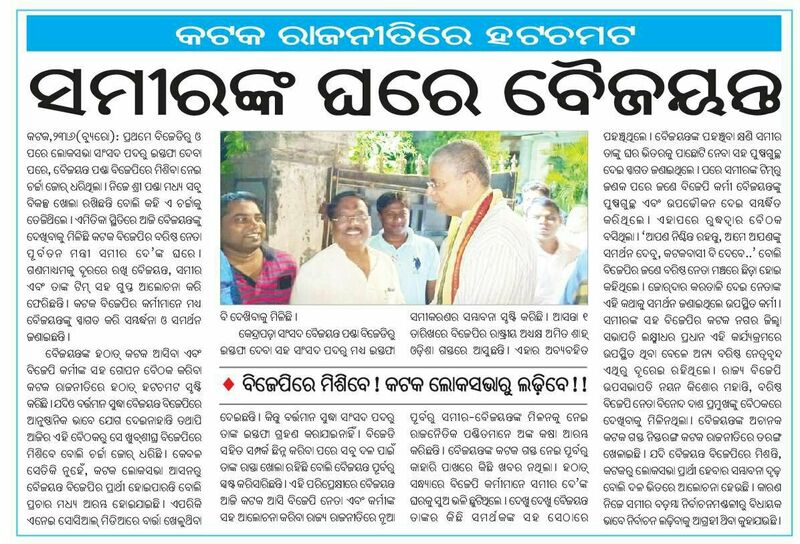 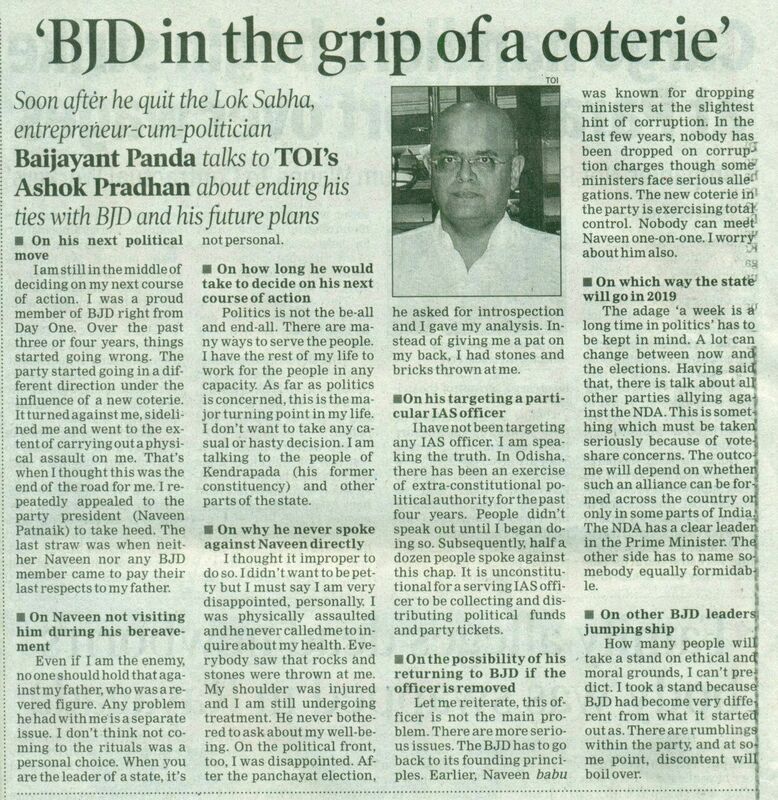 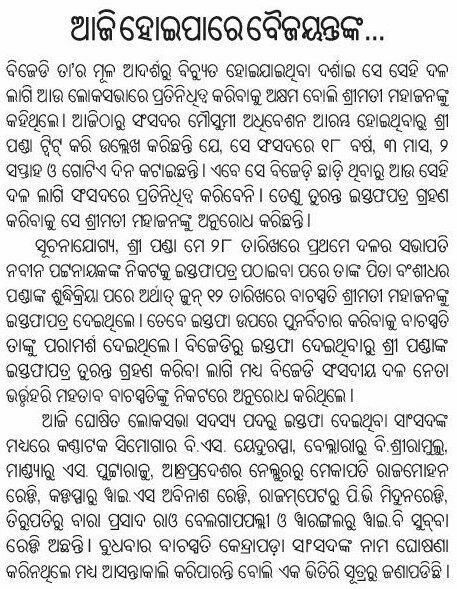 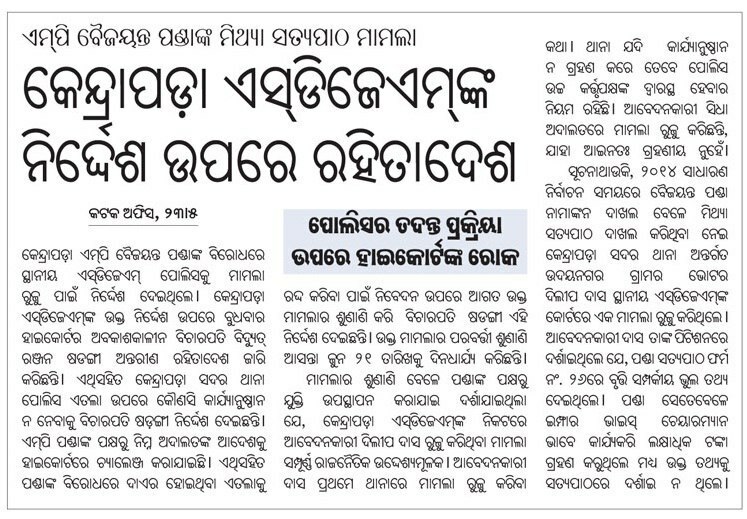 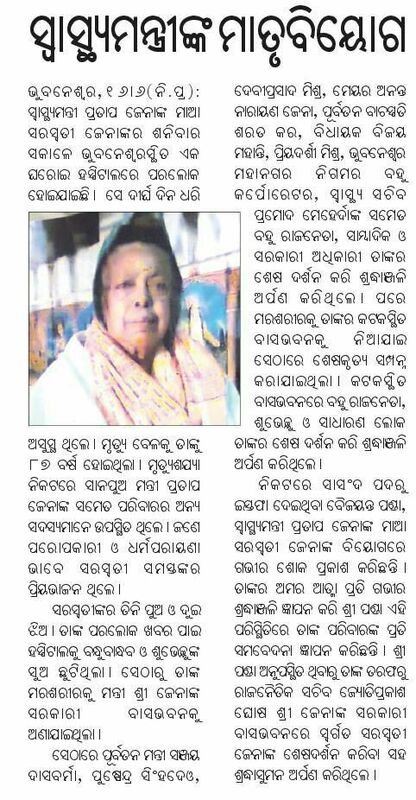 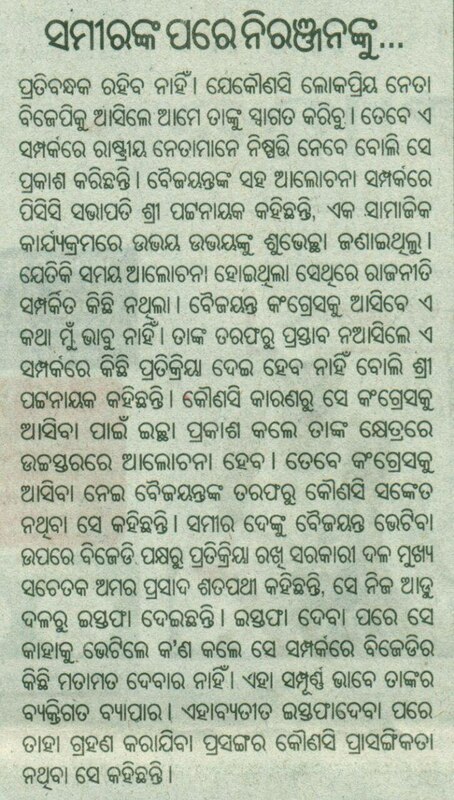 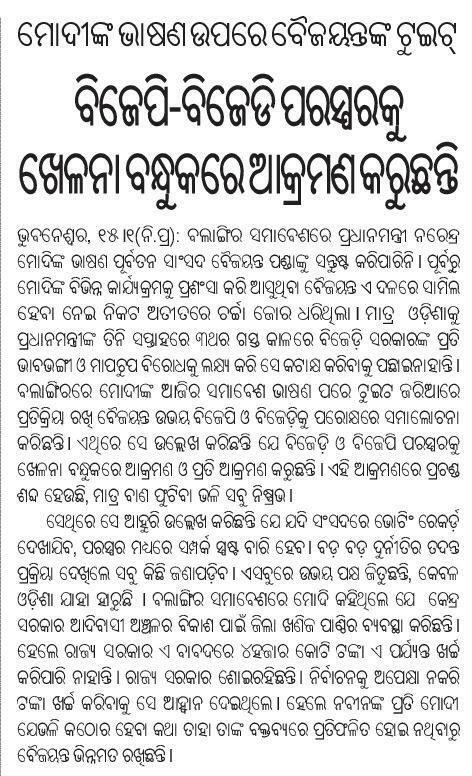 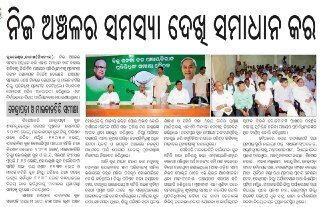 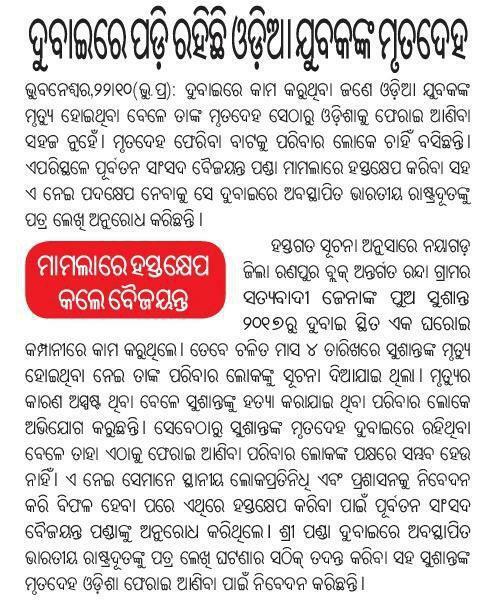 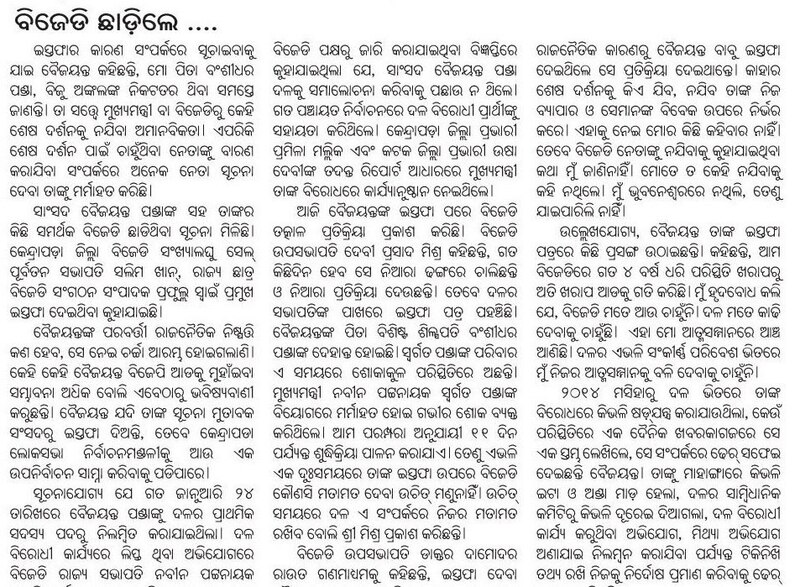 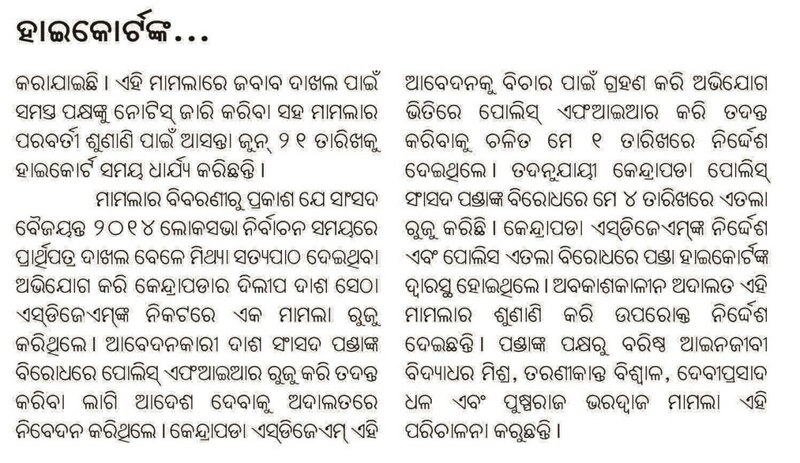 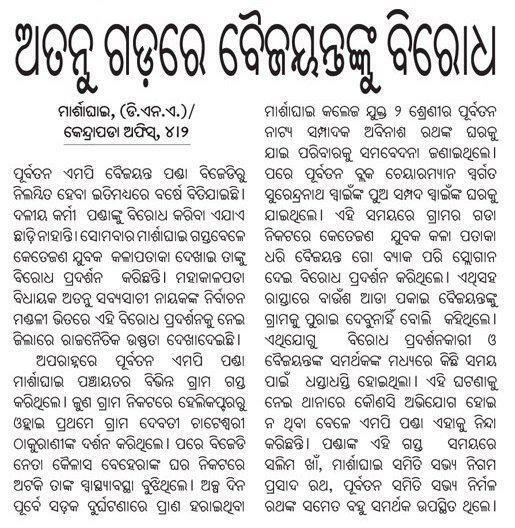 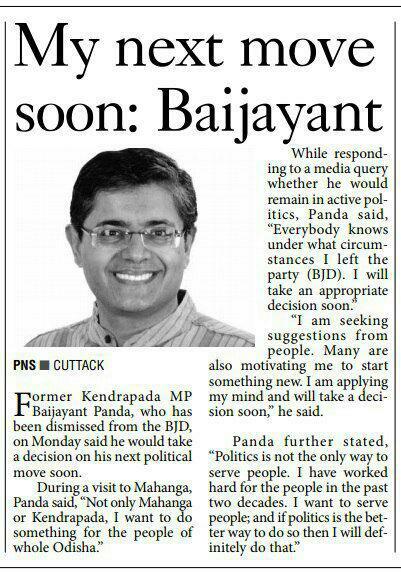 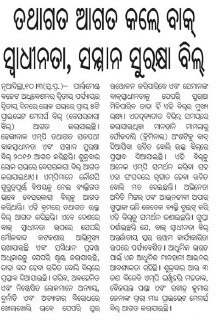 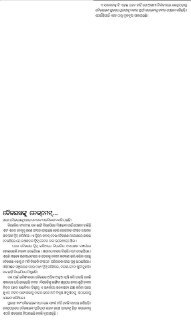 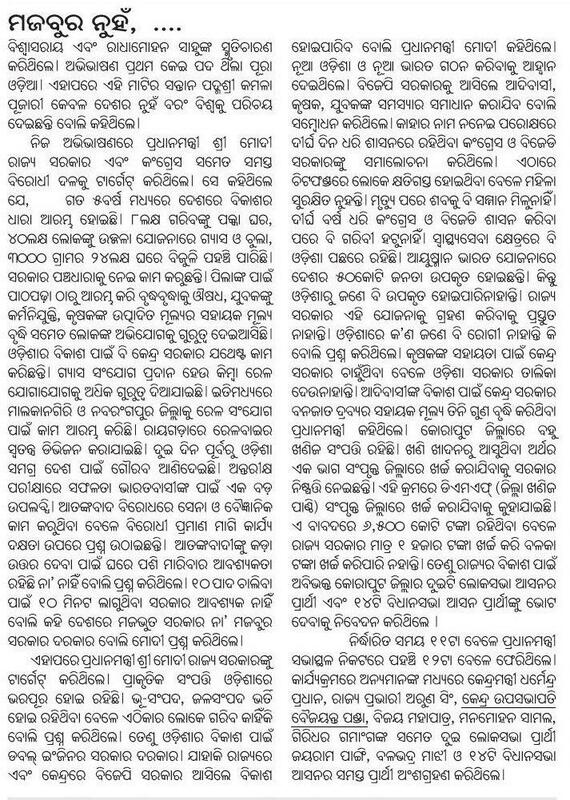 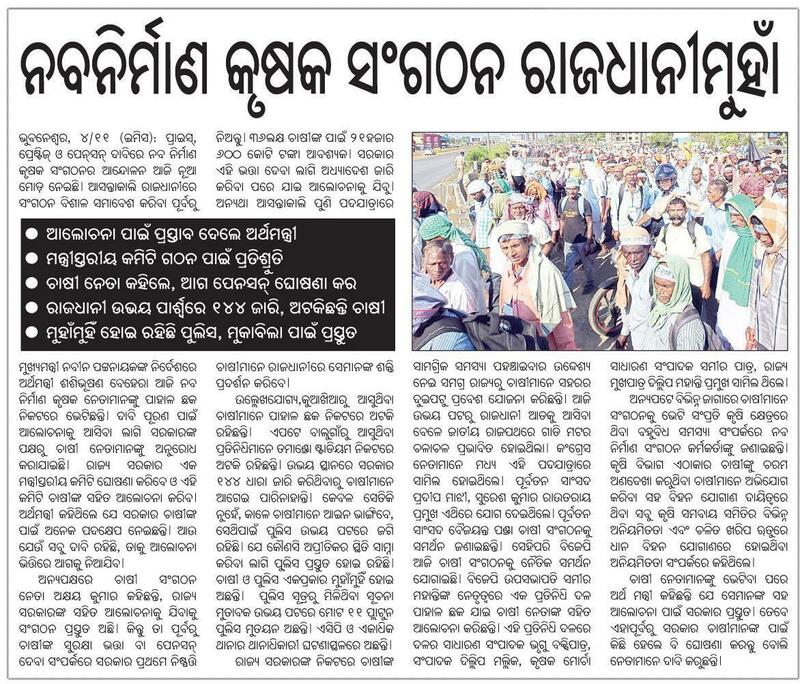 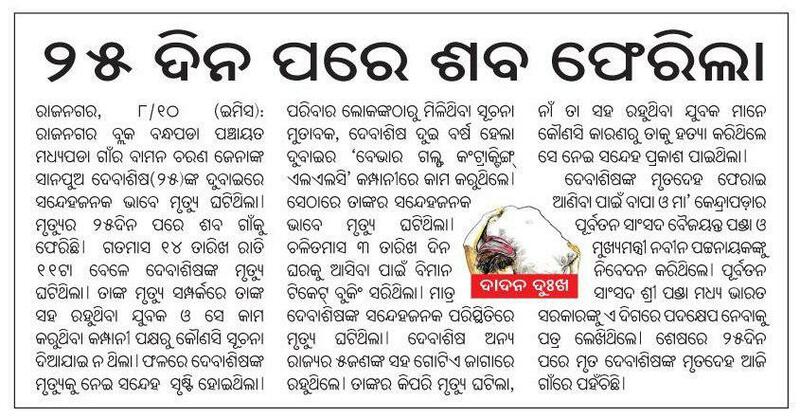 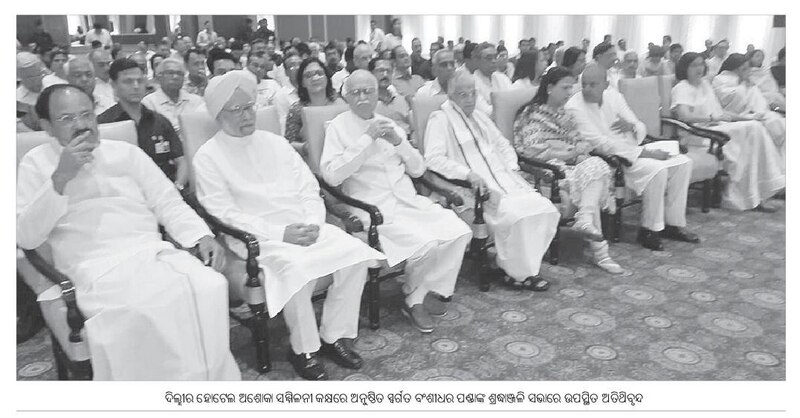 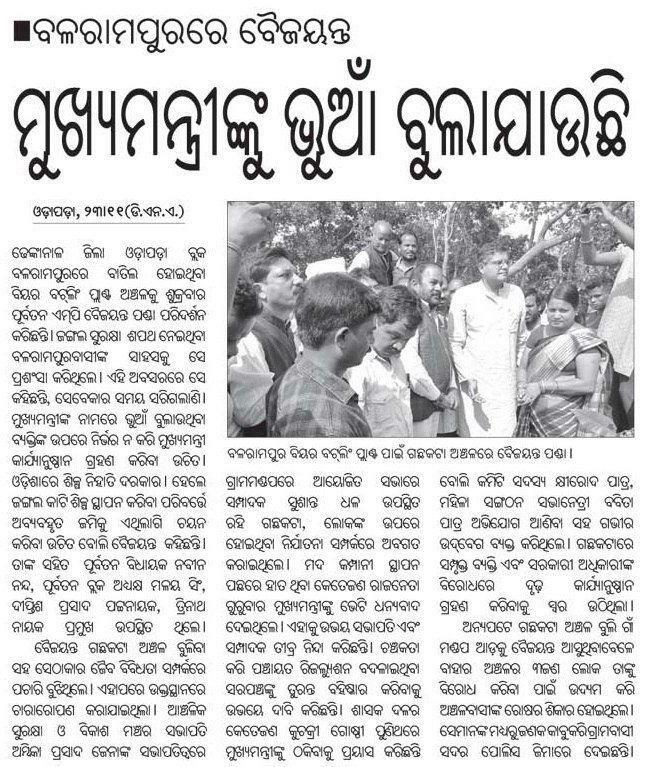 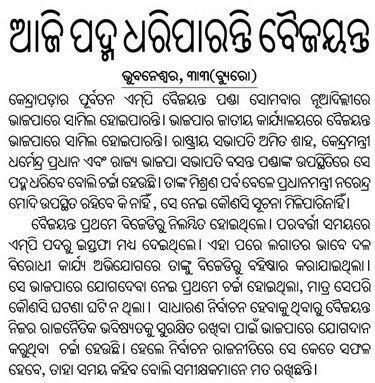 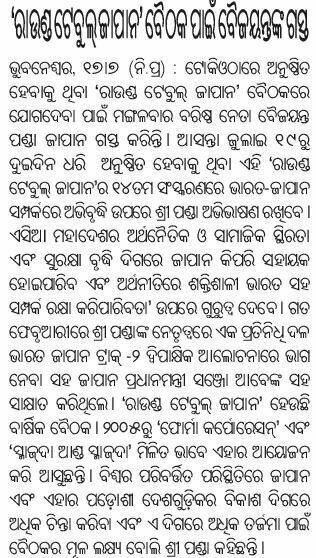 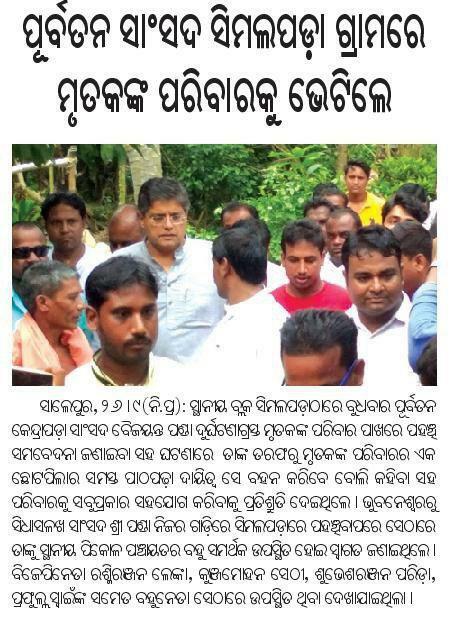 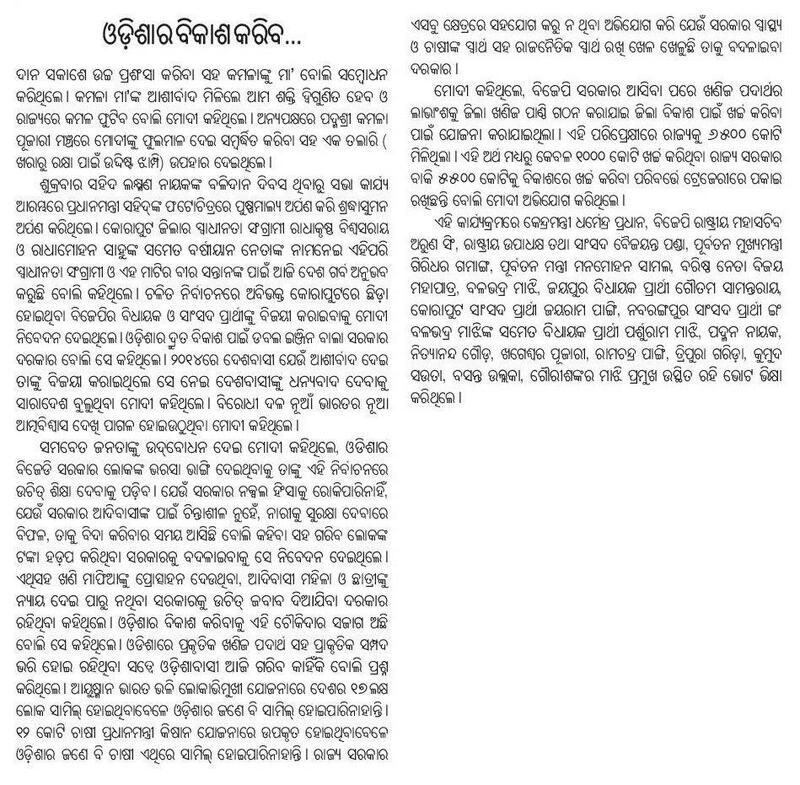 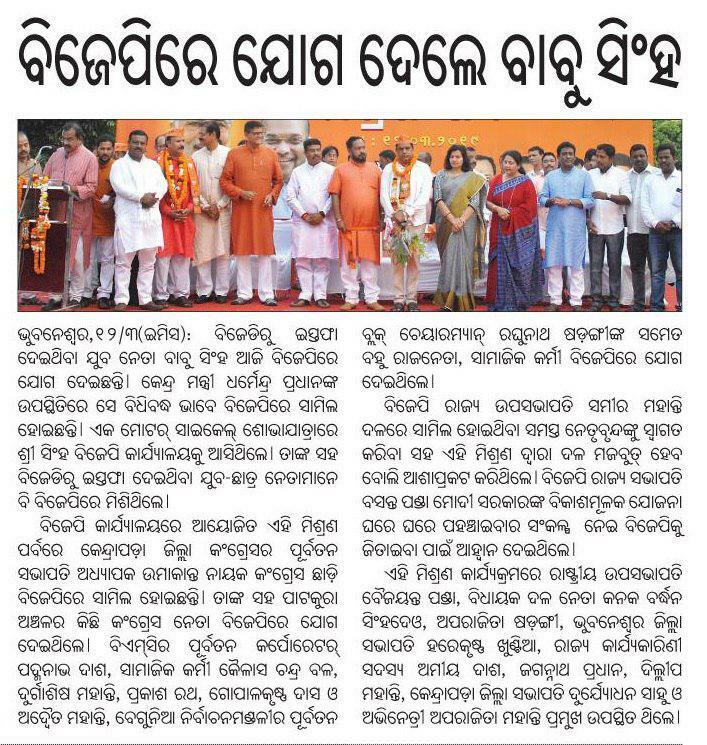 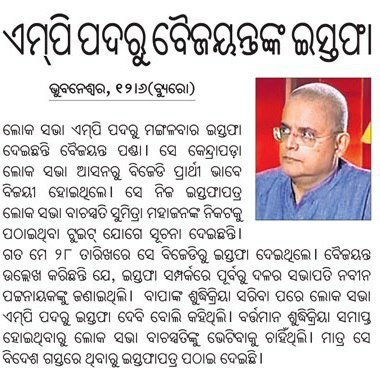 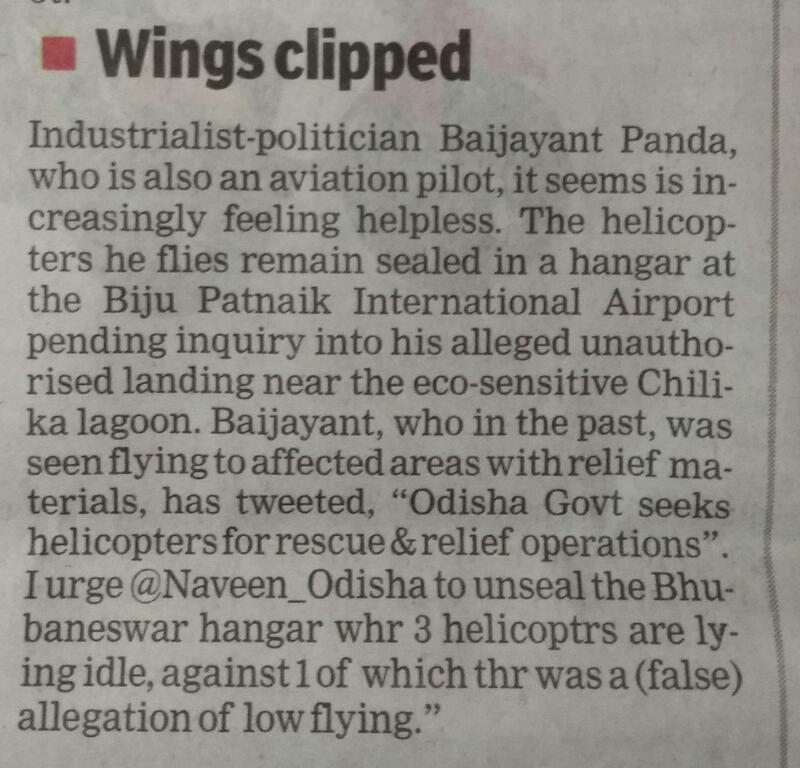 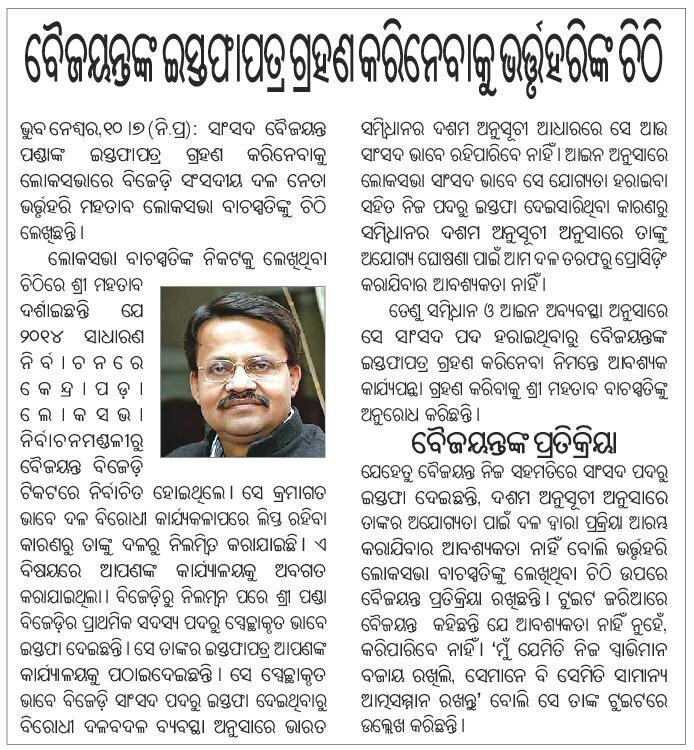 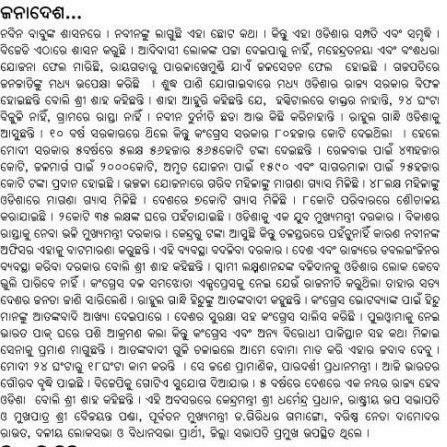 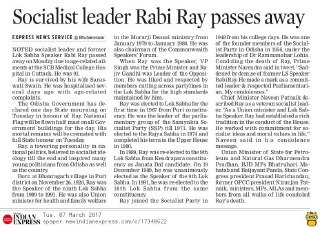 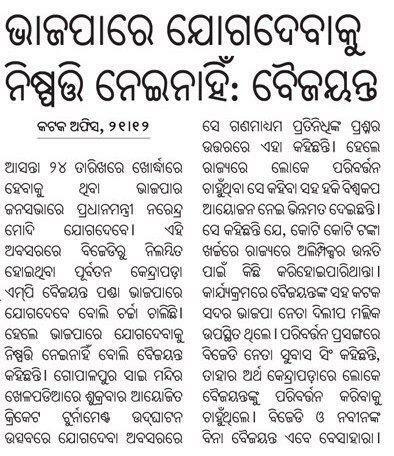 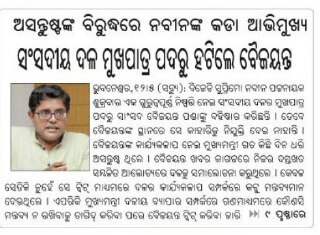 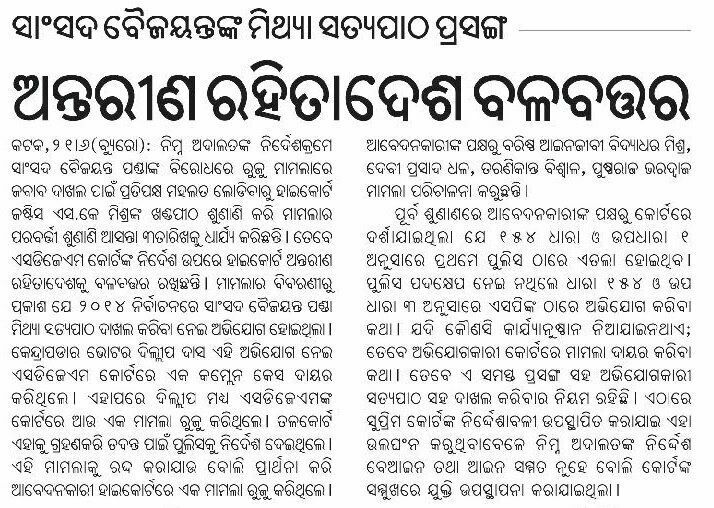 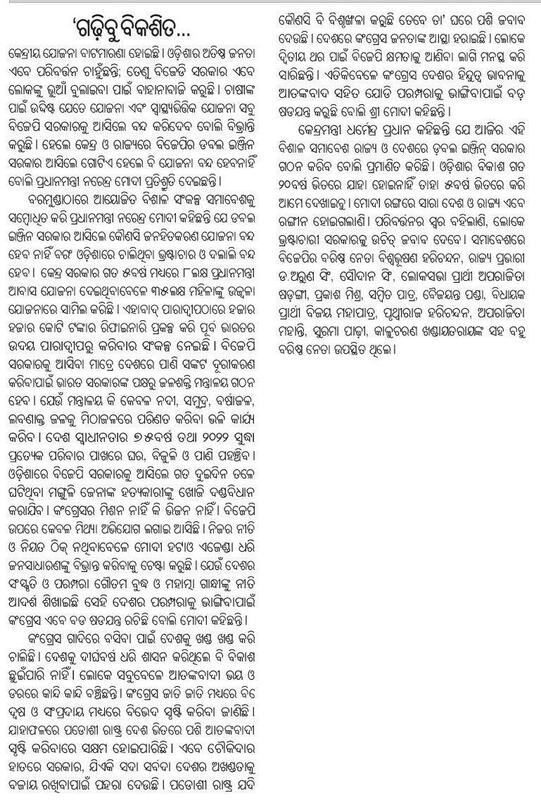 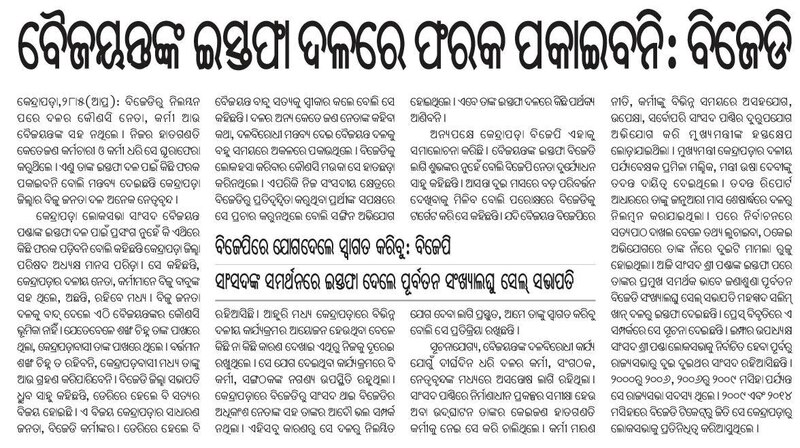 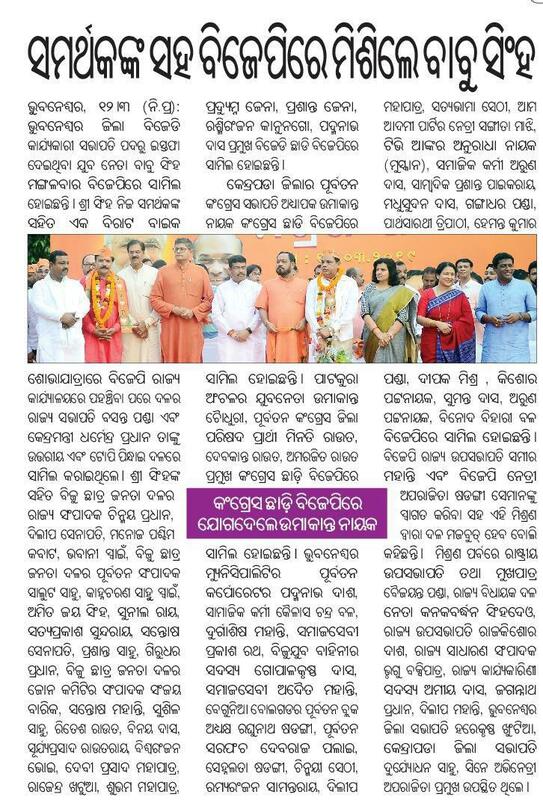 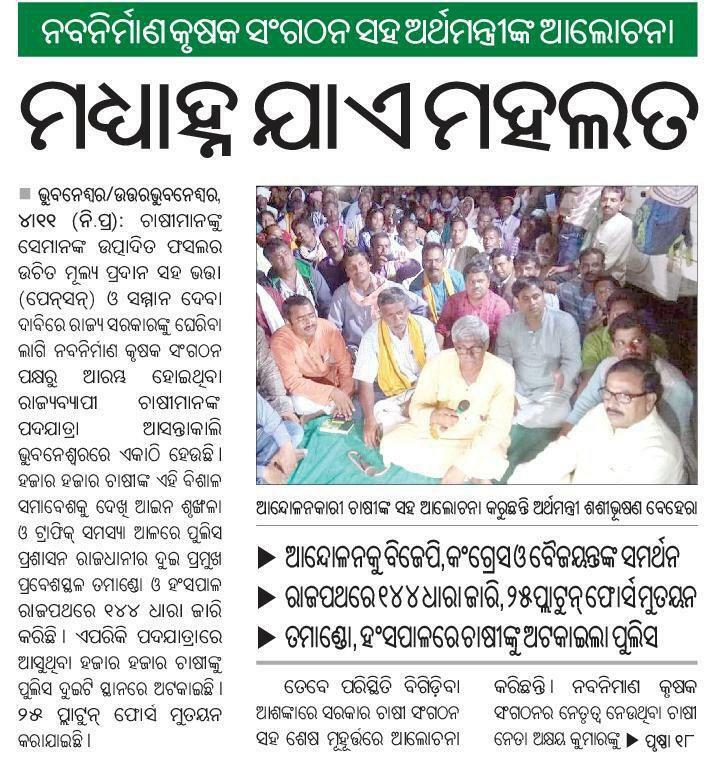 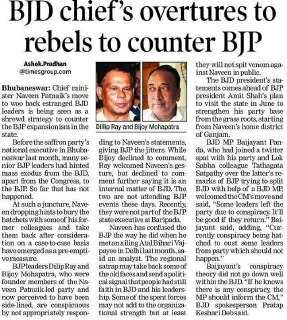 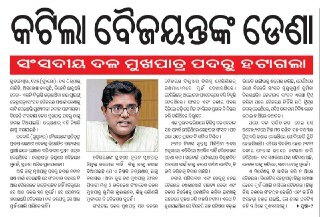 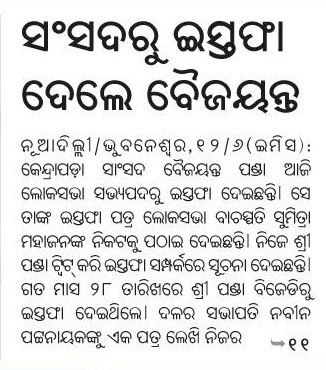 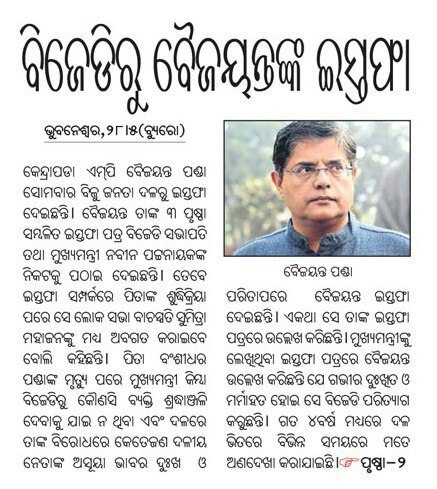 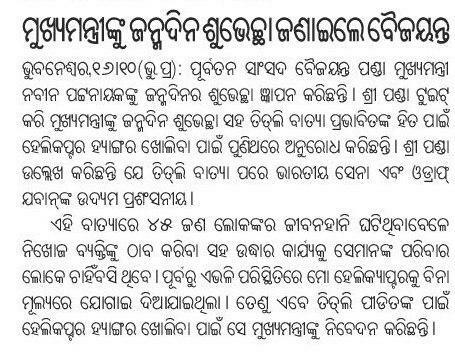 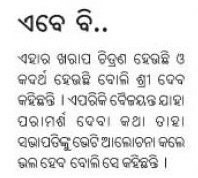 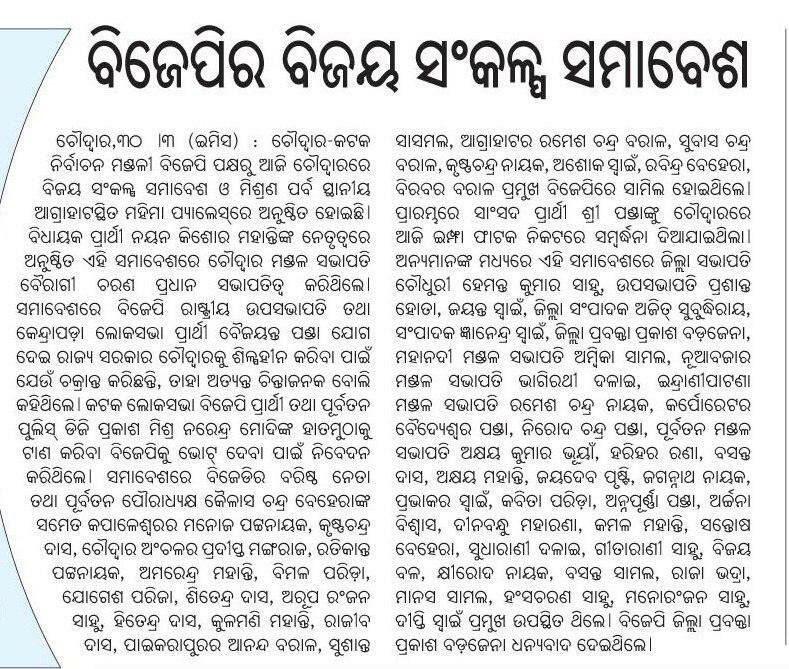 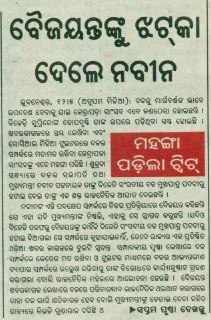 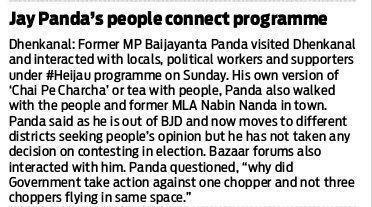 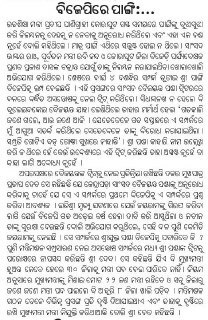 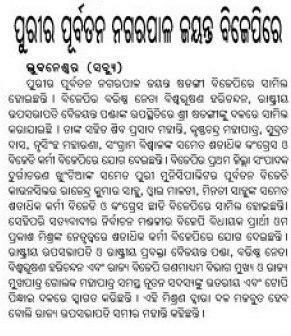 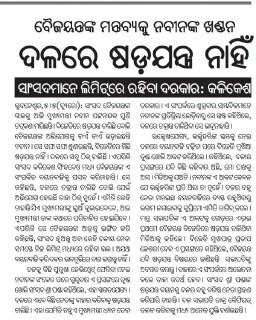 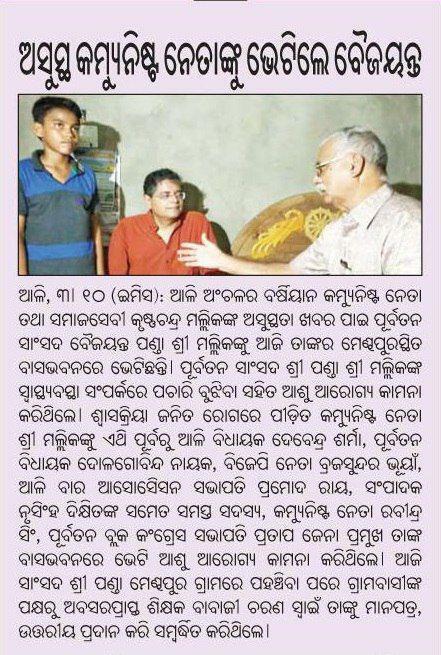 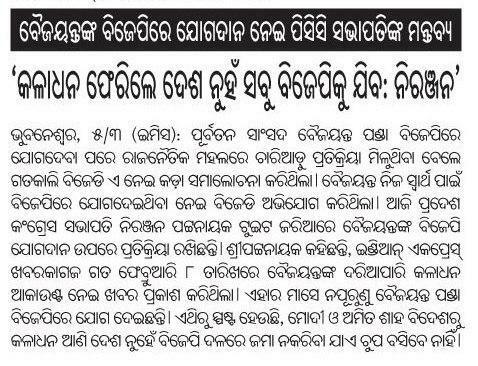 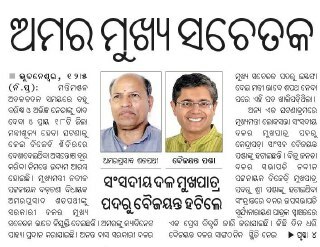 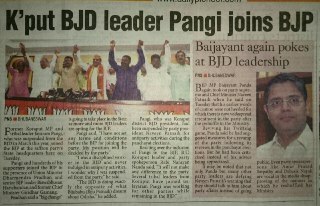 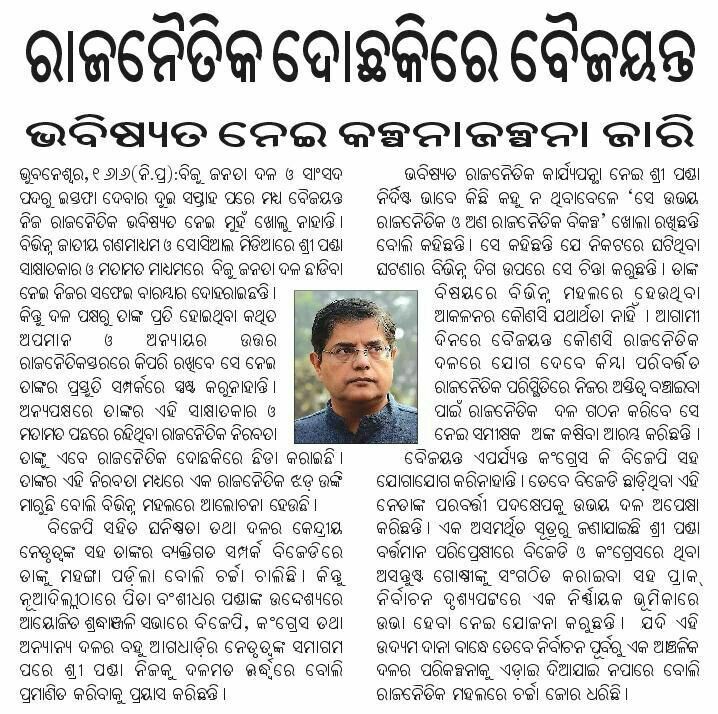 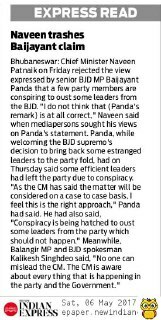 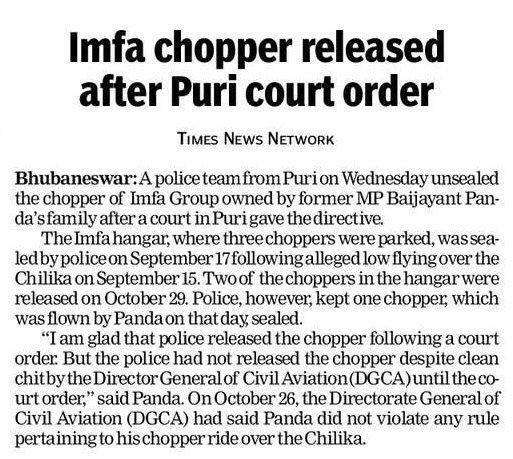 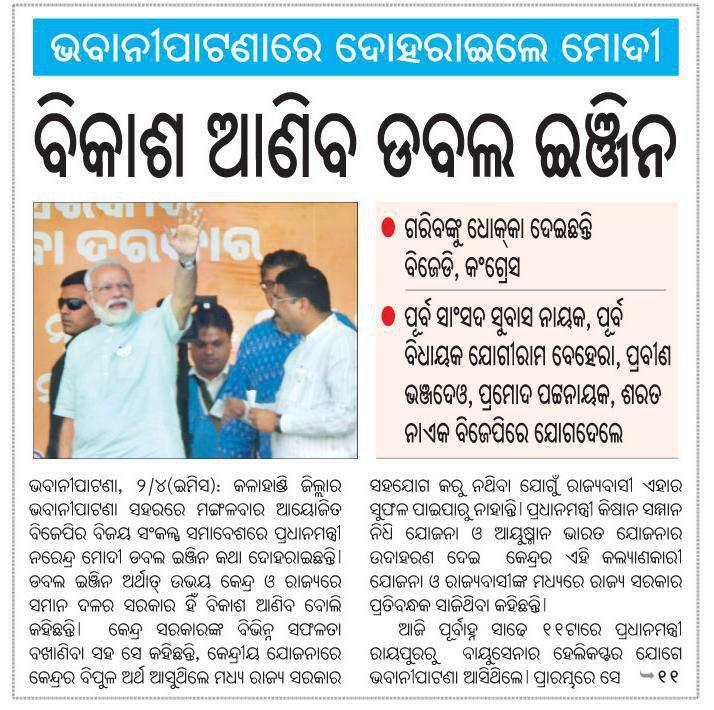 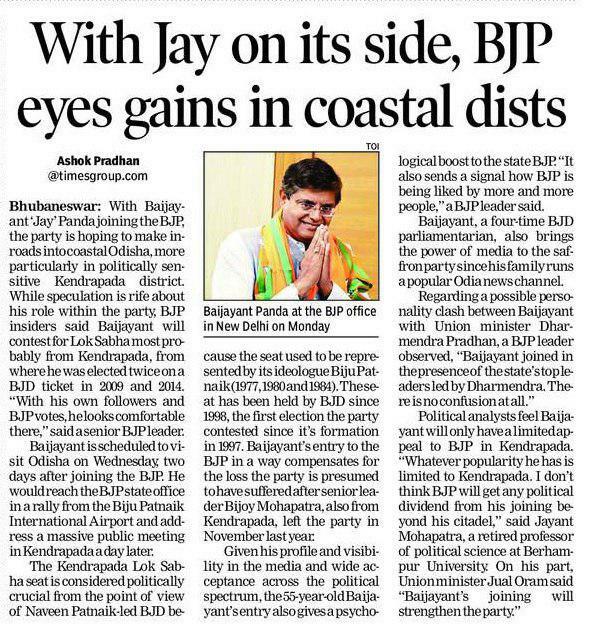 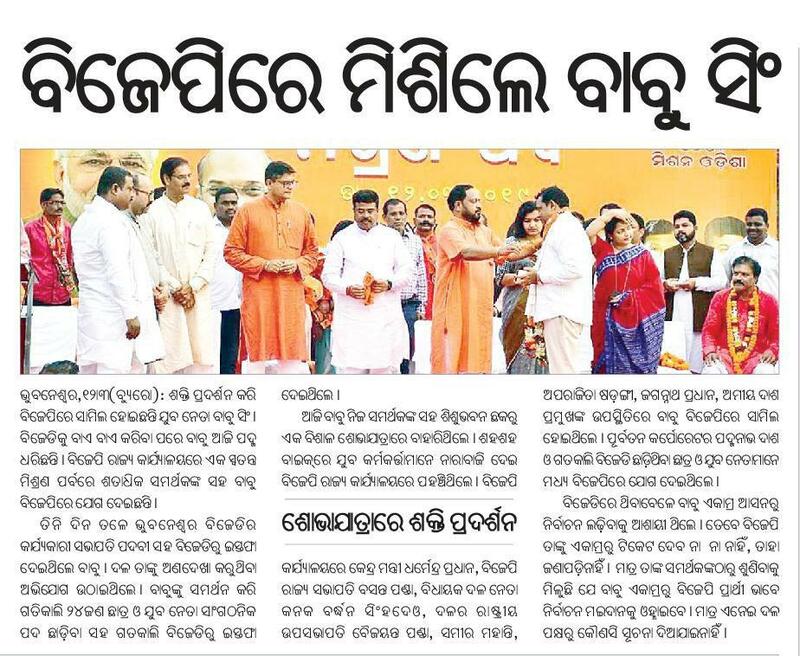 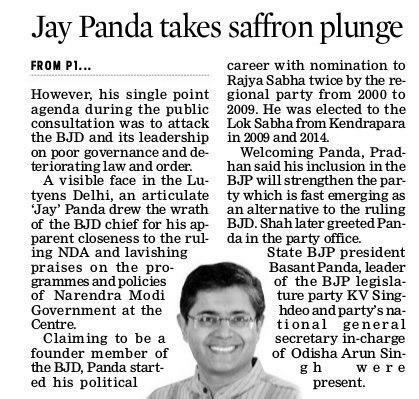 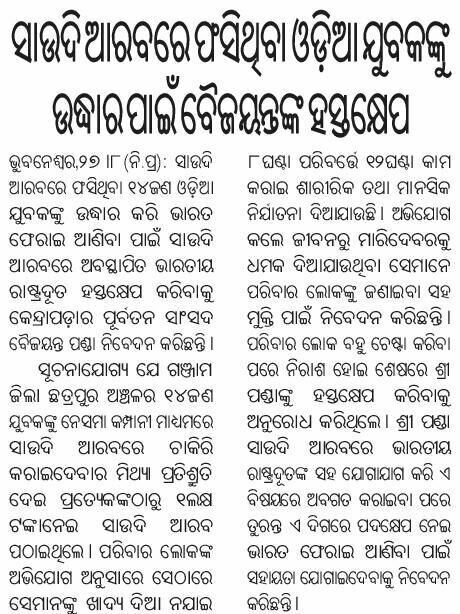 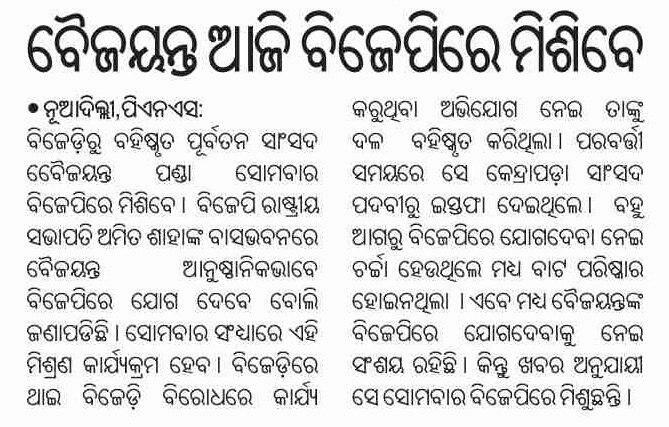 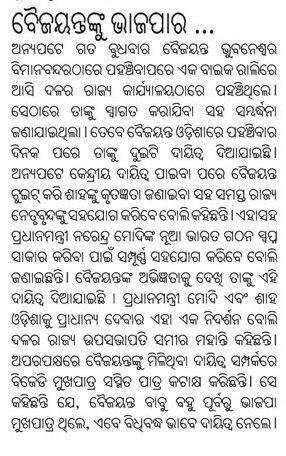 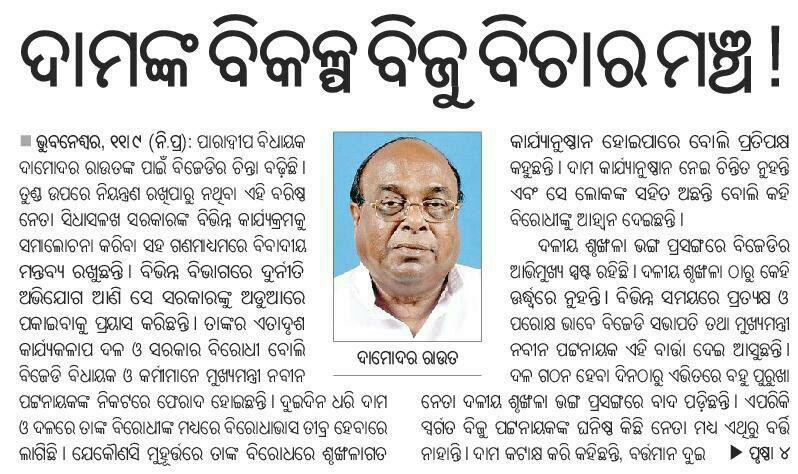 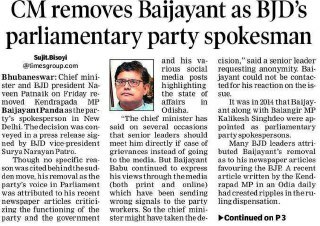 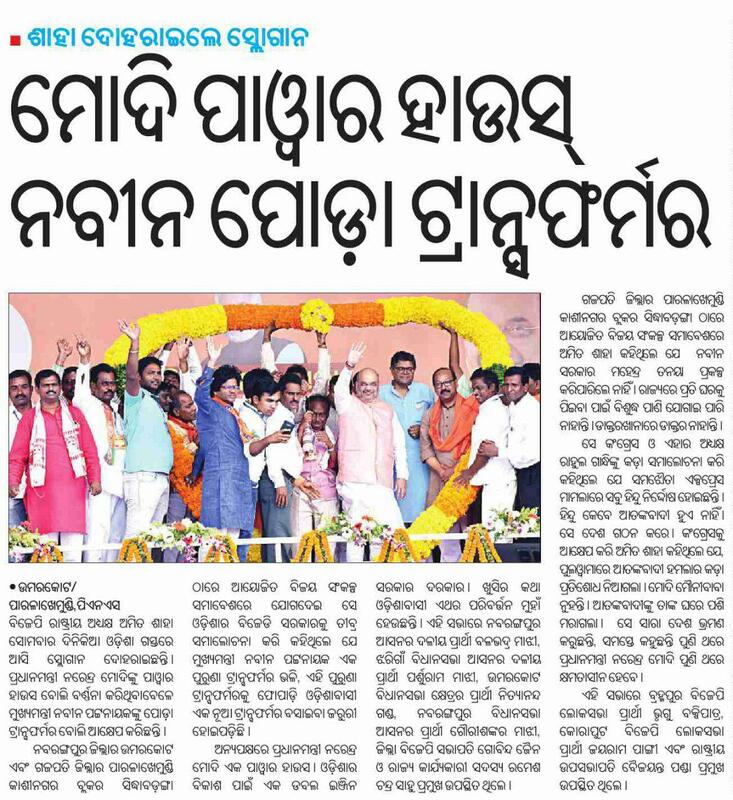 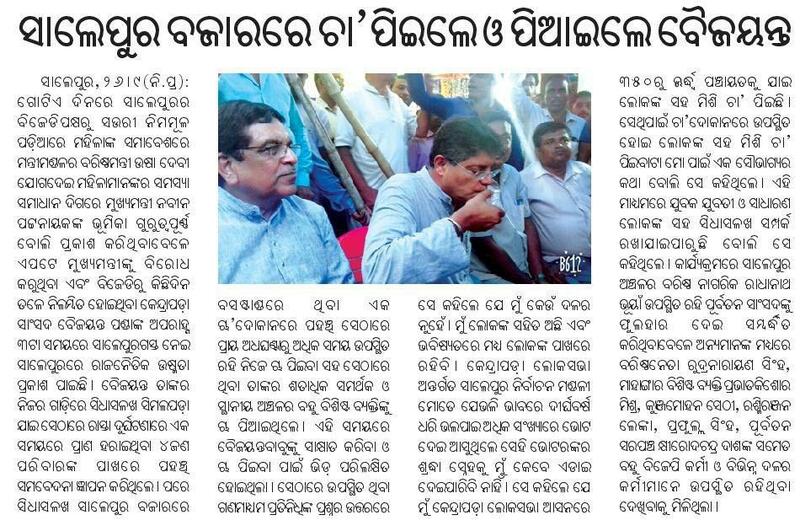 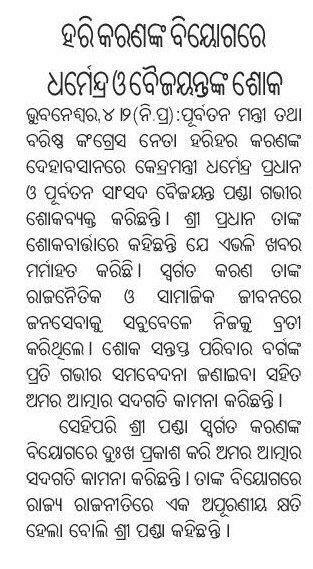 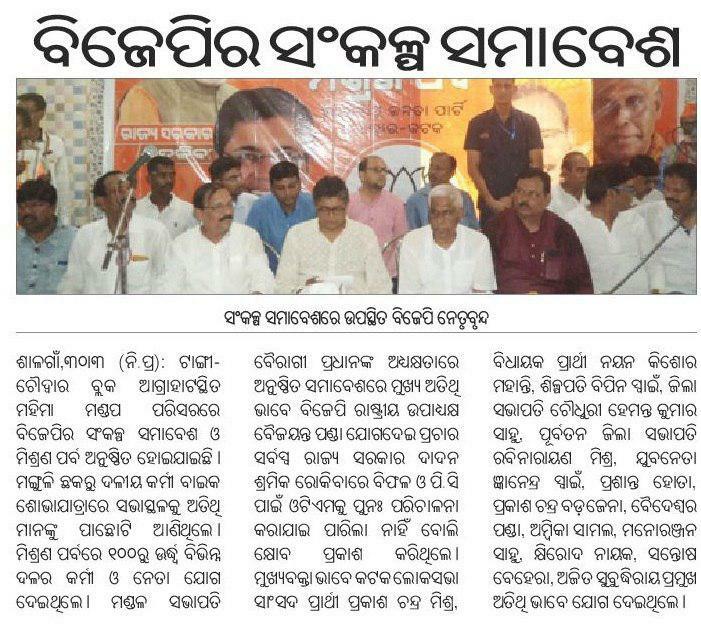 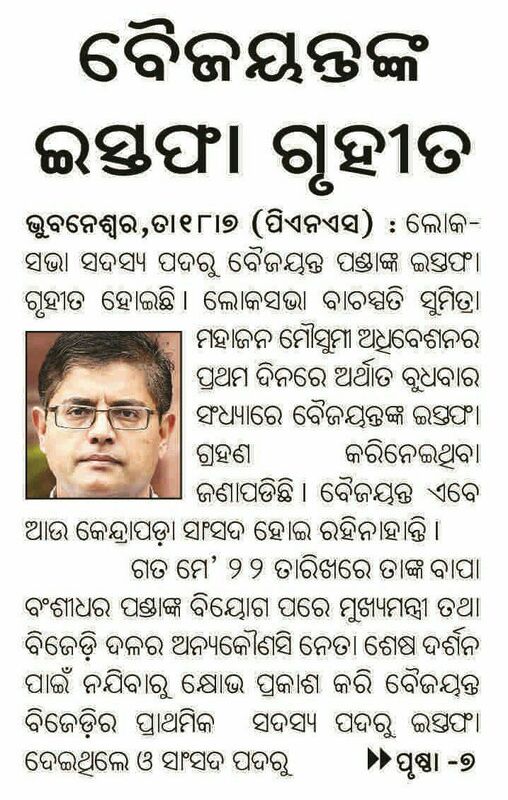 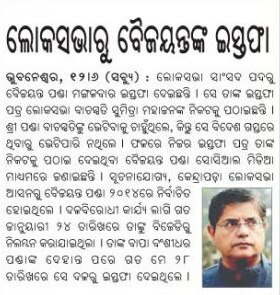 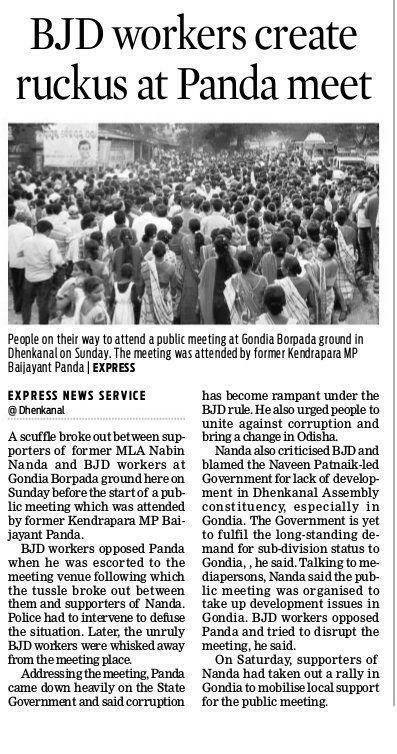 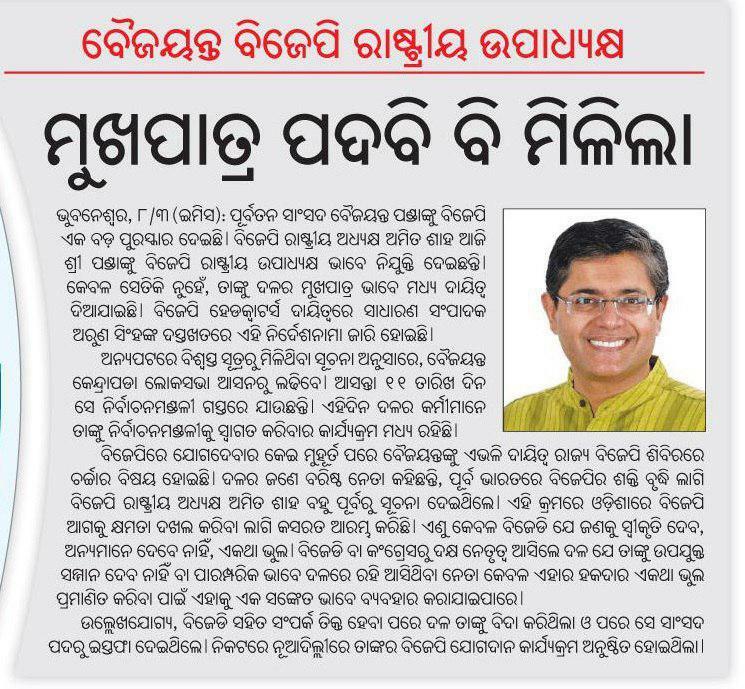 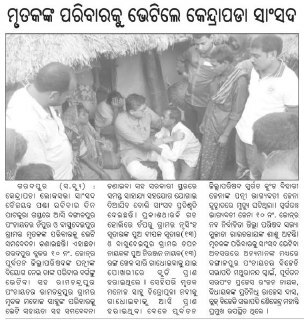 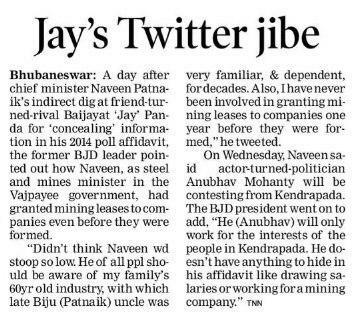 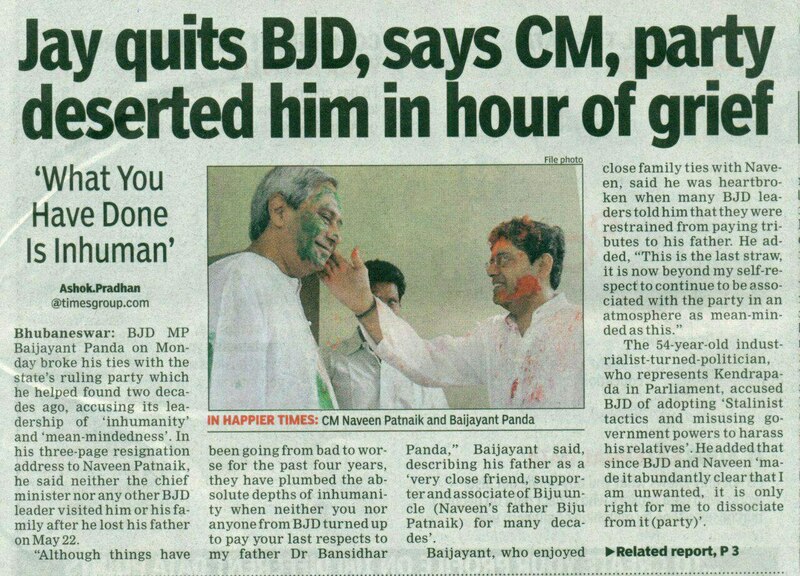 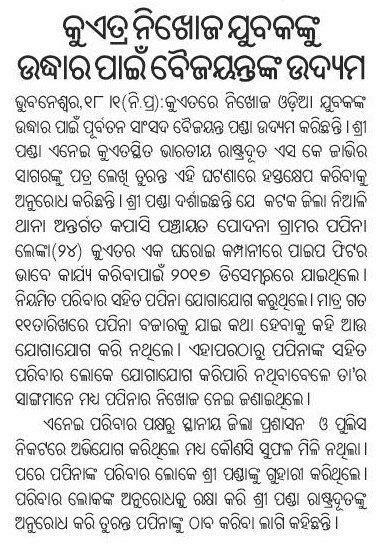 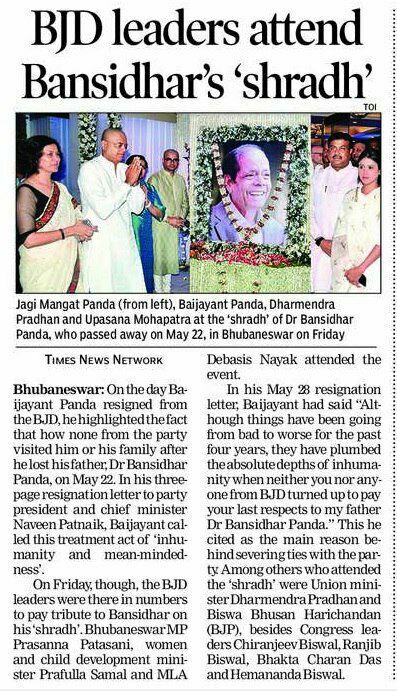 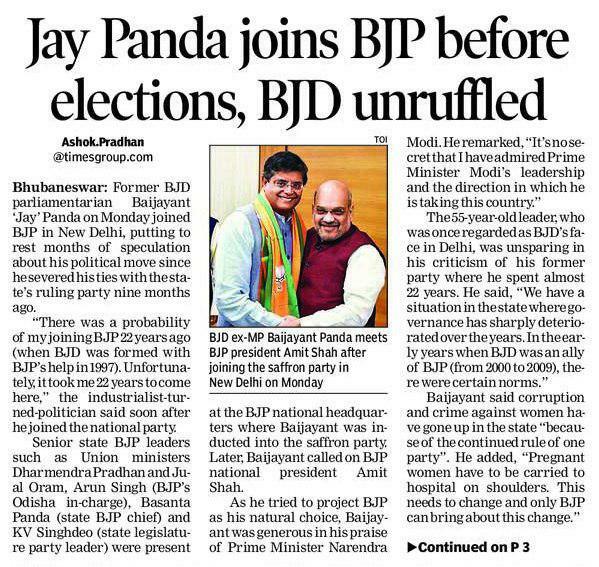 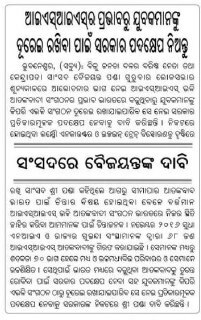 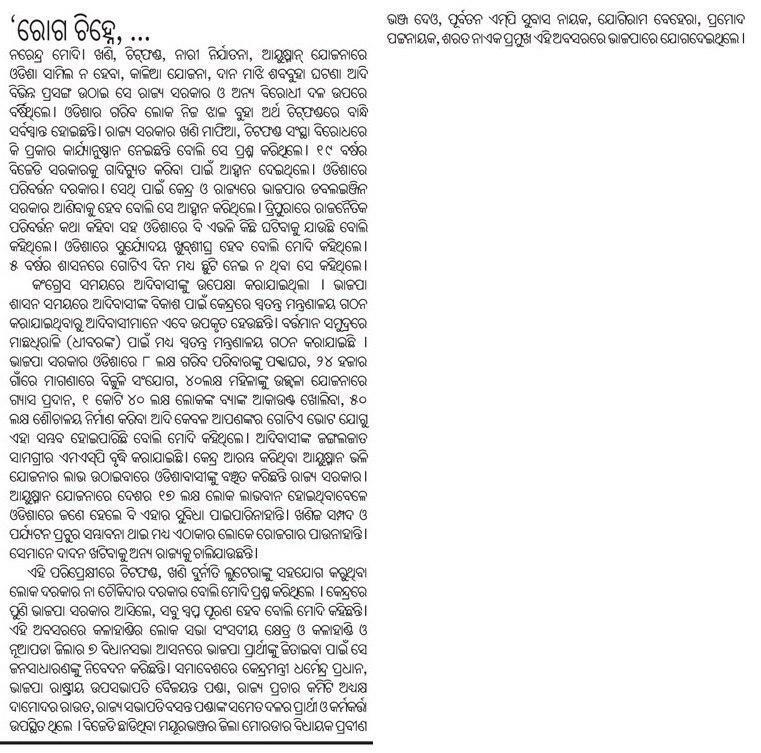 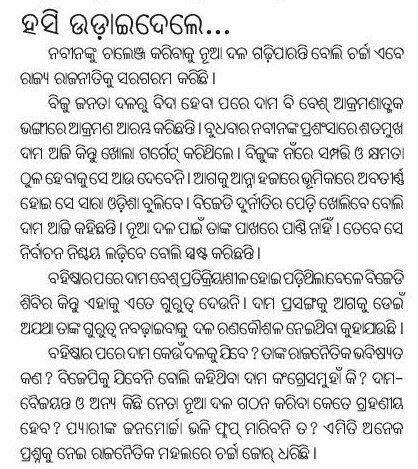 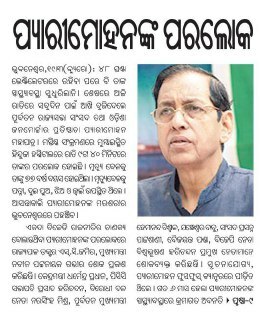 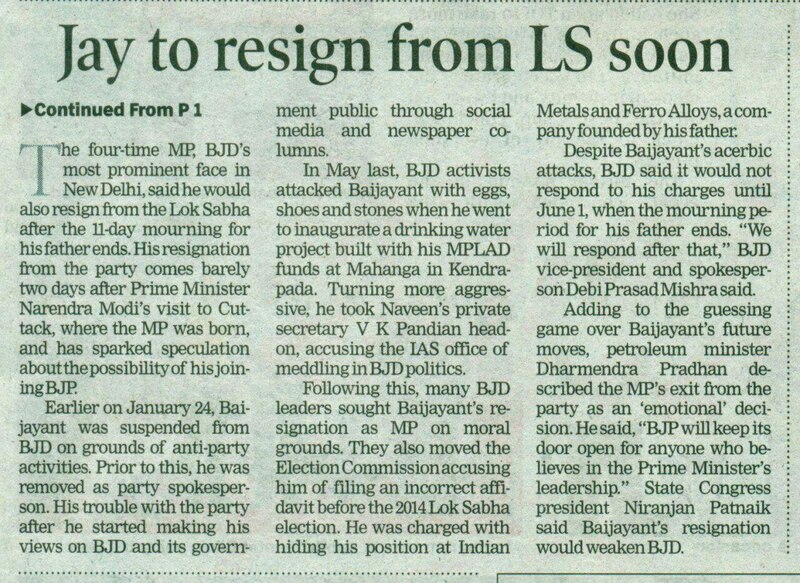 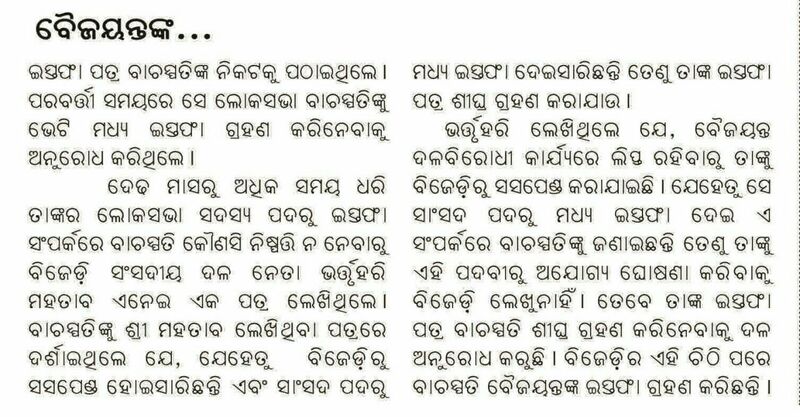 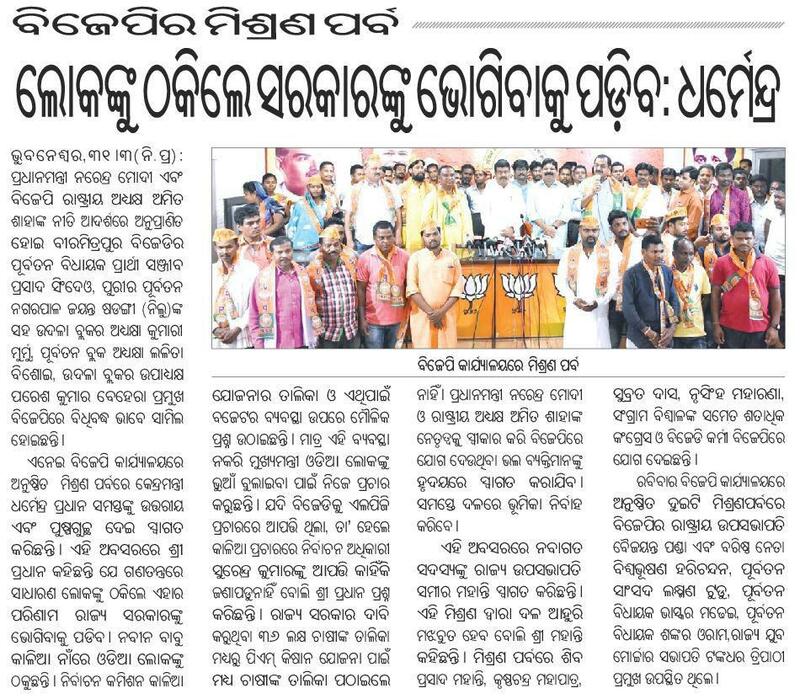 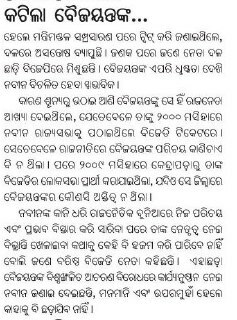 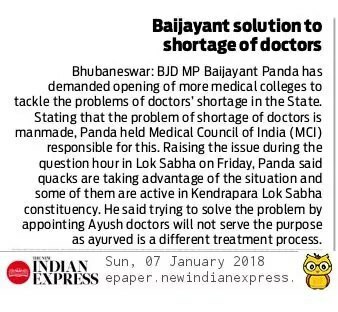 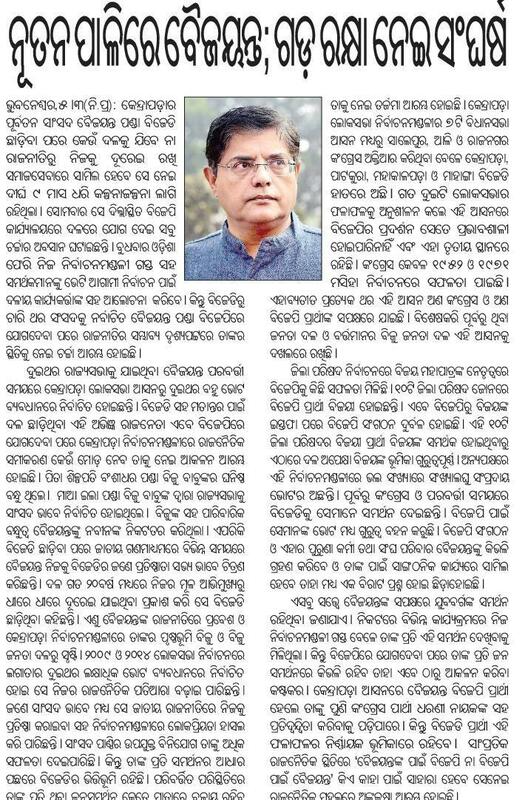 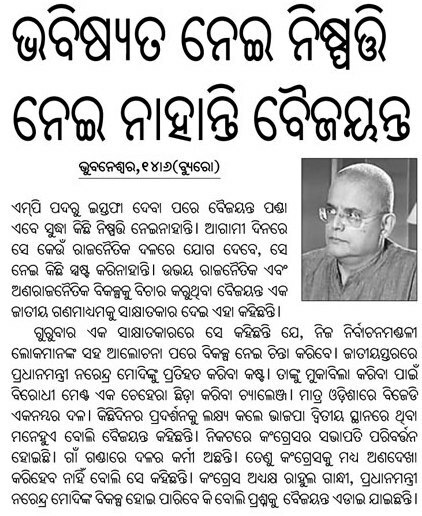 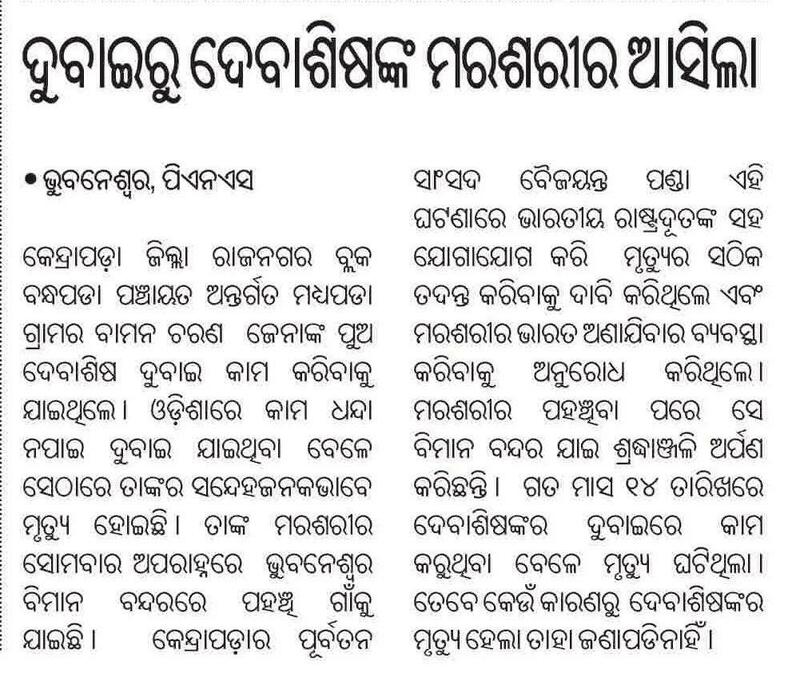 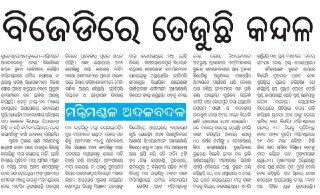 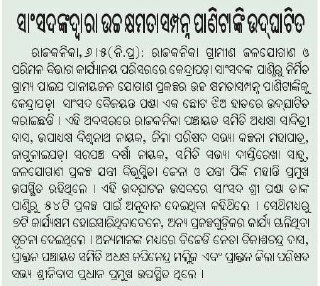 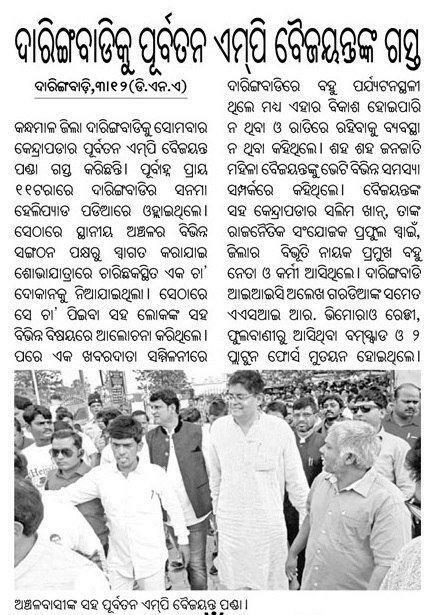 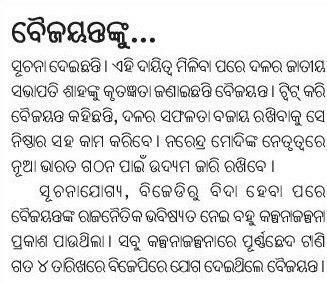 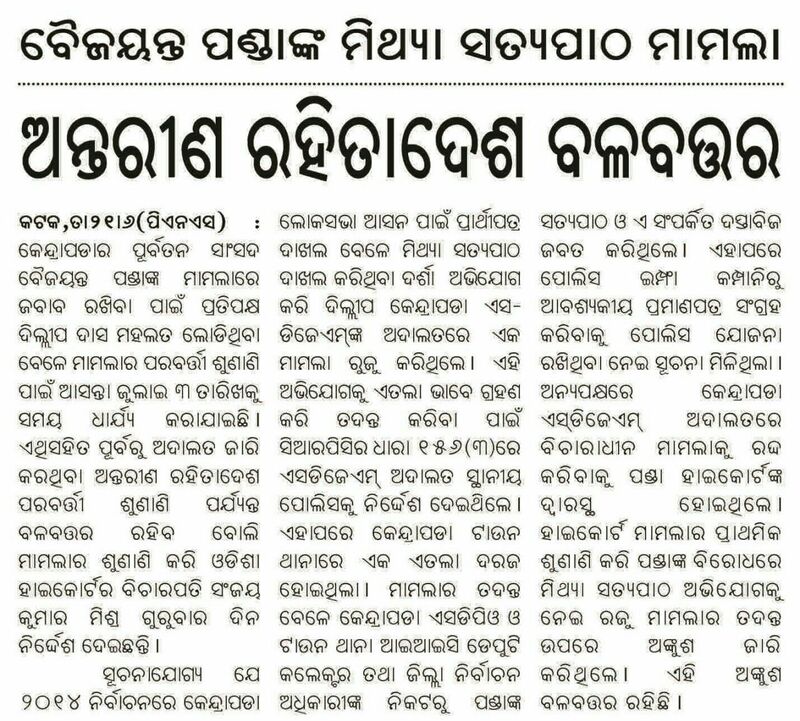 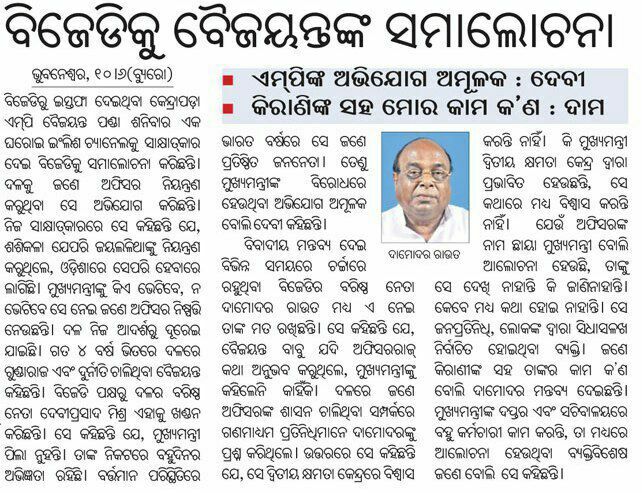 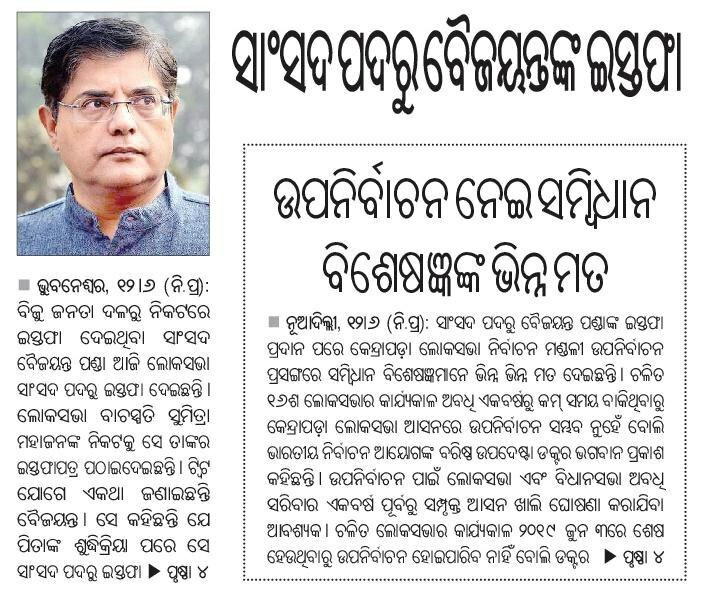 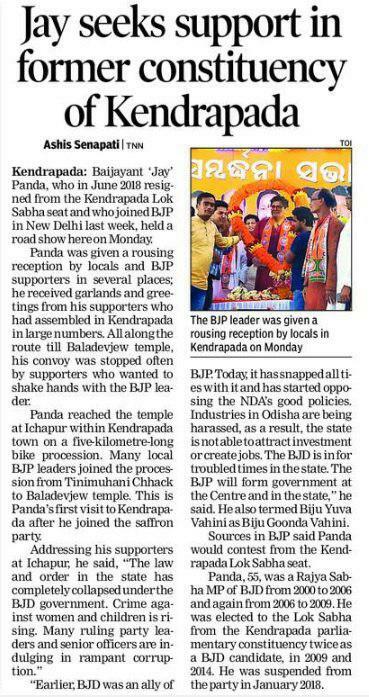 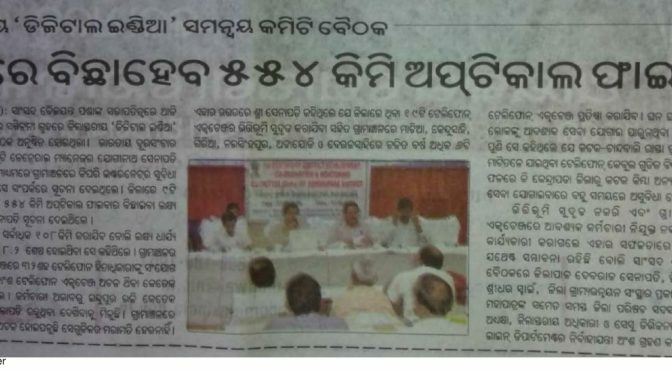 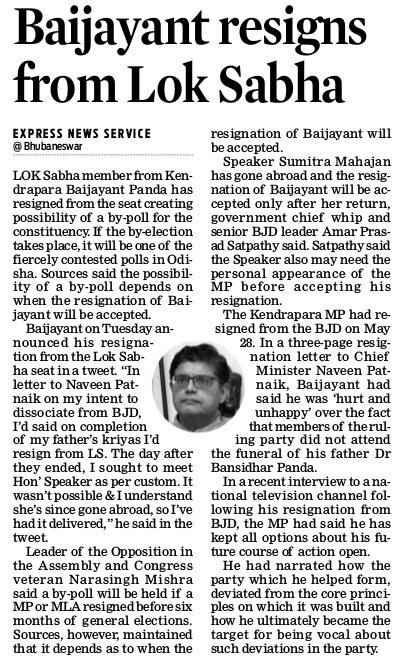 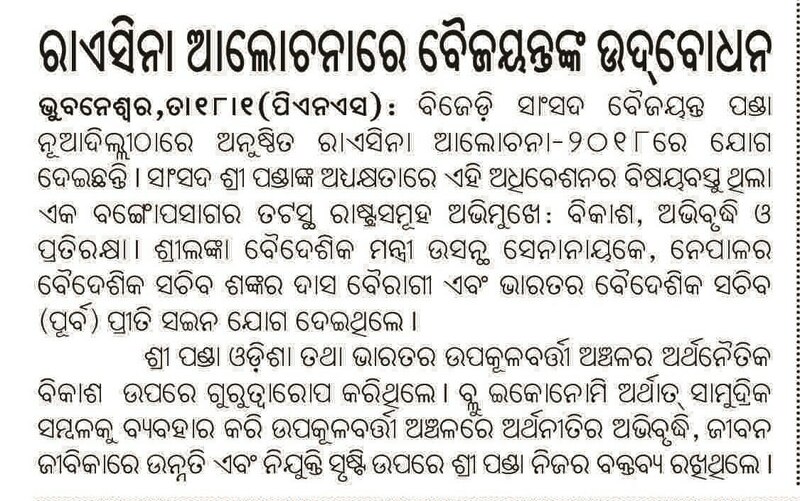 Samaja, 04.09.18, Bijay _ Baijayant is in search of an alternative cont. 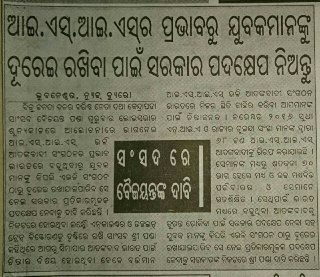 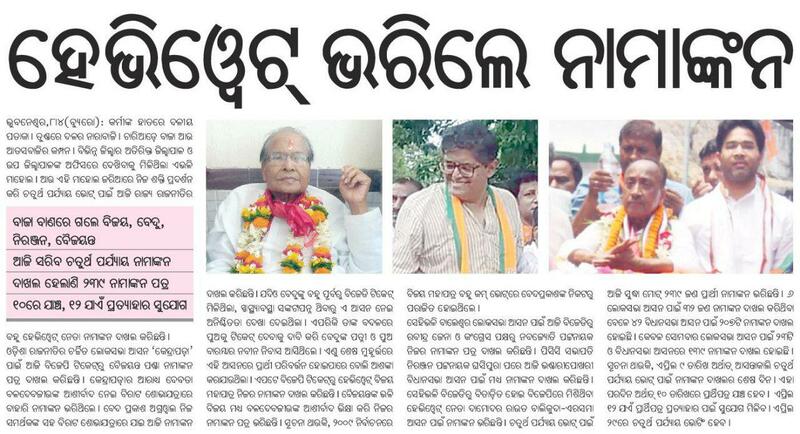 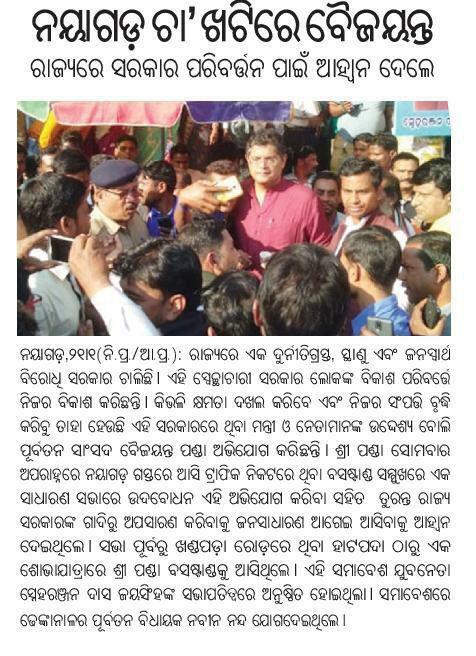 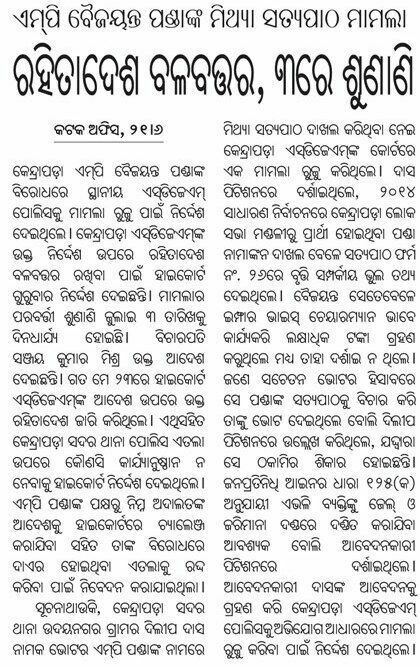 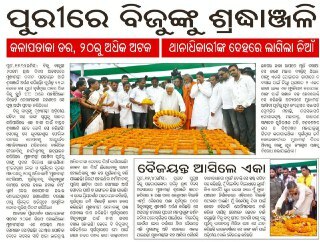 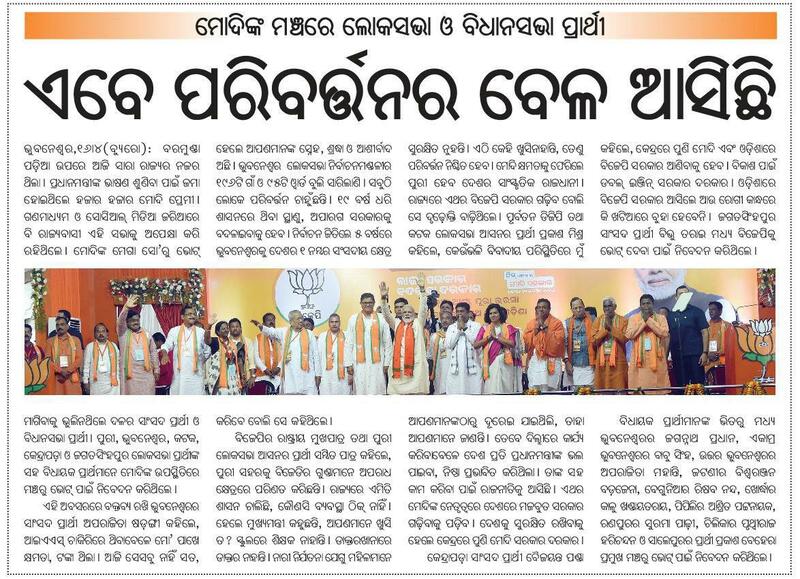 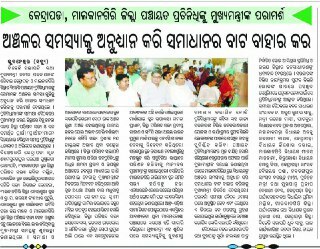 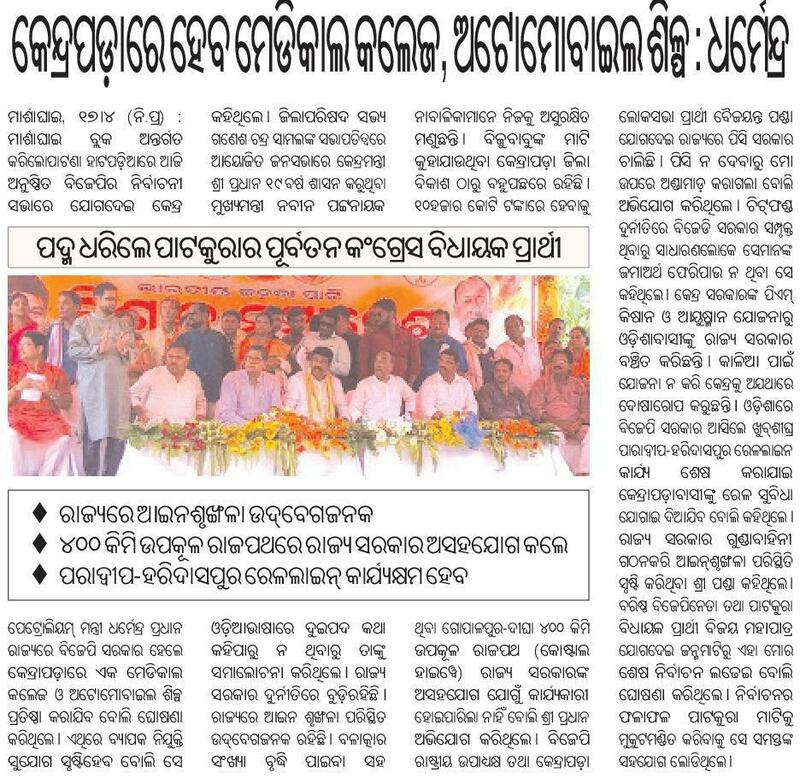 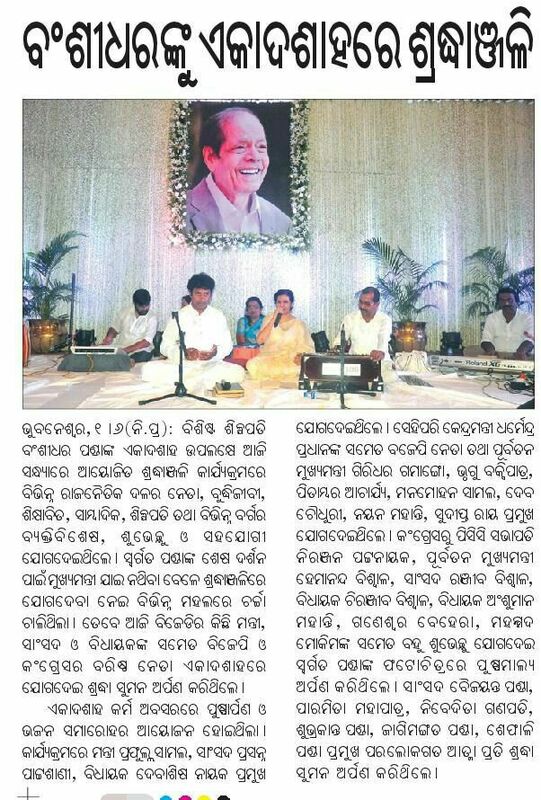 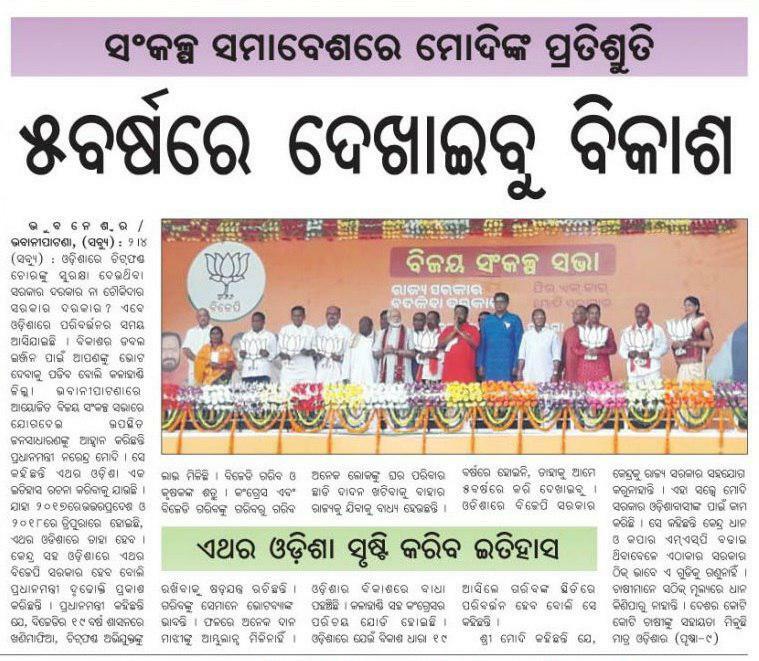 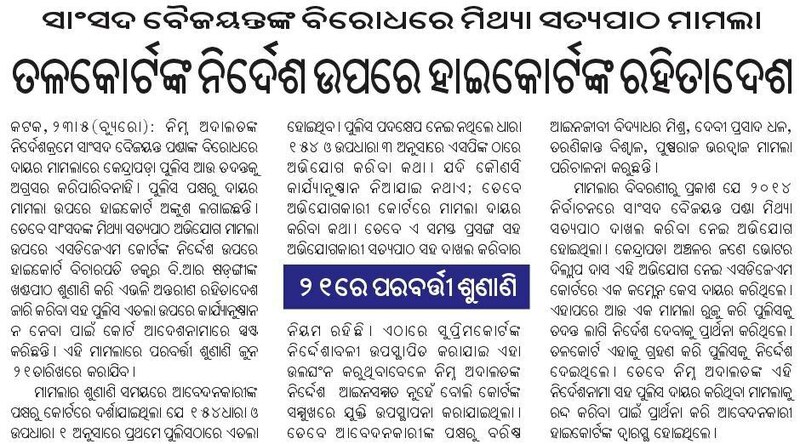 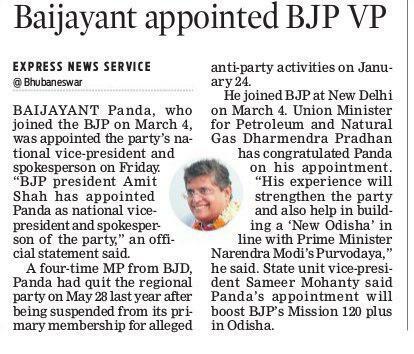 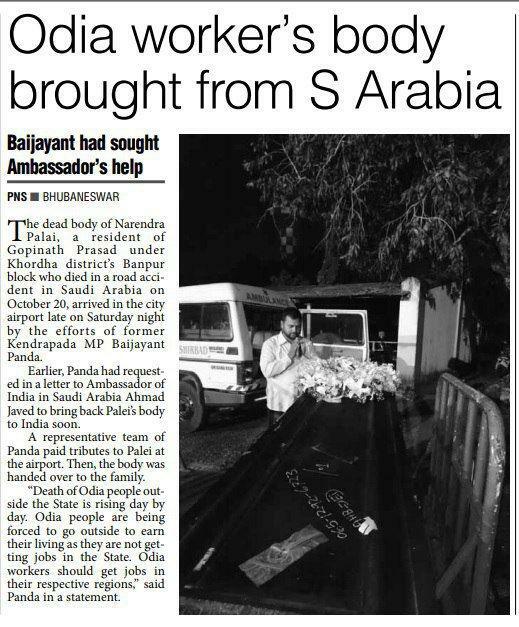 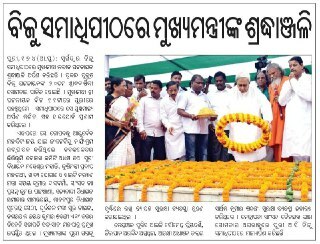 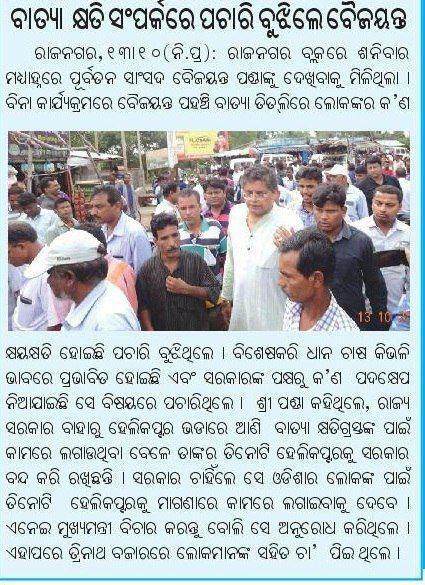 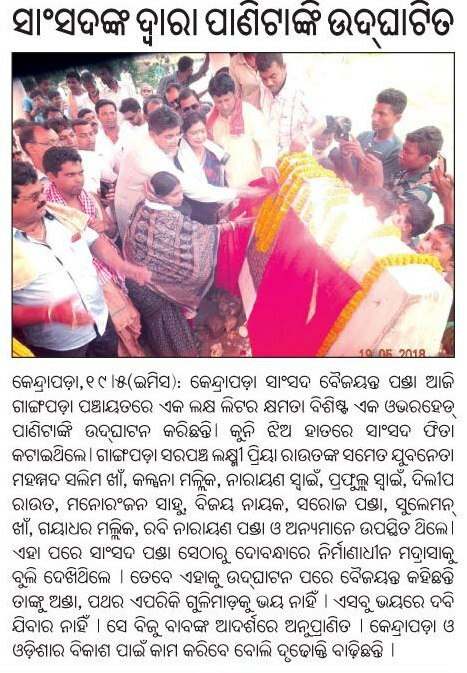 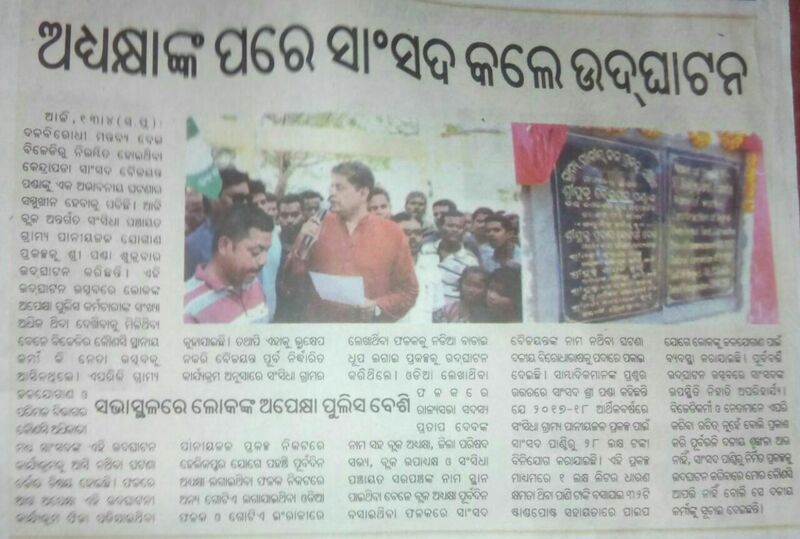 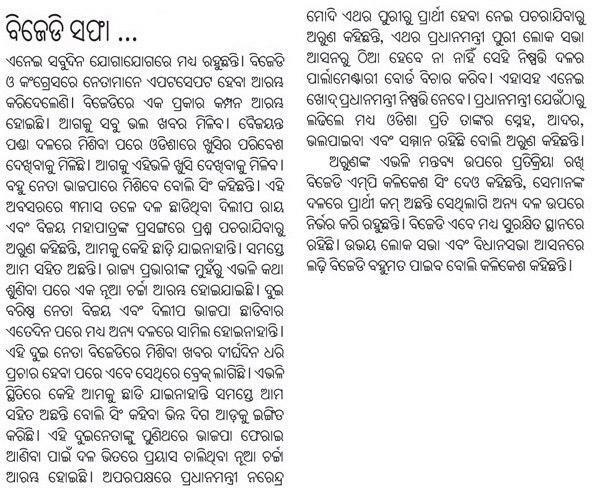 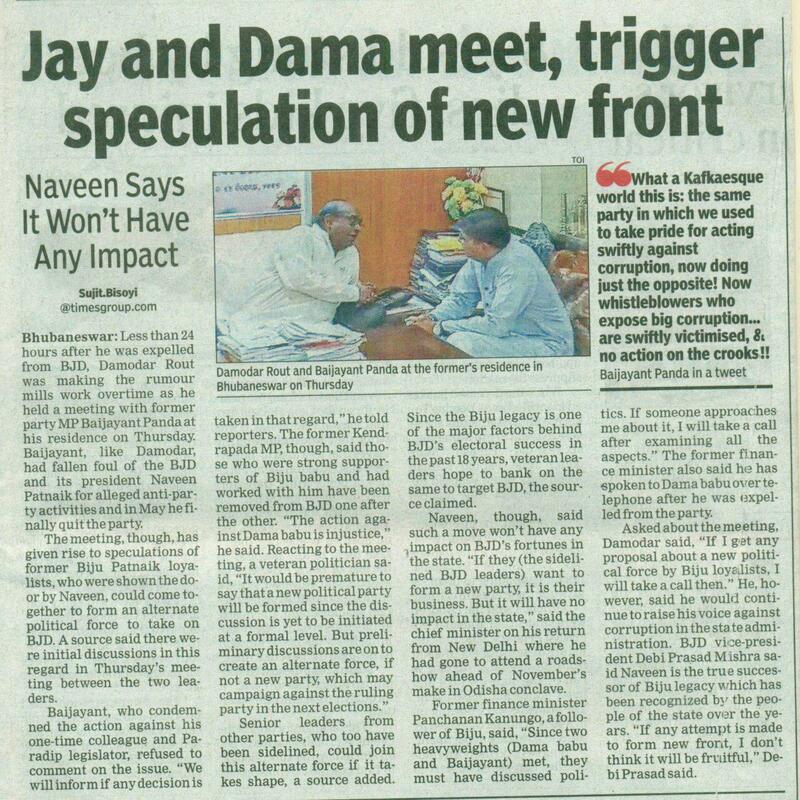 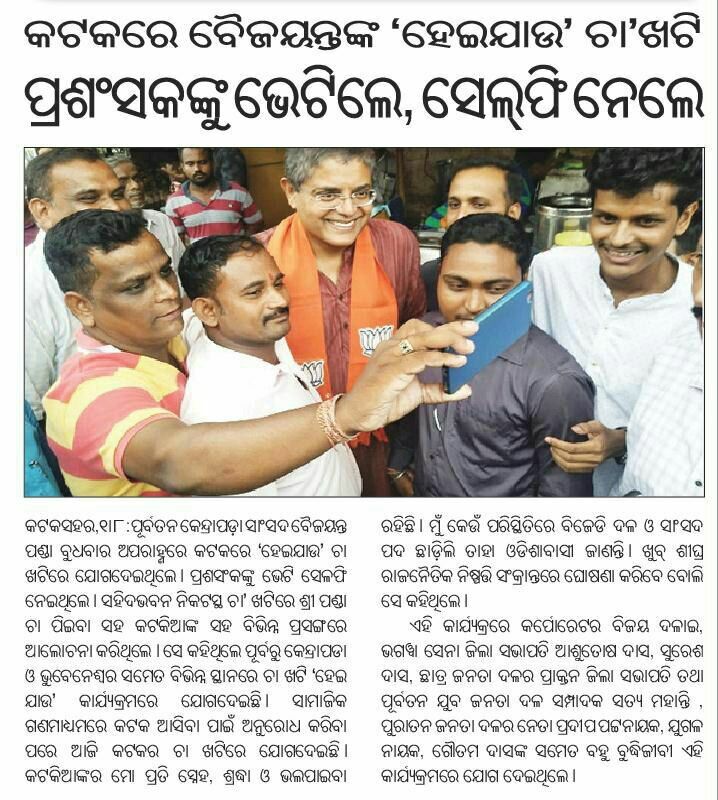 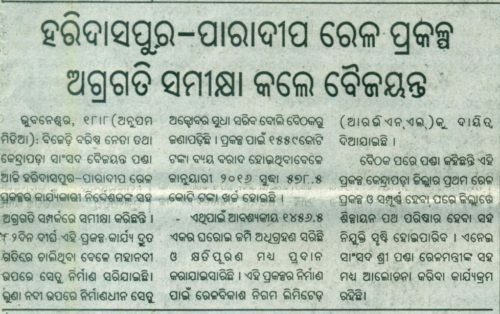 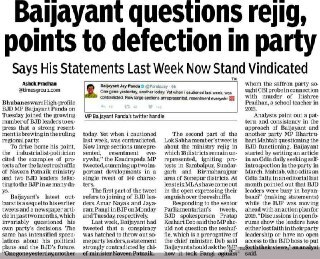 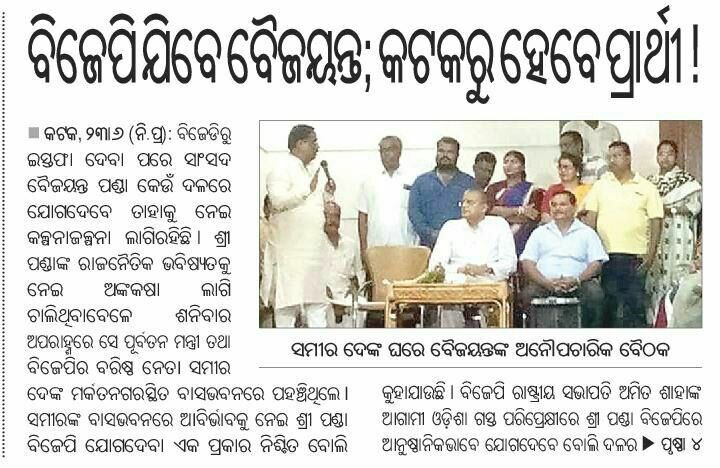 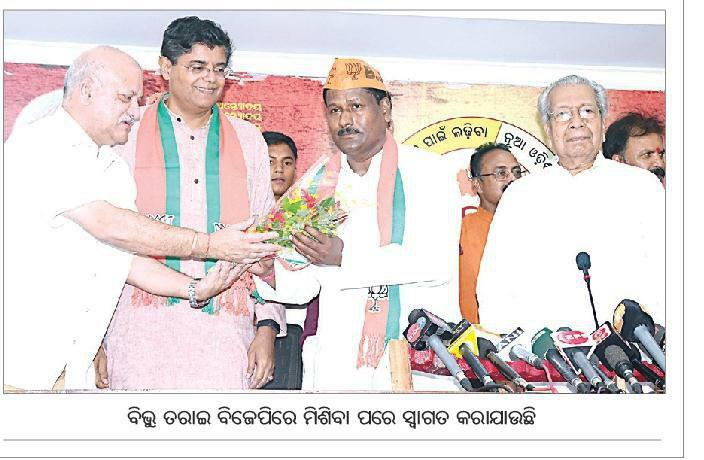 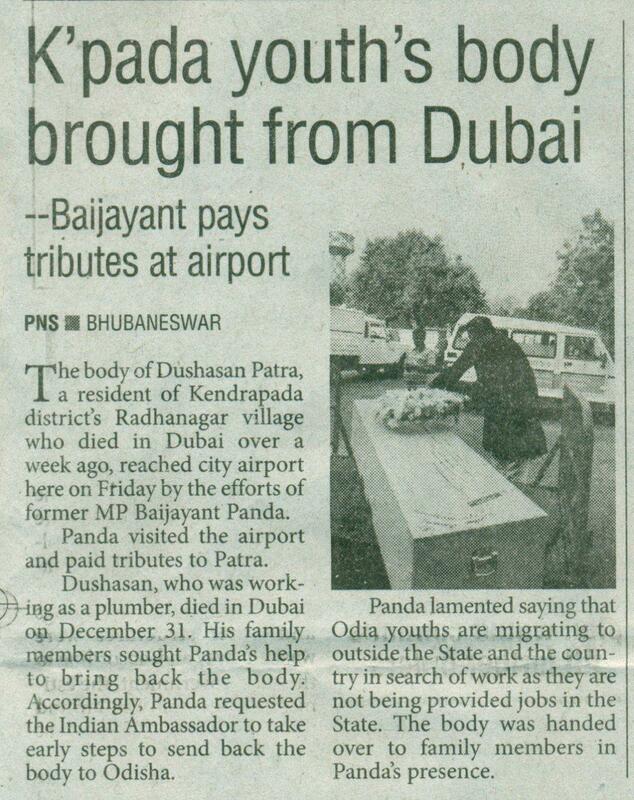 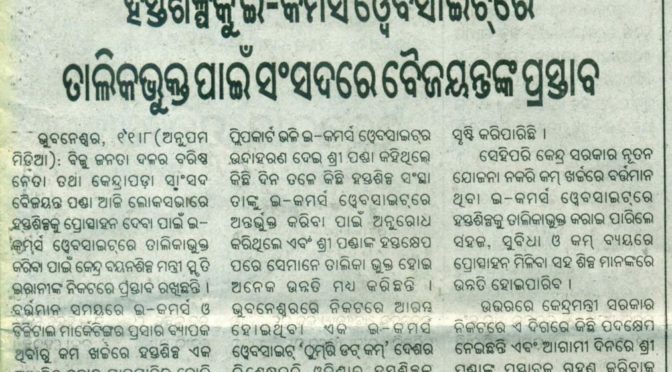 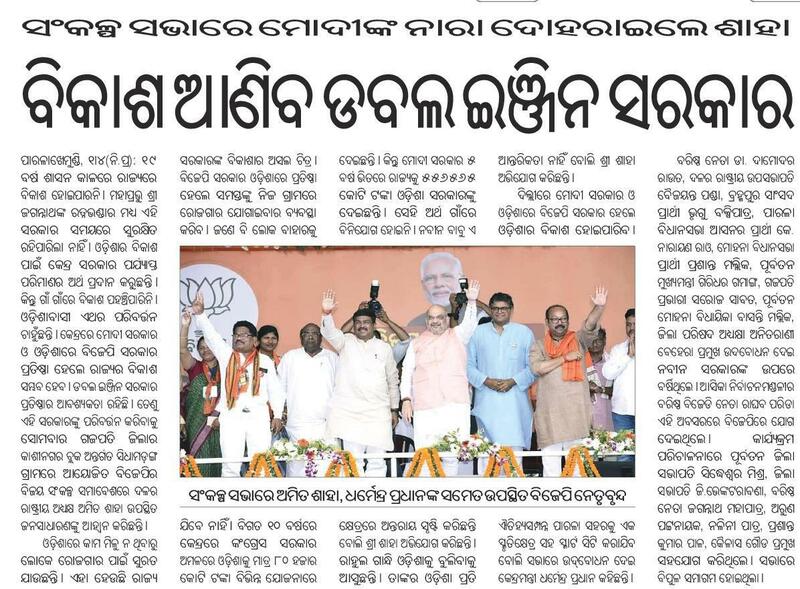 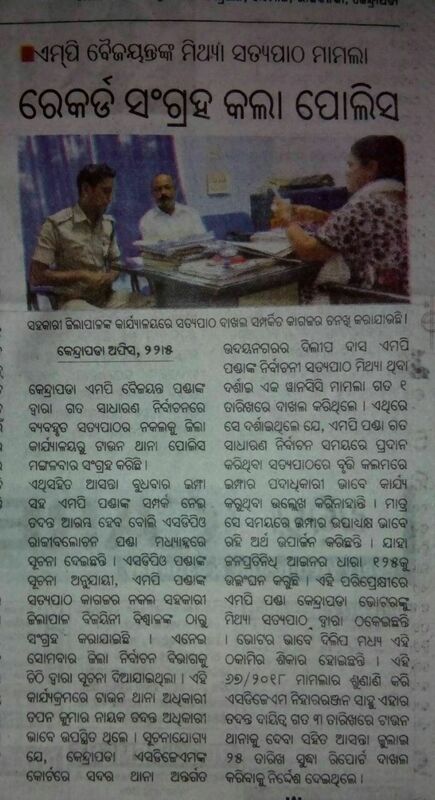 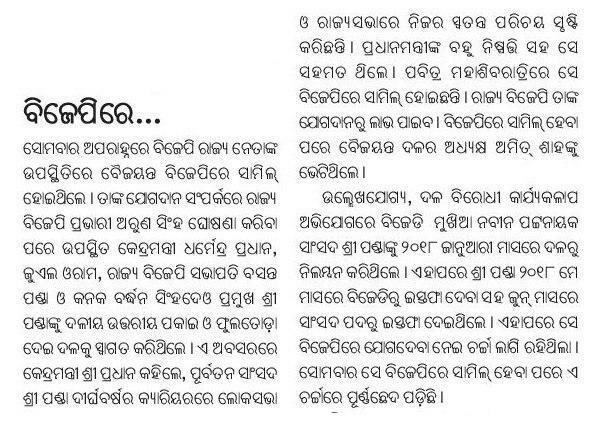 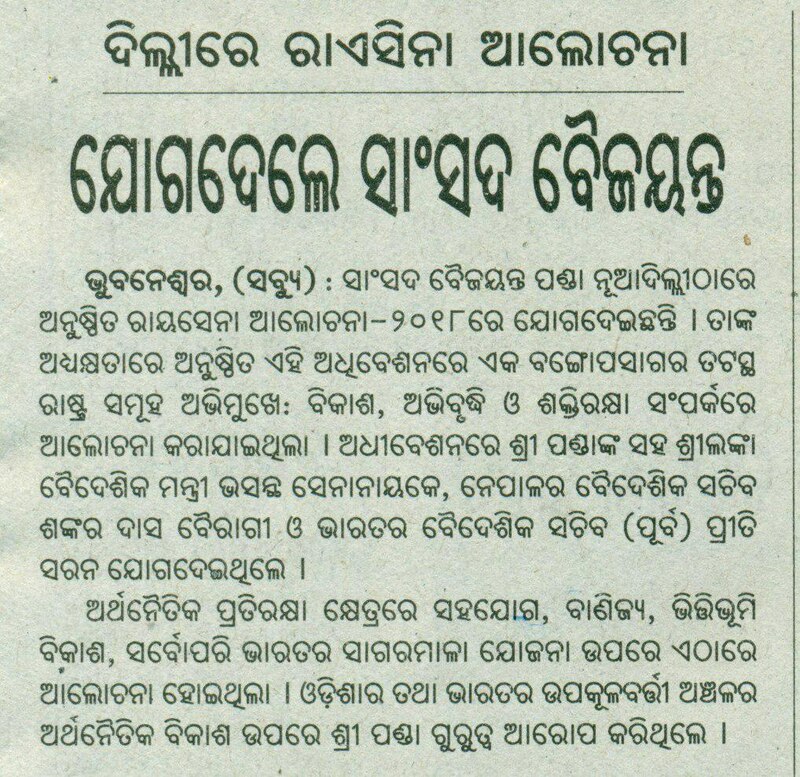 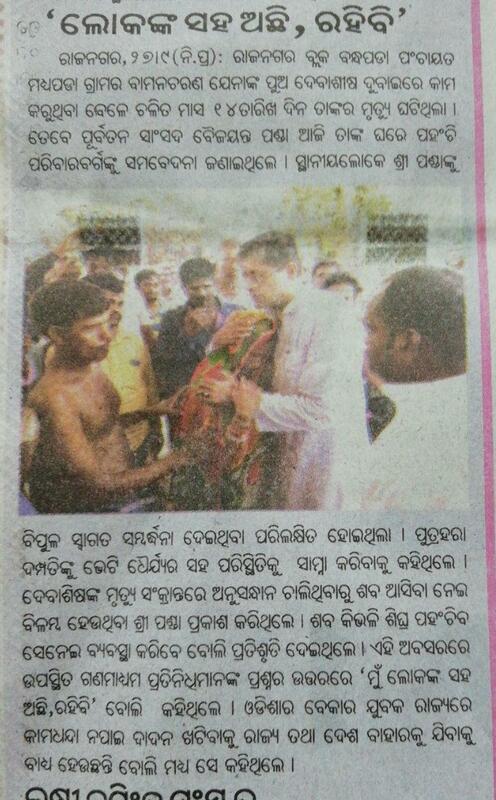 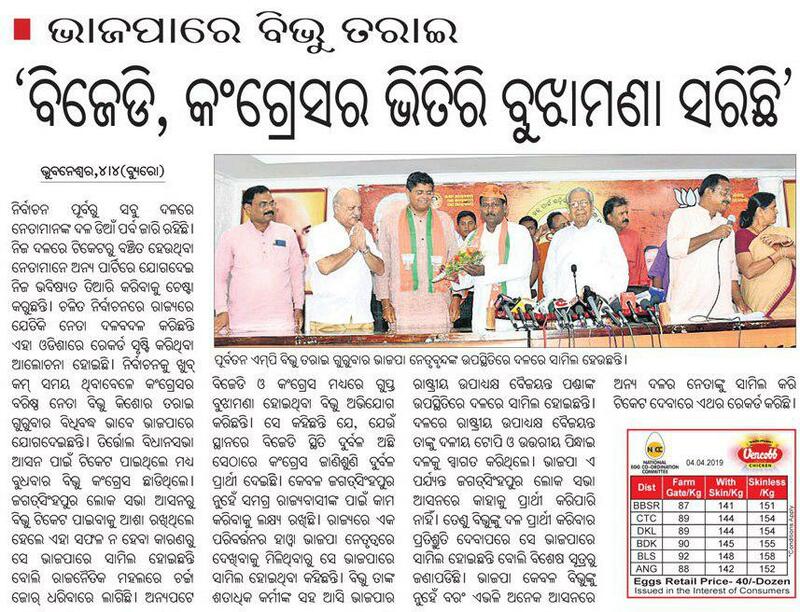 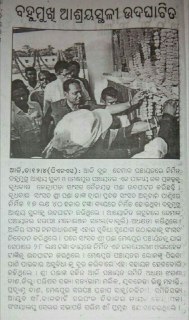 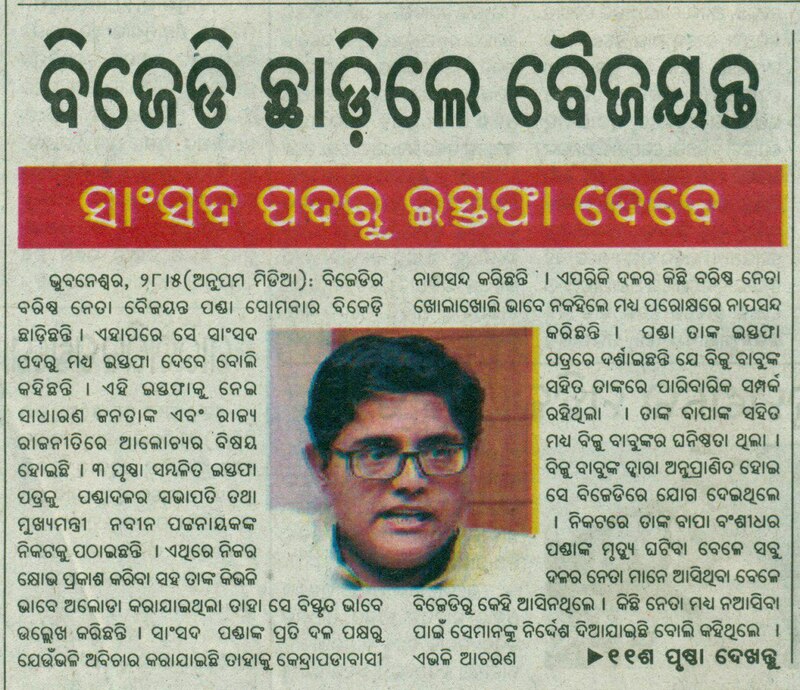 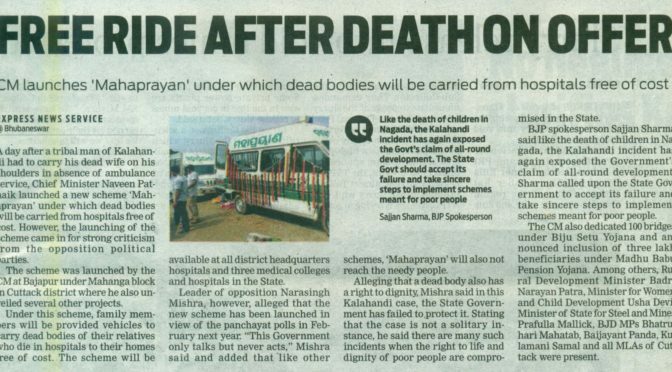 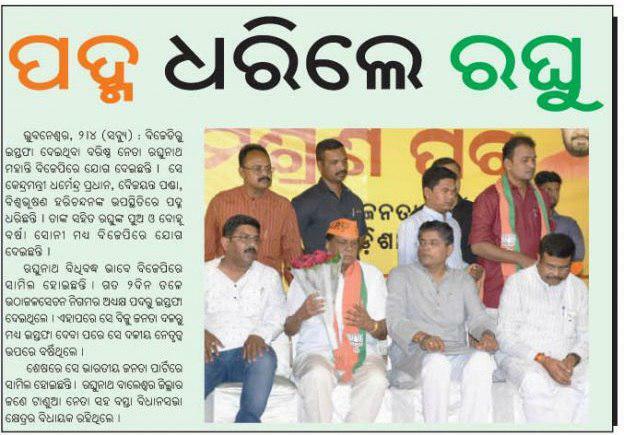 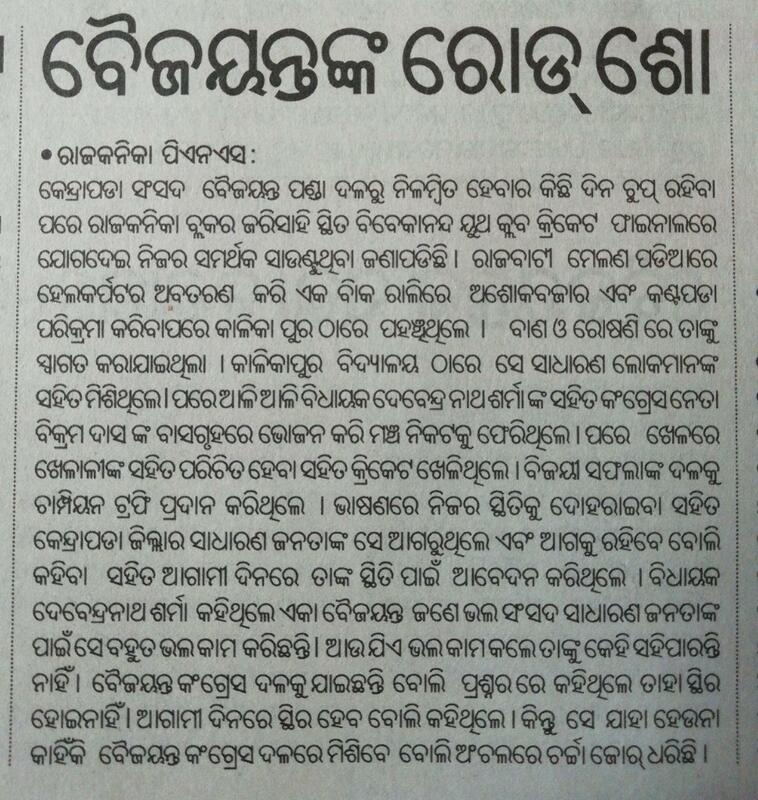 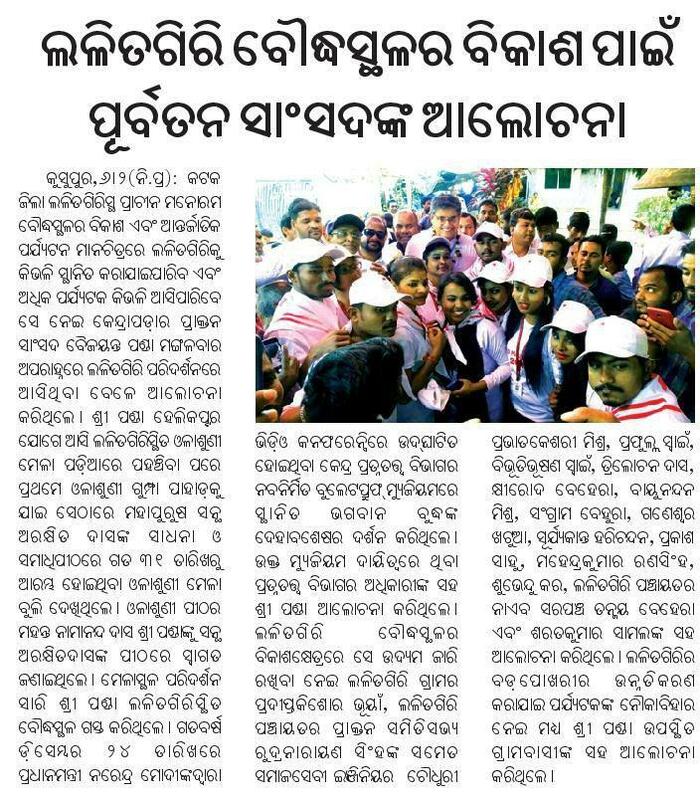 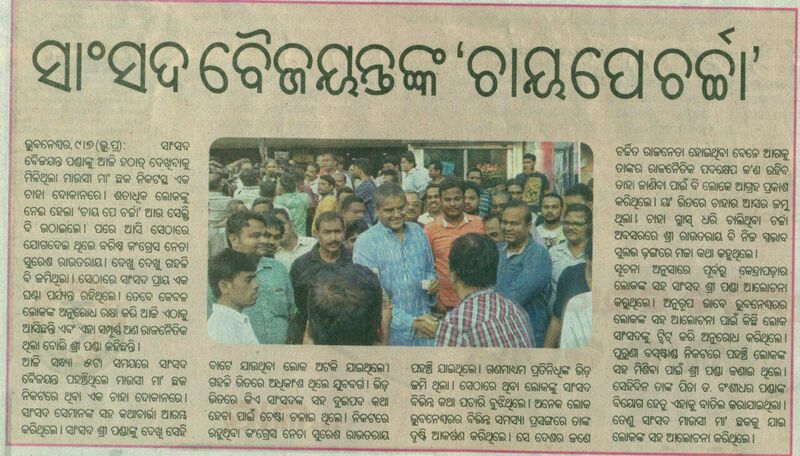 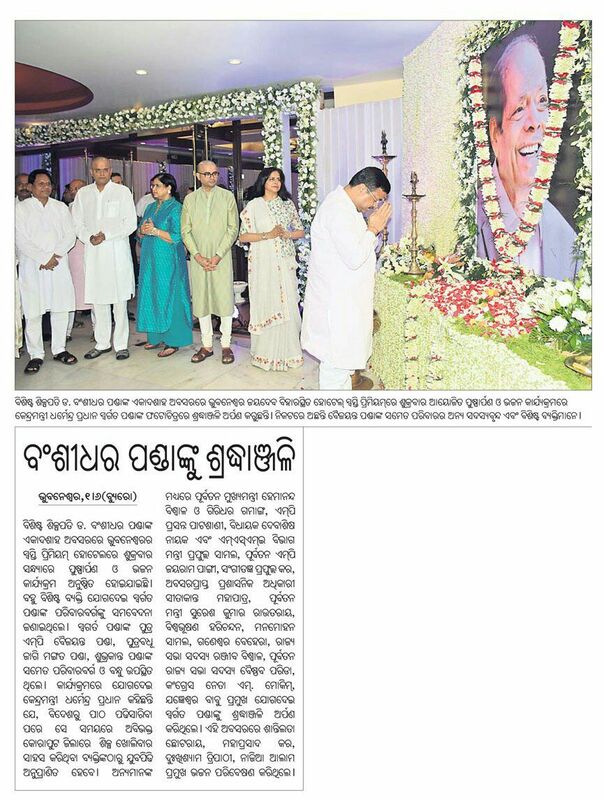 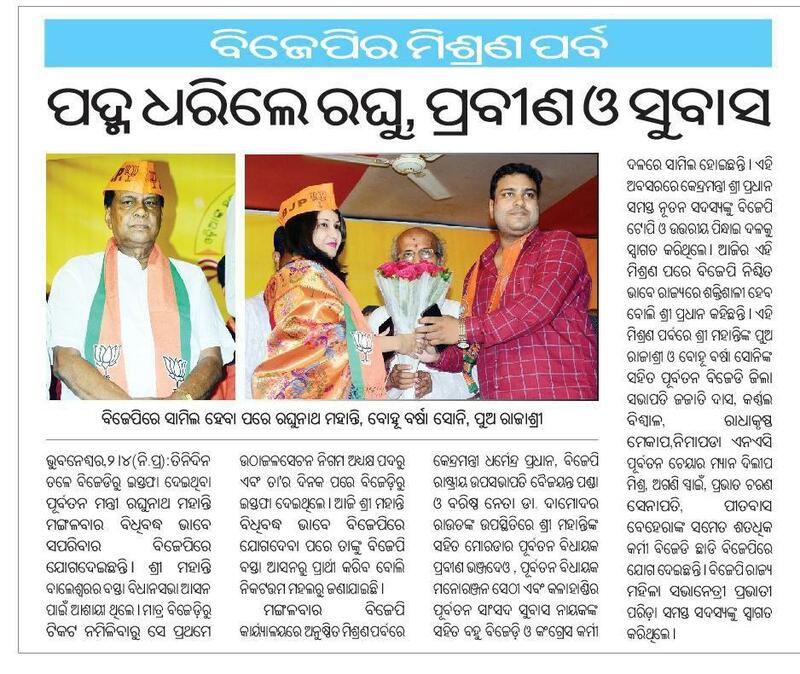 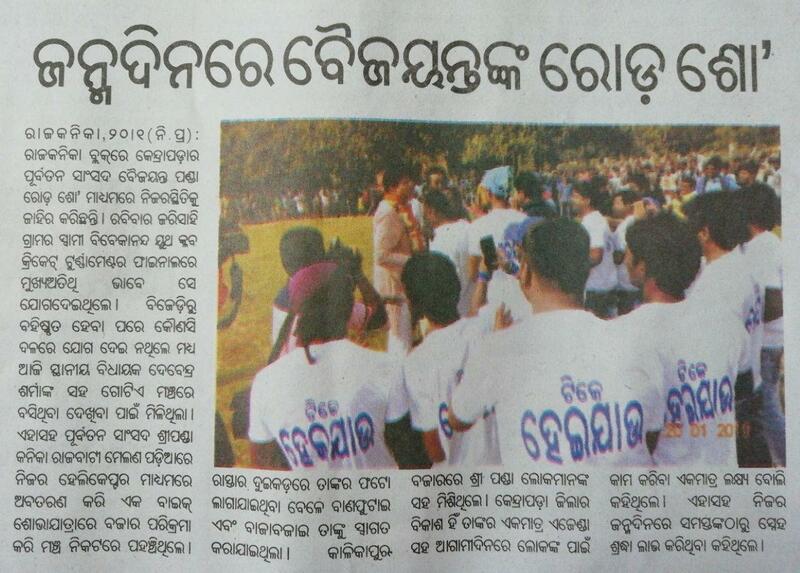 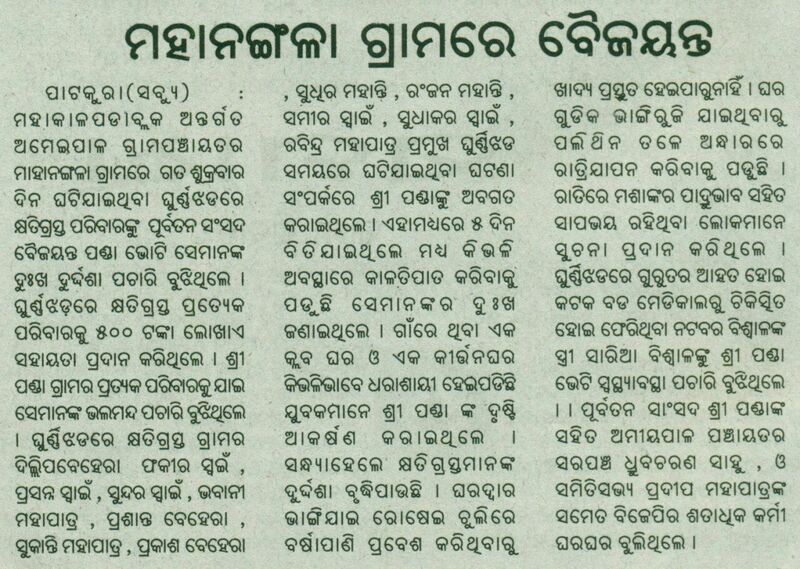 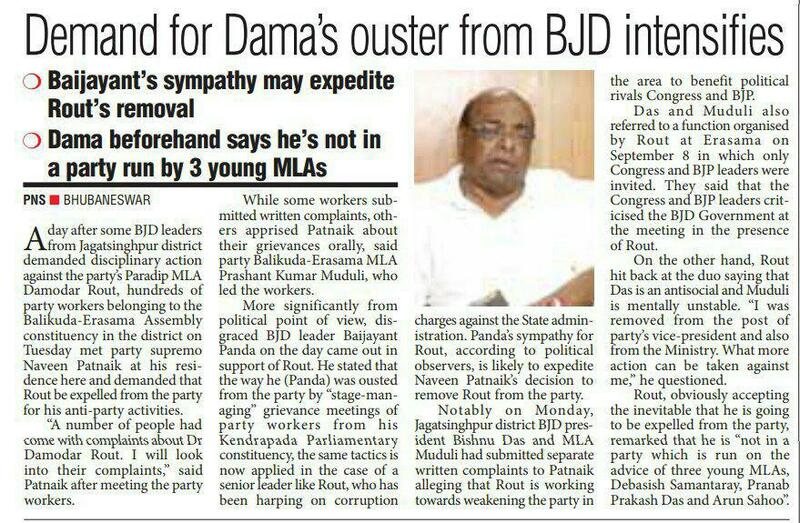 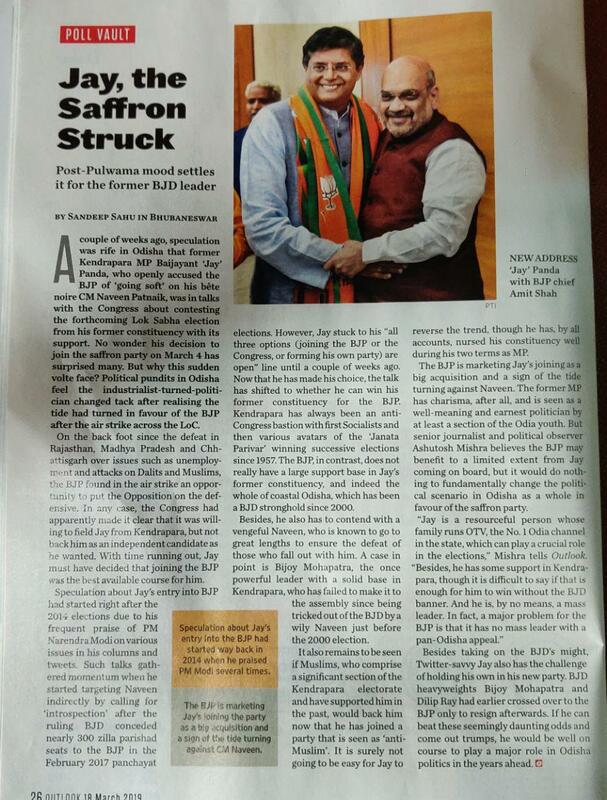 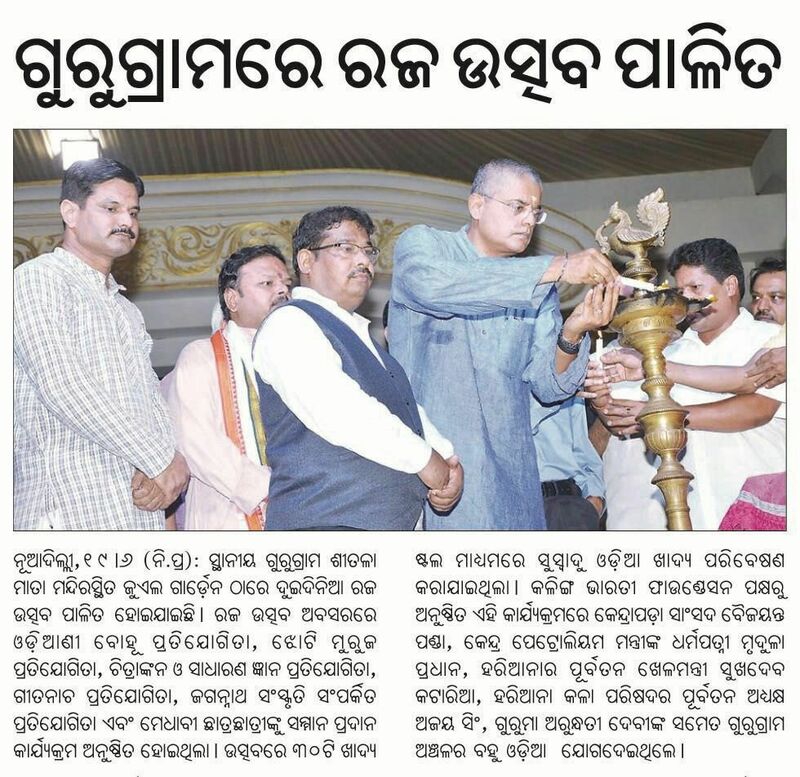 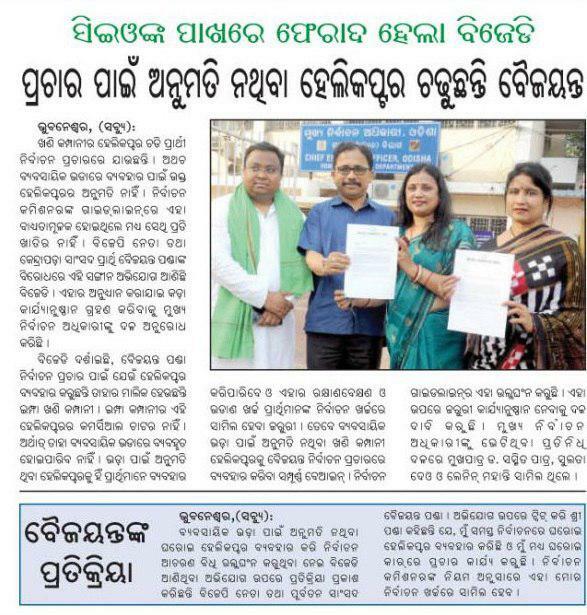 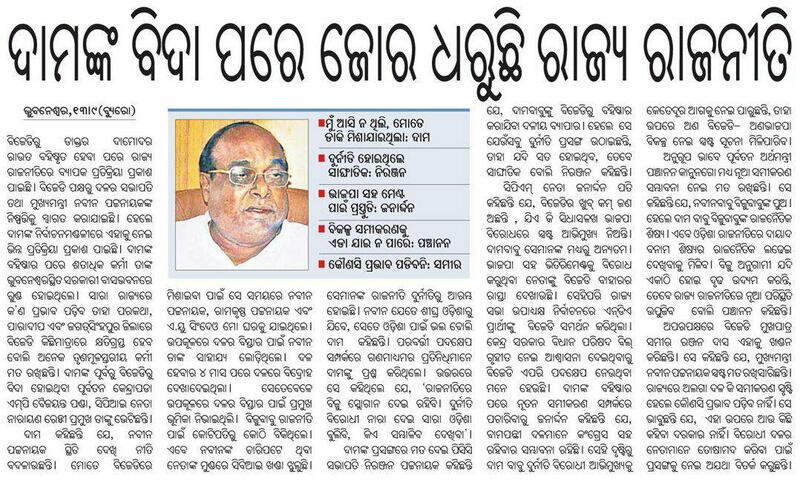 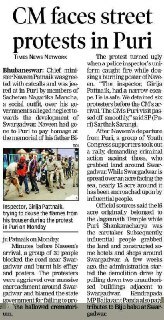 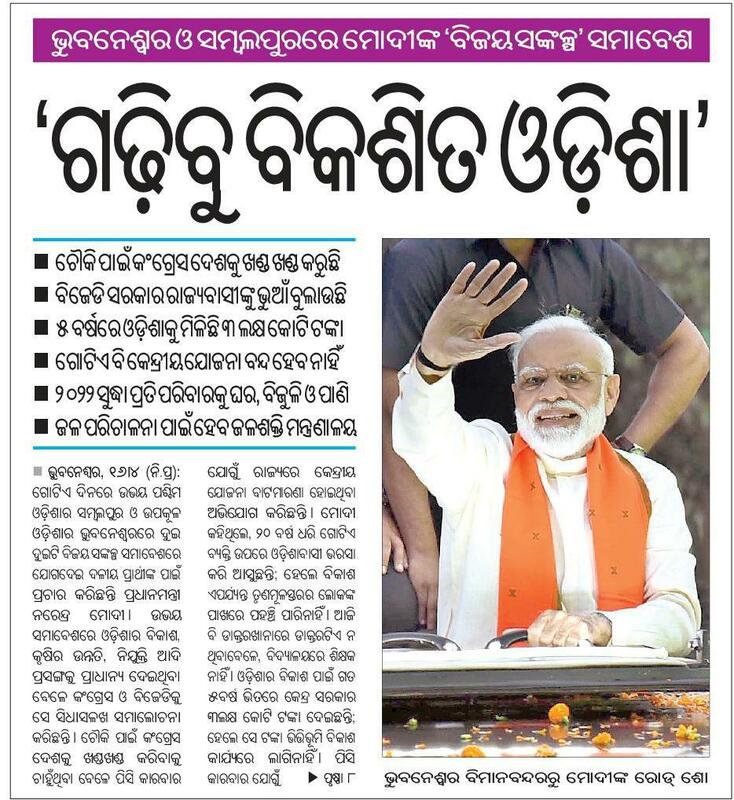 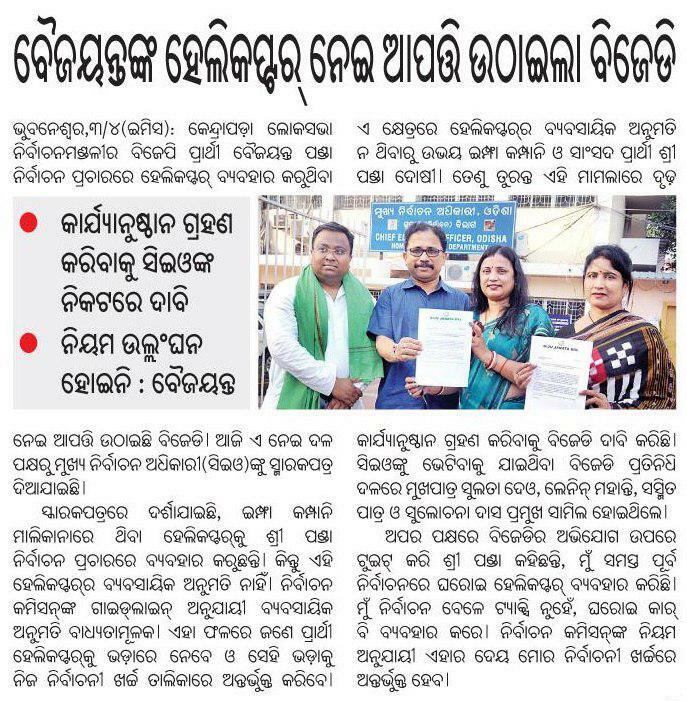 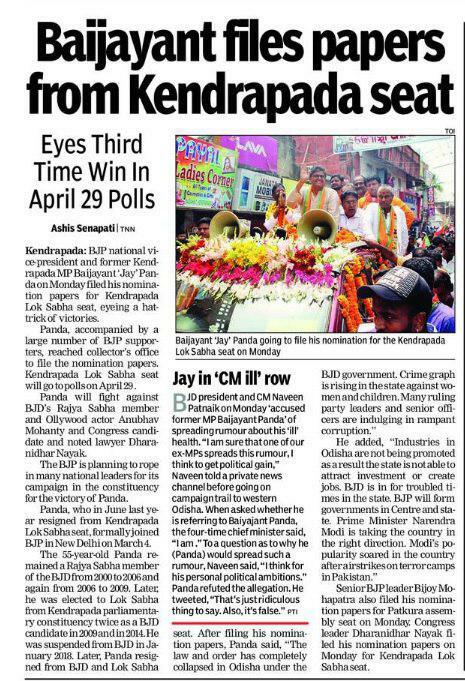 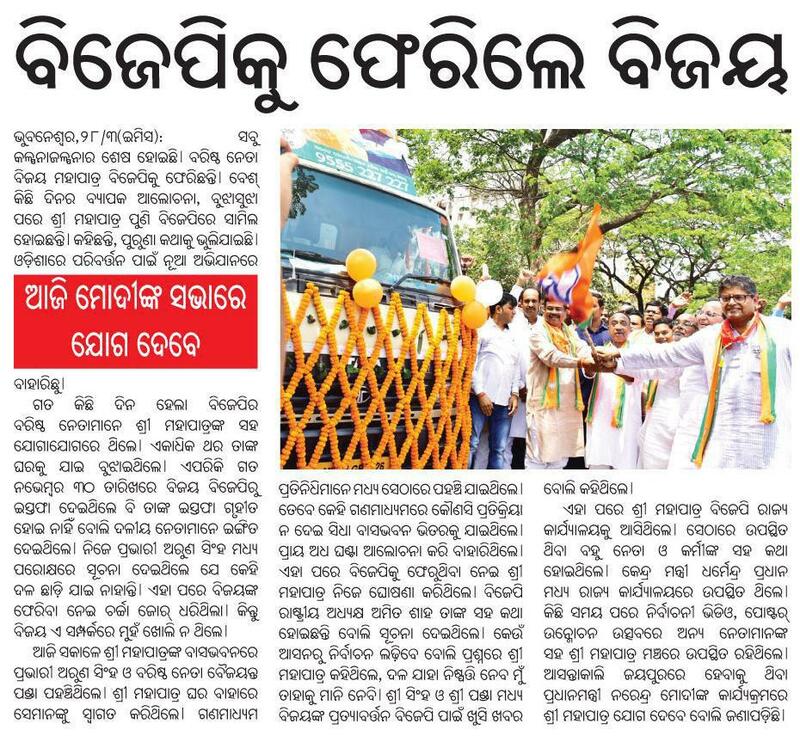 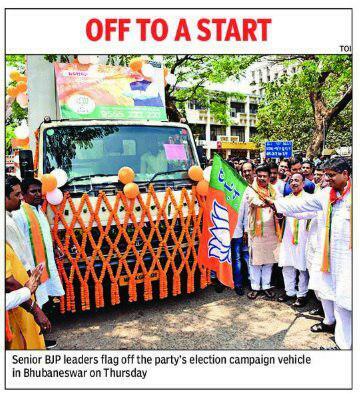 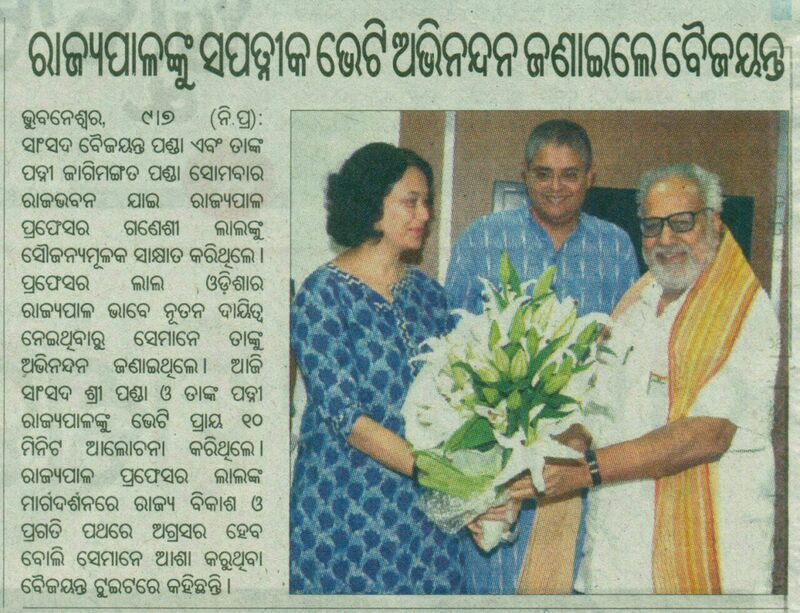 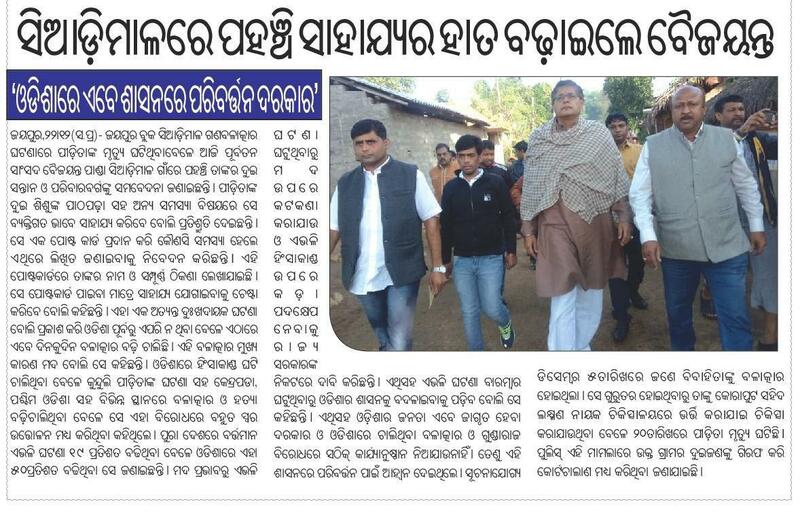 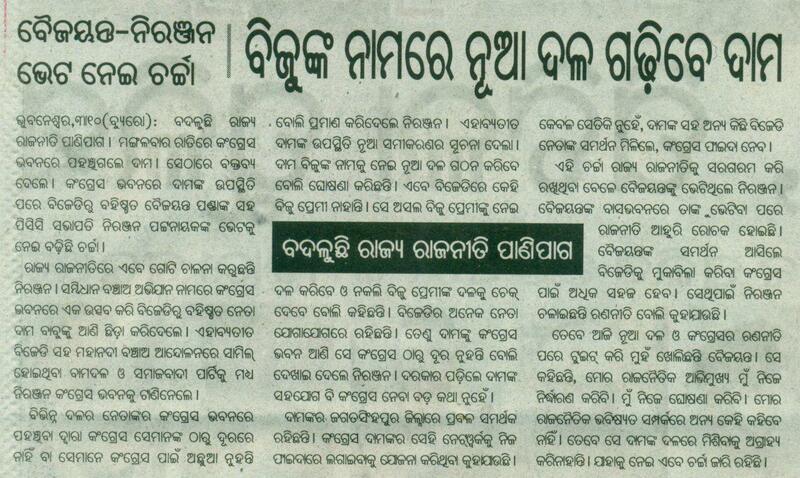 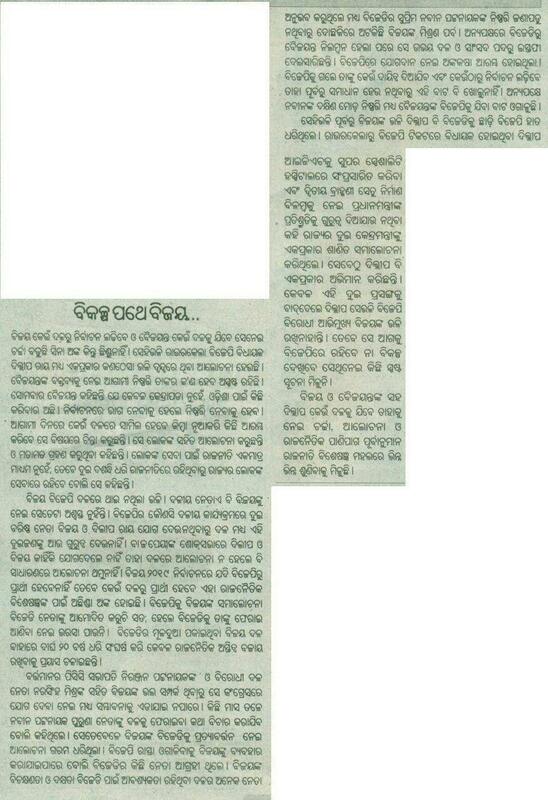 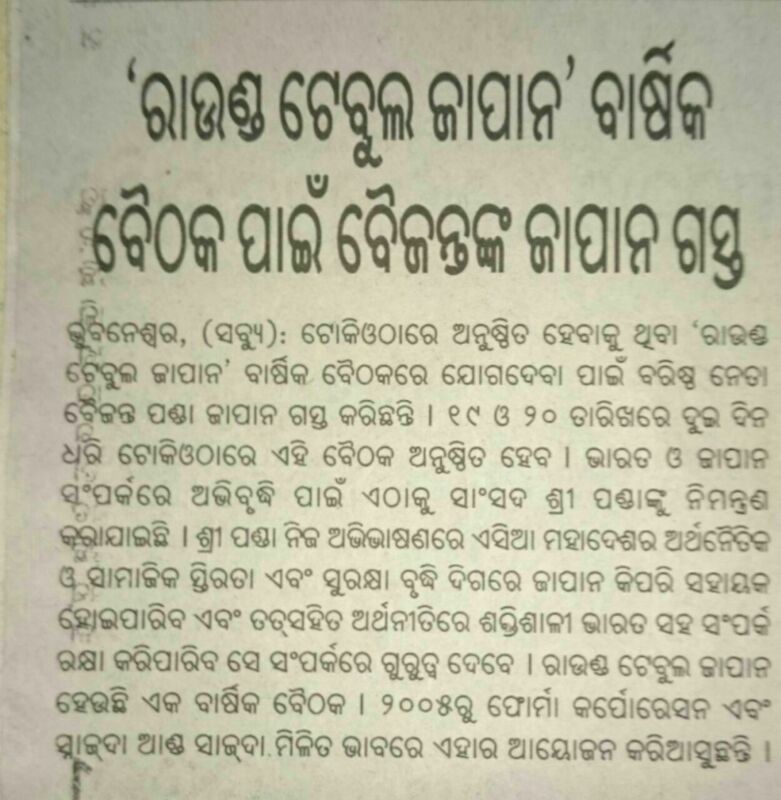 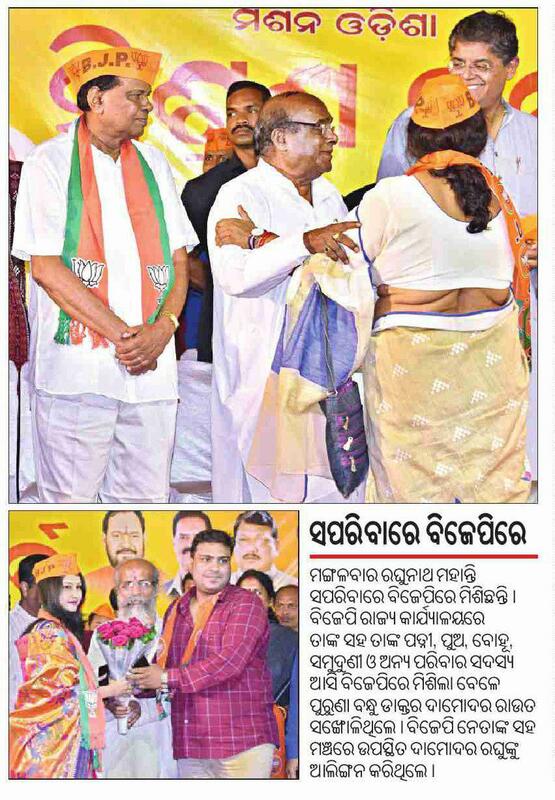 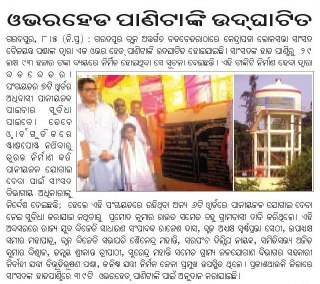 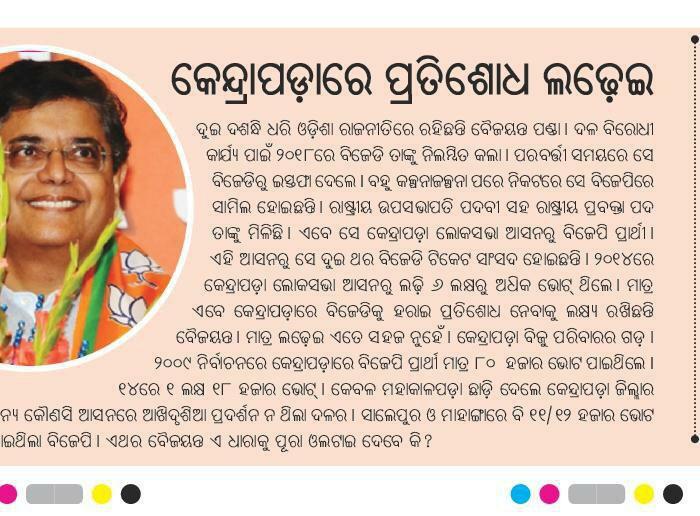 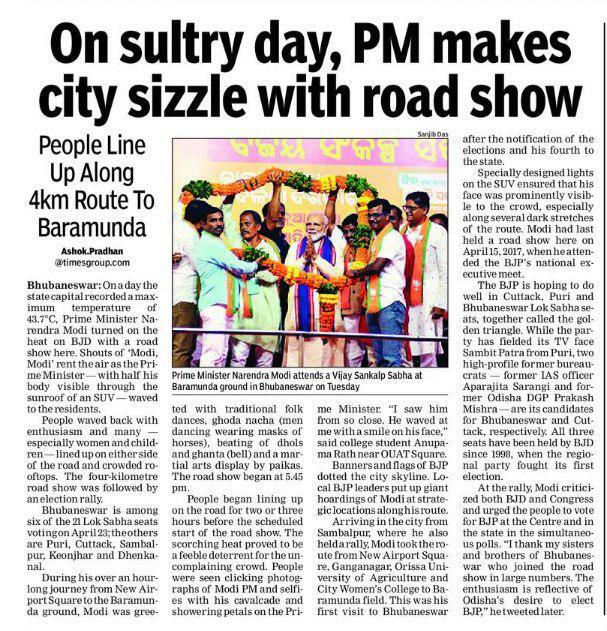 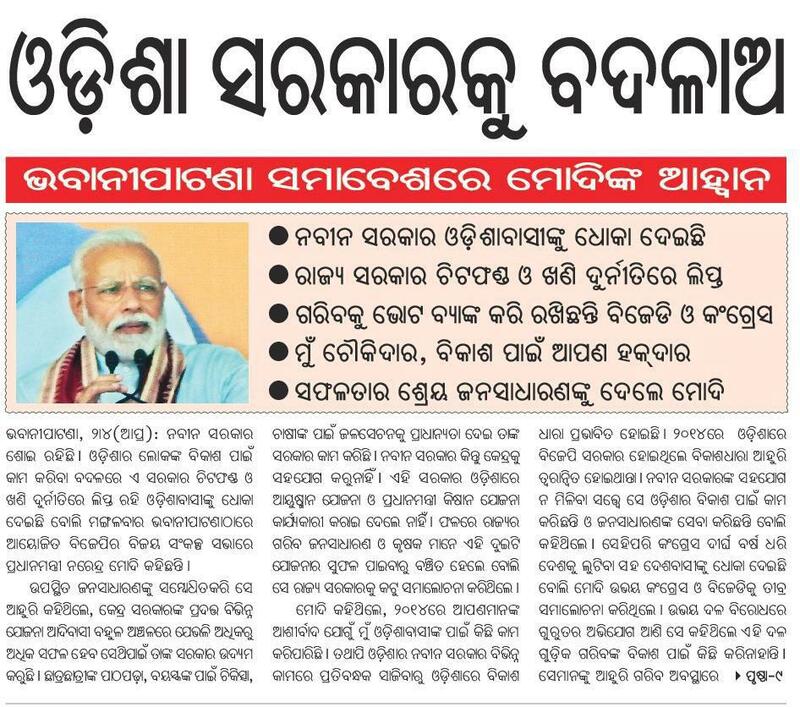 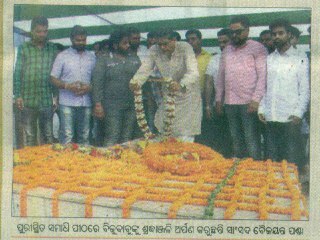 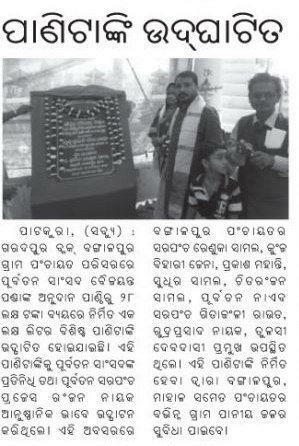 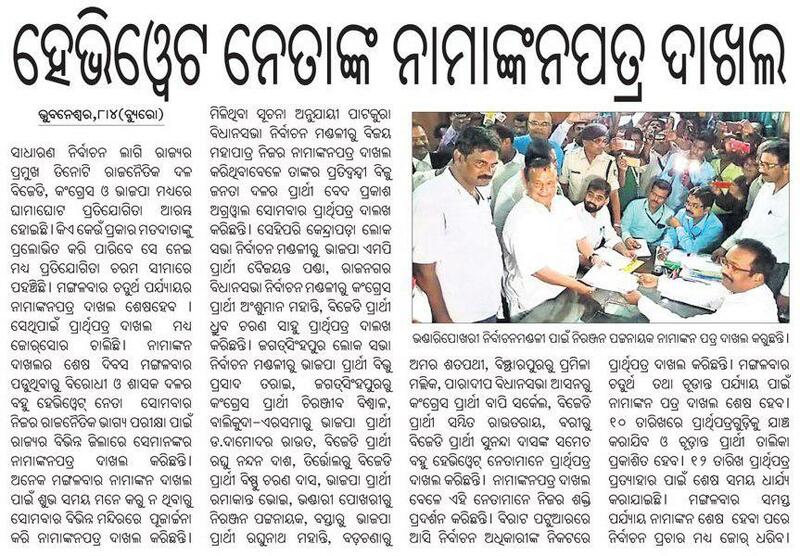 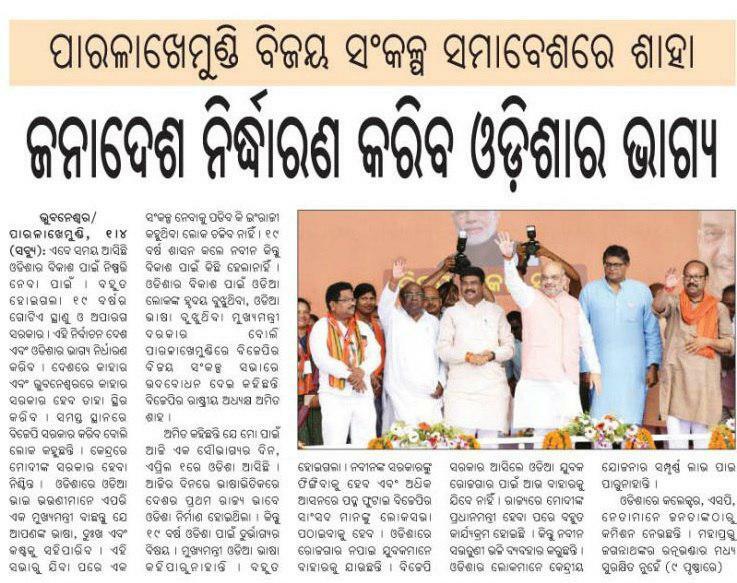 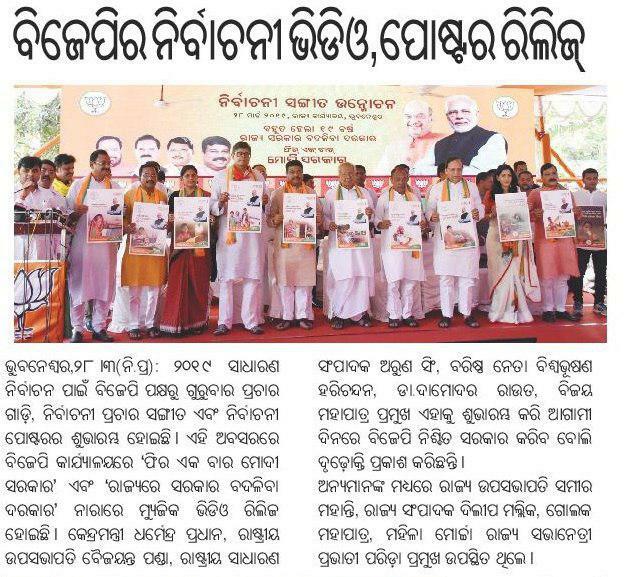 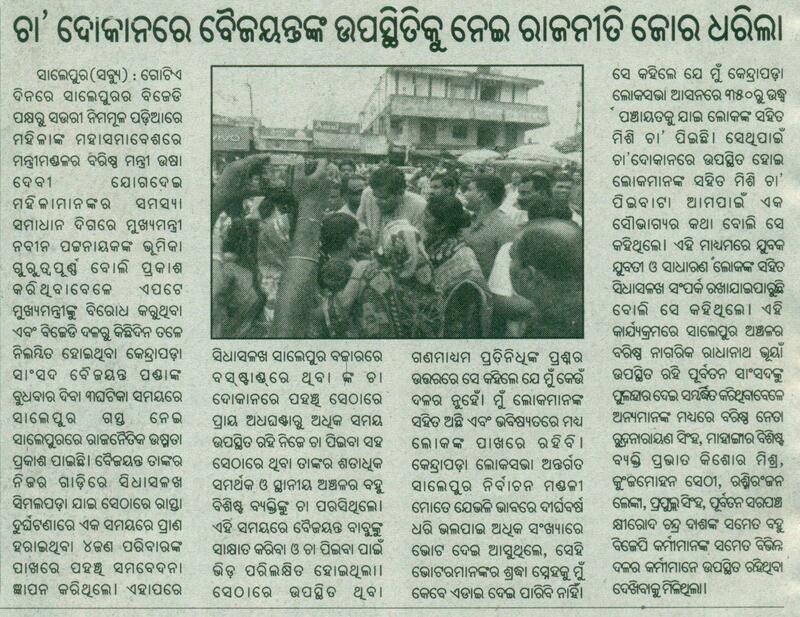 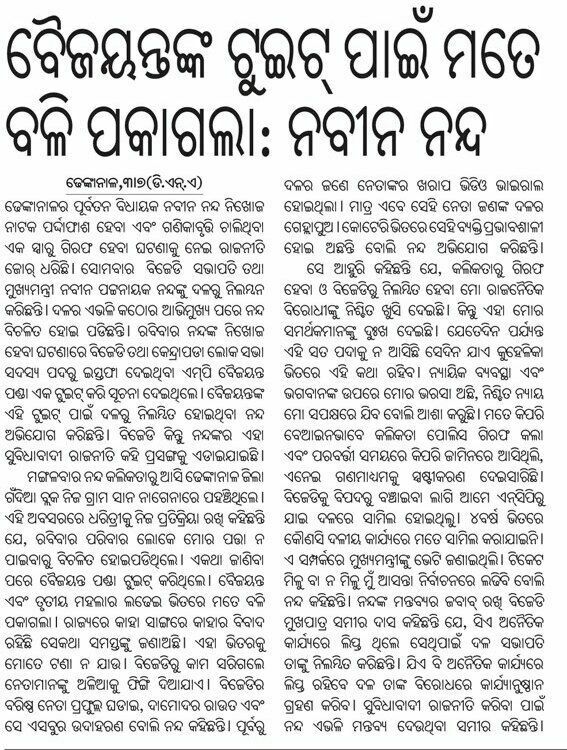 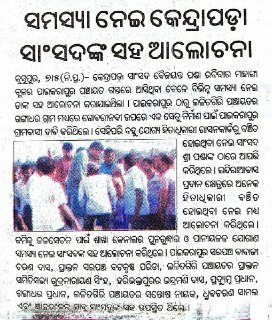 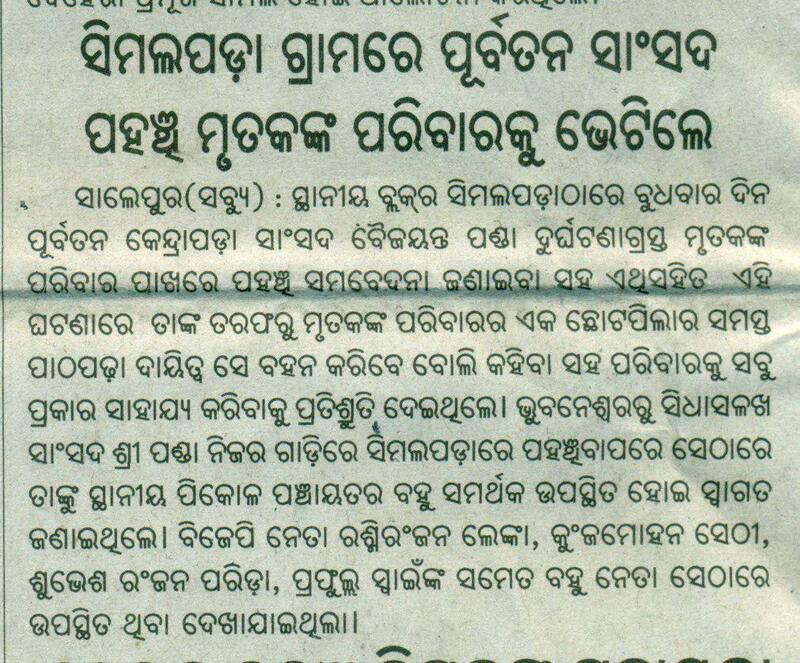 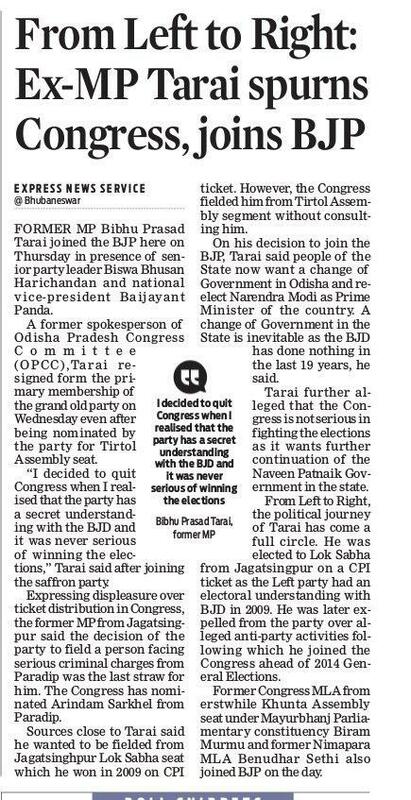 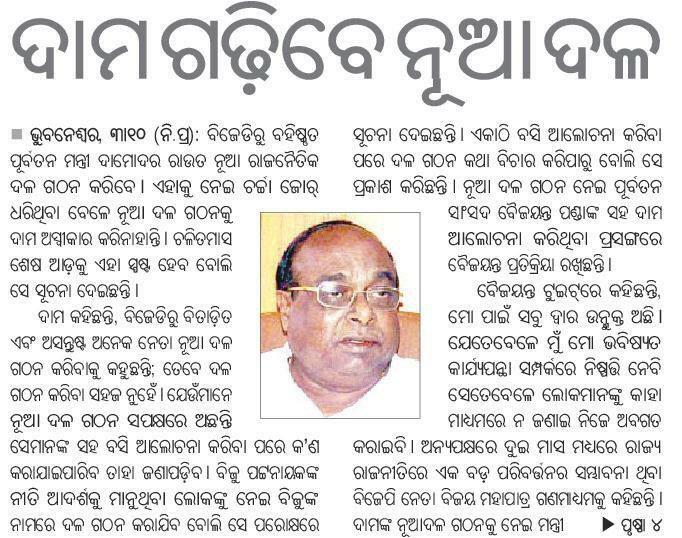 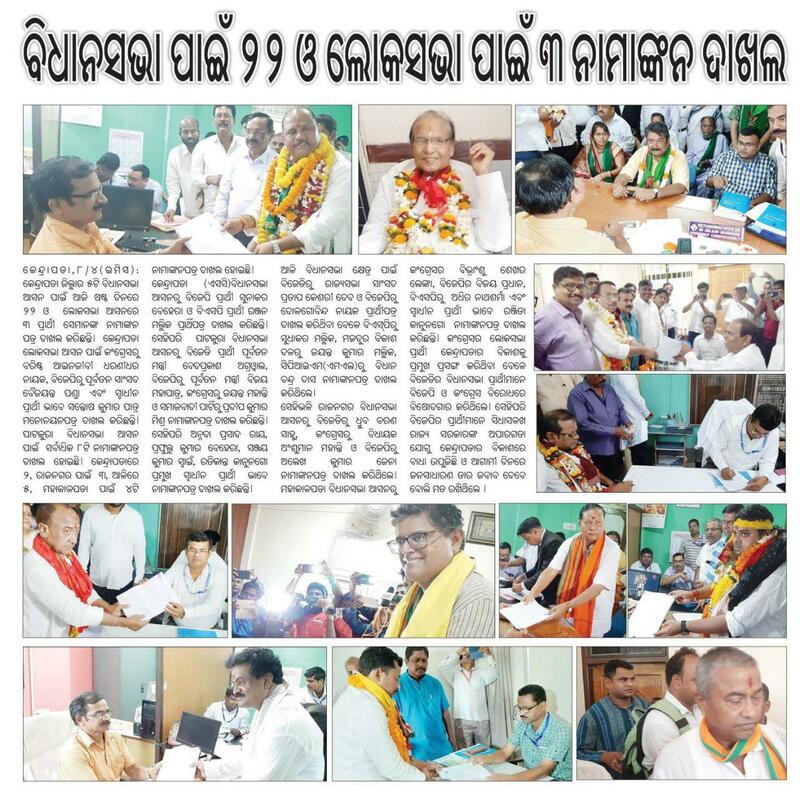 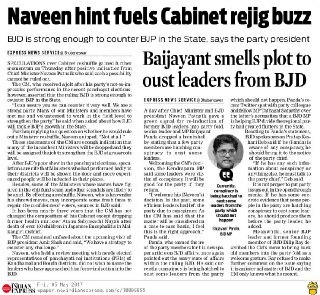 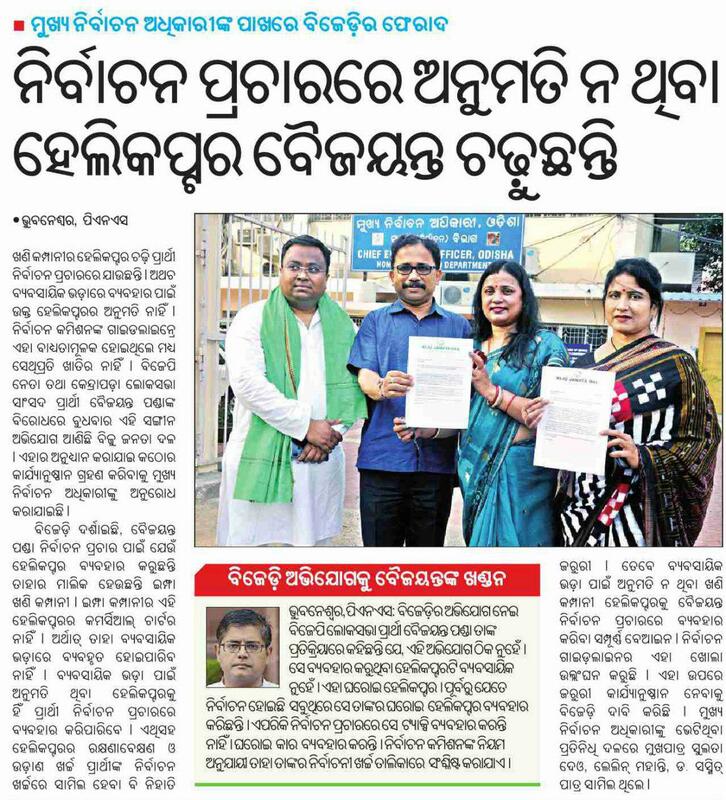 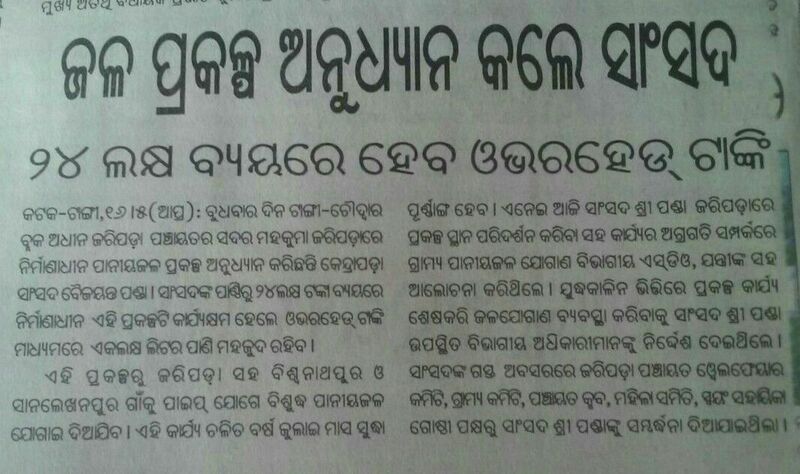 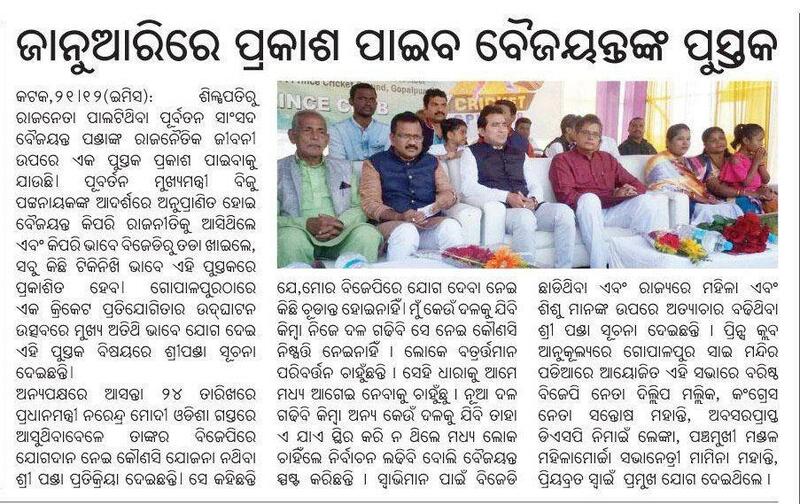 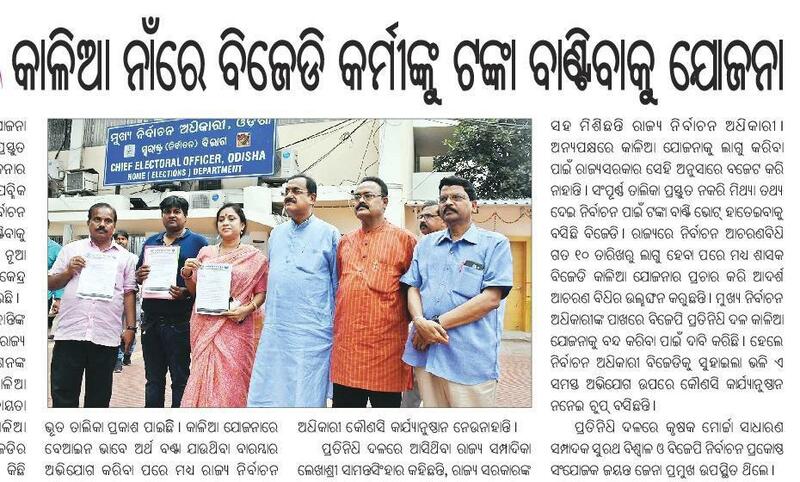 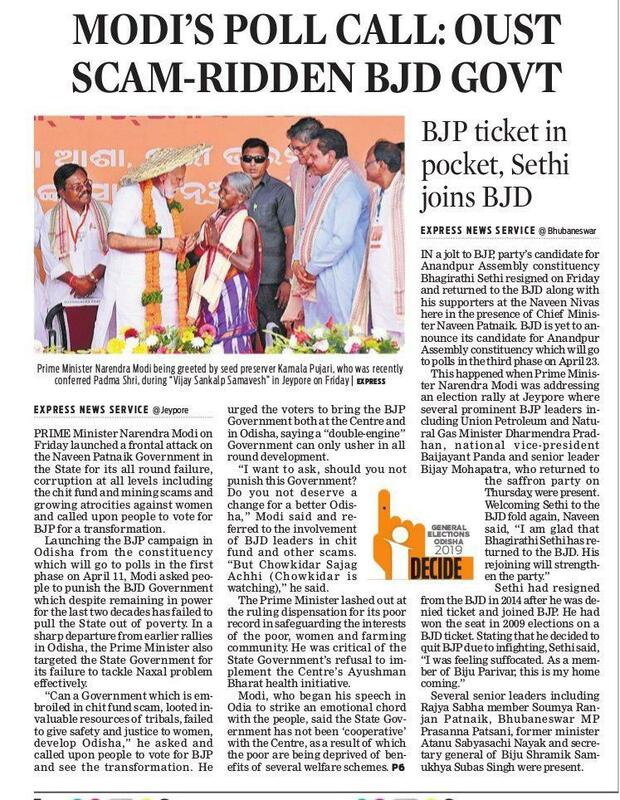 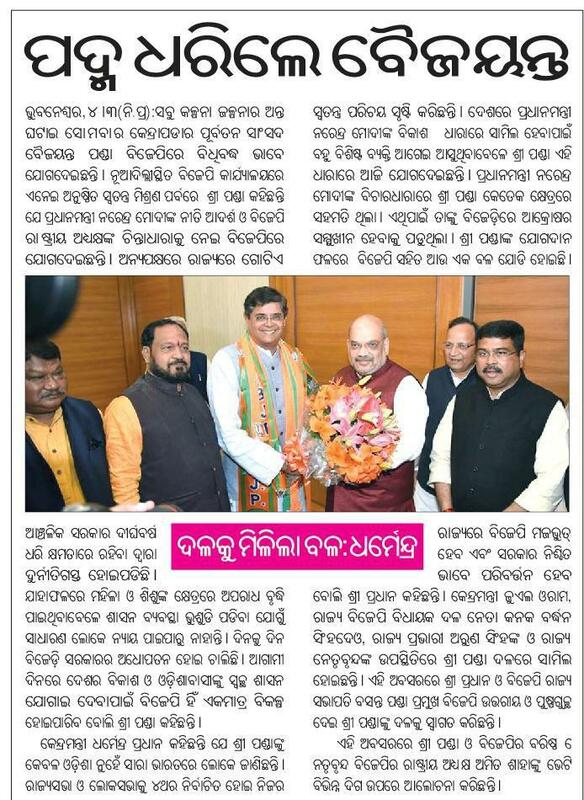 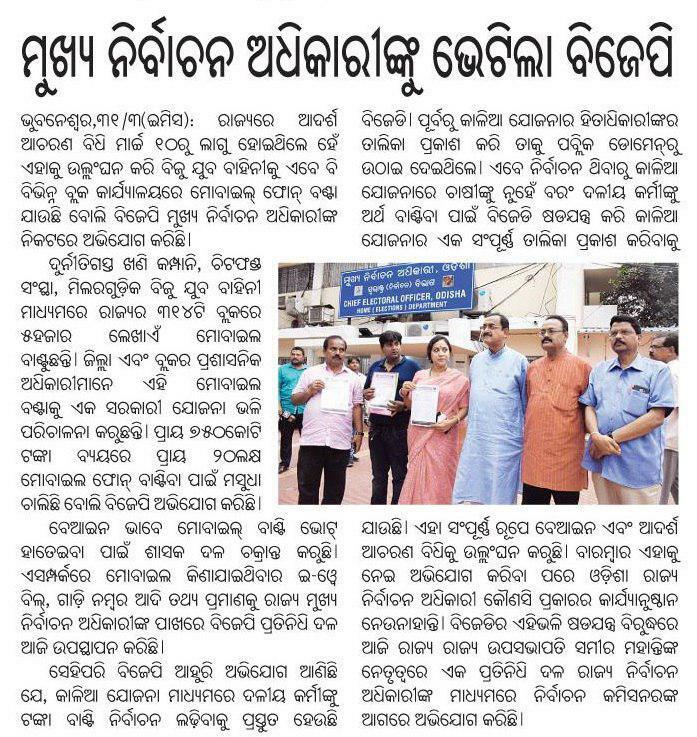 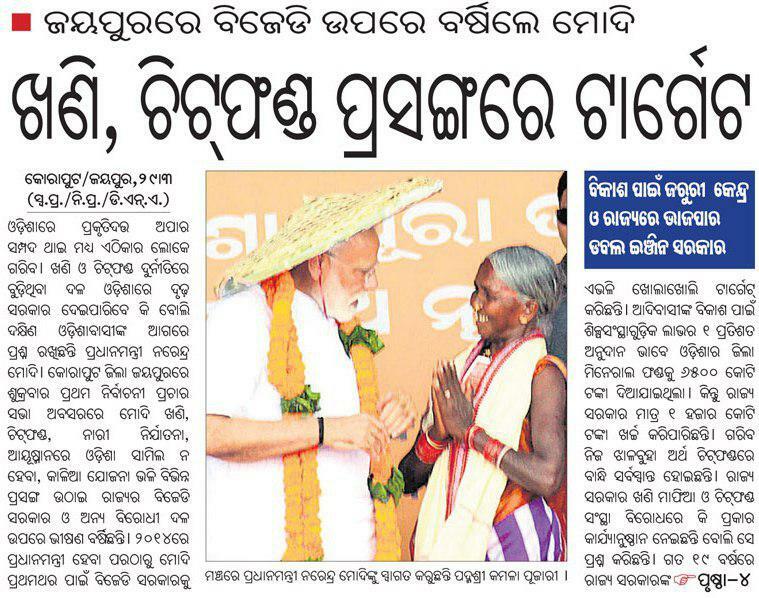 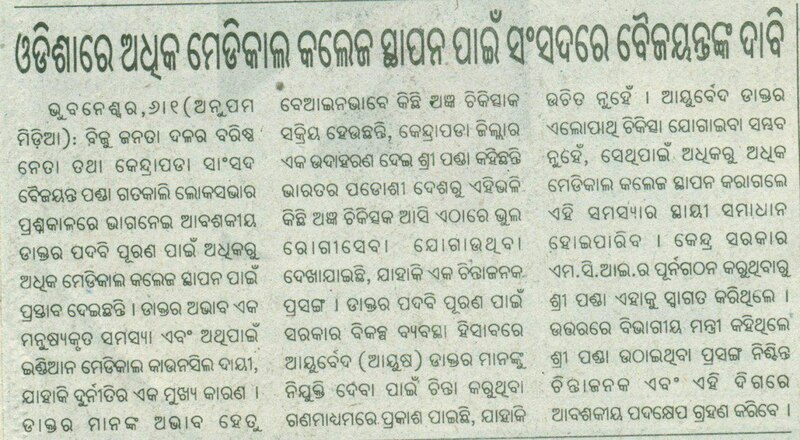 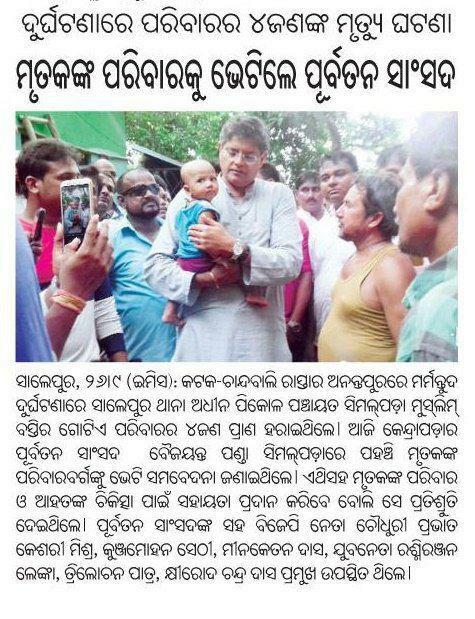 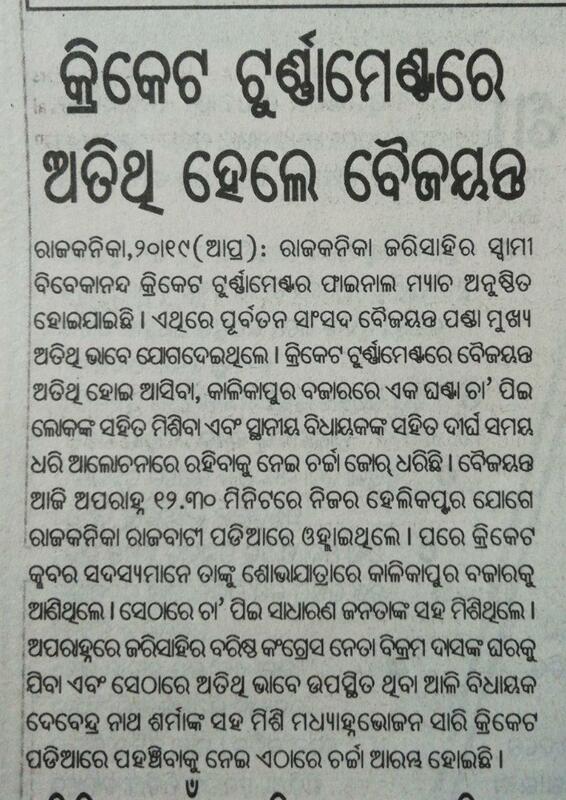 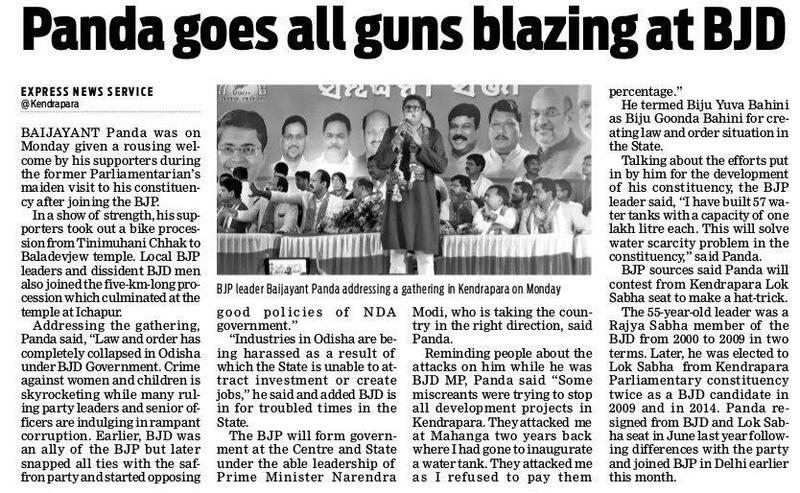 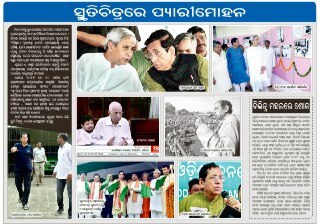 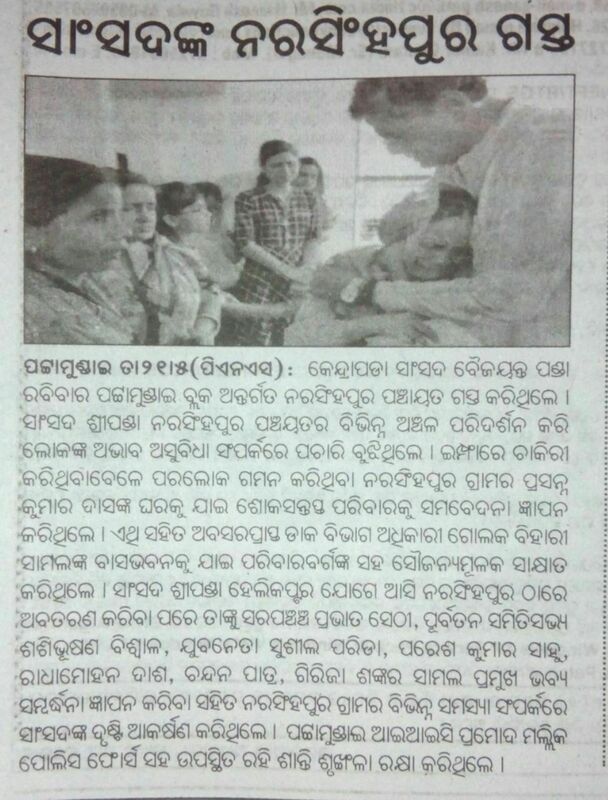 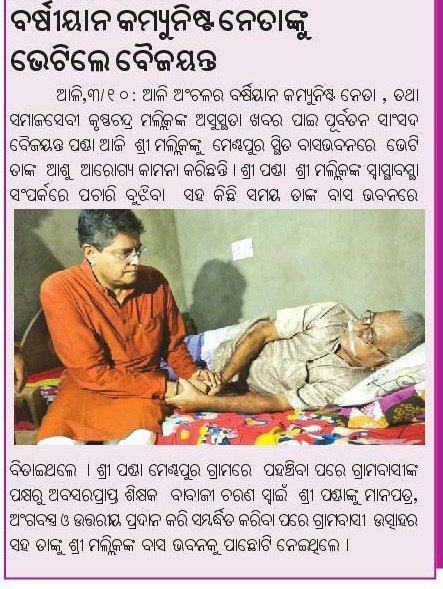 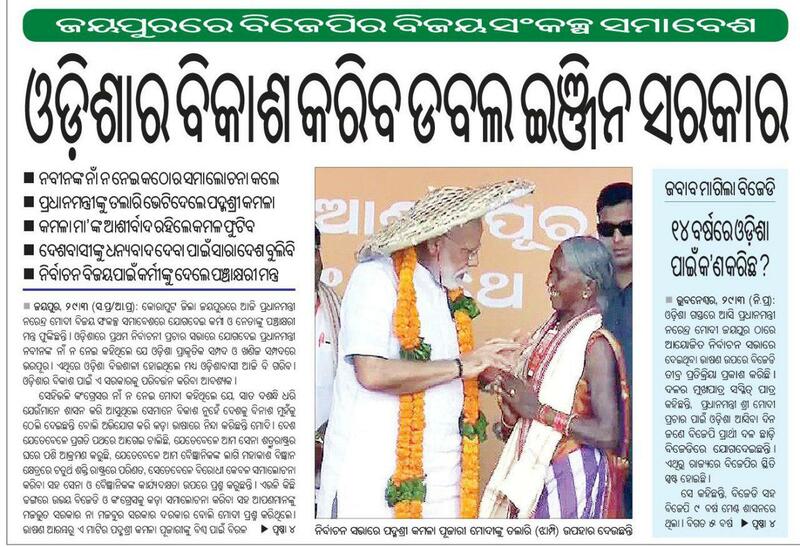 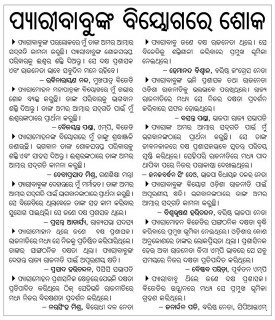 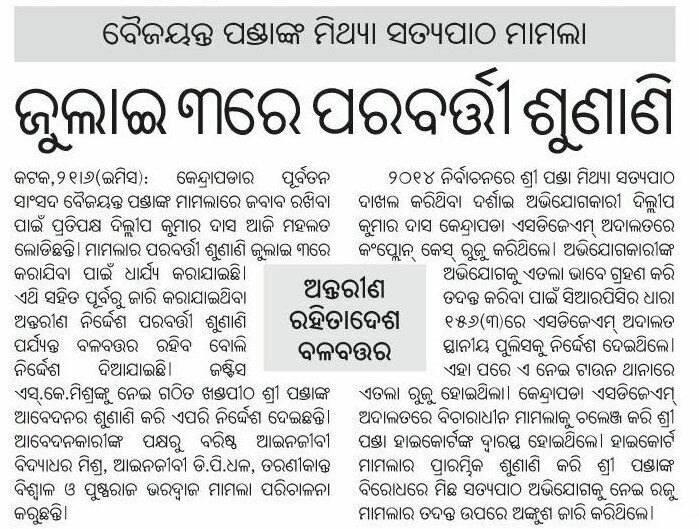 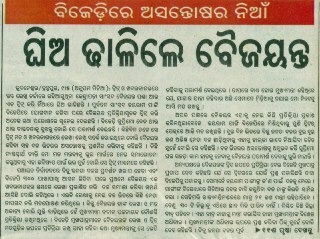 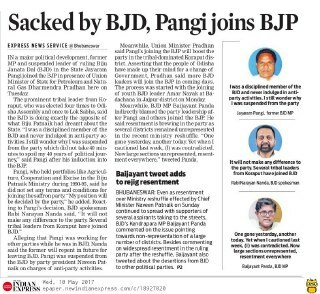 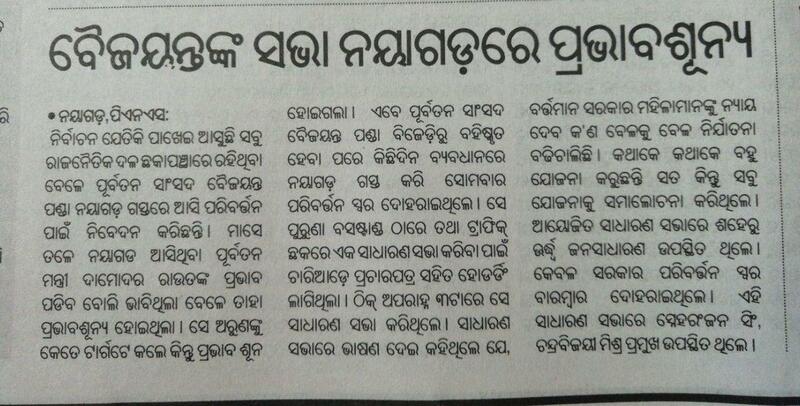 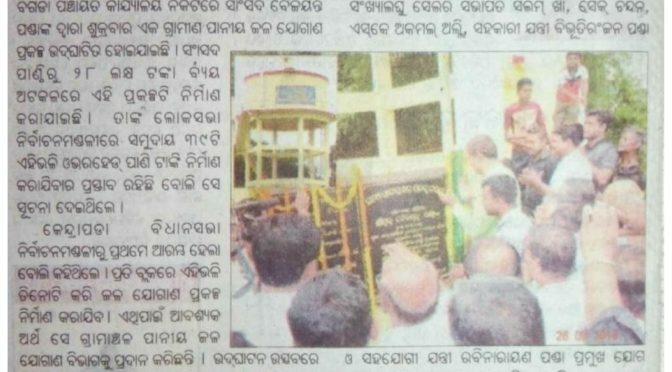 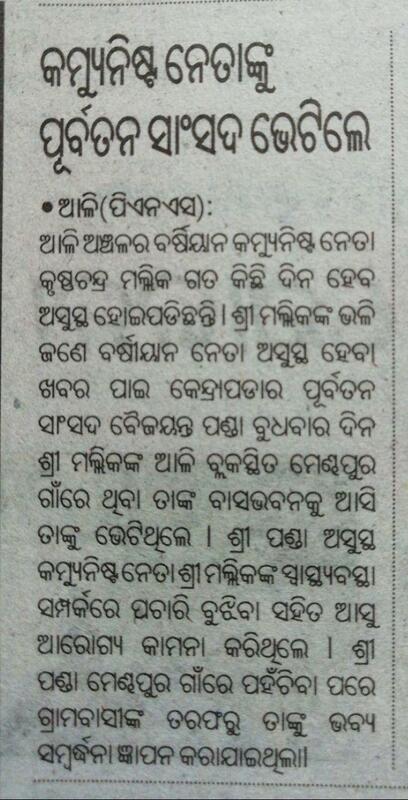 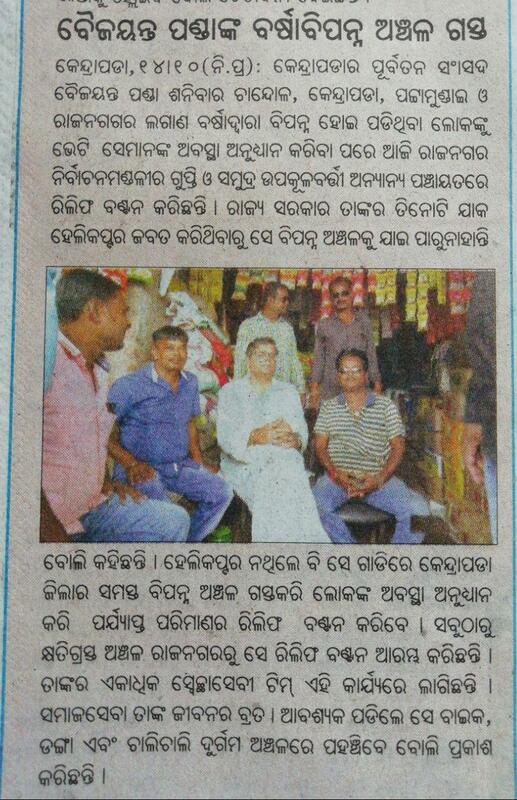 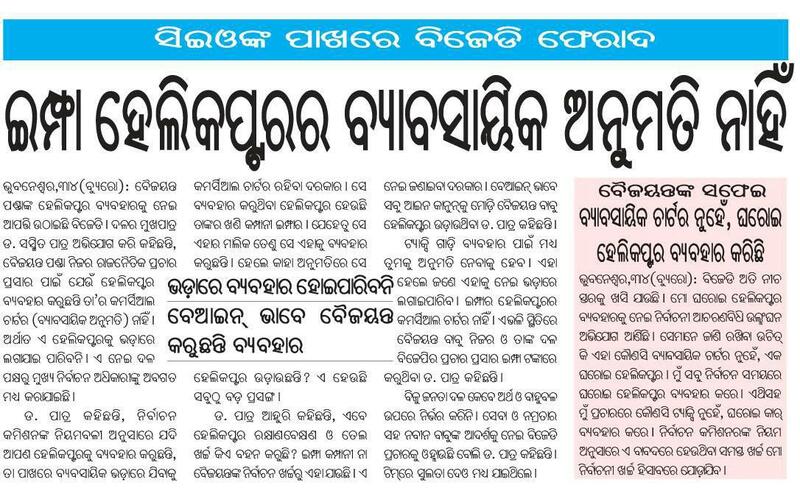 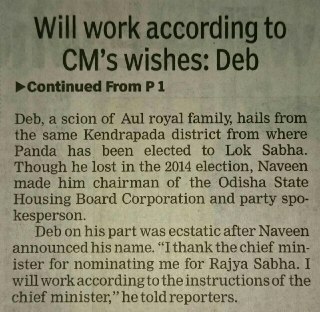 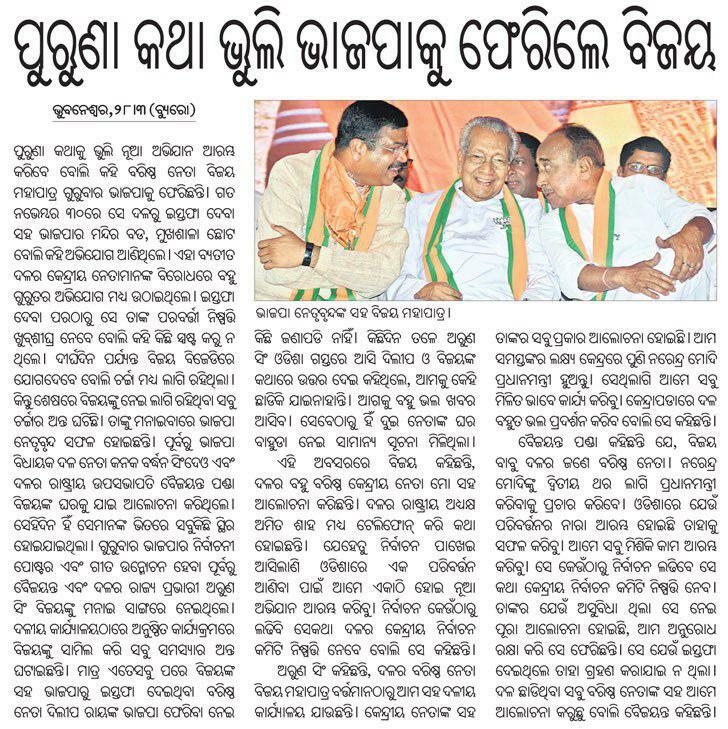 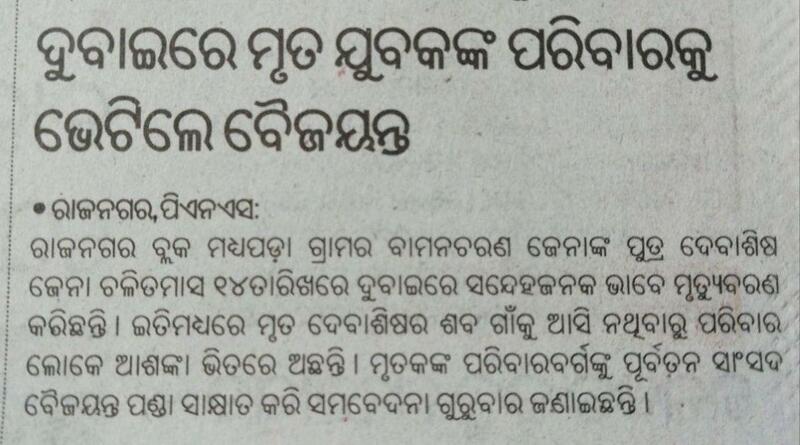 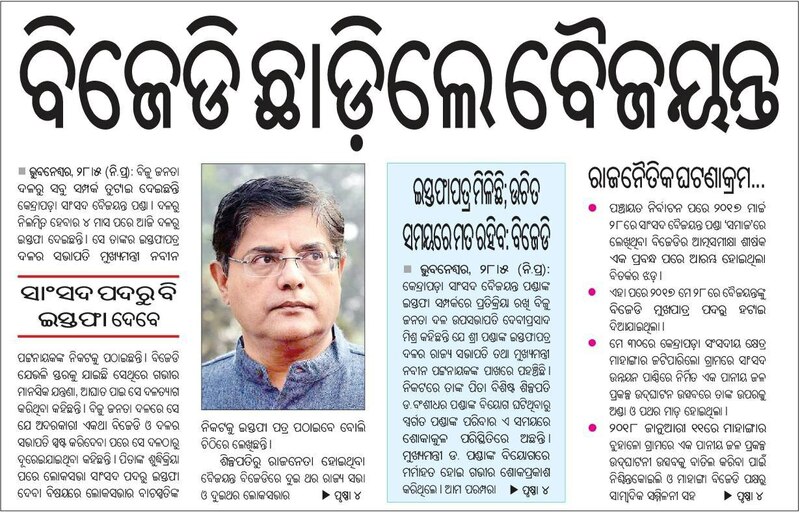 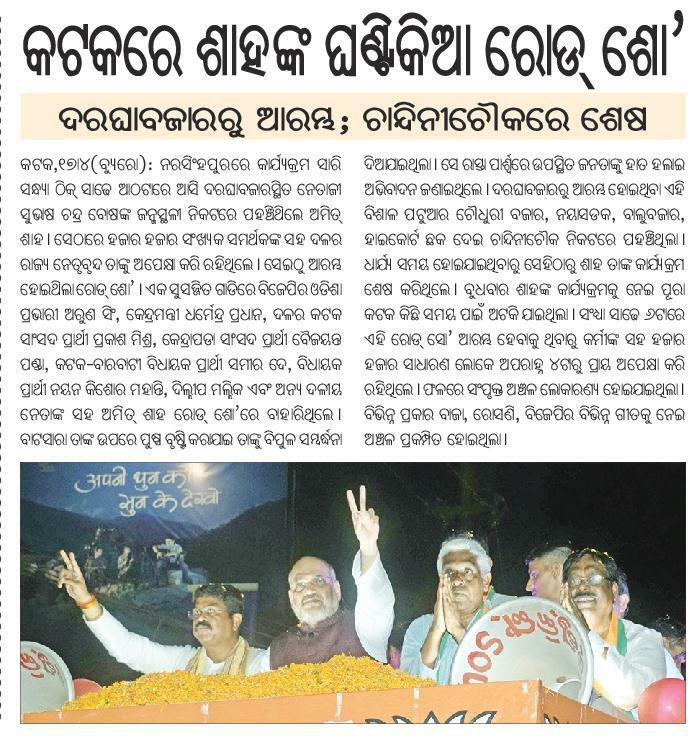 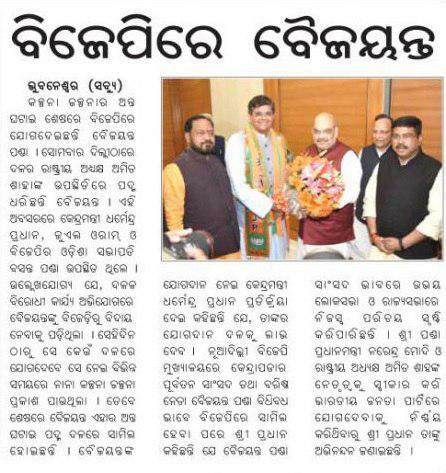 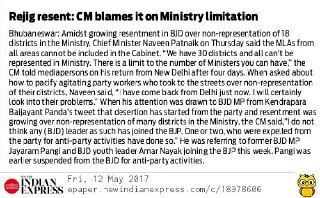 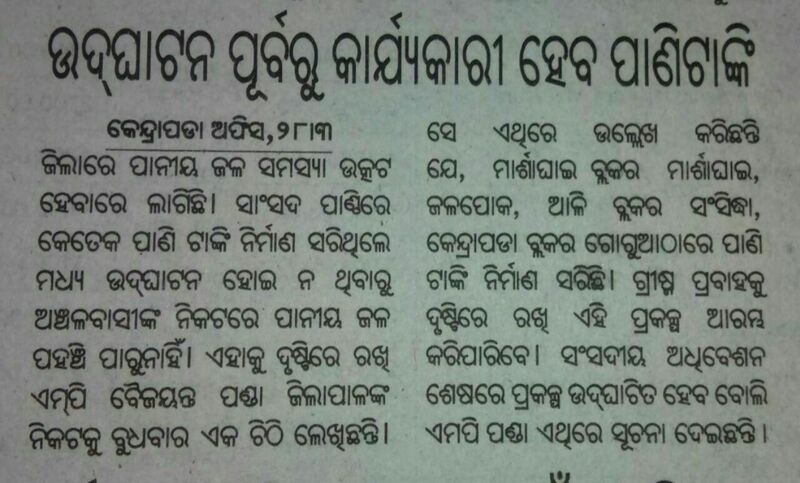 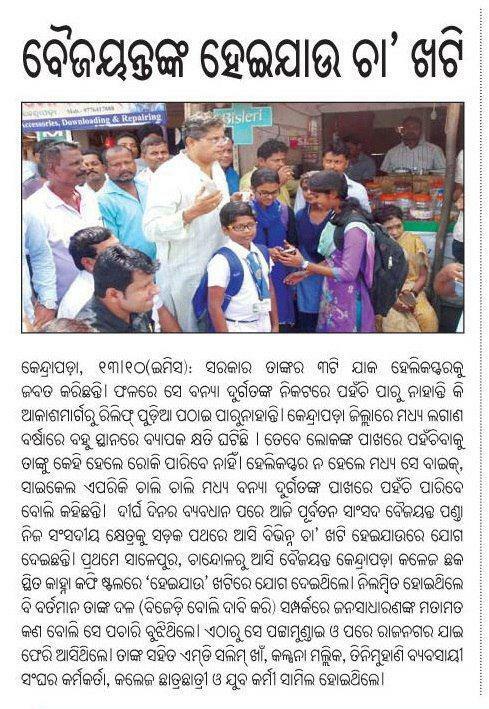 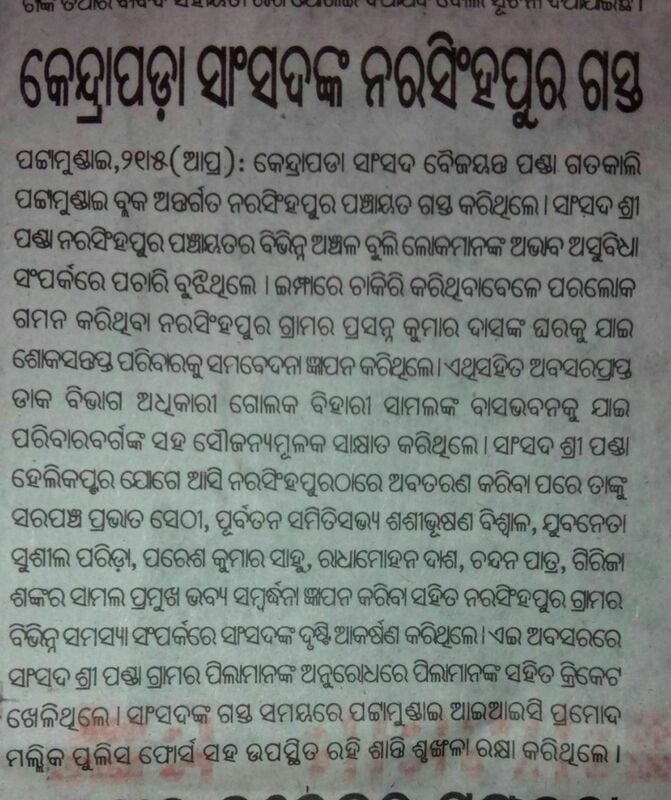 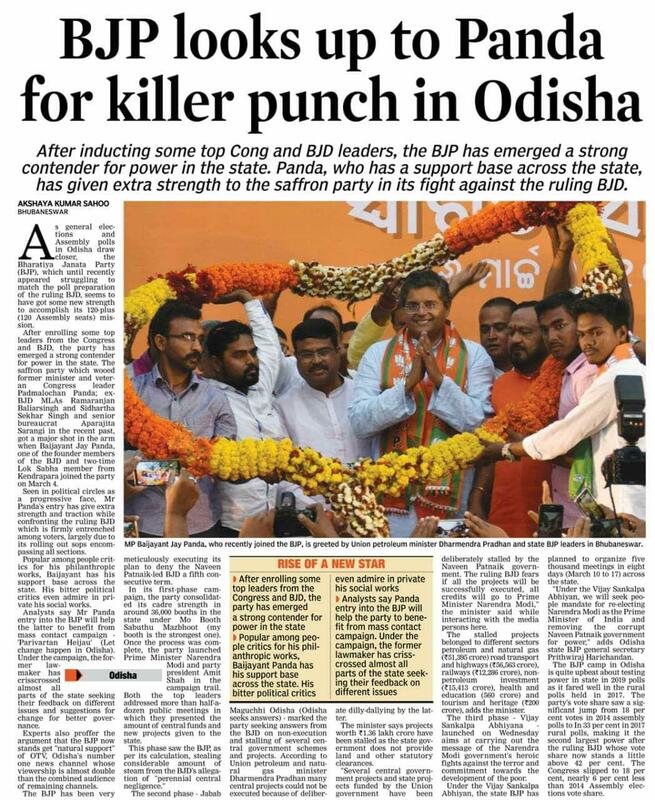 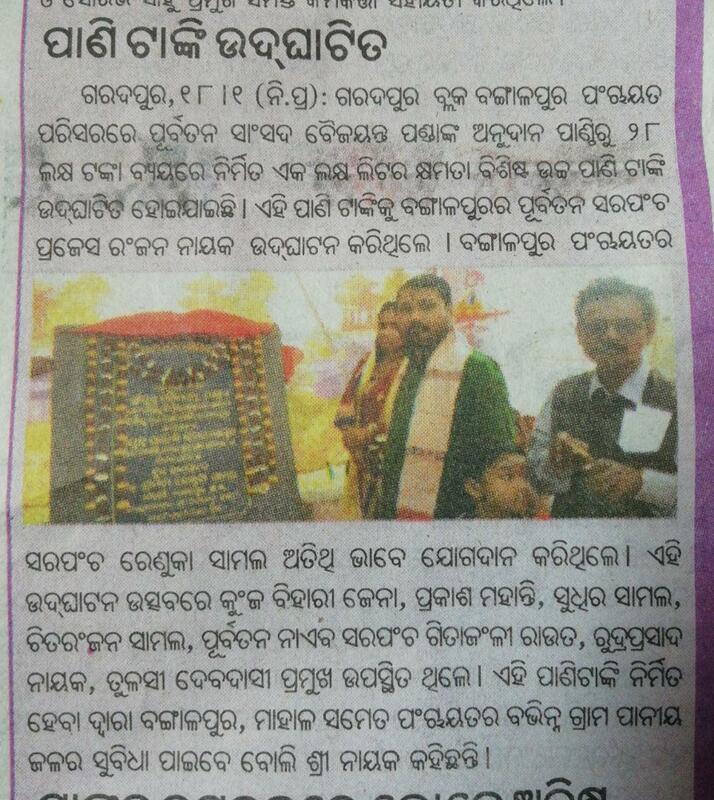 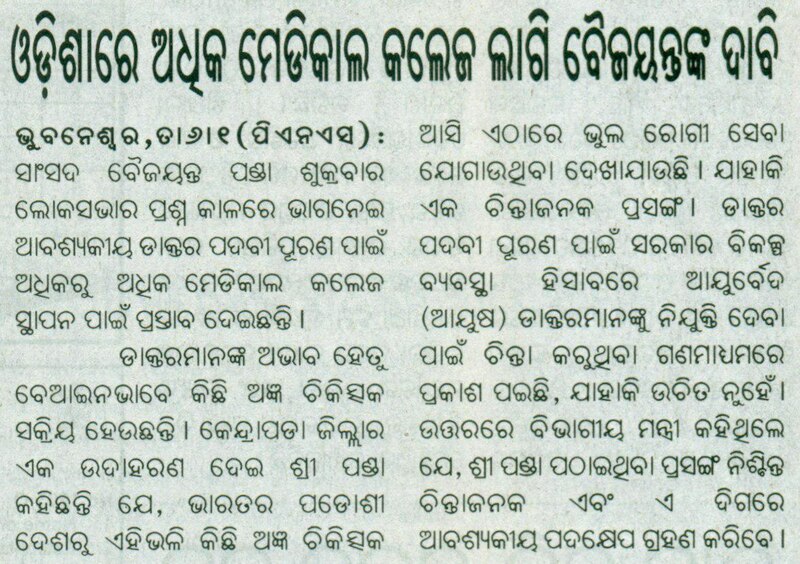 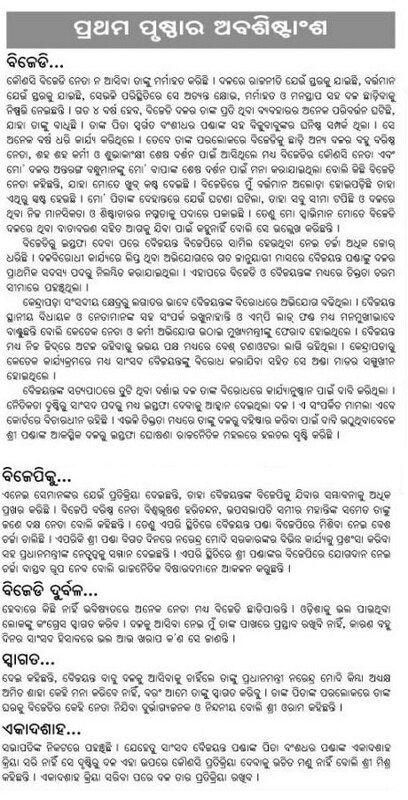 Samaja, Dt. 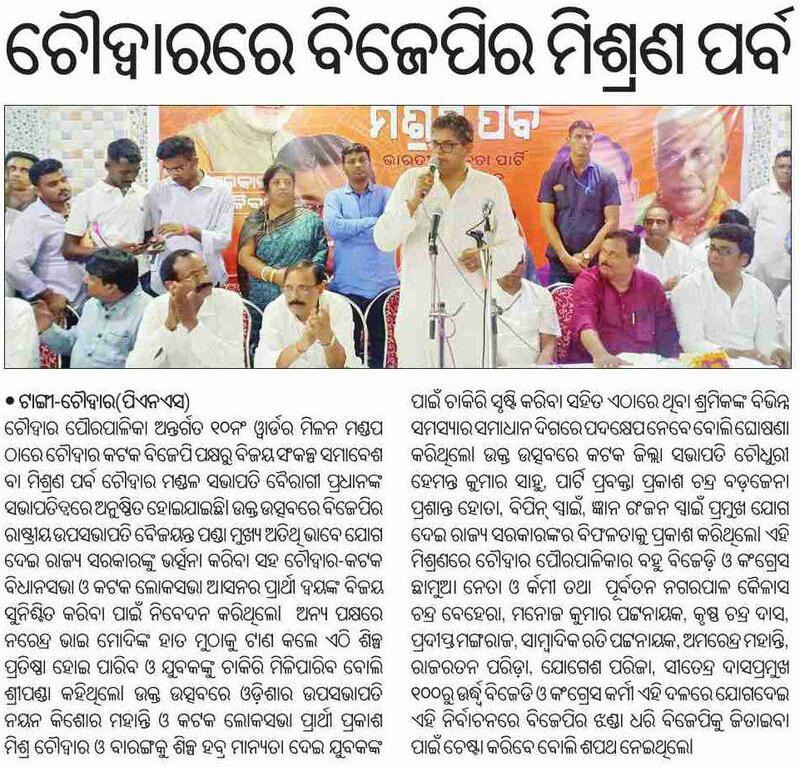 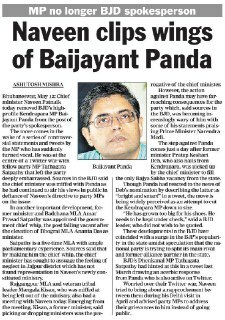 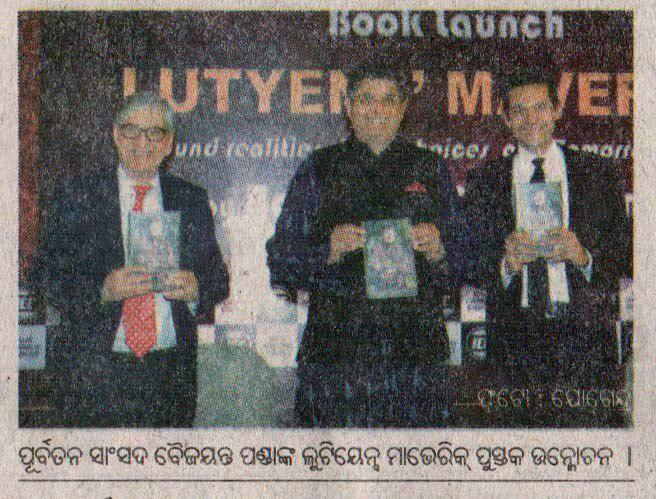 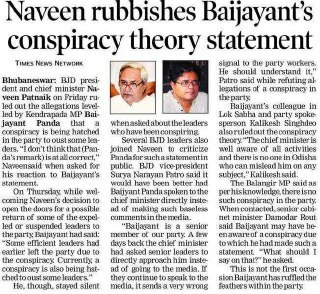 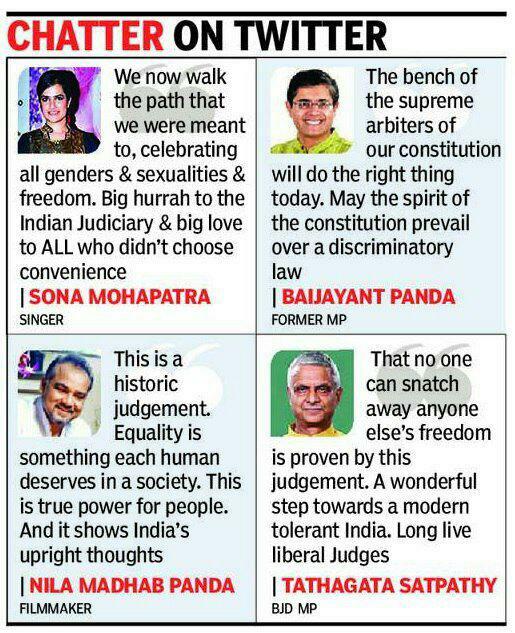 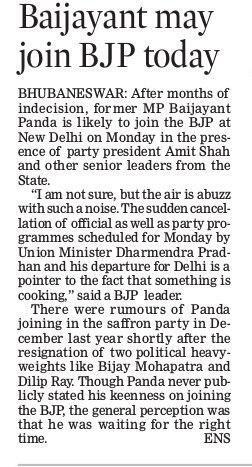 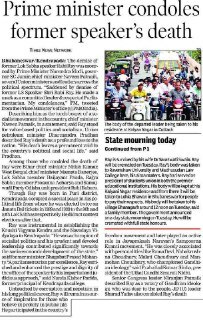 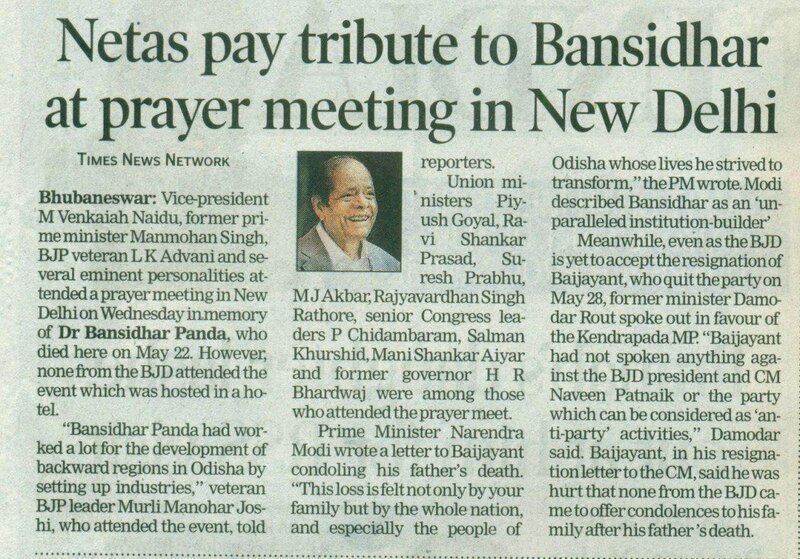 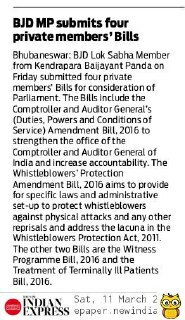 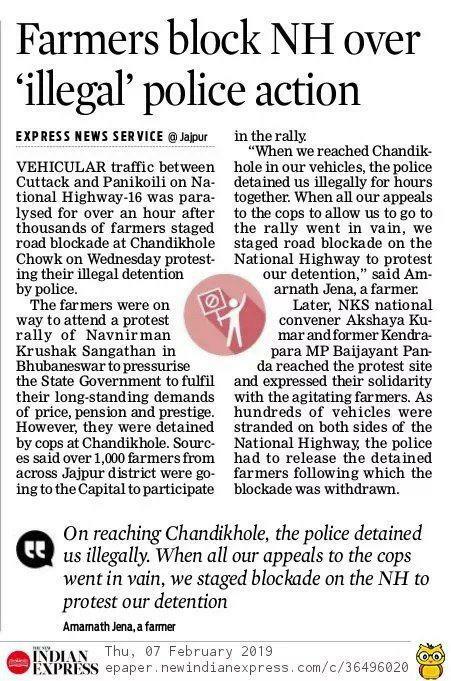 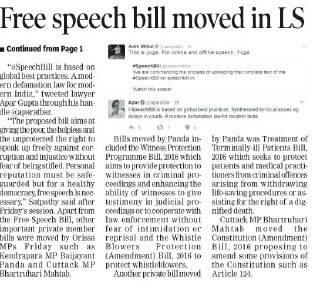 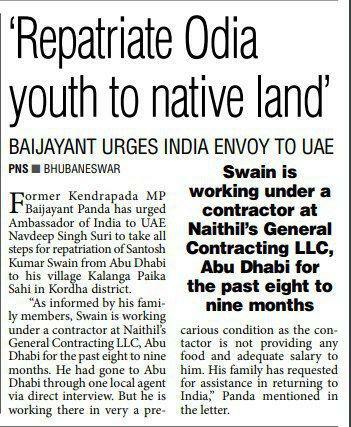 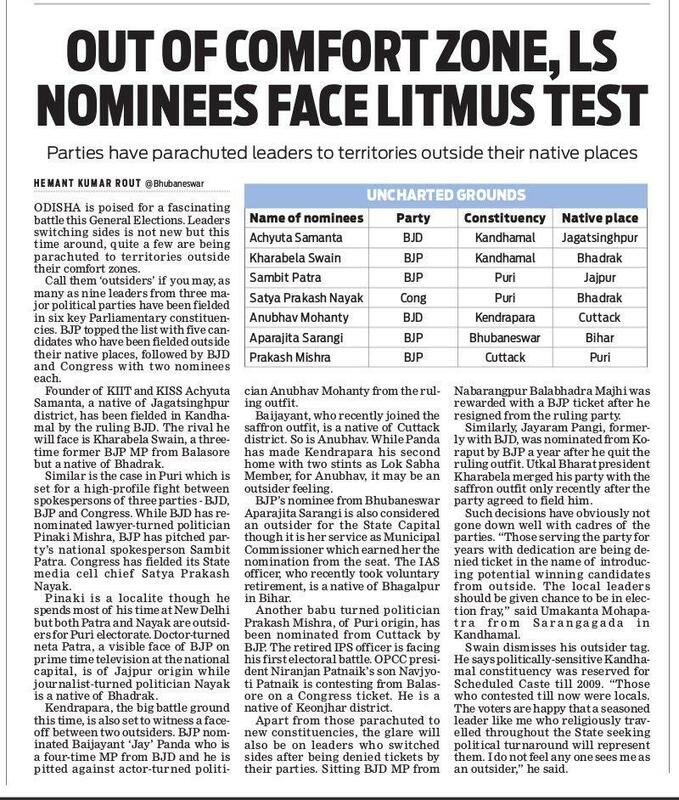 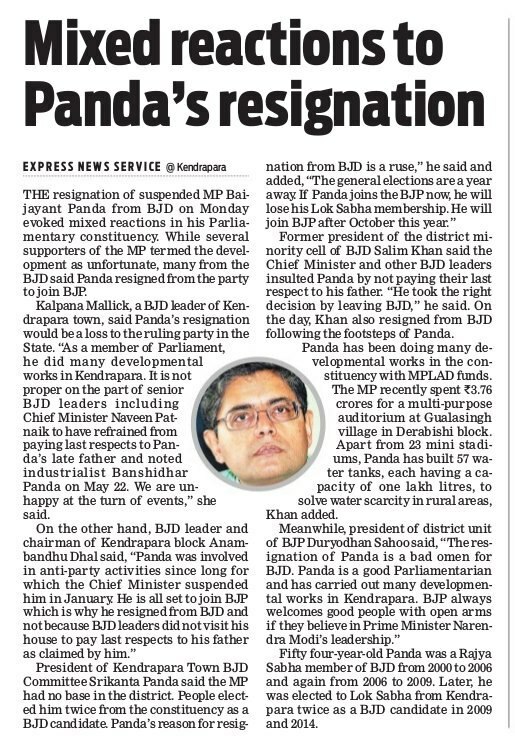 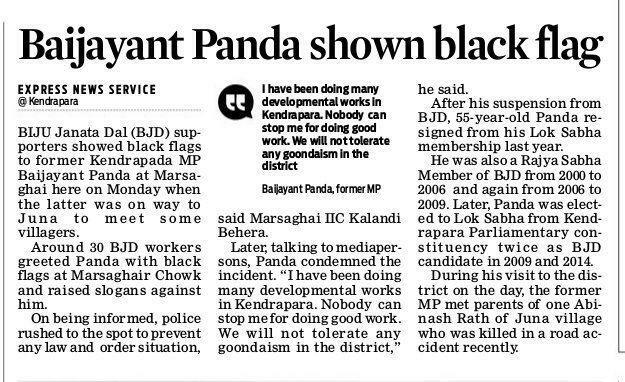 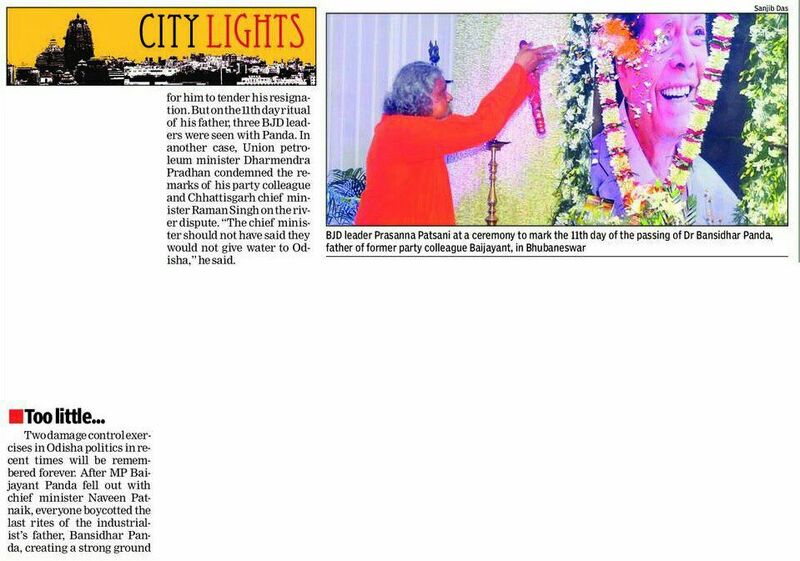 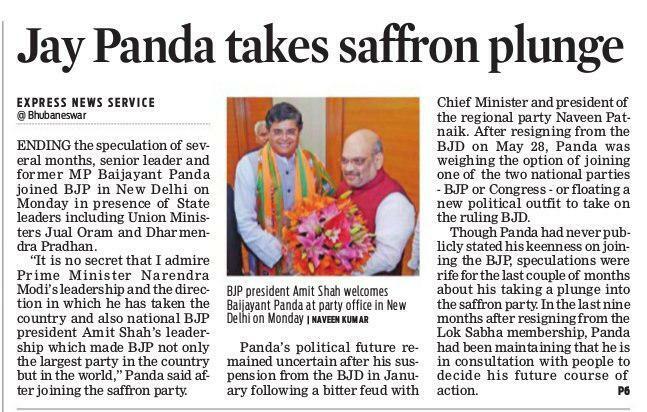 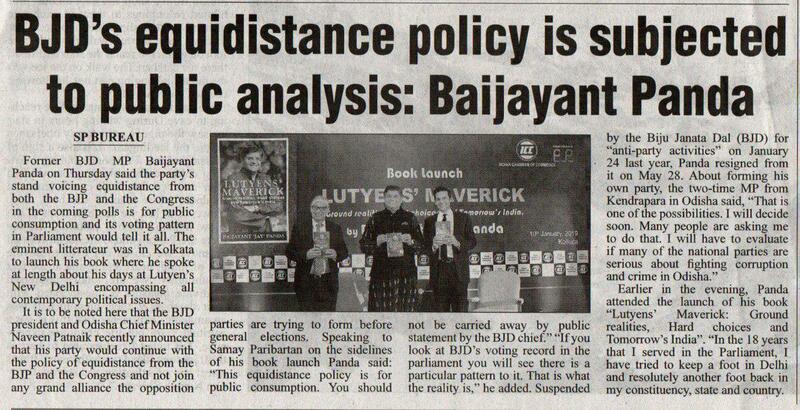 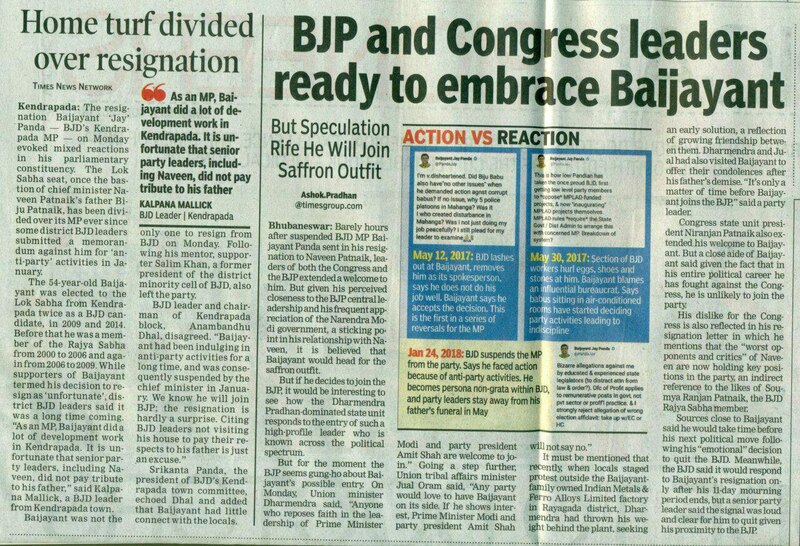 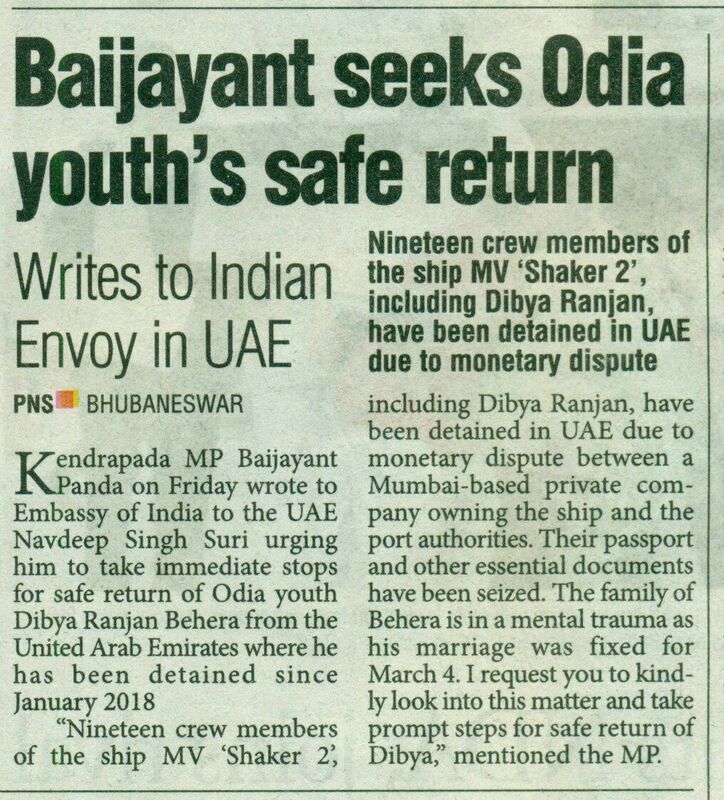 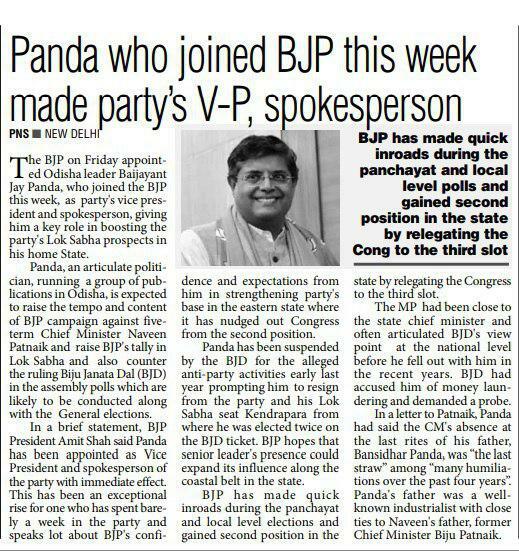 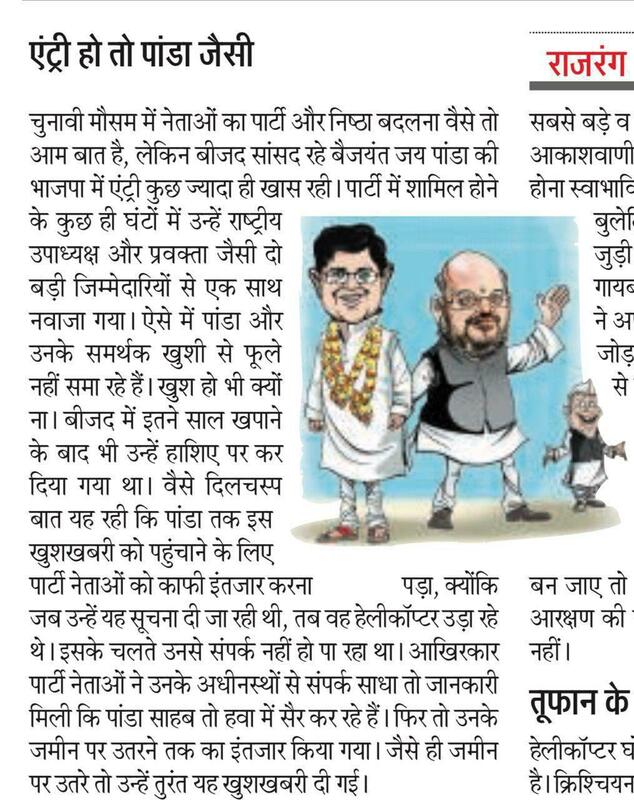 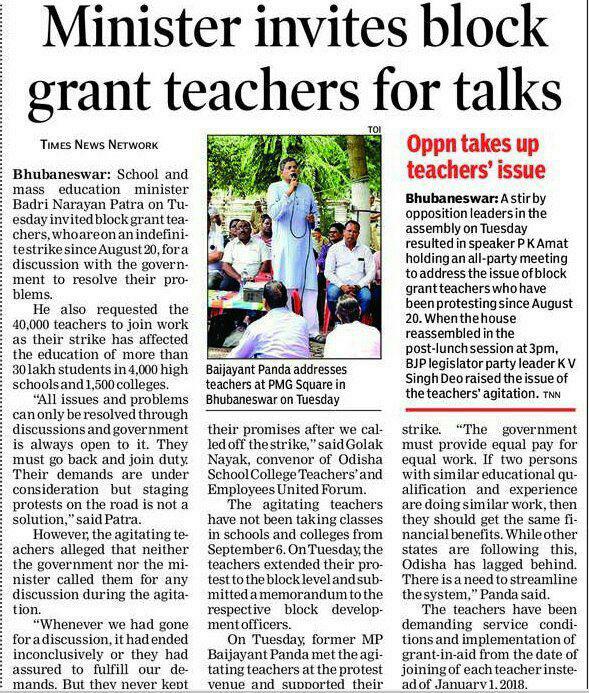 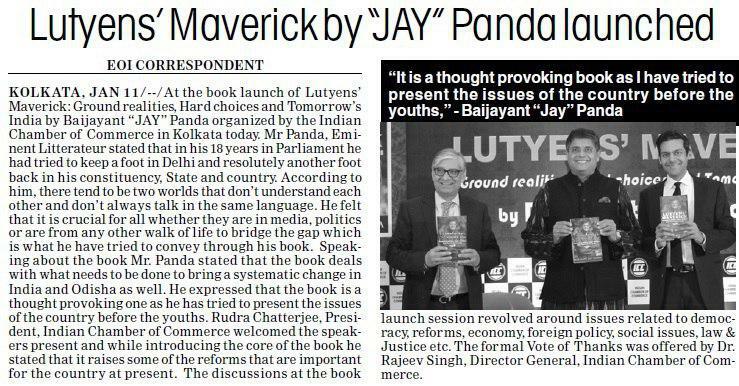 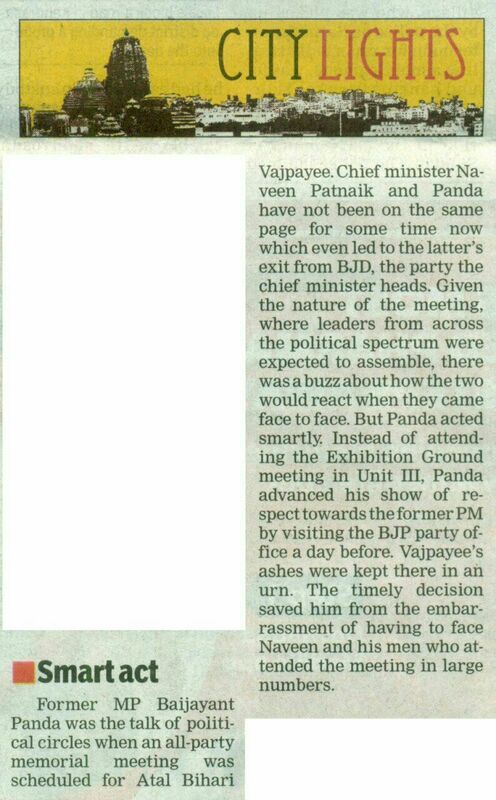 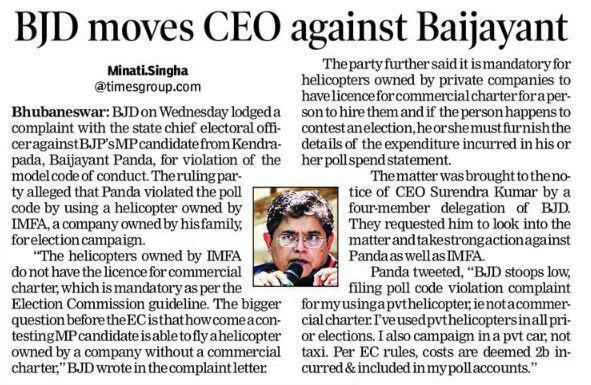 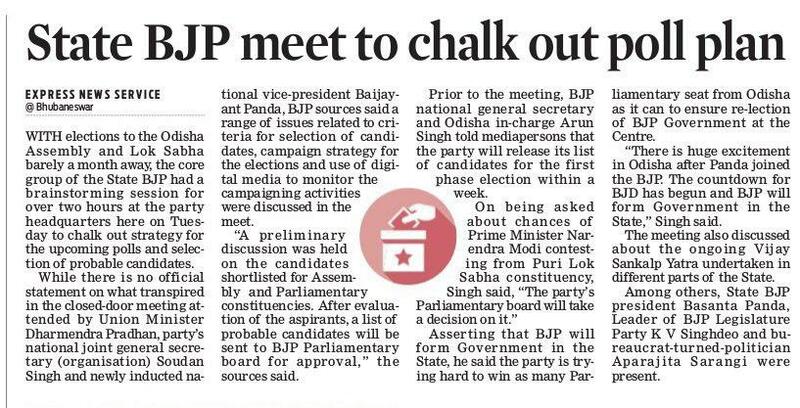 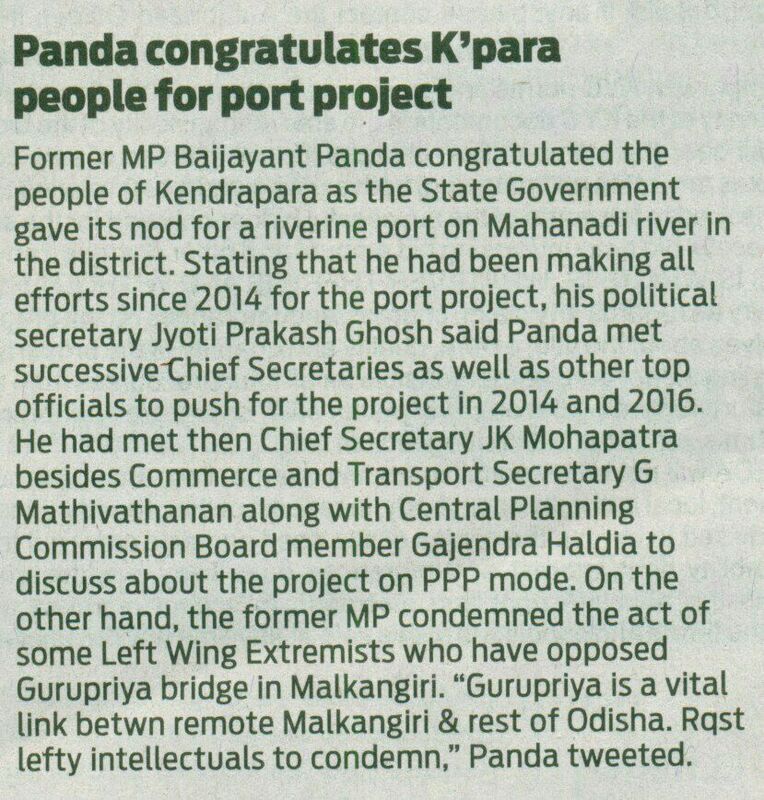 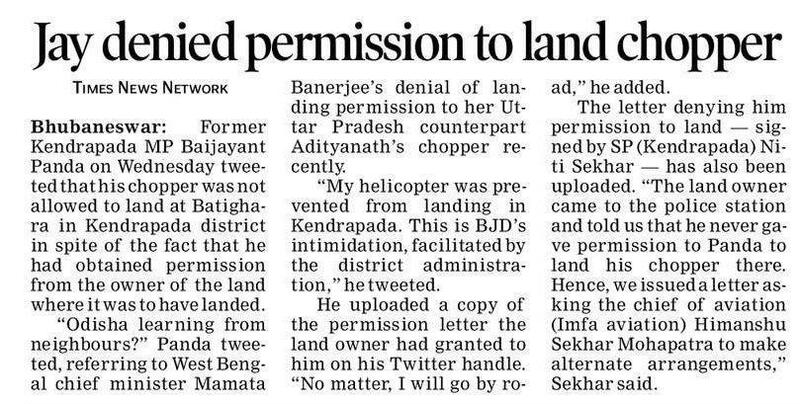 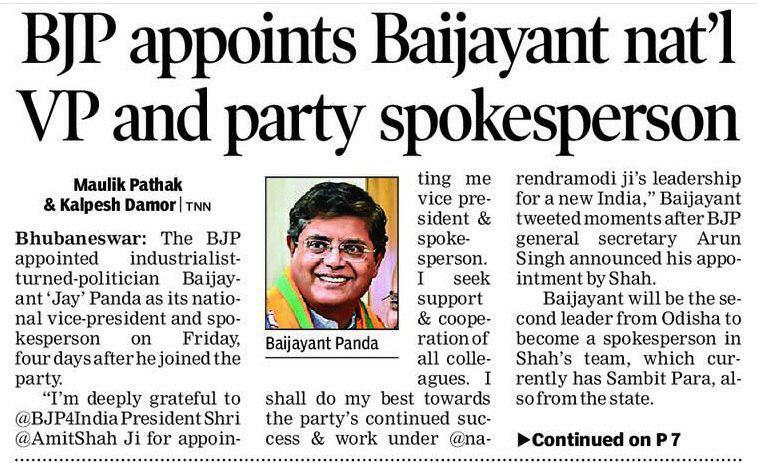 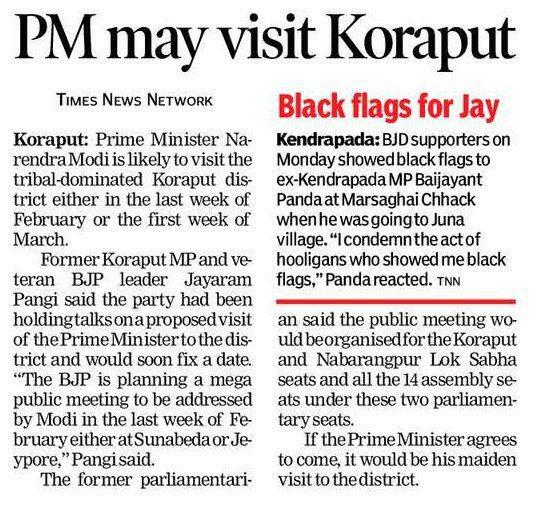 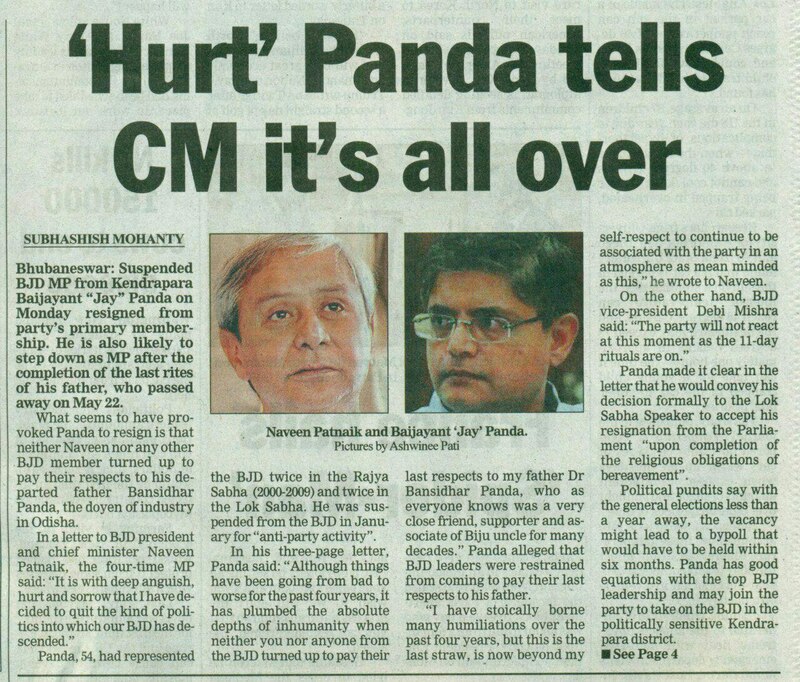 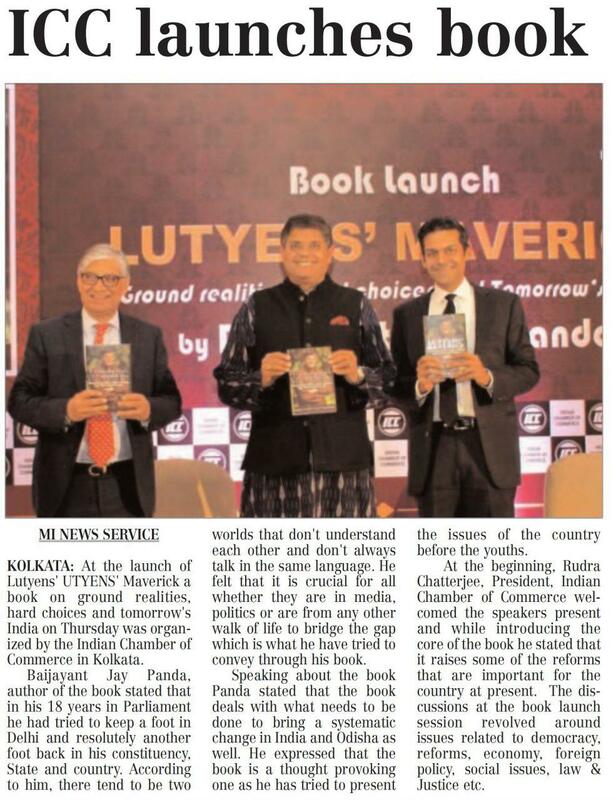 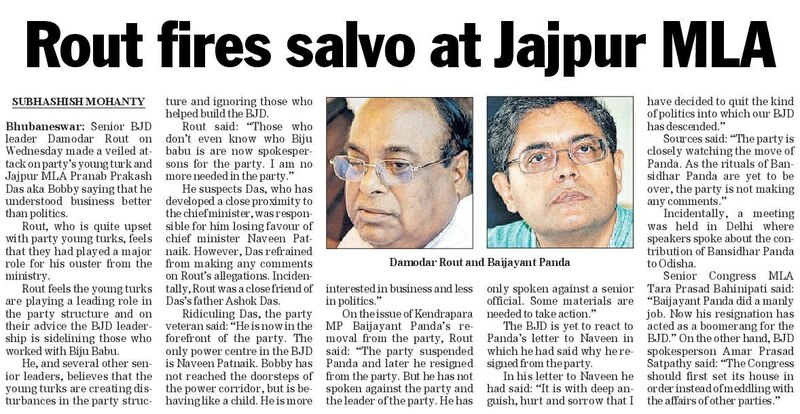 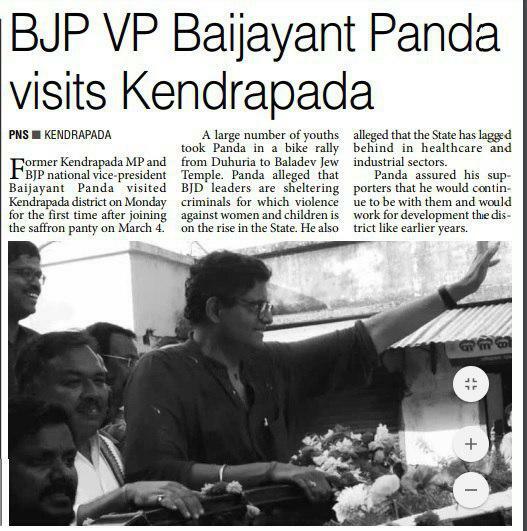 20.06.18, Page- 20.